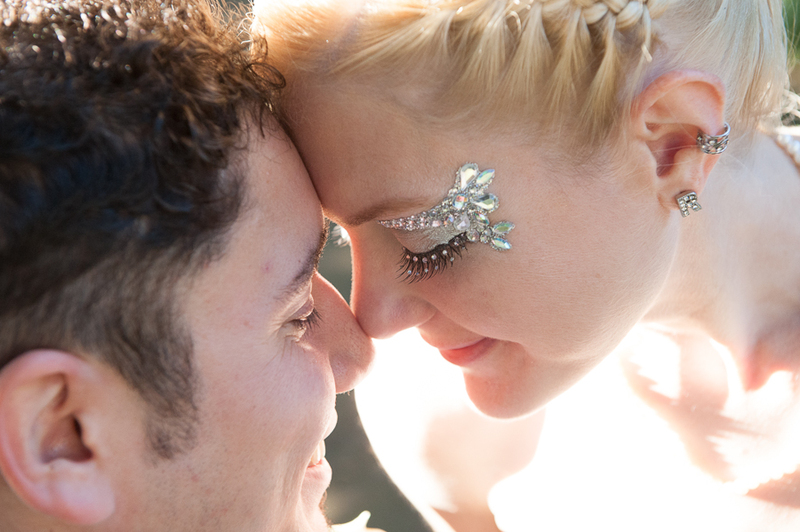 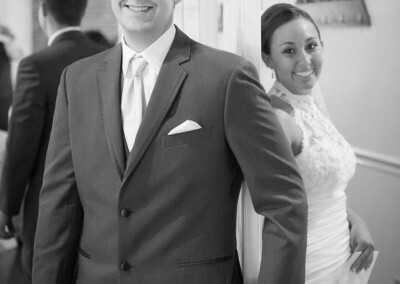 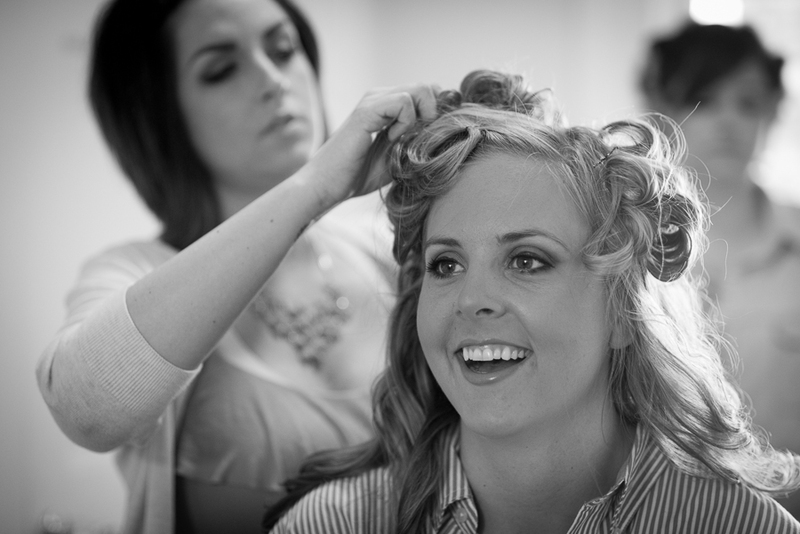 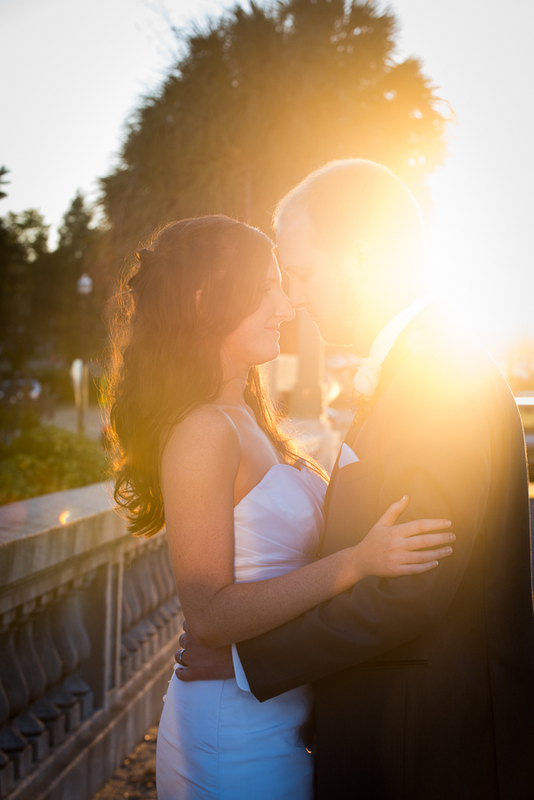 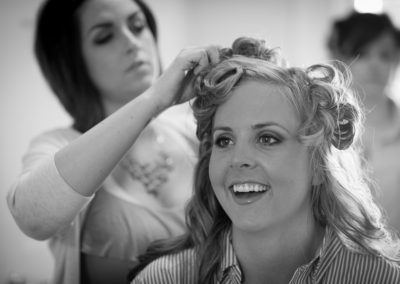 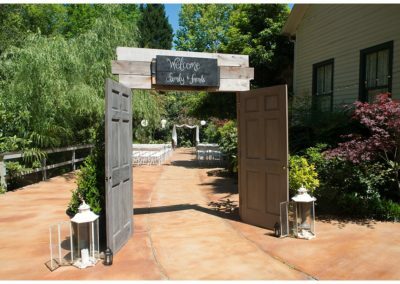 Here’s a few of my favorite wedding venue locations and some photos from real weddings! 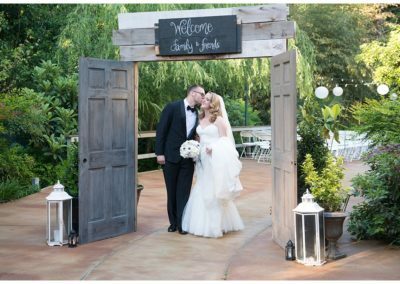 Click the photos to view these special blog highlights or browse through the full venue directory listing below! 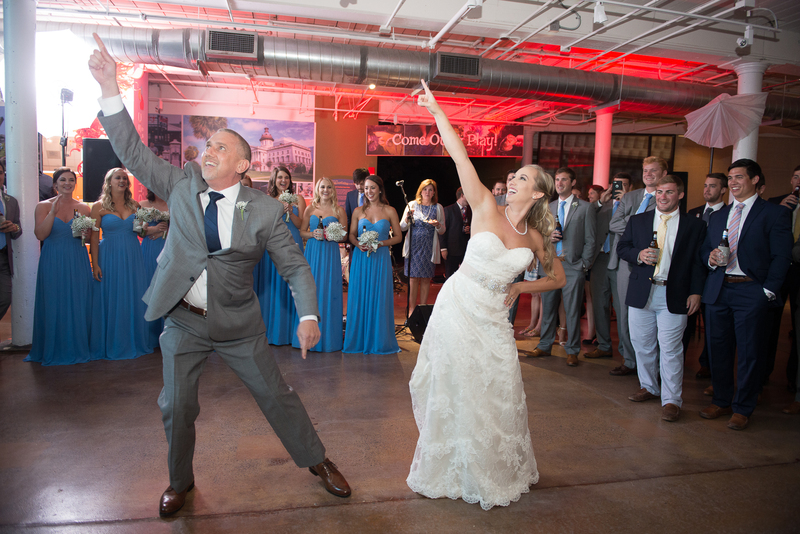 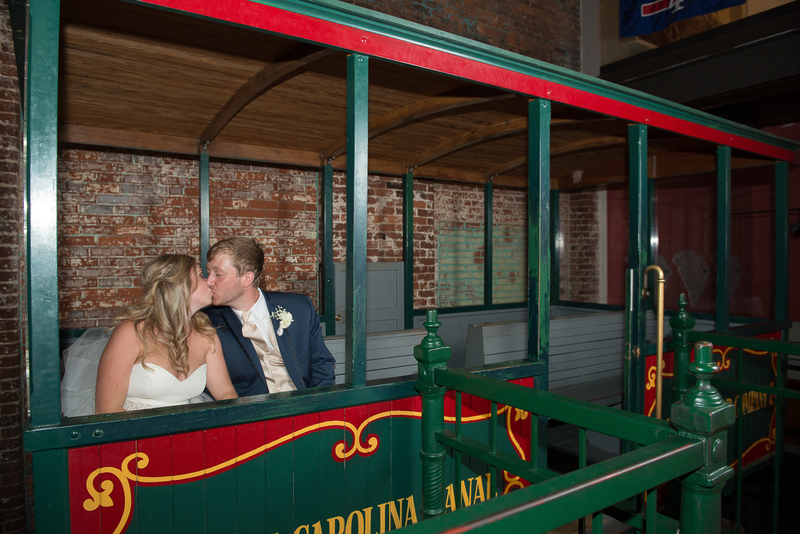 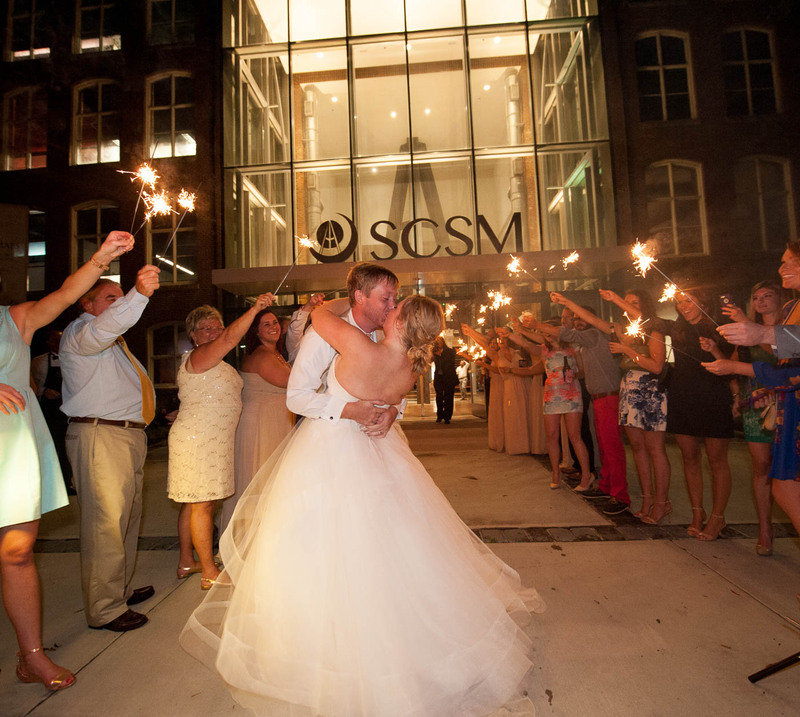 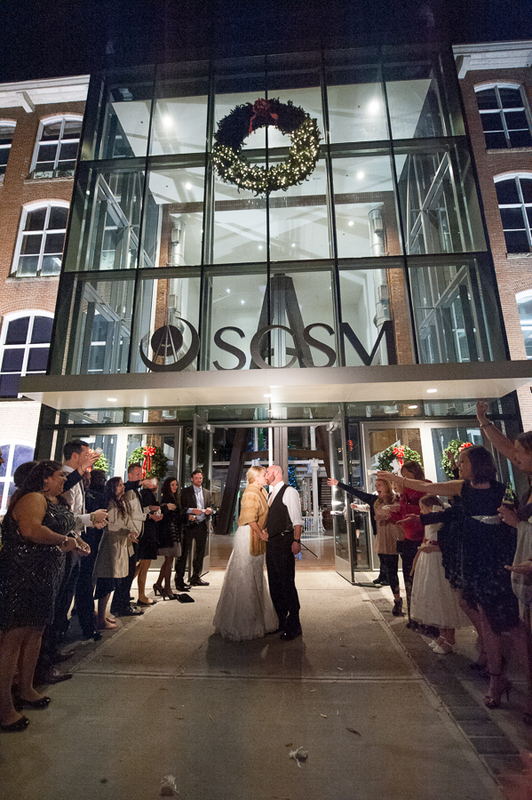 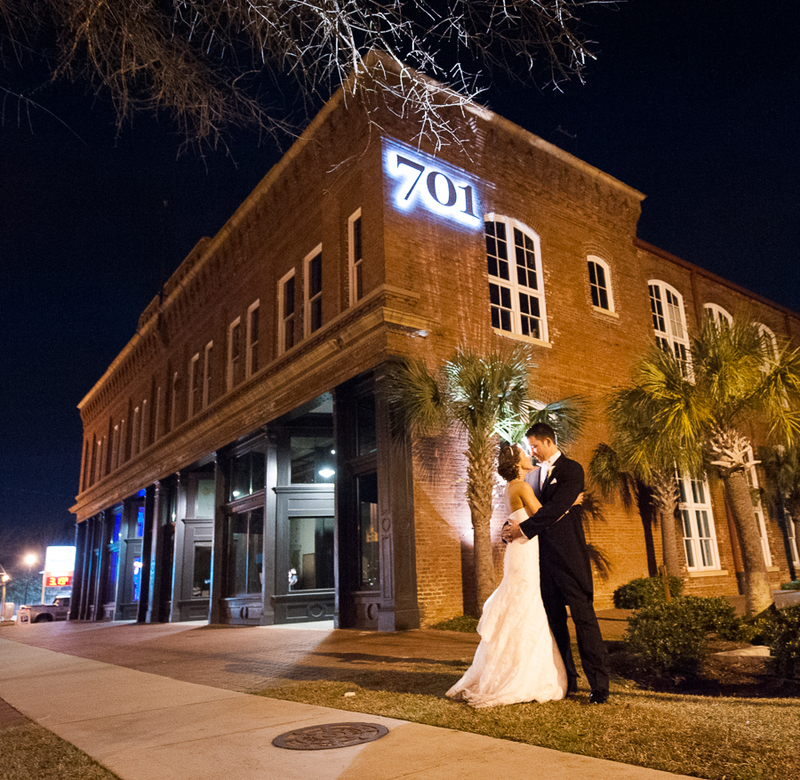 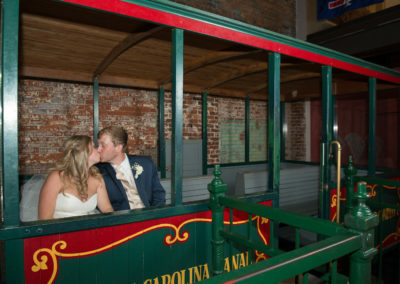 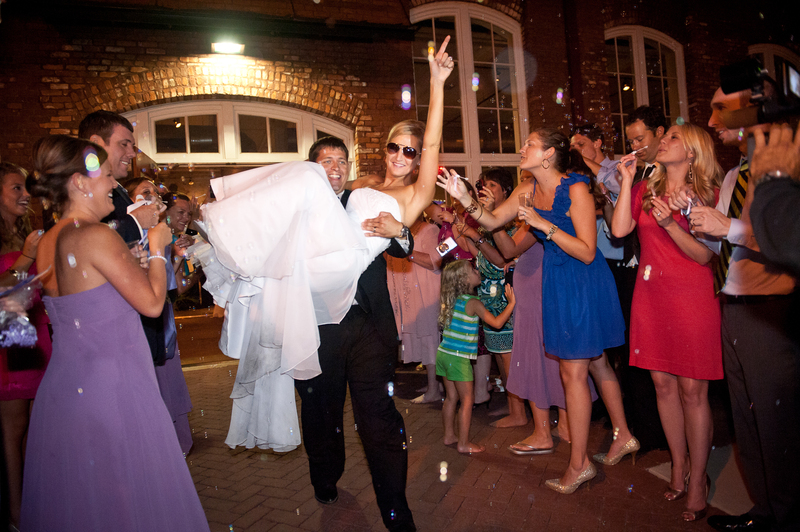 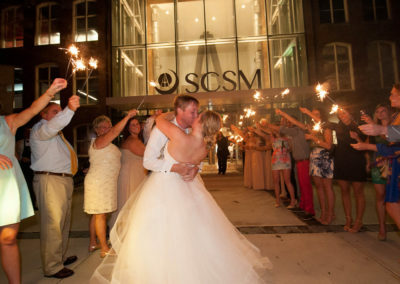 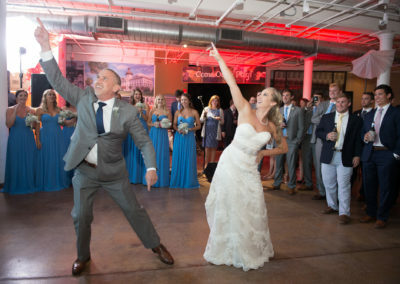 Located in the heart of Columbia’s downtown, Vista, USC, and river district, this lovingly restored 1903 building is one of Columbia’s most popular venues. 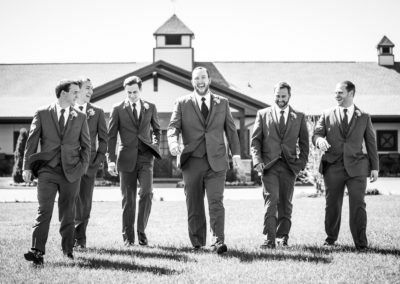 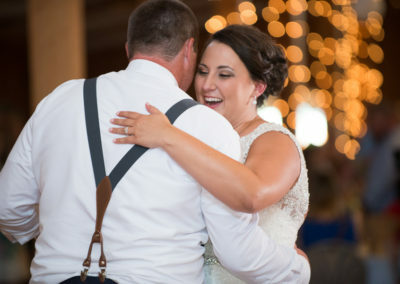 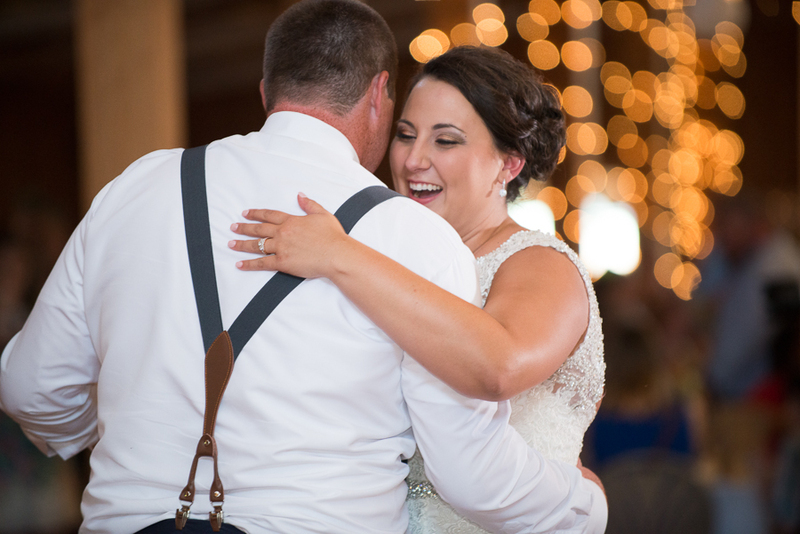 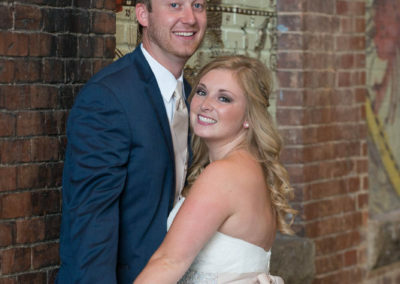 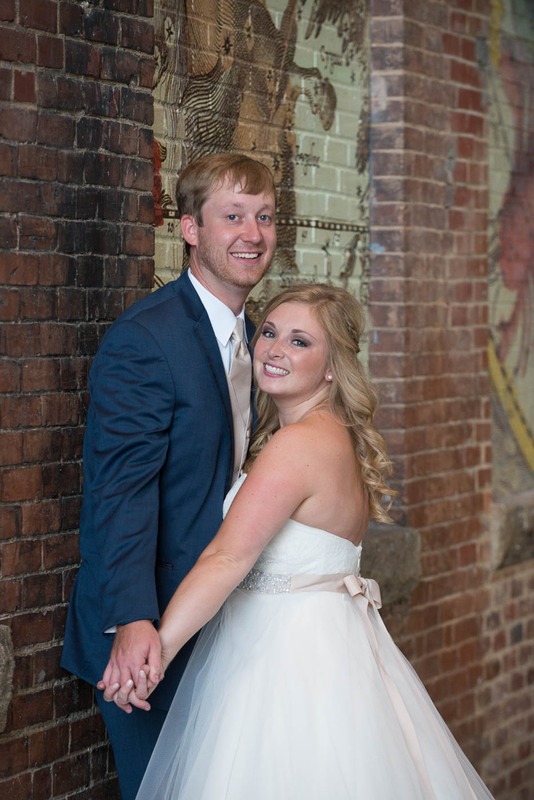 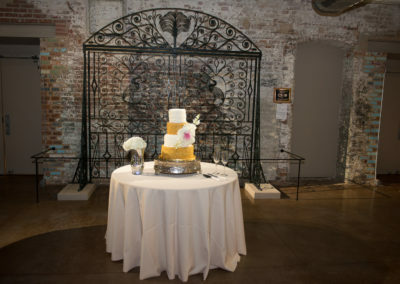 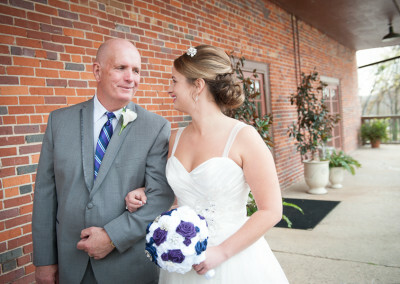 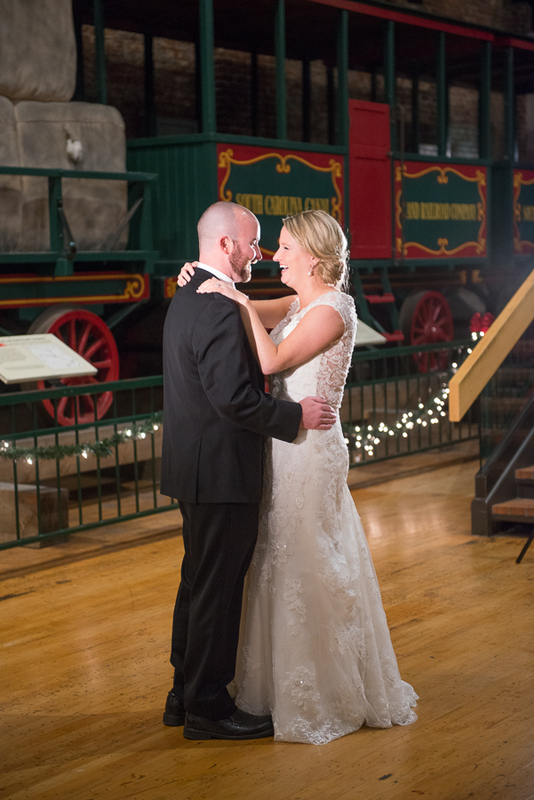 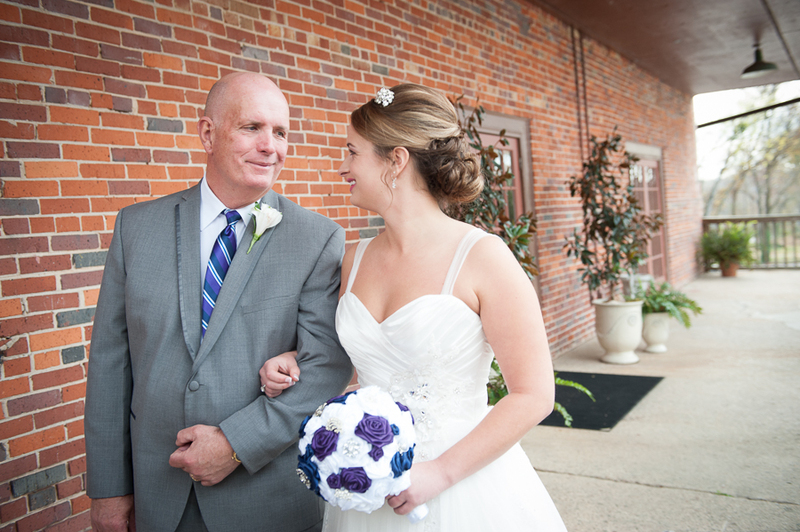 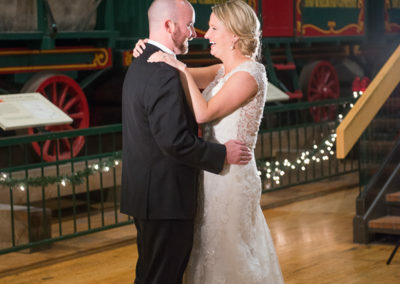 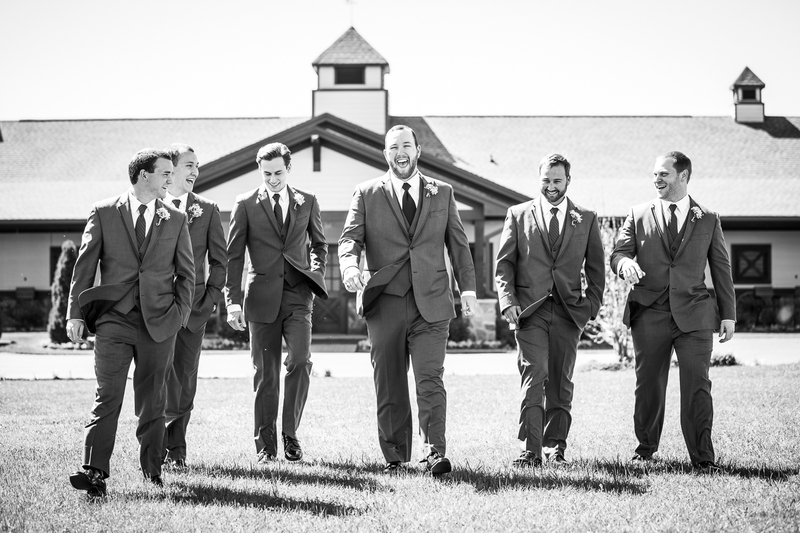 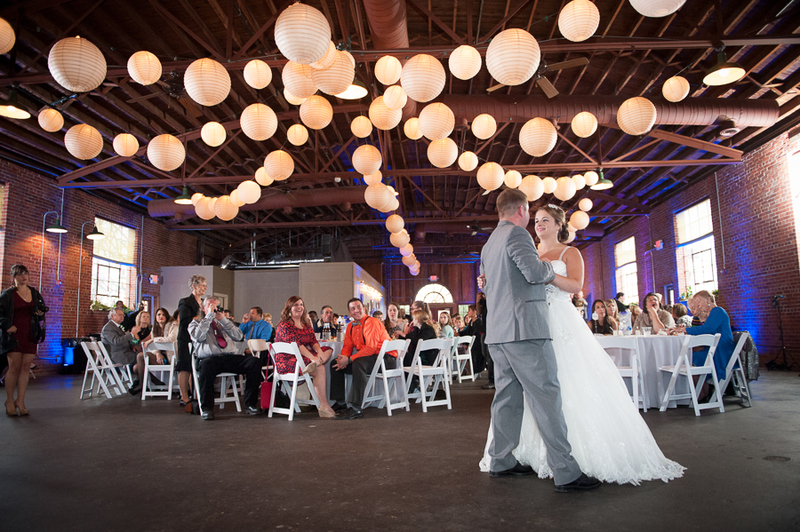 The venue features large windows, exposed brick walls, hardwood floors in the upstairs room and lots of space to accommodate large or small weddings. 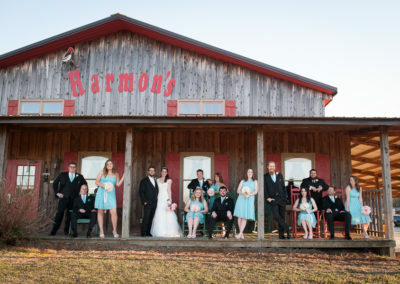 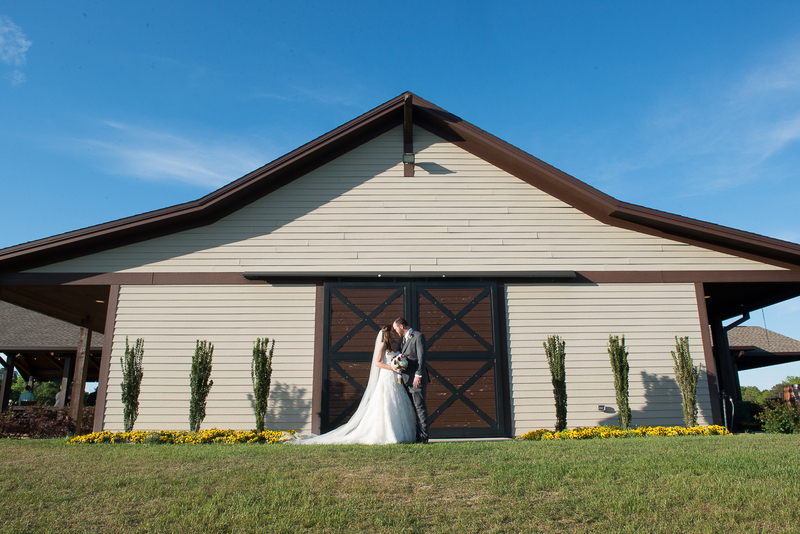 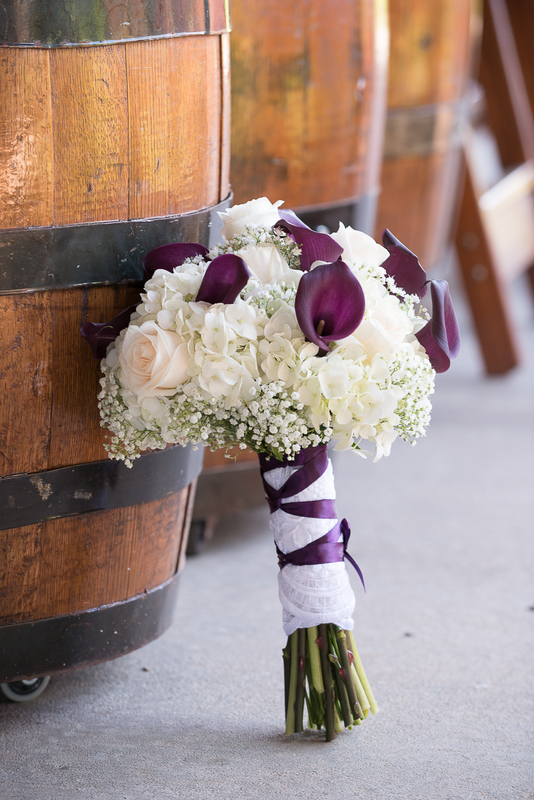 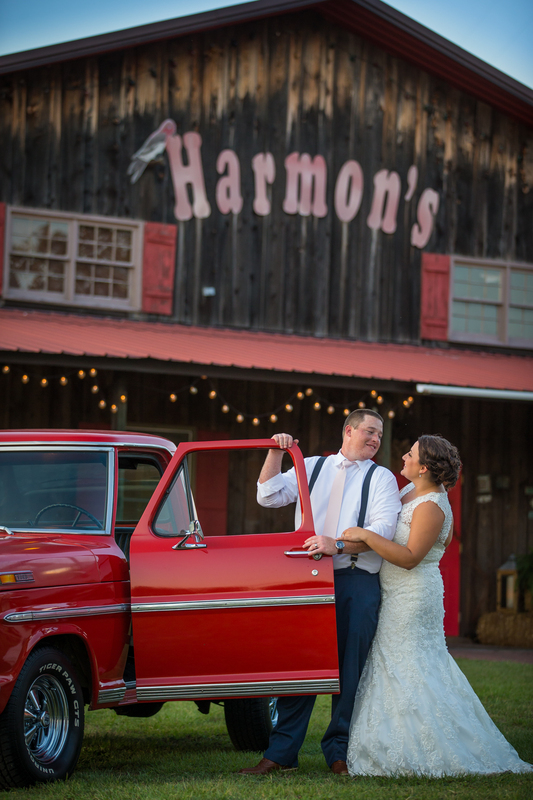 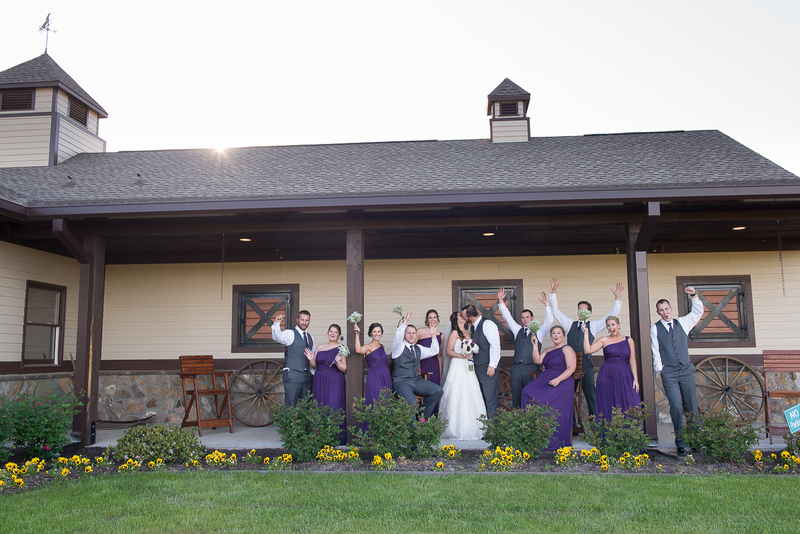 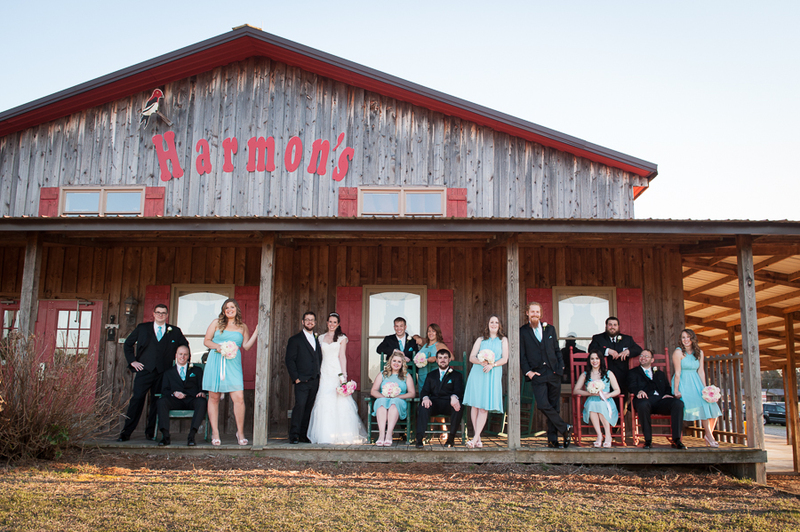 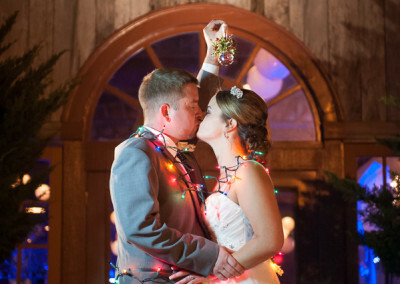 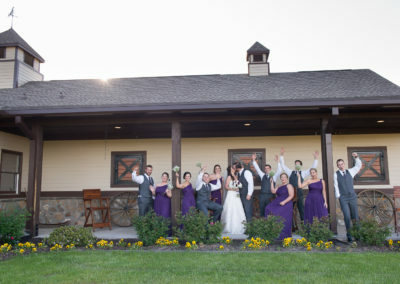 The Barn at Harmon’s Tree Farm offers the rustic look in a real farm setting! 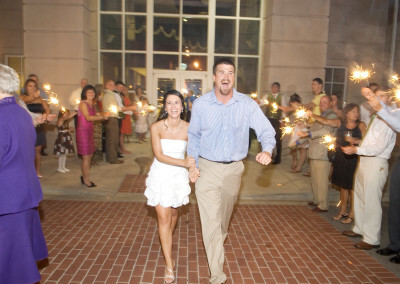 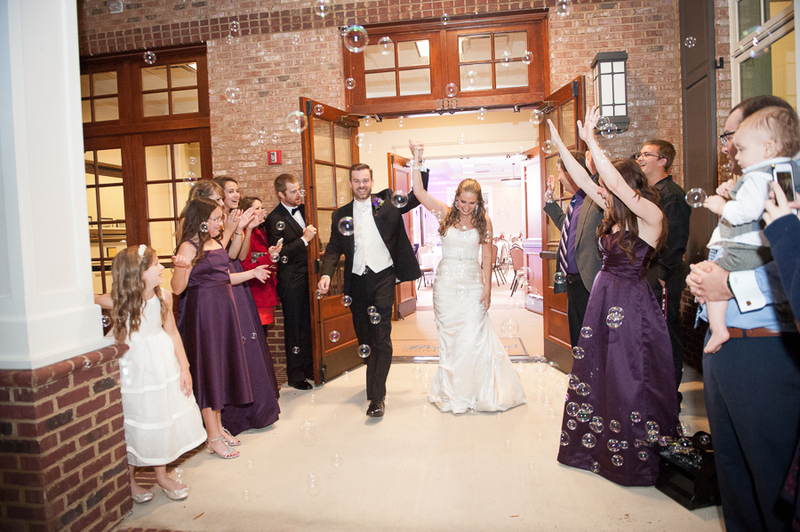 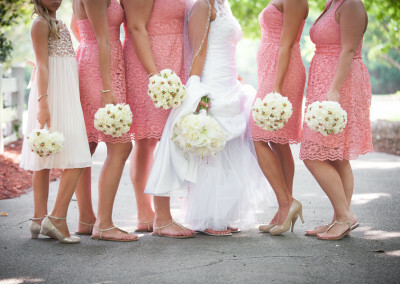 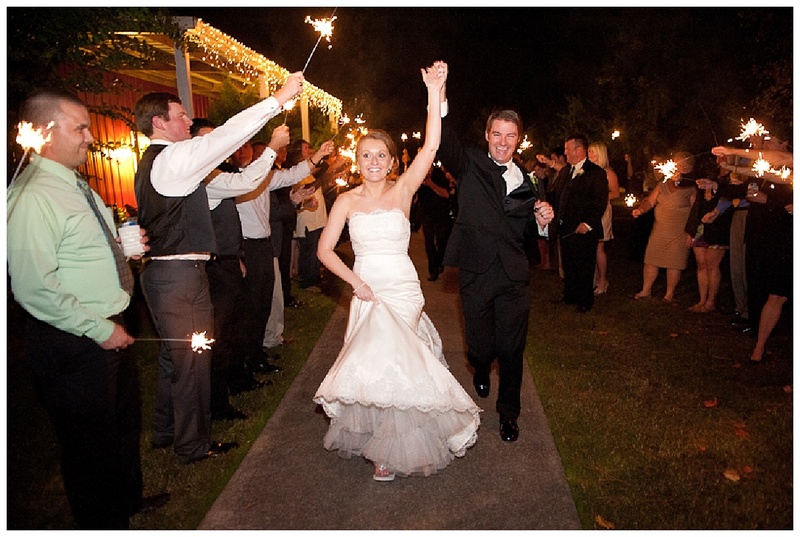 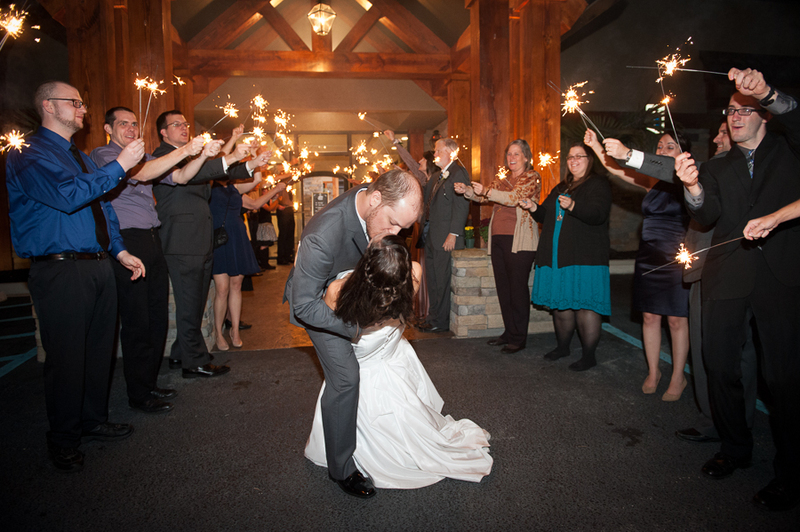 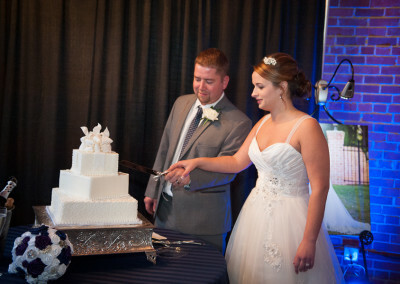 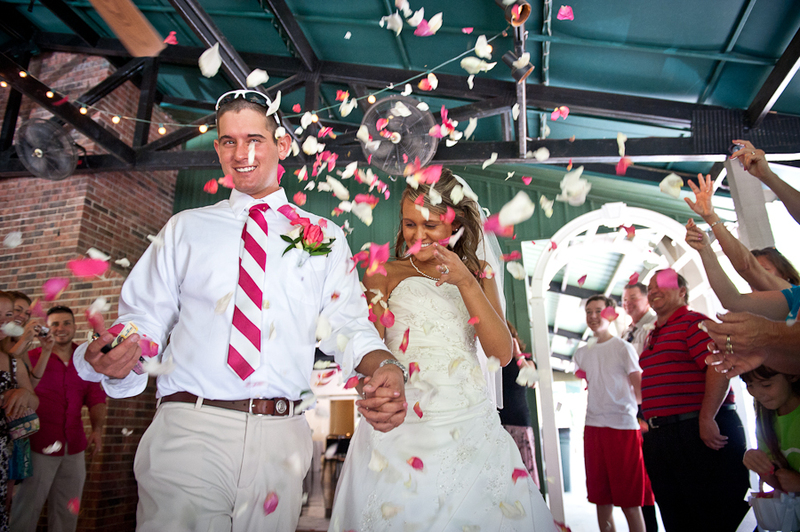 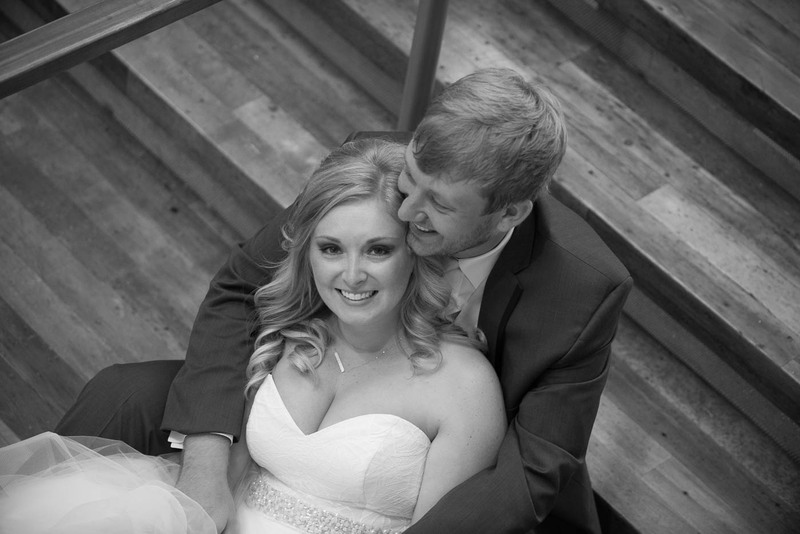 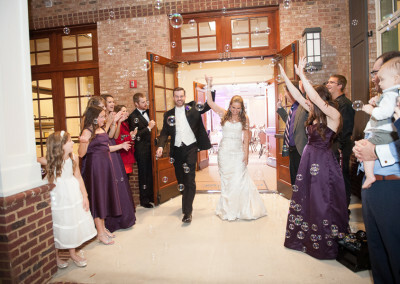 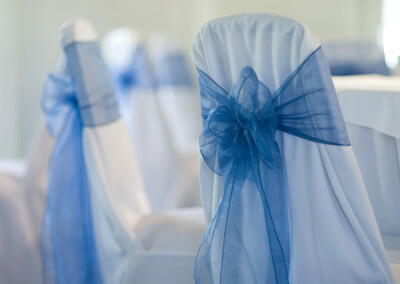 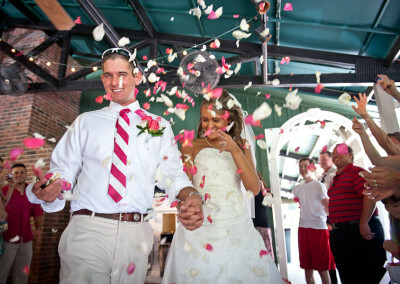 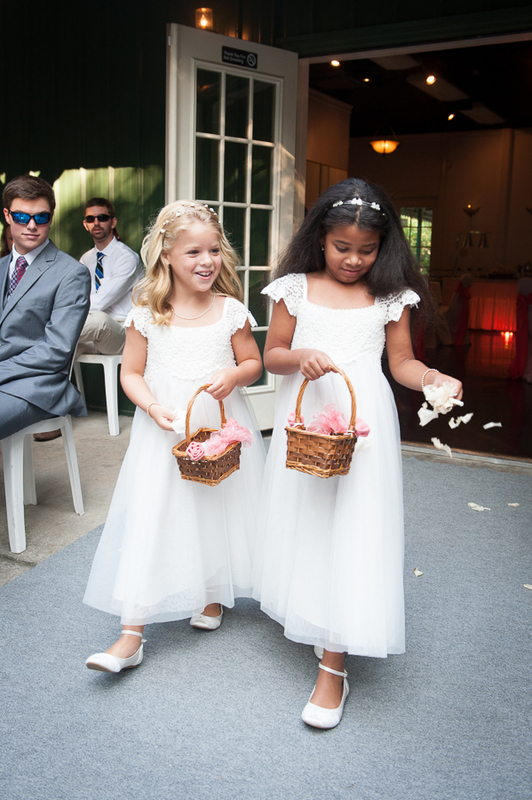 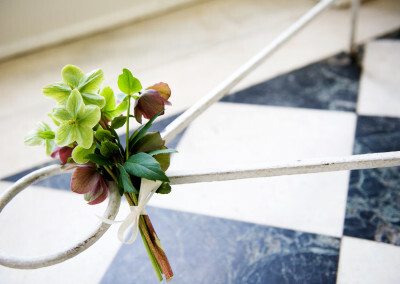 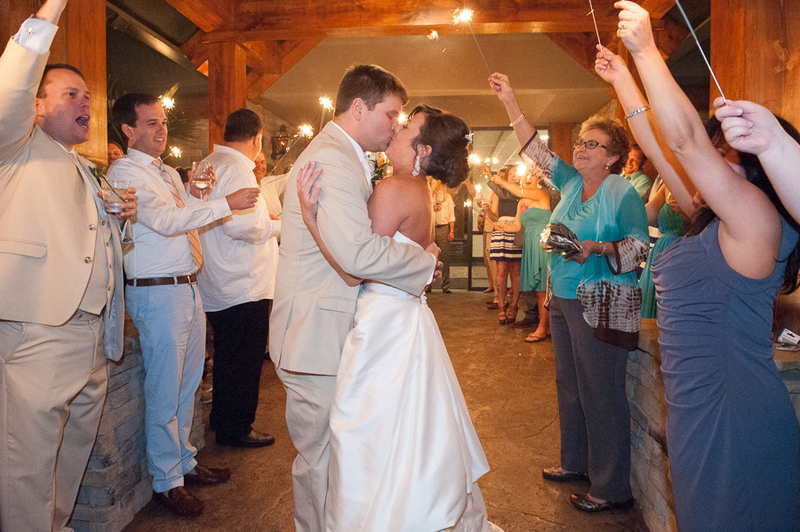 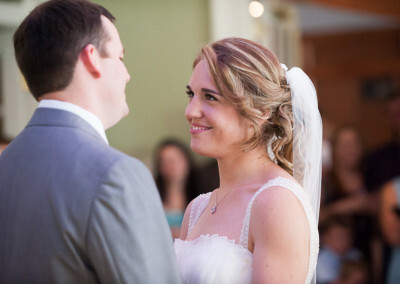 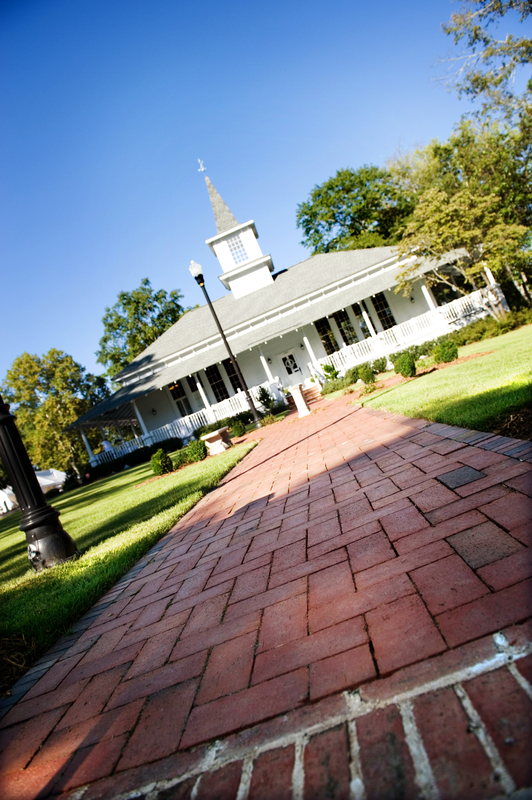 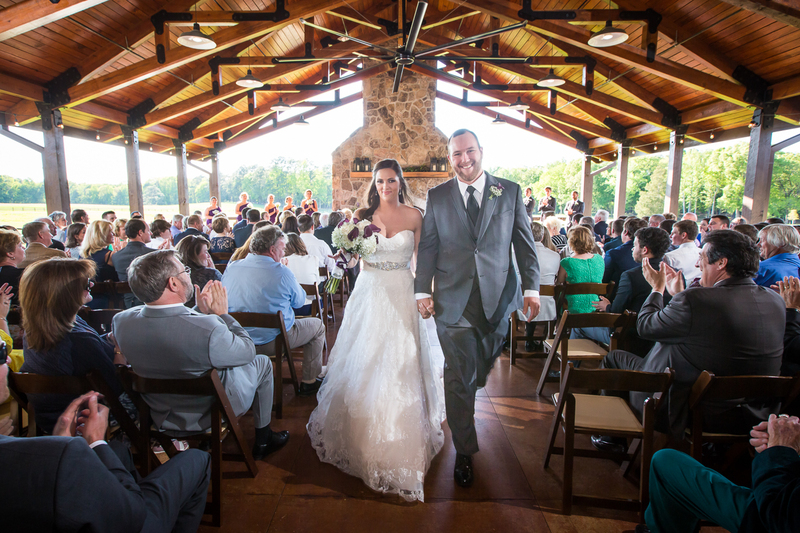 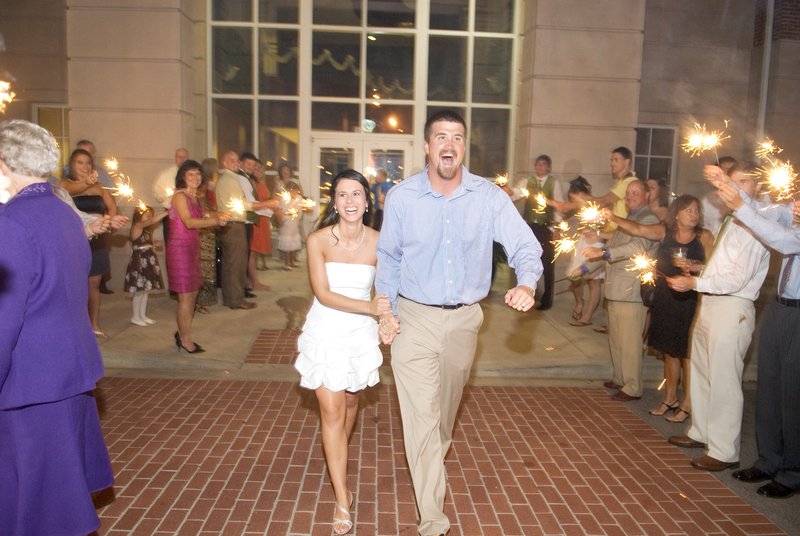 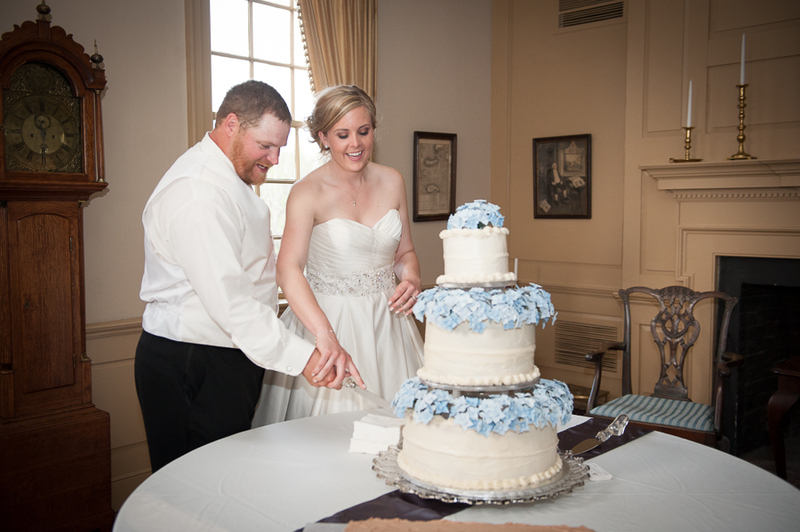 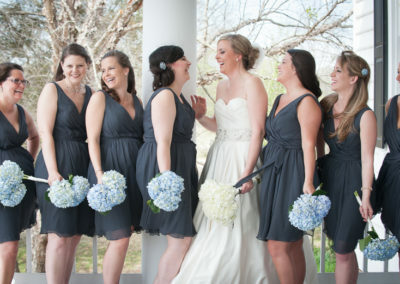 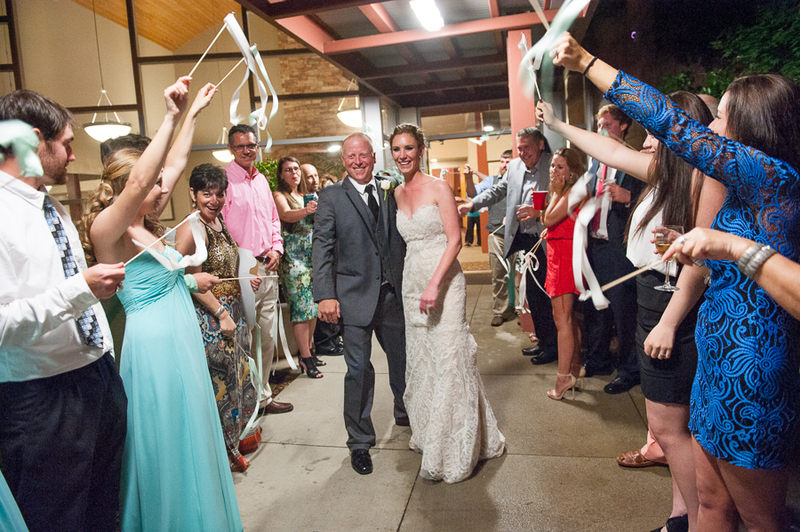 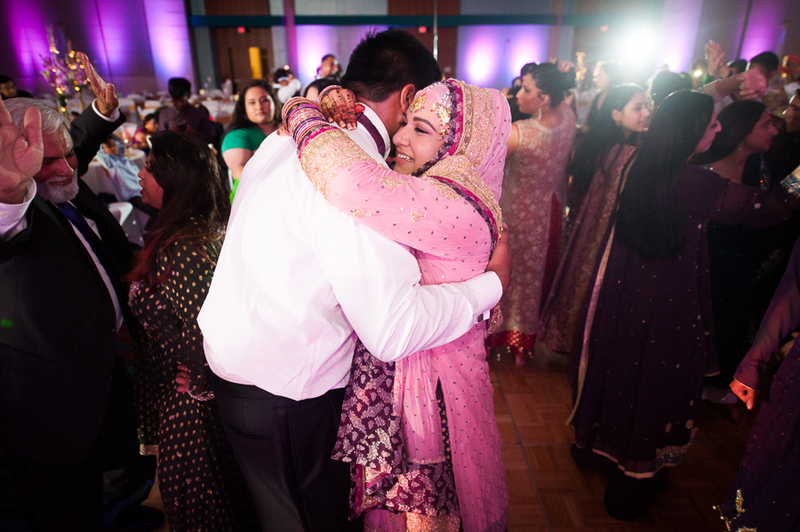 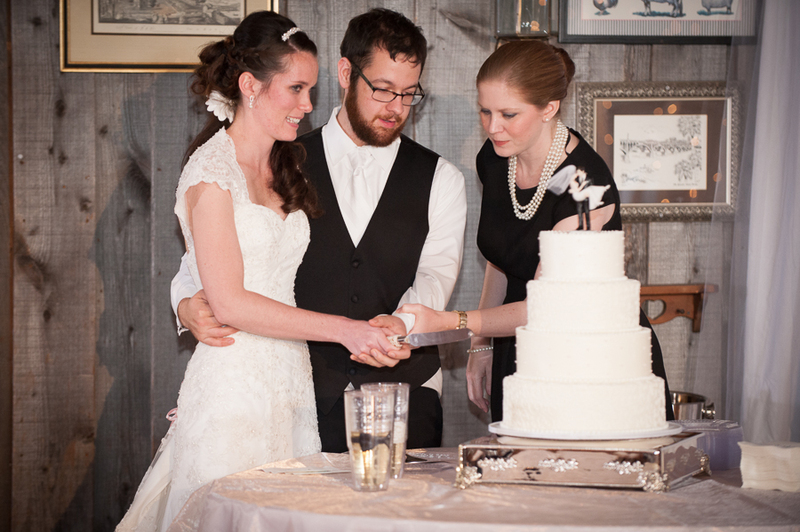 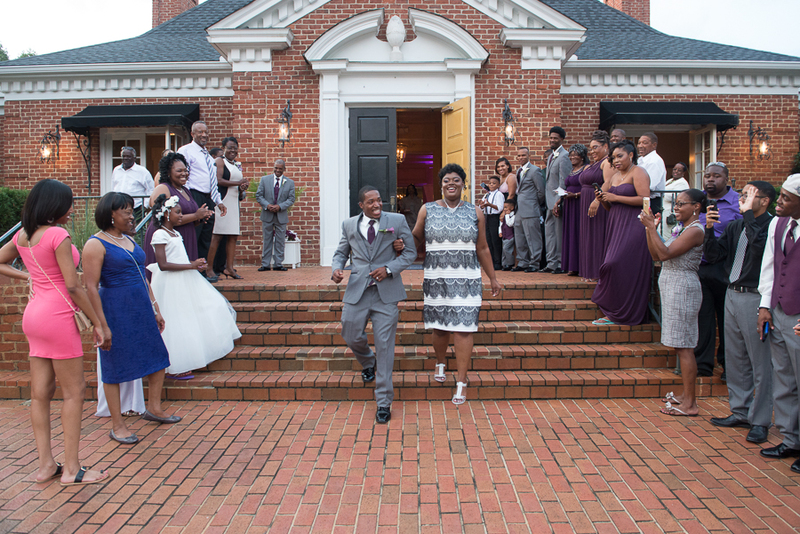 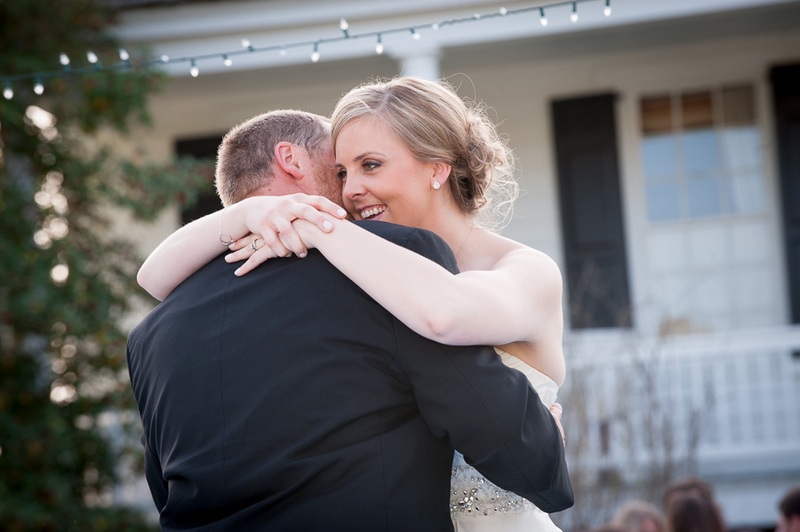 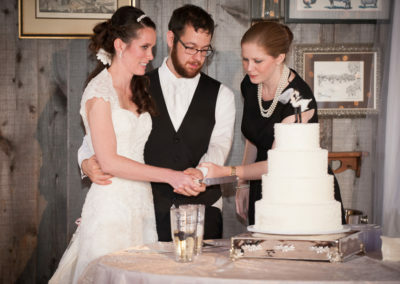 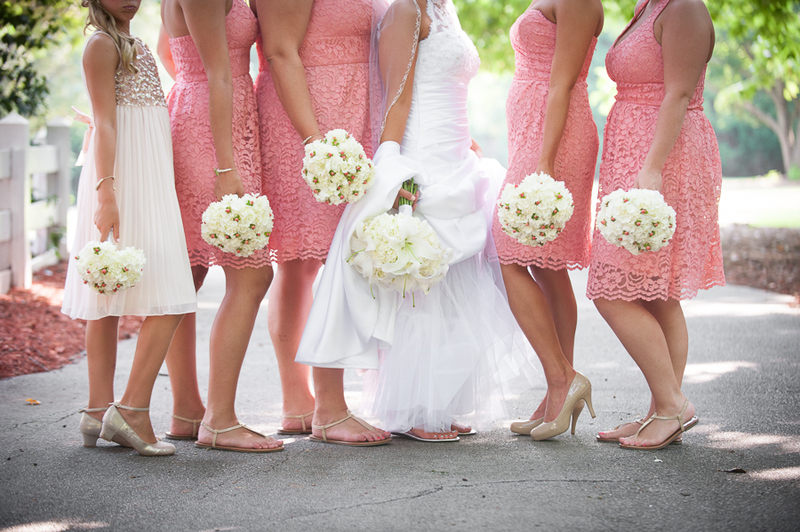 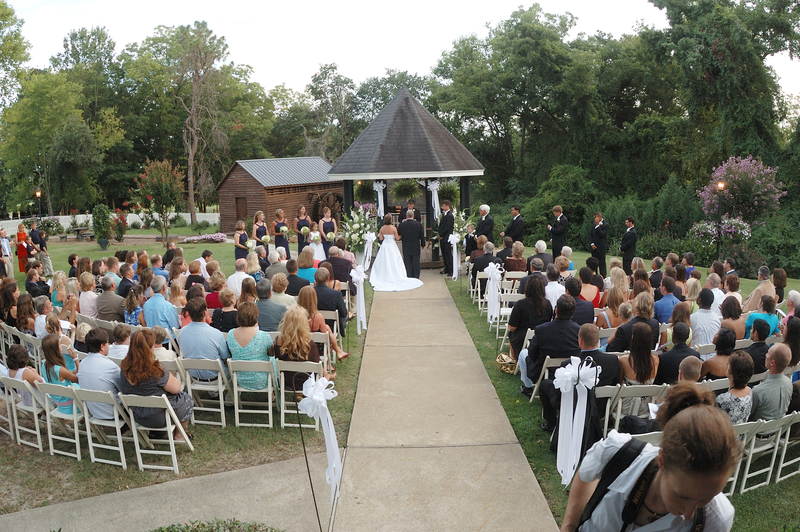 The spacious venue is perfect for a wedding of any size and guests can relax indoors or outside on the porch. 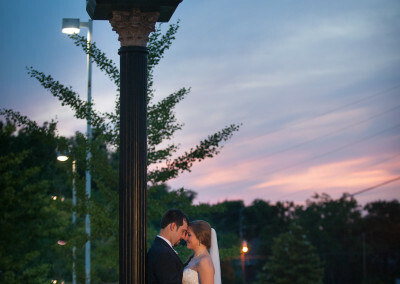 This venue has one of the most amazing views in Columbia. 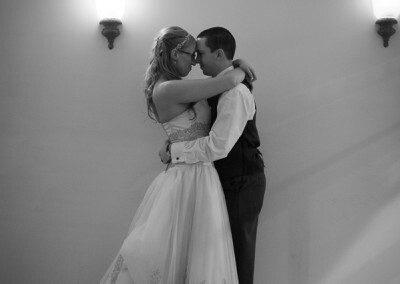 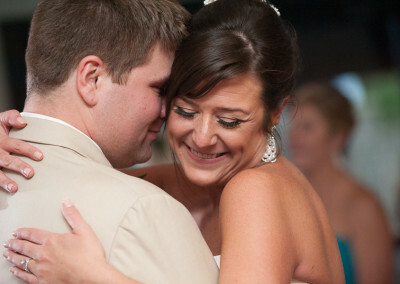 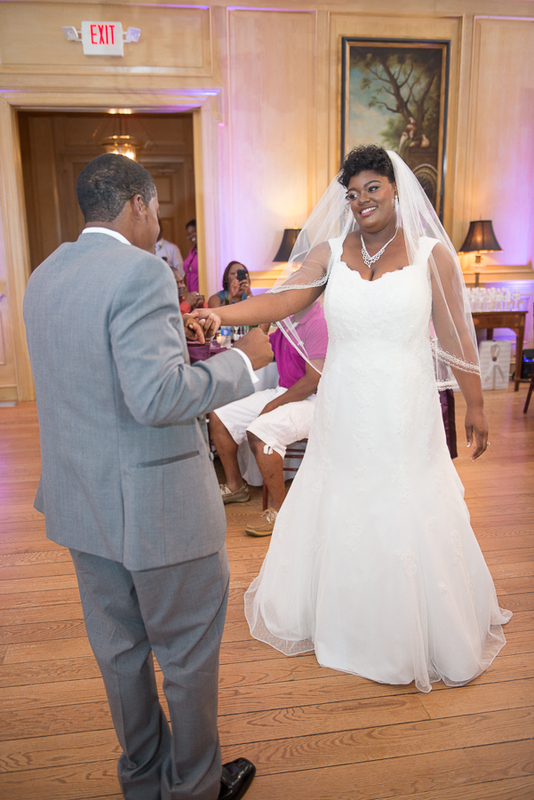 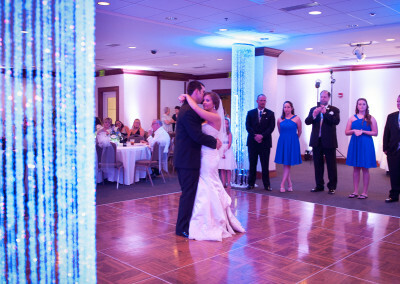 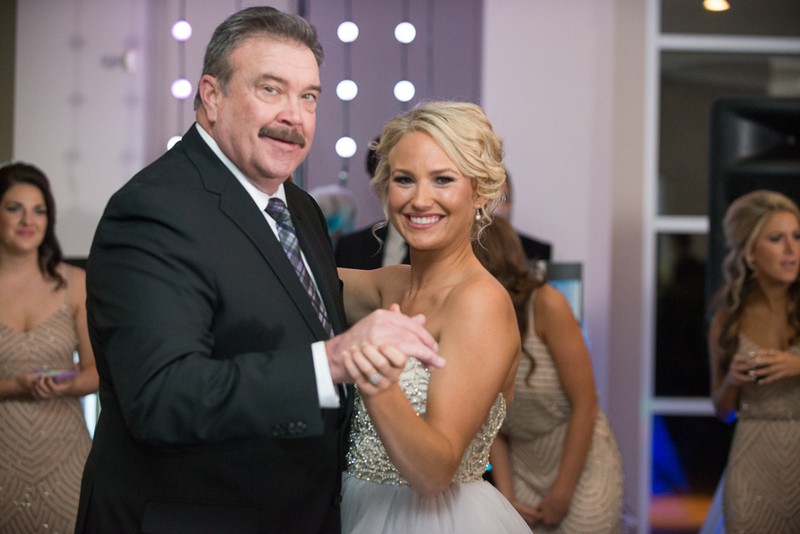 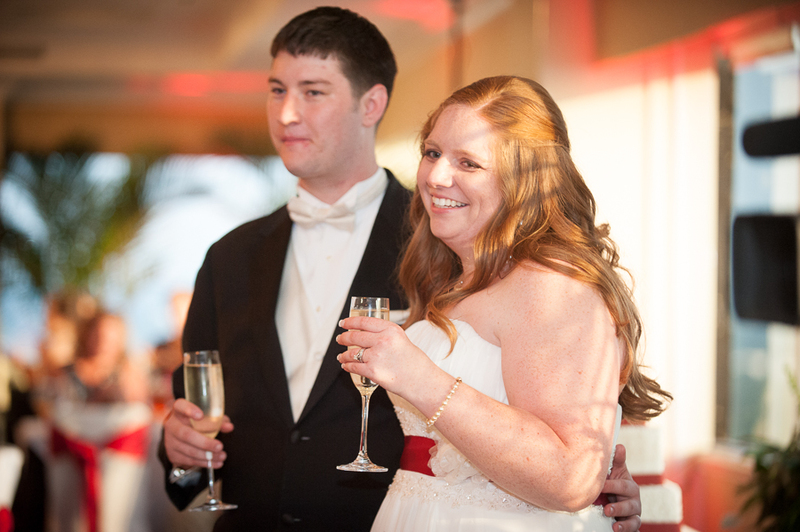 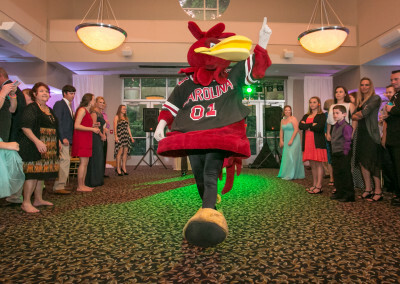 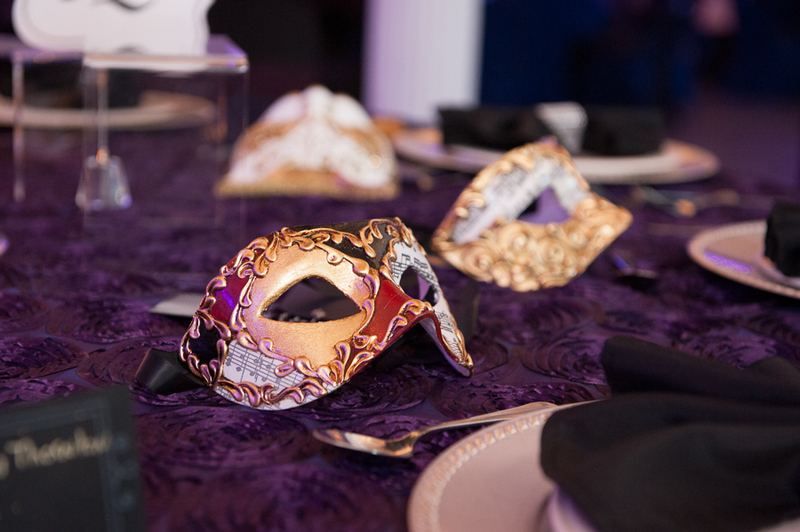 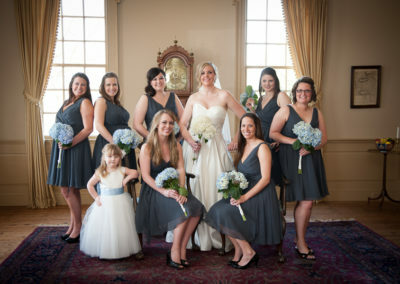 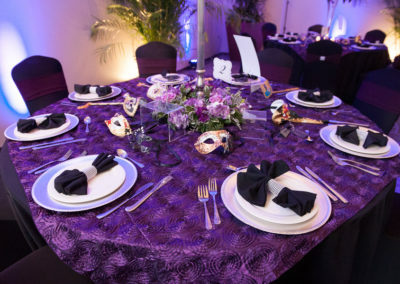 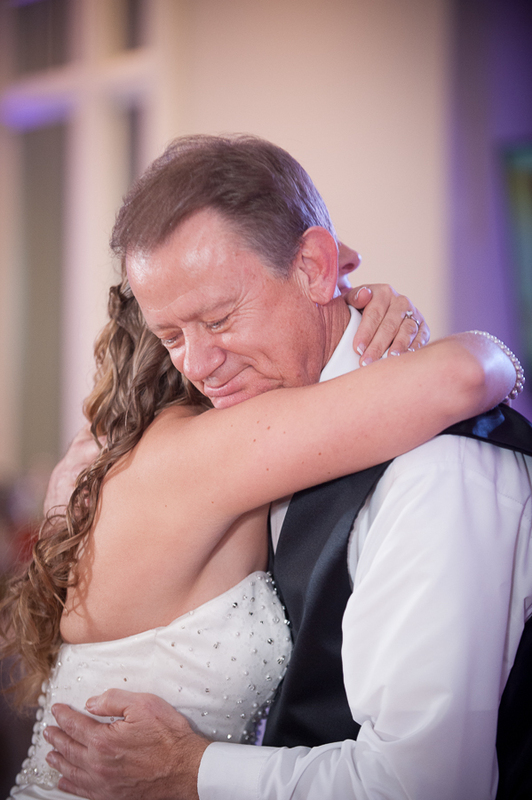 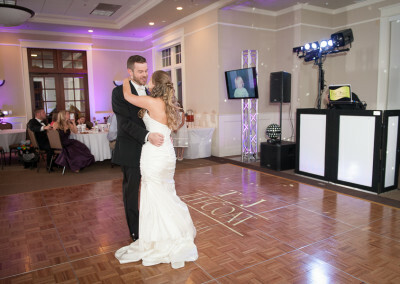 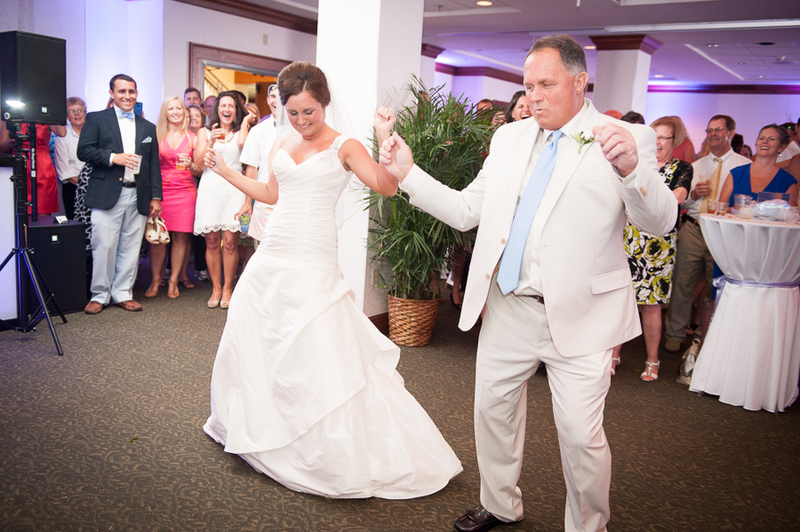 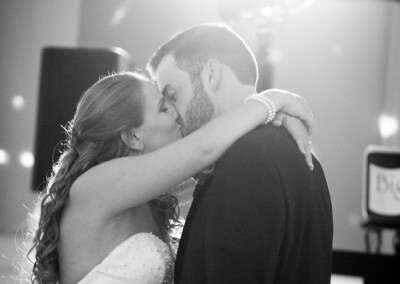 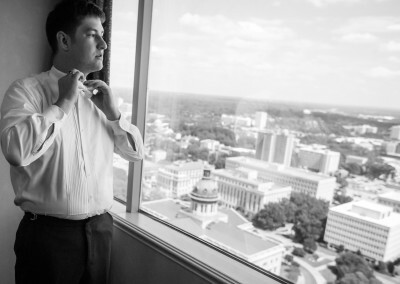 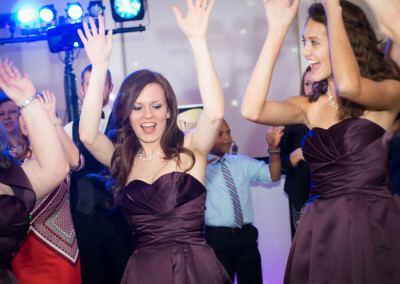 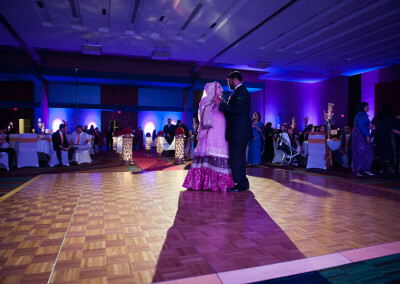 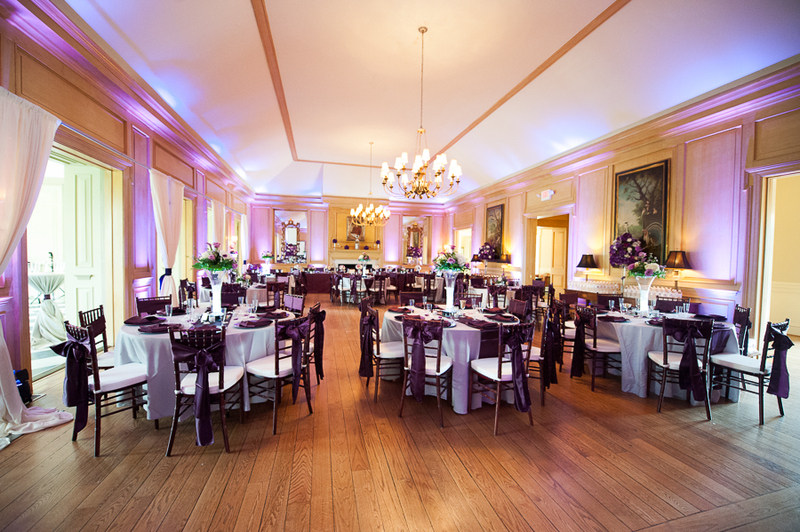 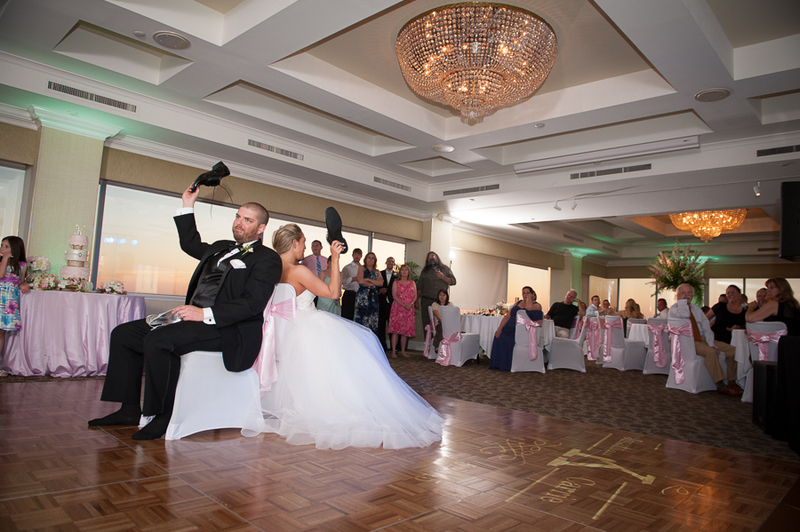 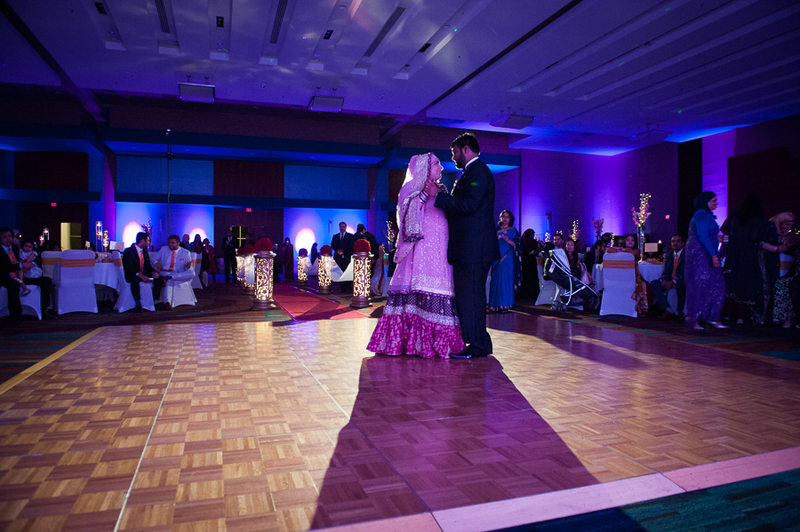 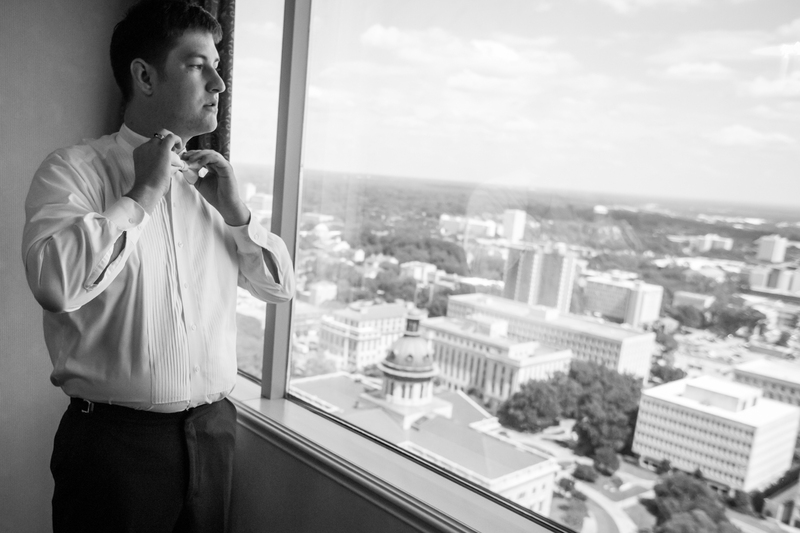 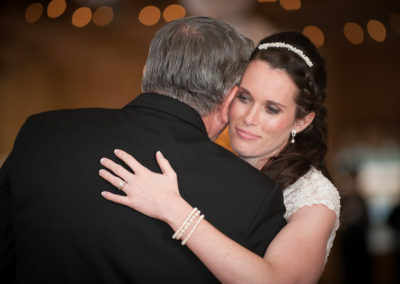 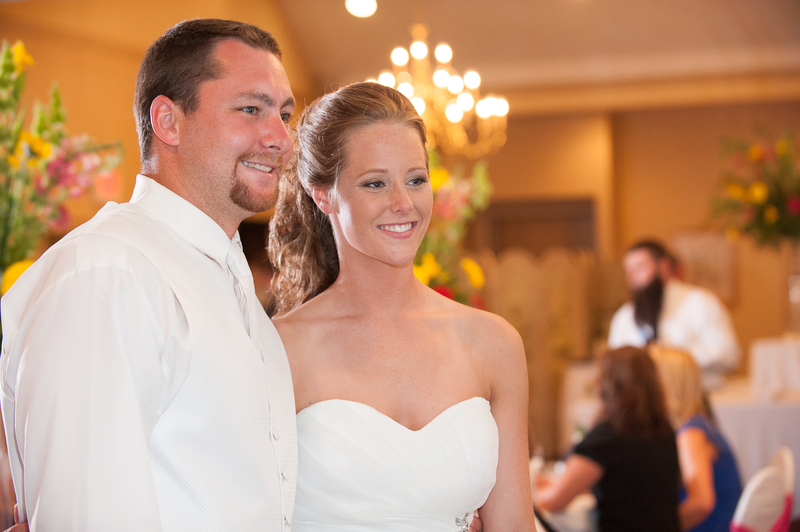 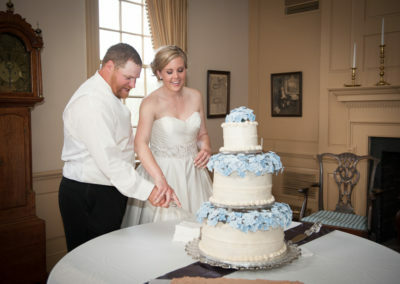 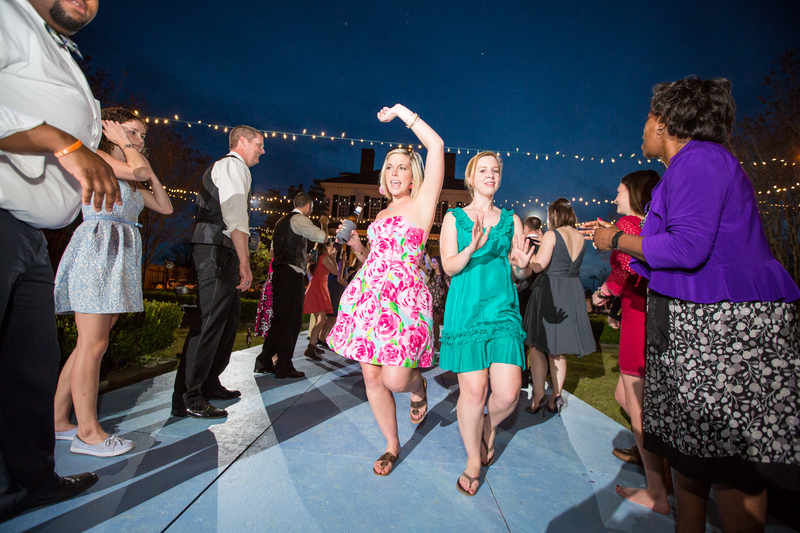 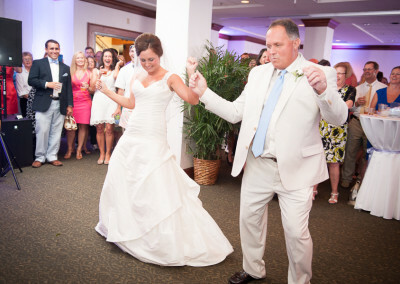 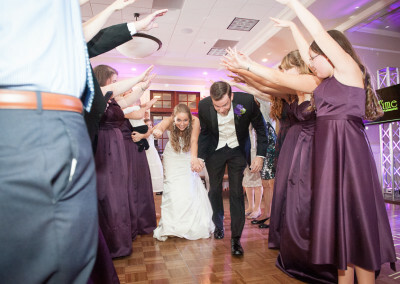 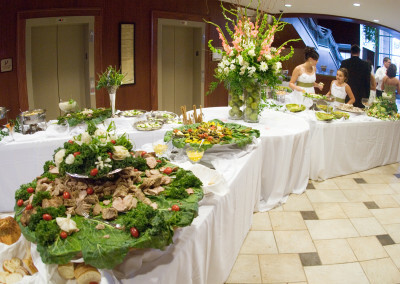 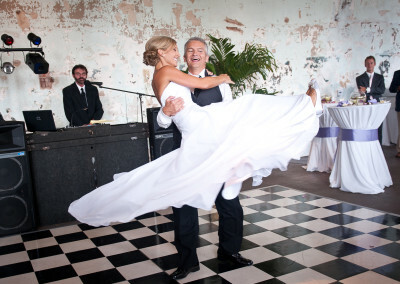 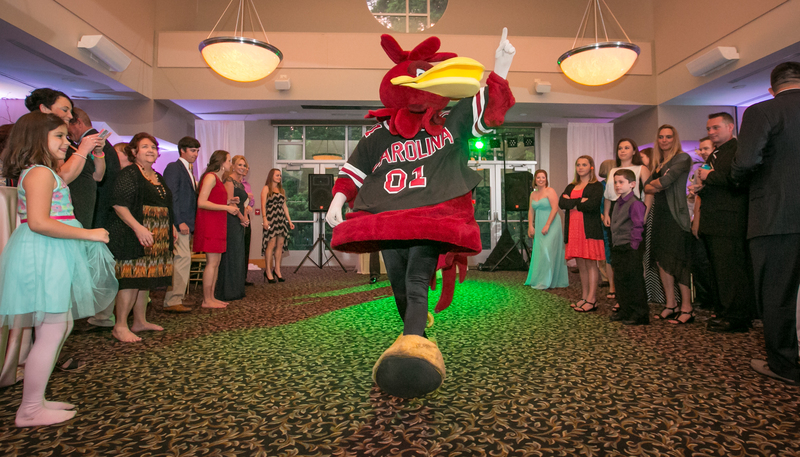 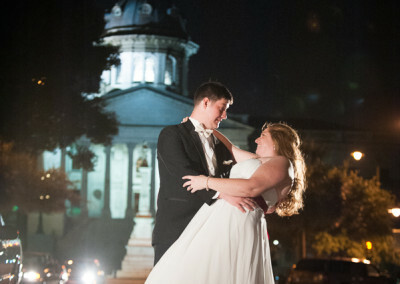 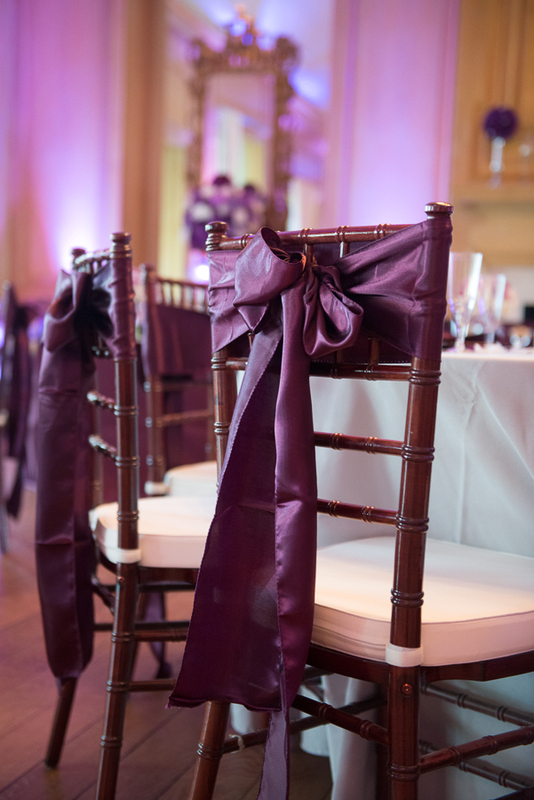 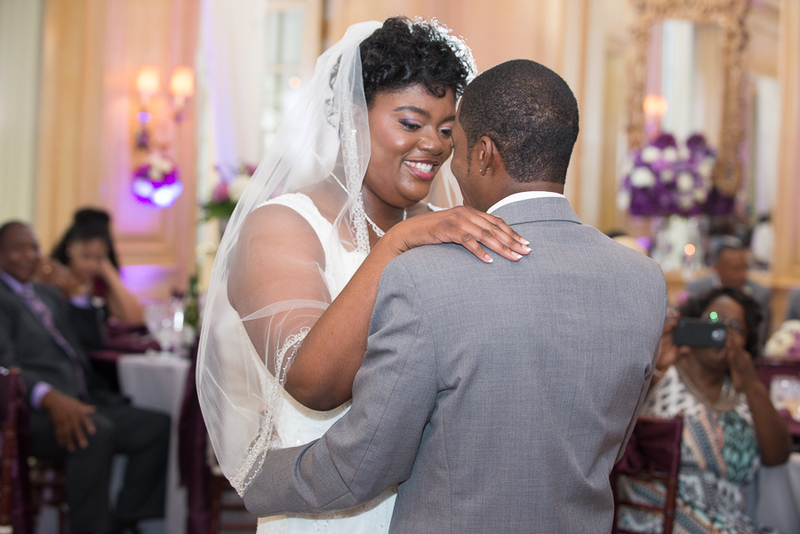 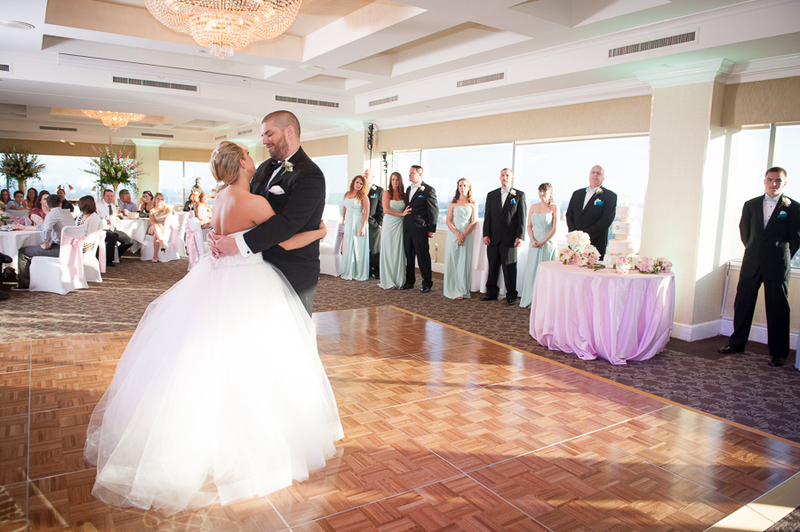 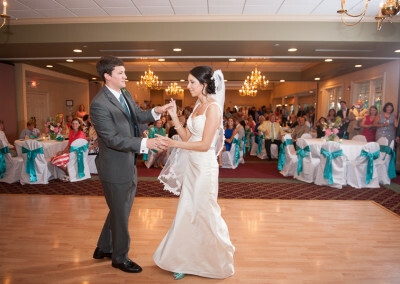 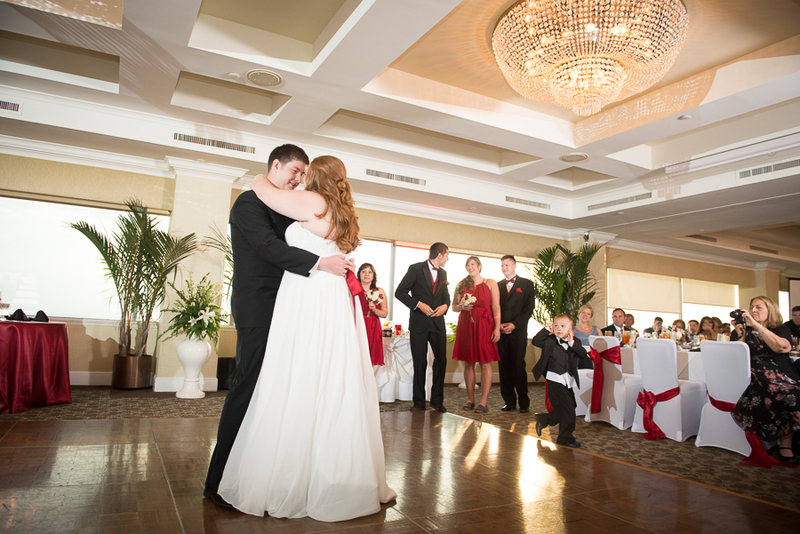 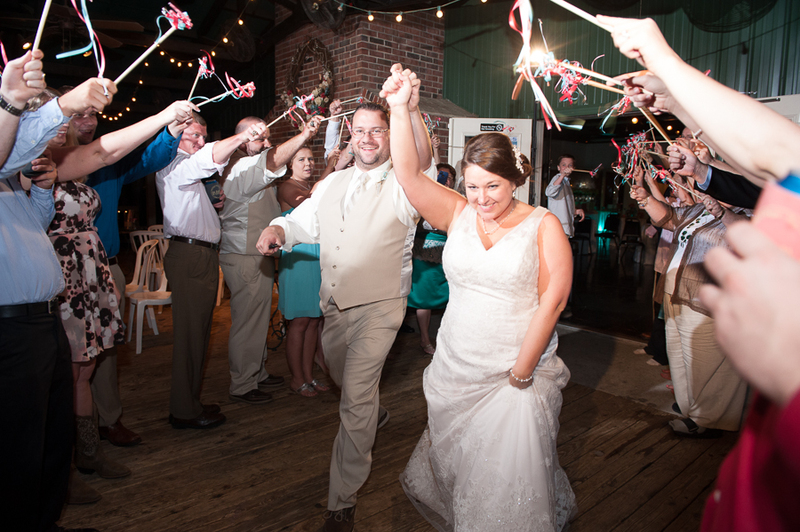 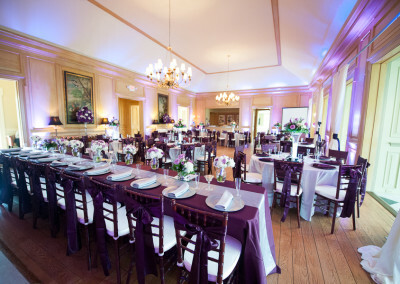 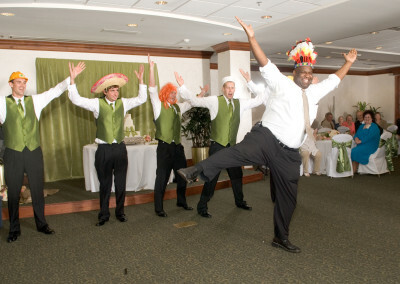 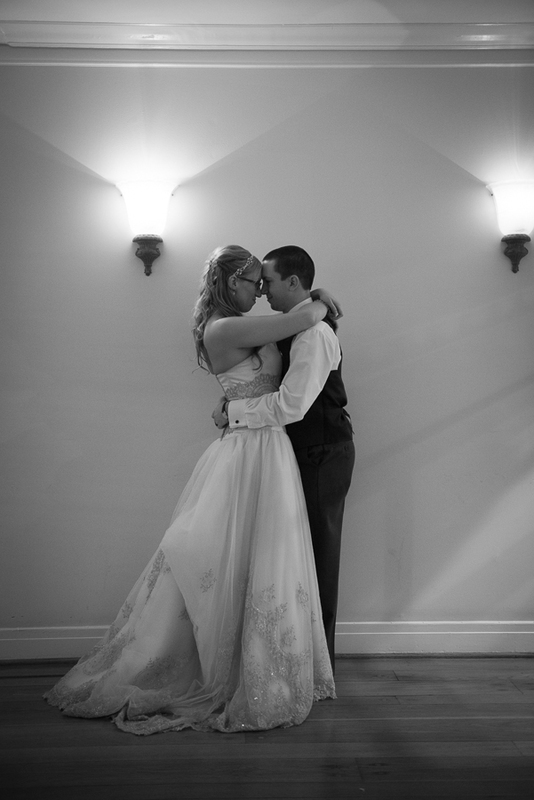 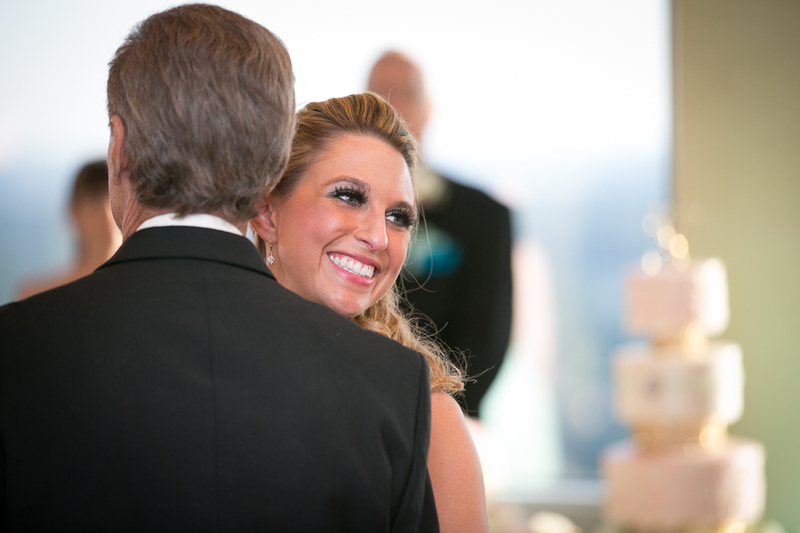 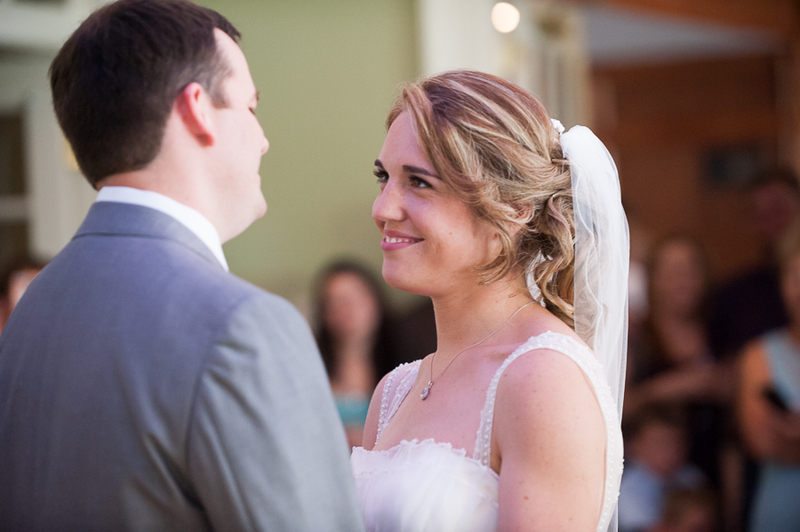 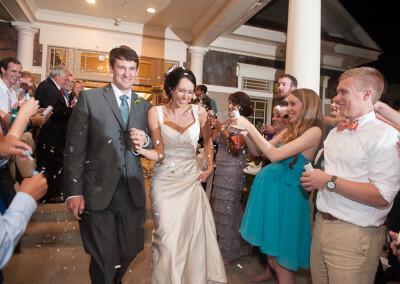 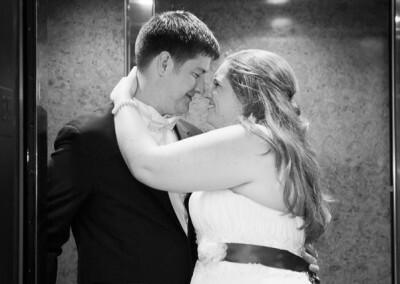 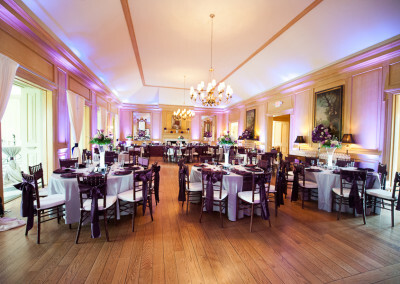 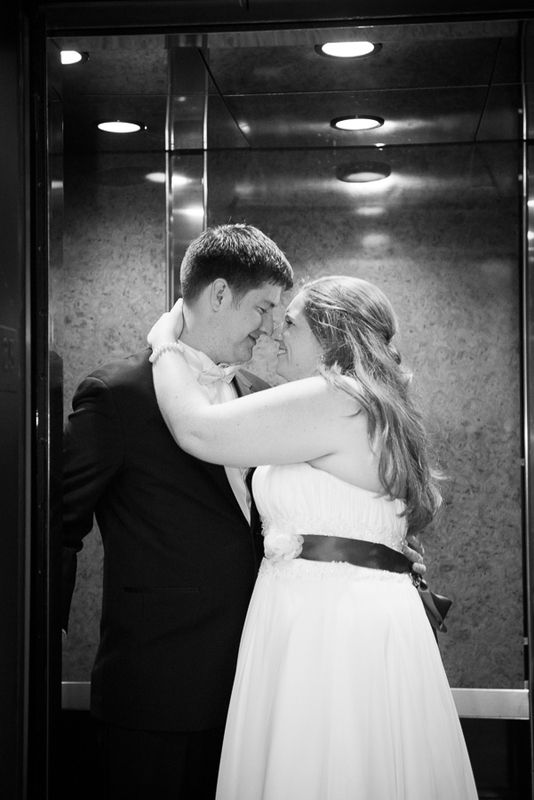 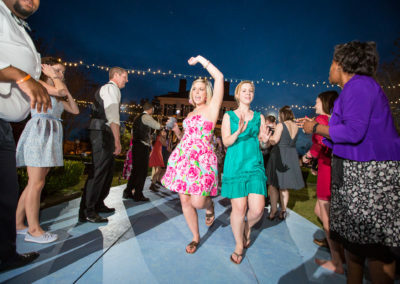 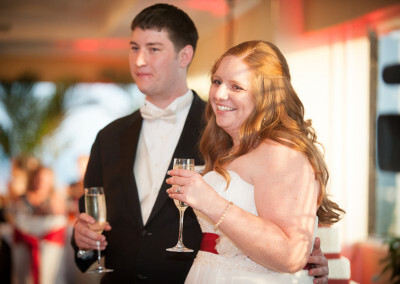 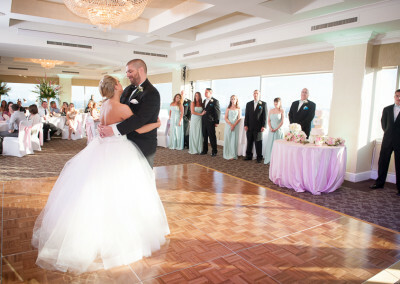 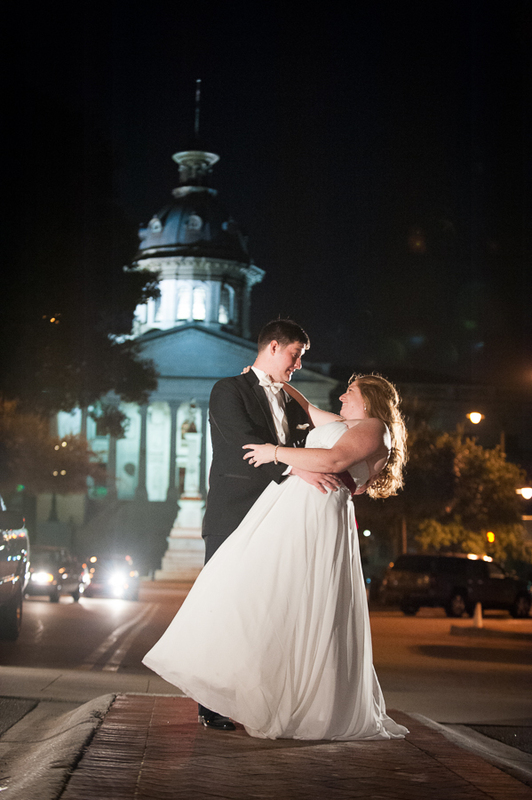 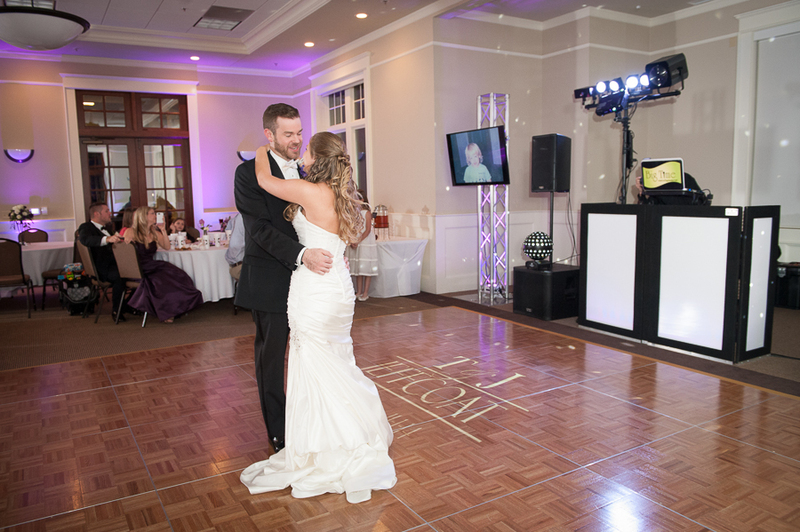 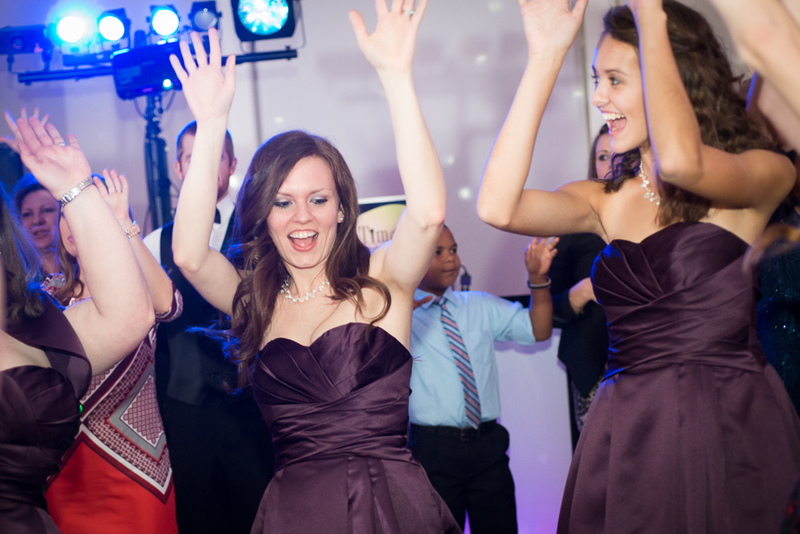 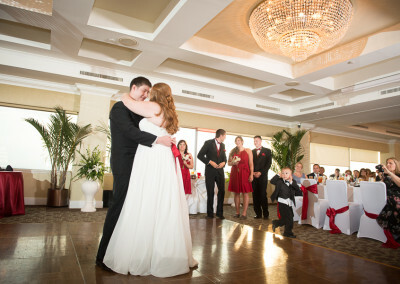 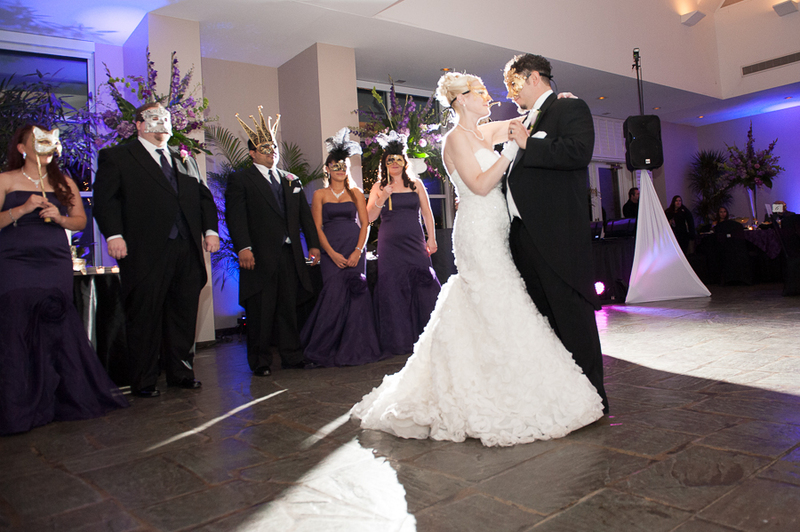 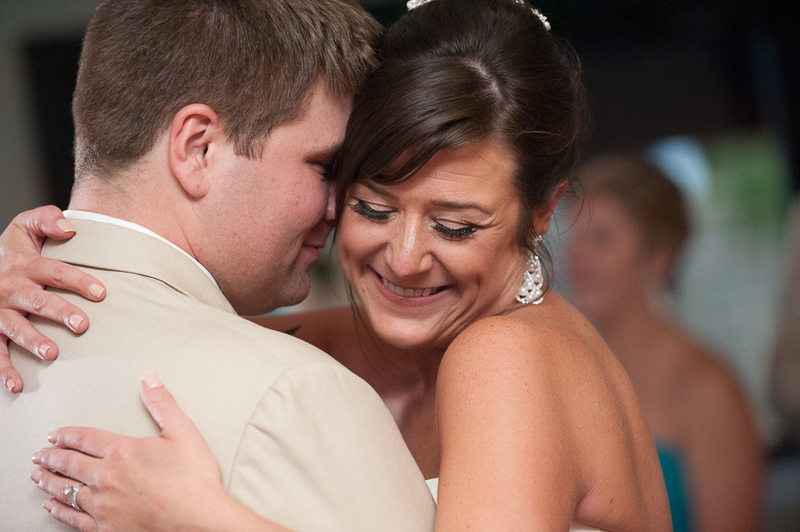 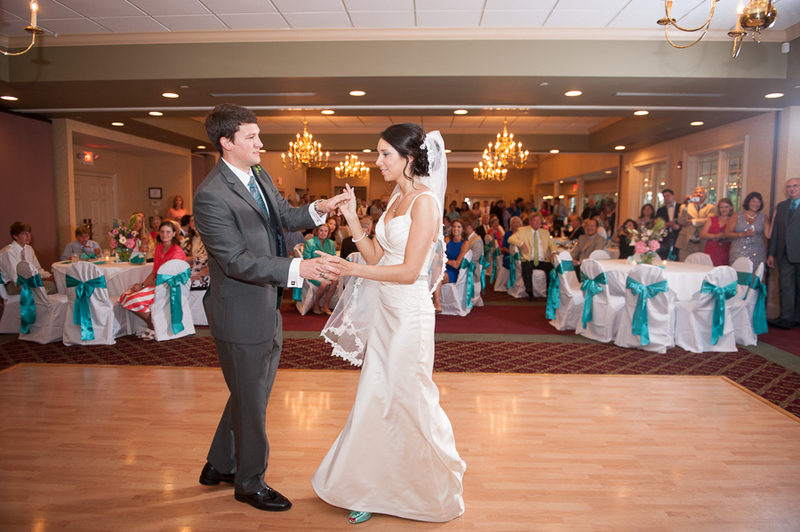 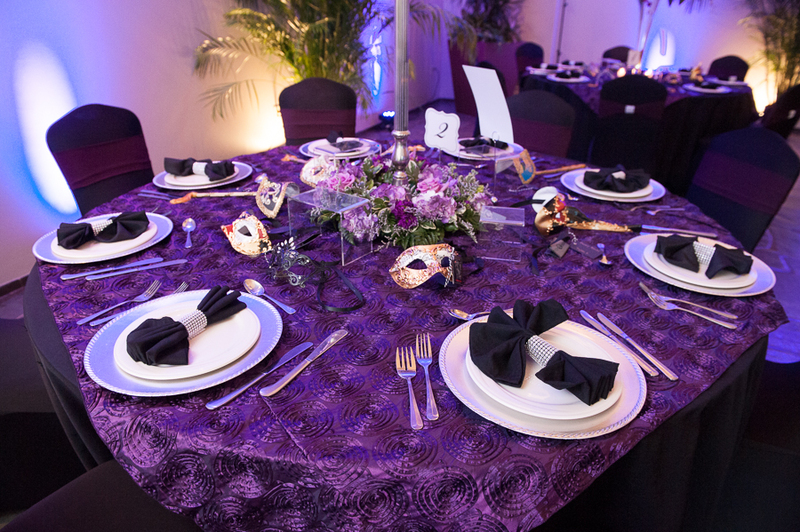 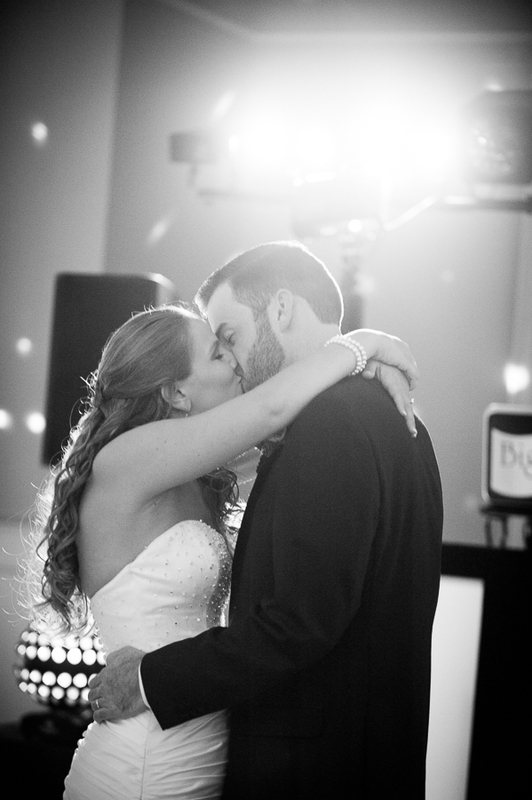 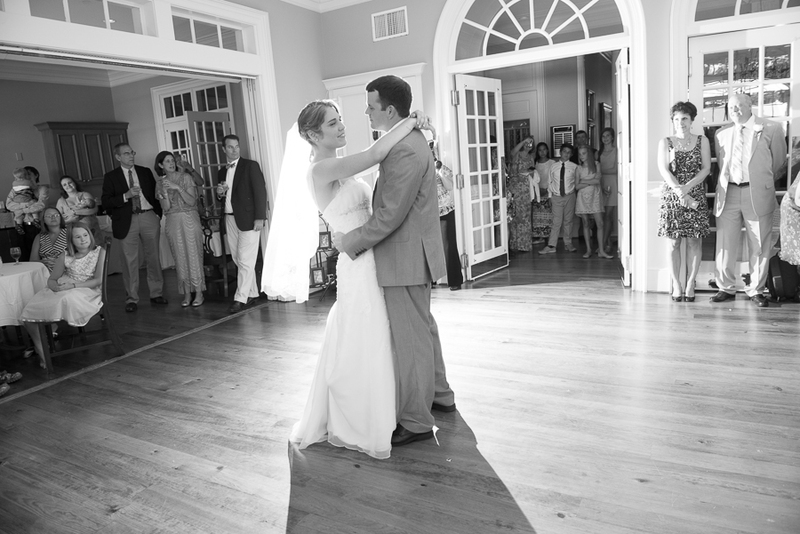 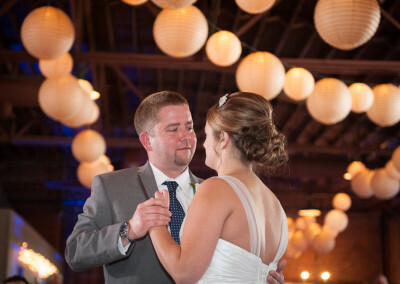 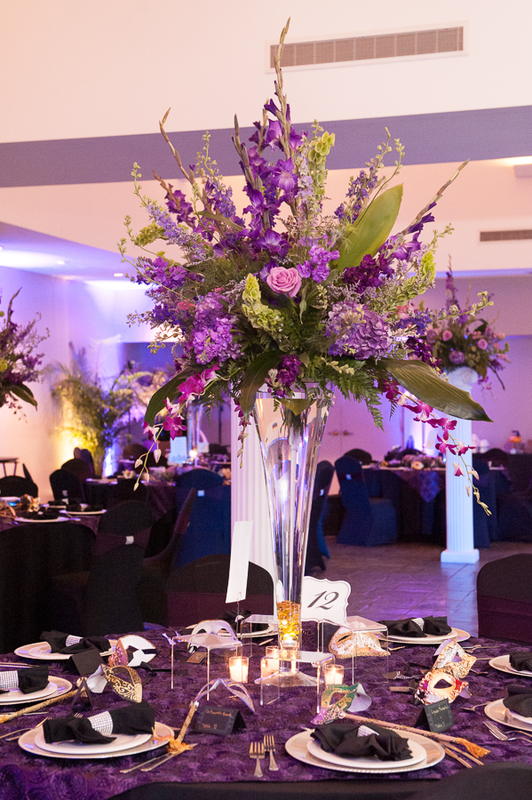 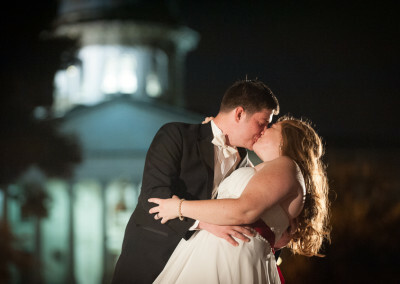 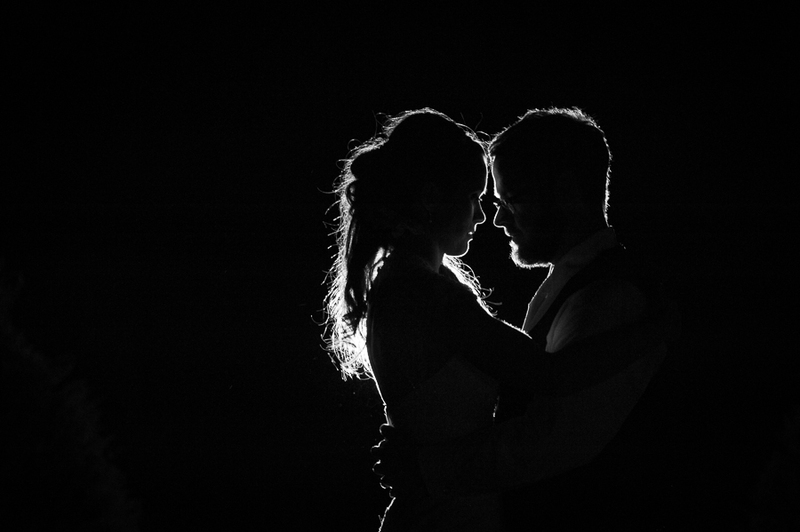 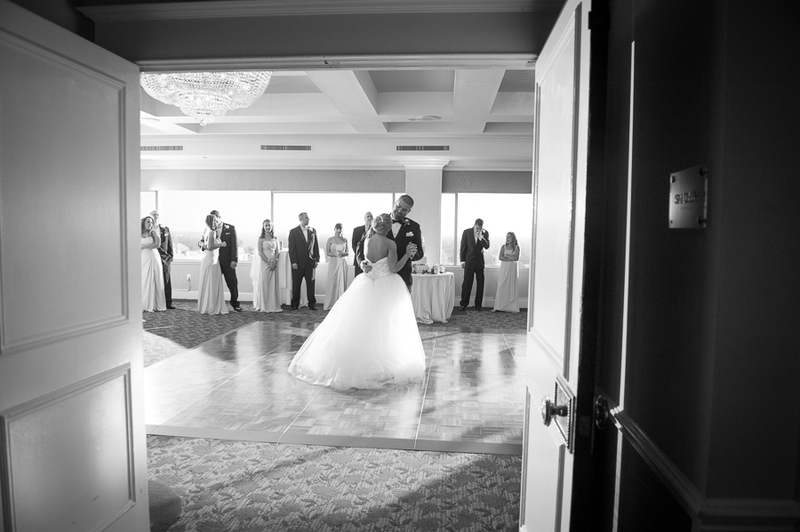 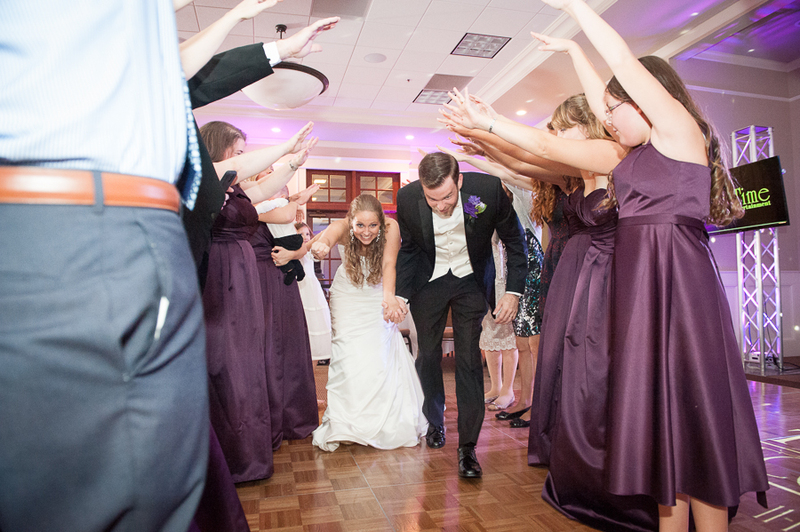 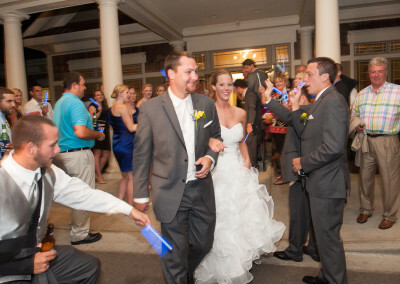 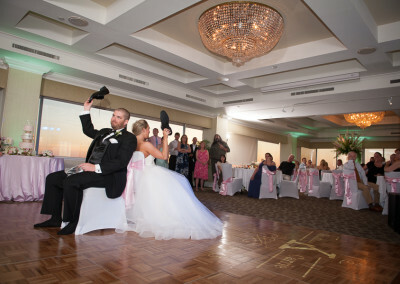 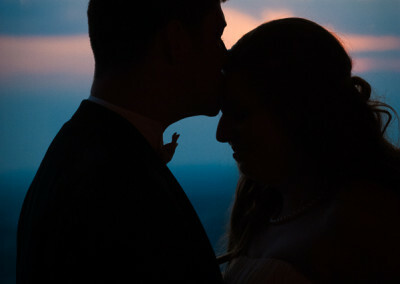 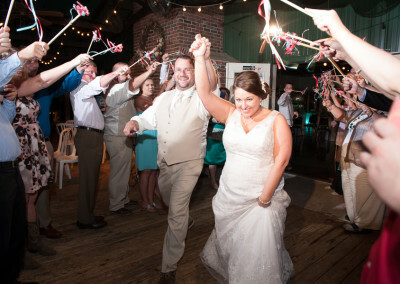 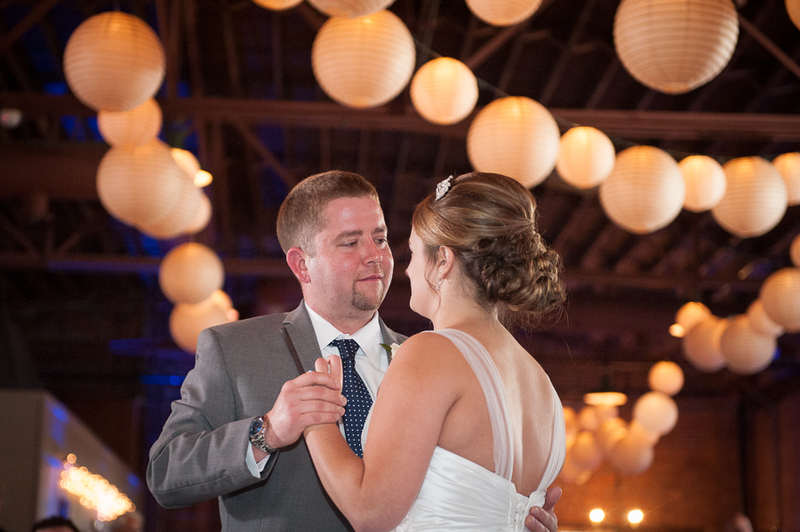 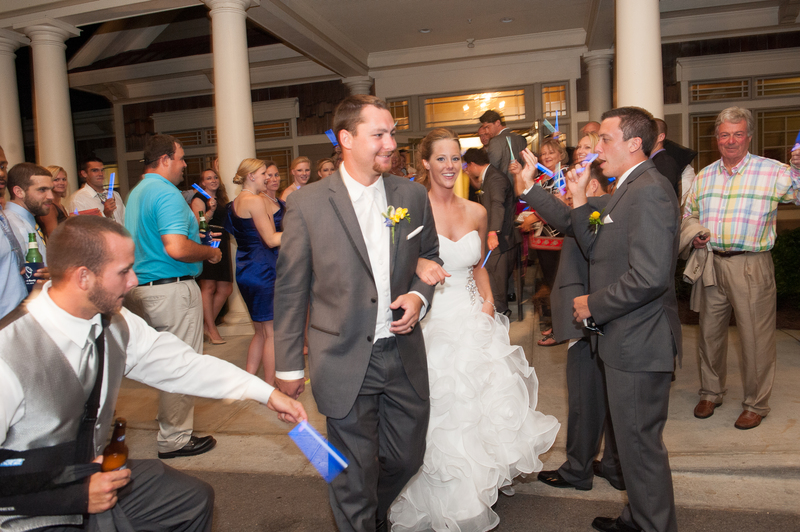 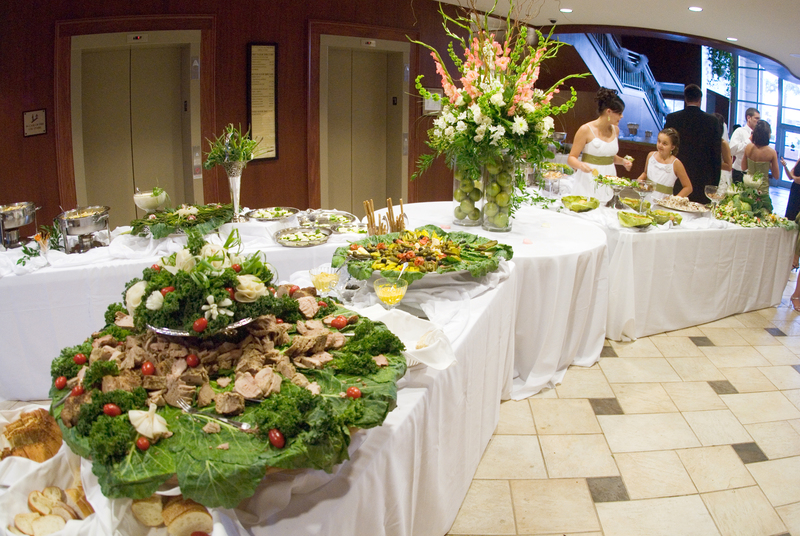 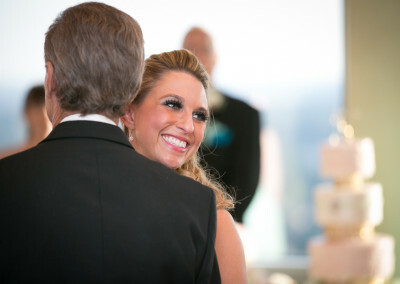 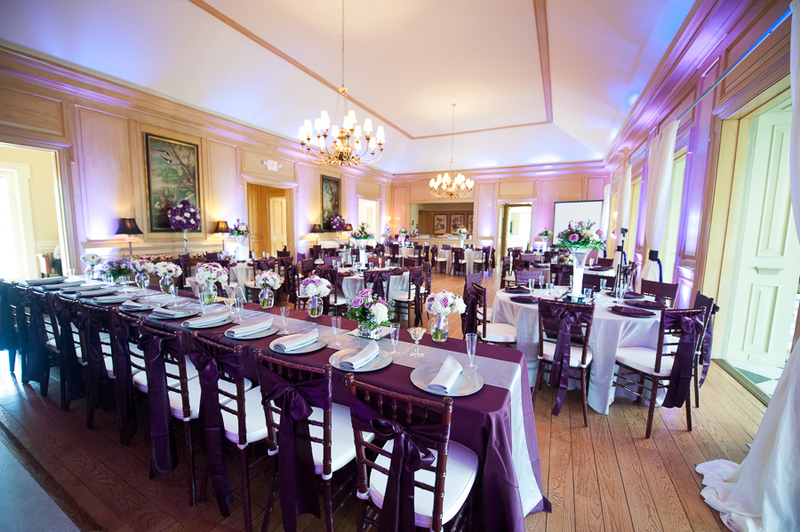 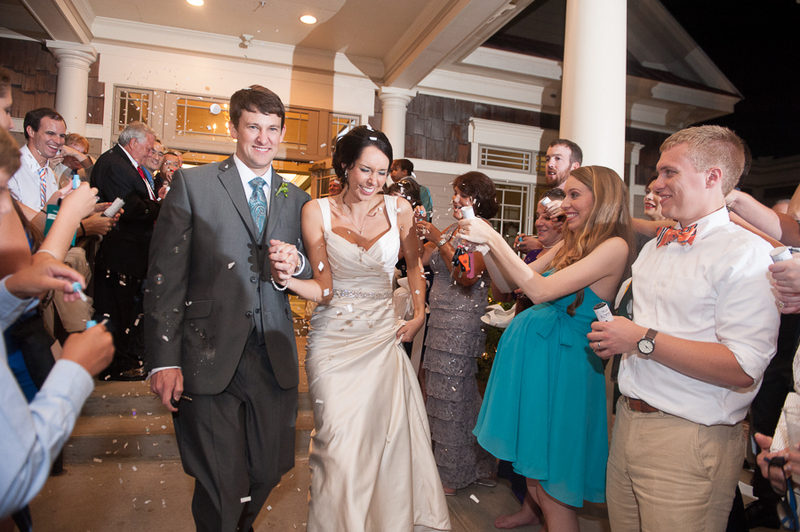 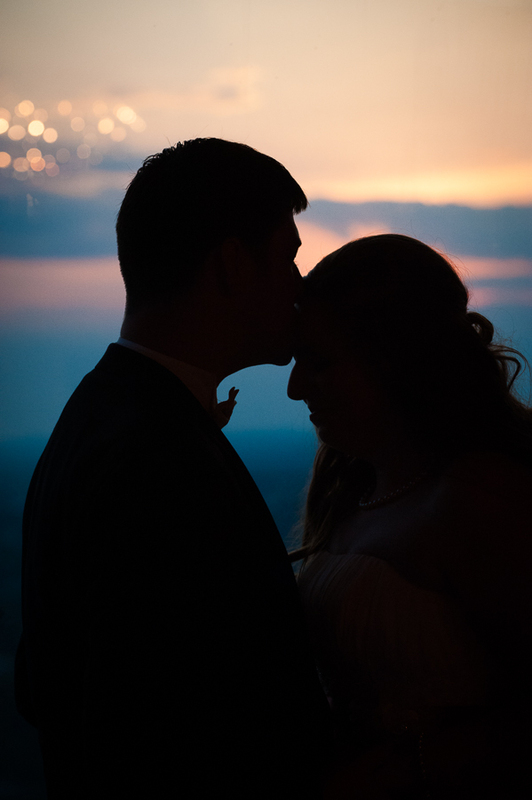 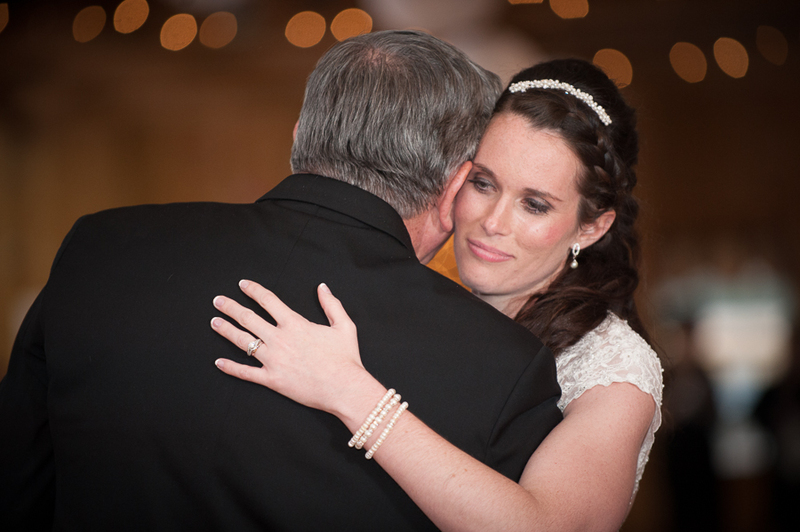 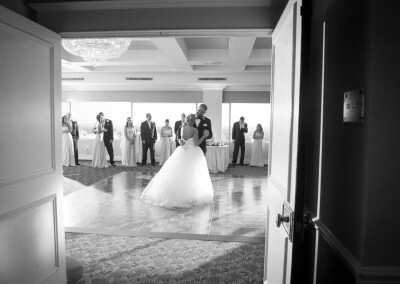 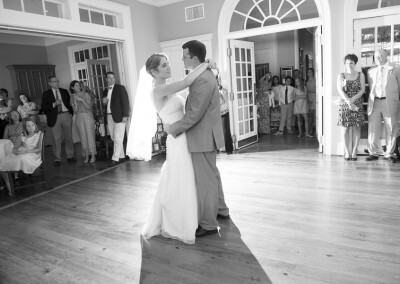 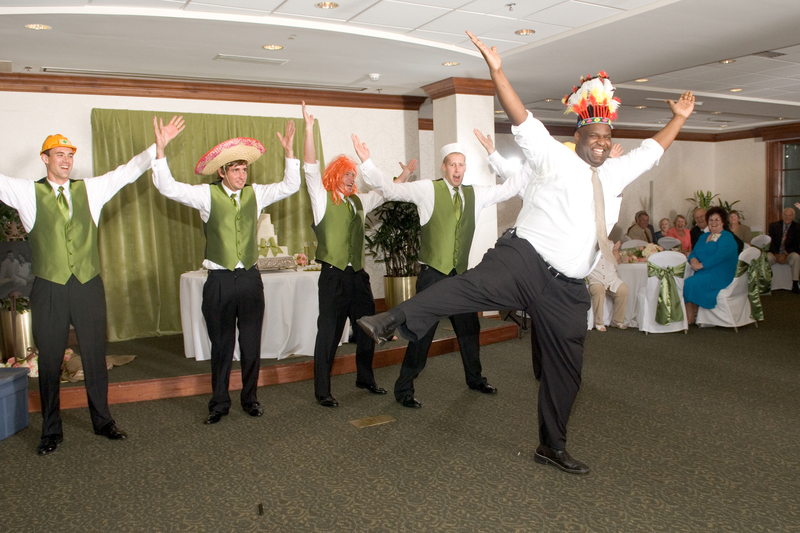 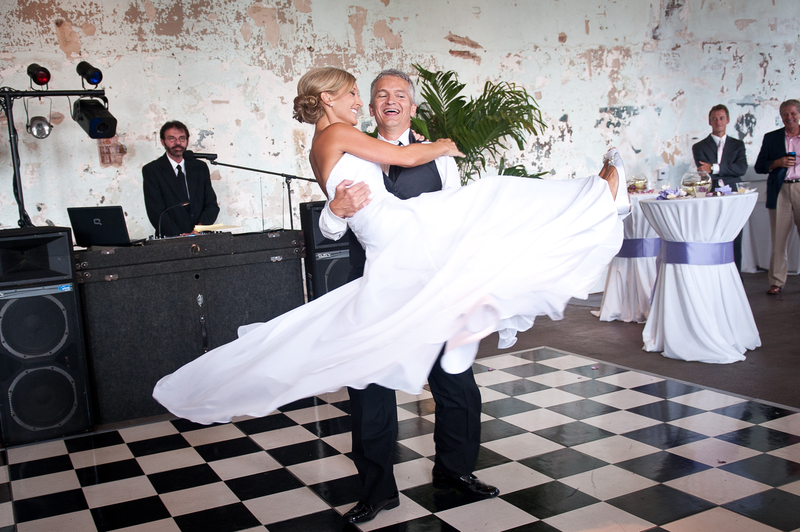 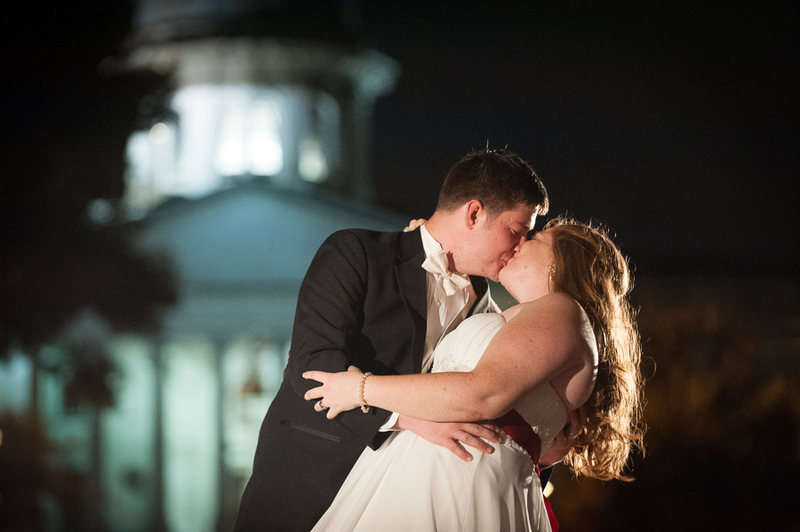 Overlooking the State House and downtown Columbia, the ballroom has plenty of space for dinner and dancing! 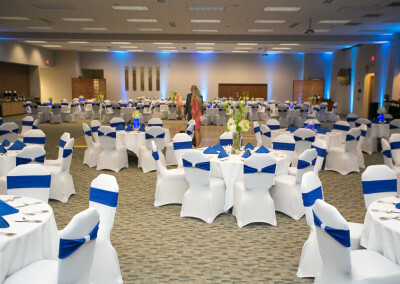 Large venue near St Andrews road. 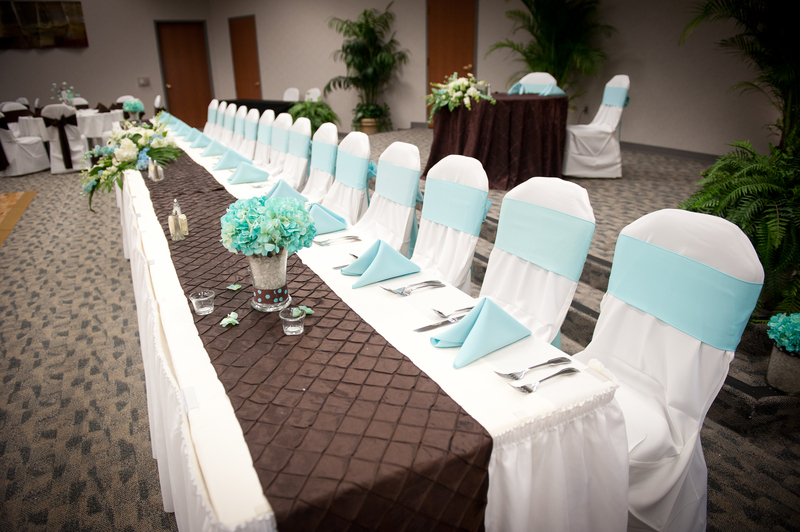 Lots of space for large or small wedding and sit down dinner receptions. 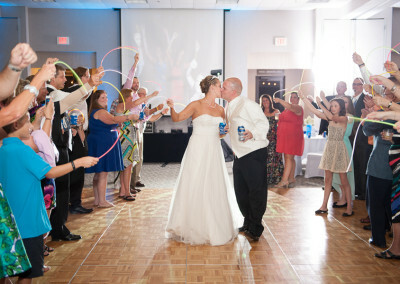 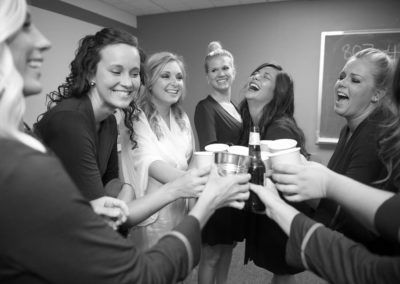 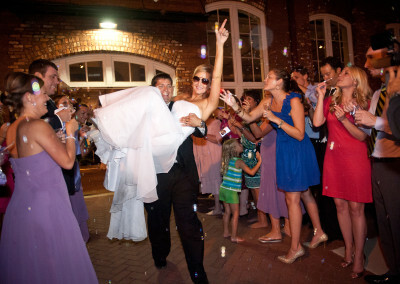 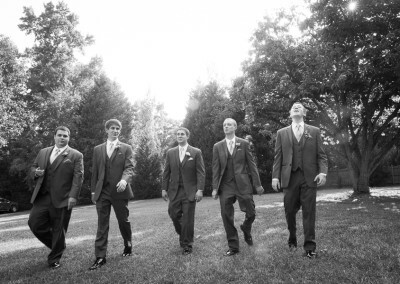 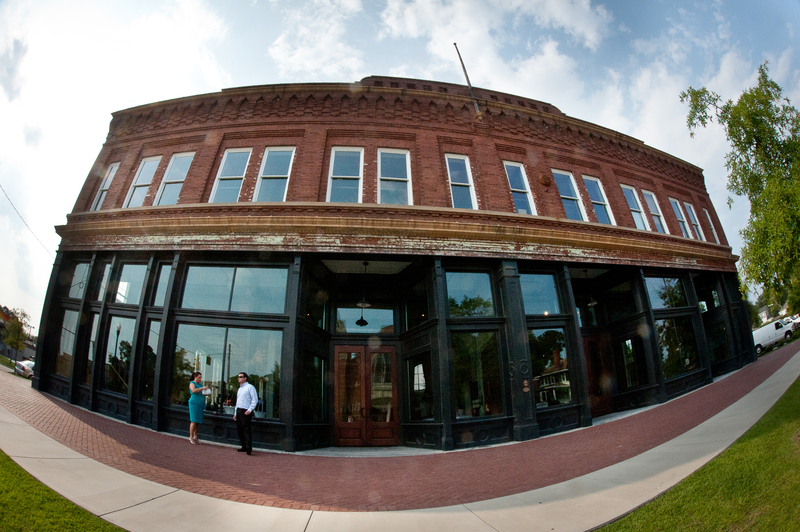 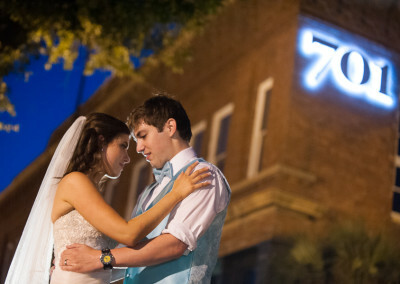 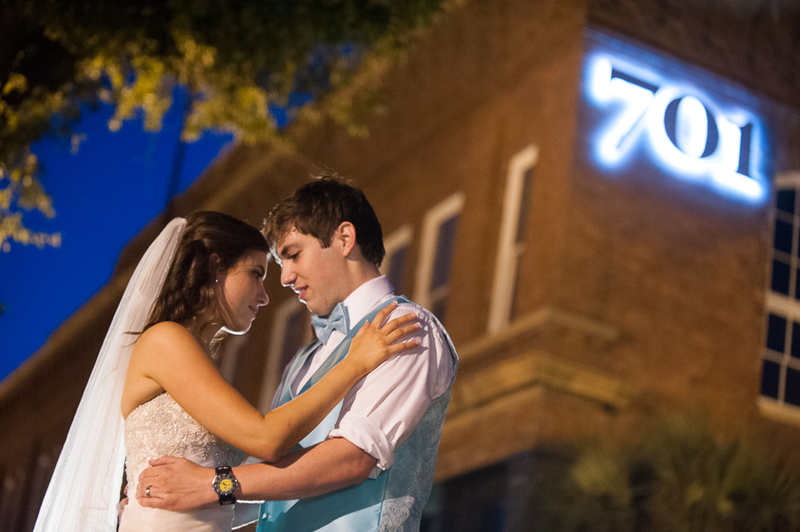 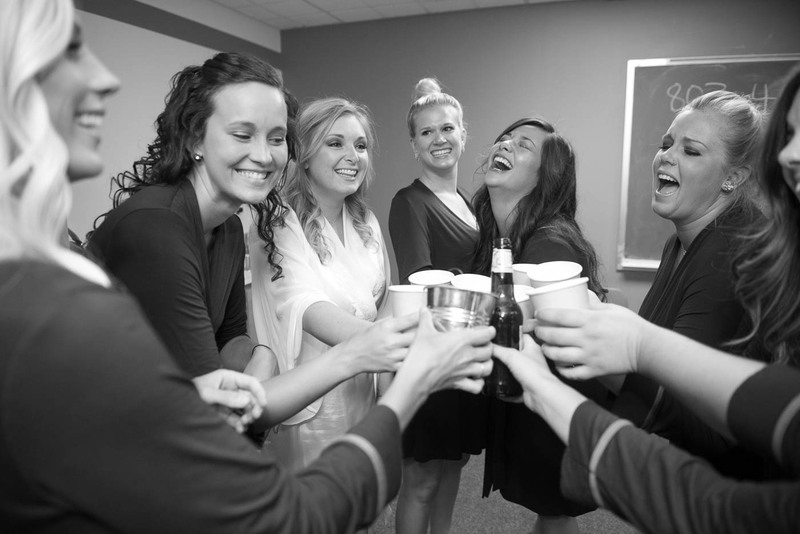 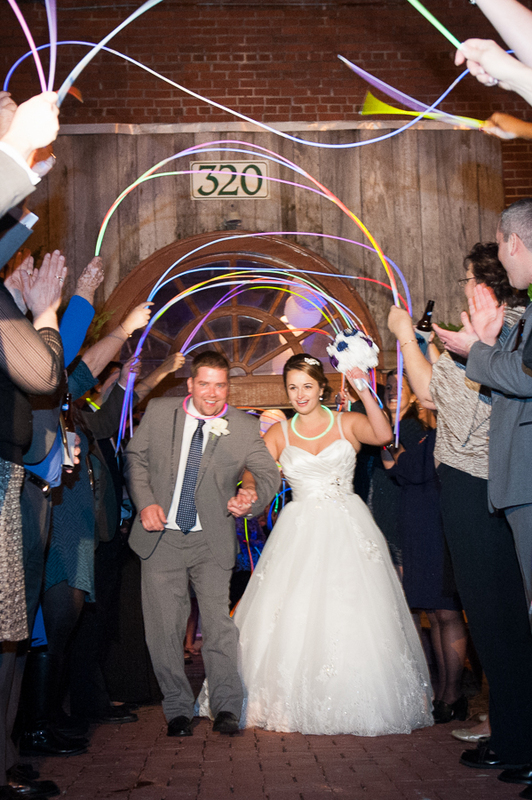 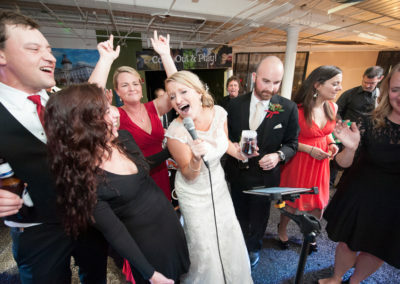 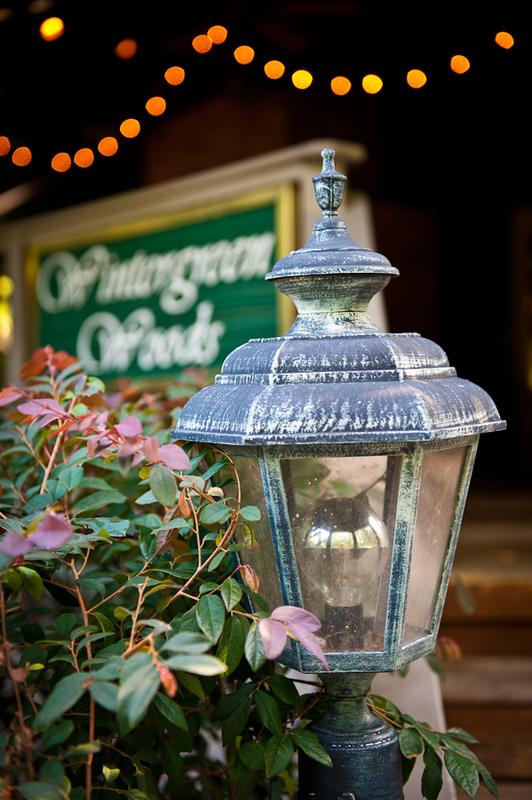 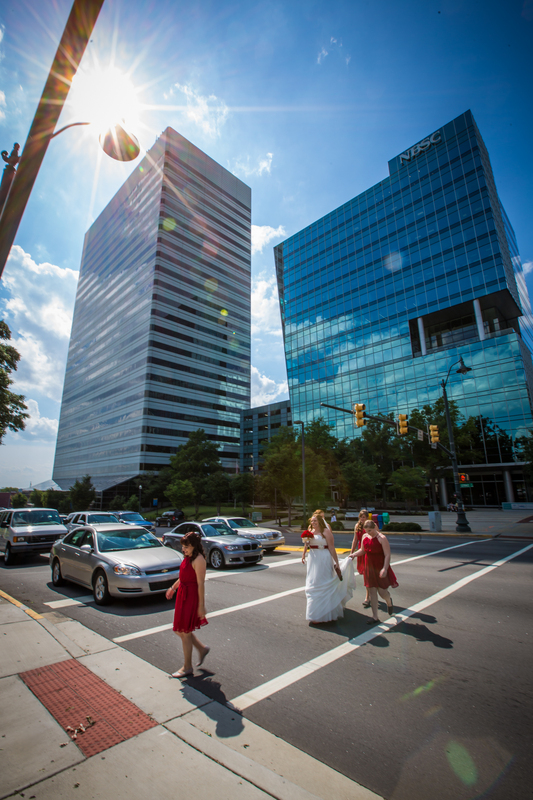 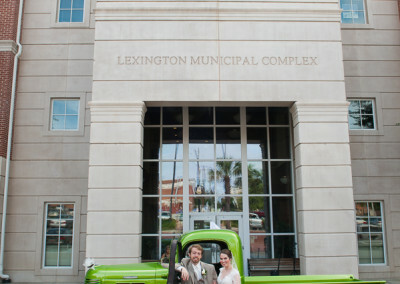 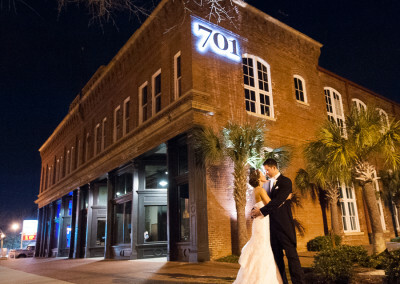 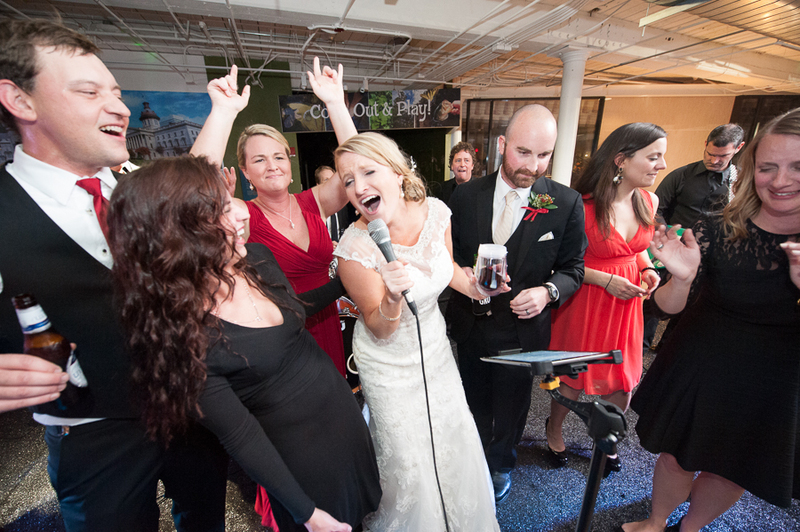 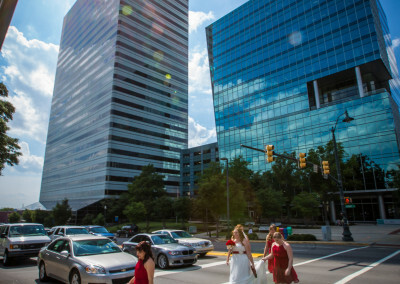 A great venue located in the heart of downtown Columbia. 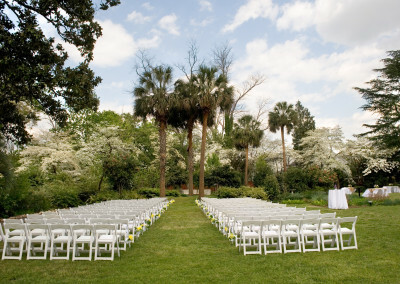 Plenty of space for large weddings. 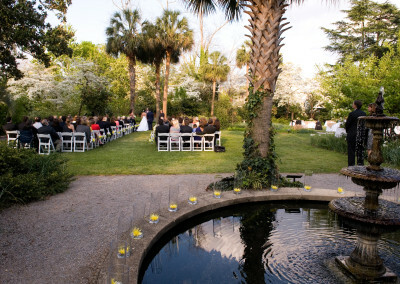 This great home-feeling venue has a beautiful garden area with water wheel and gazebo for the ceremony. 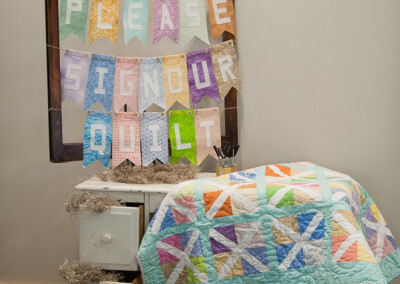 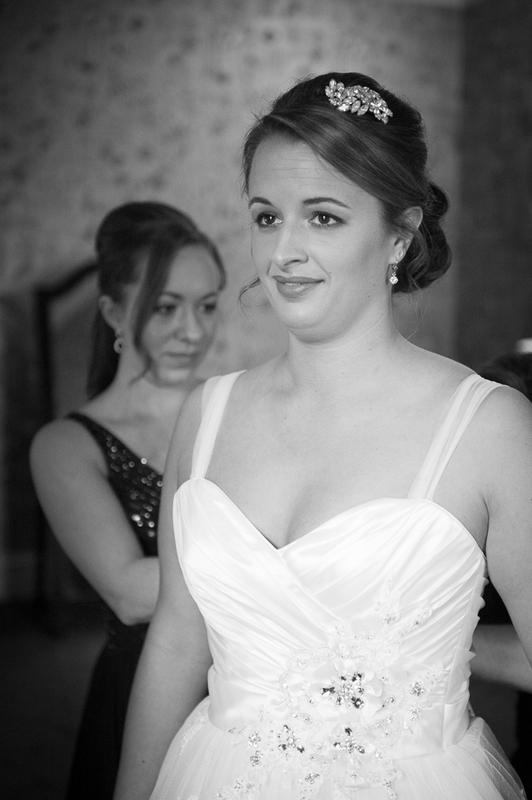 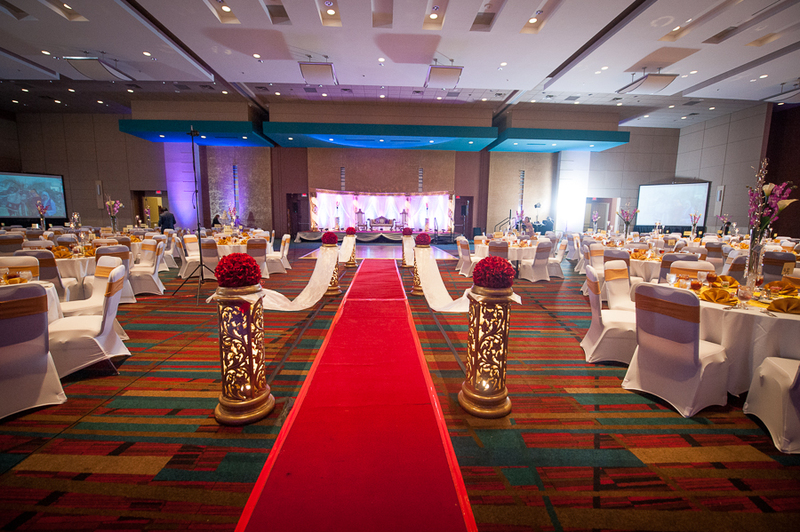 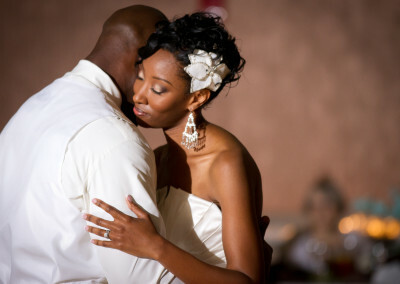 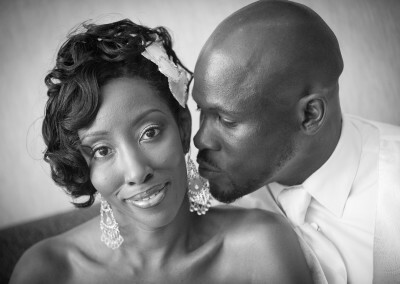 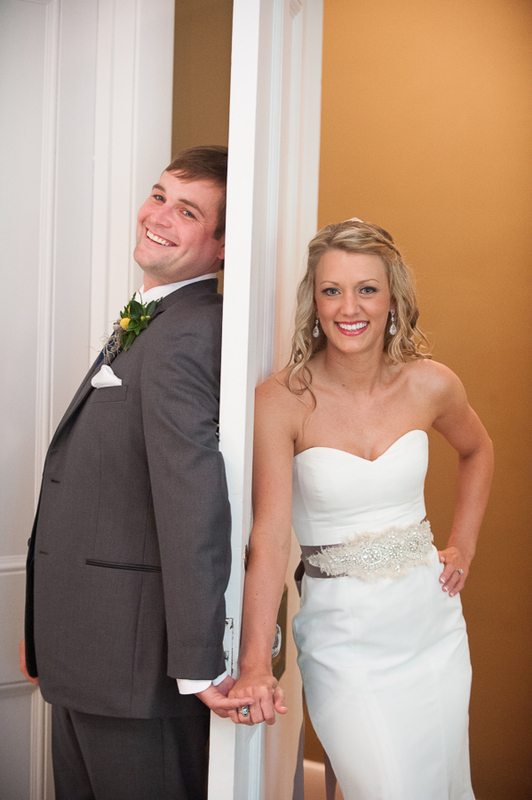 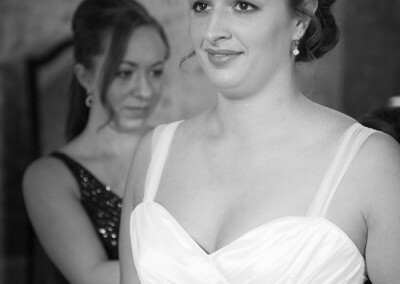 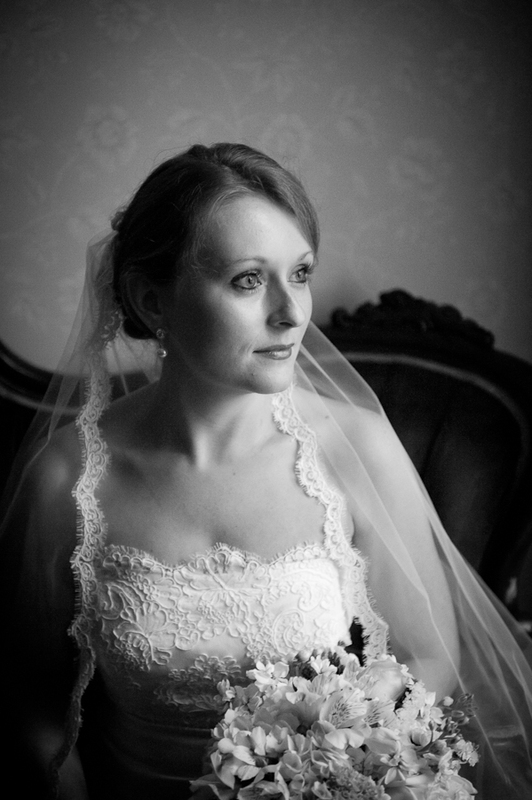 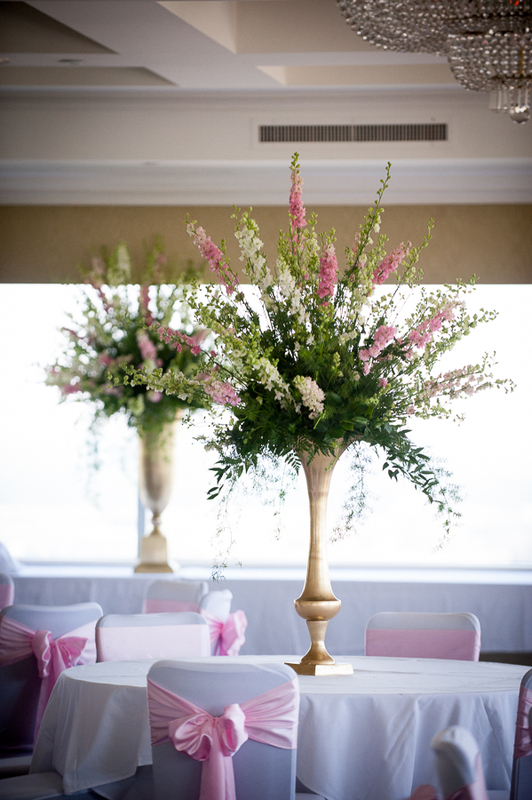 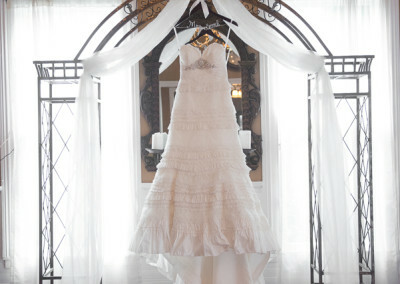 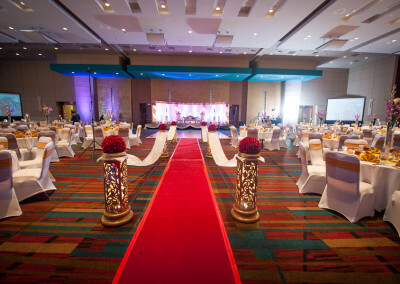 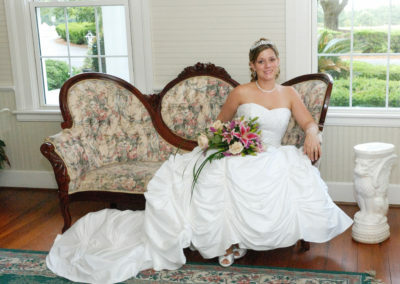 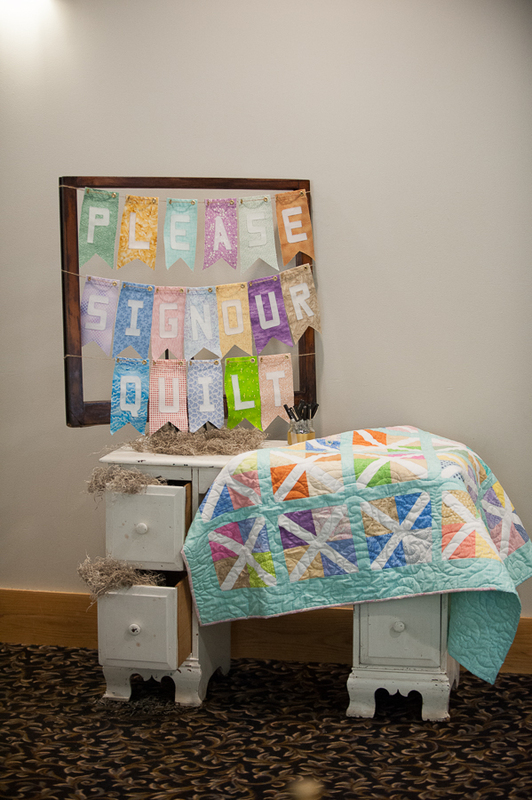 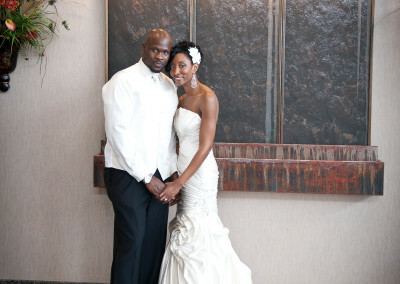 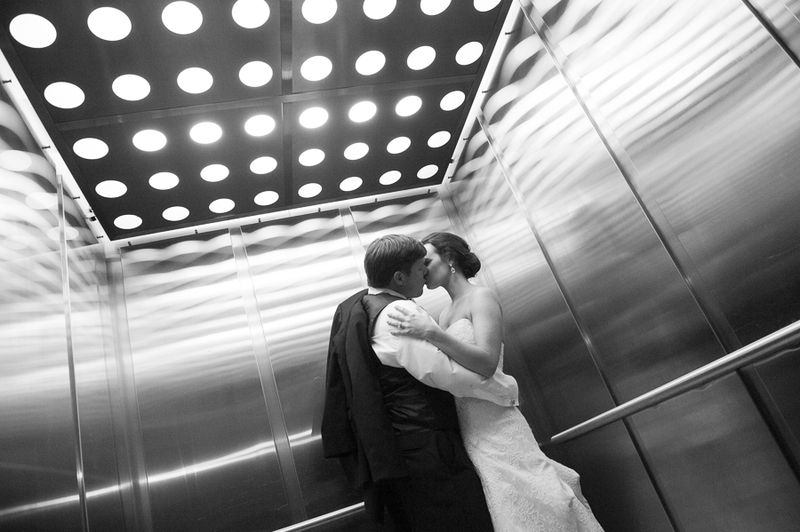 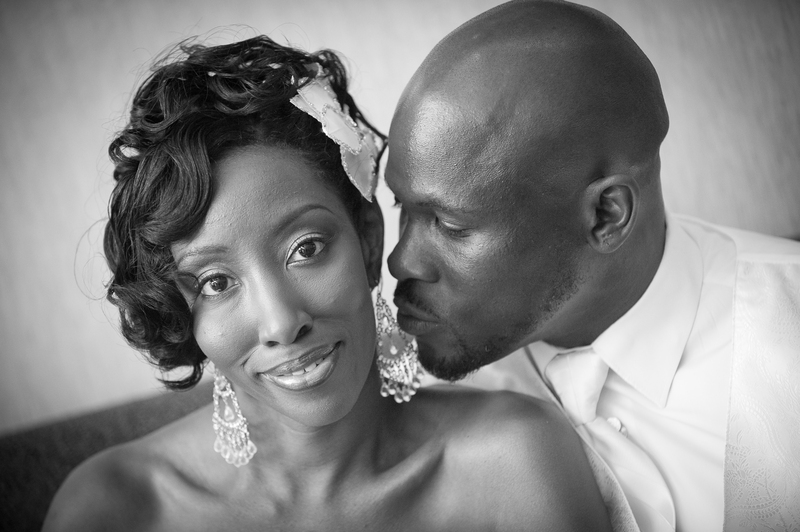 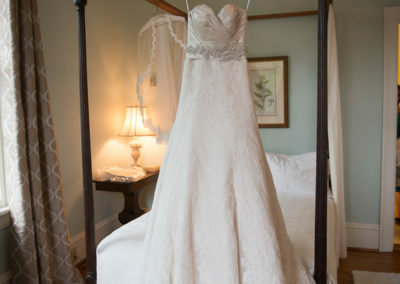 There is also a bridal and groom’s room for getting ready and a large indoor space for the reception. 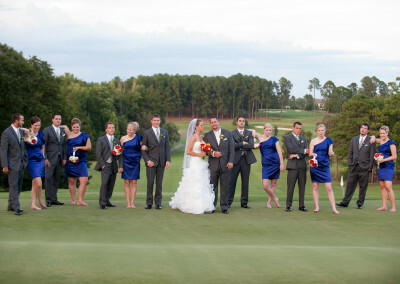 Located on the golf course, the club has lovely views and a large room with a dance floor and an outdoor patio. 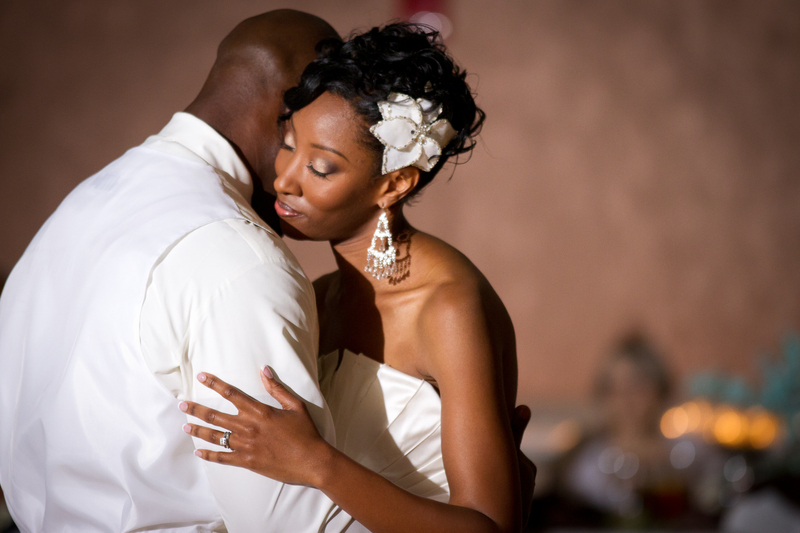 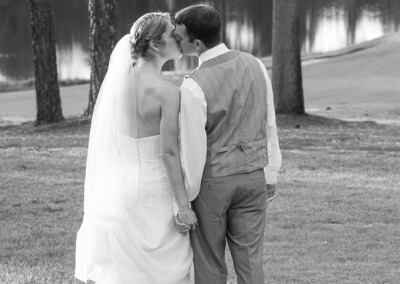 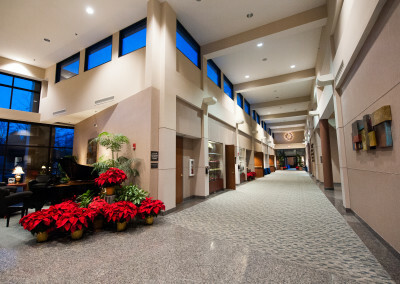 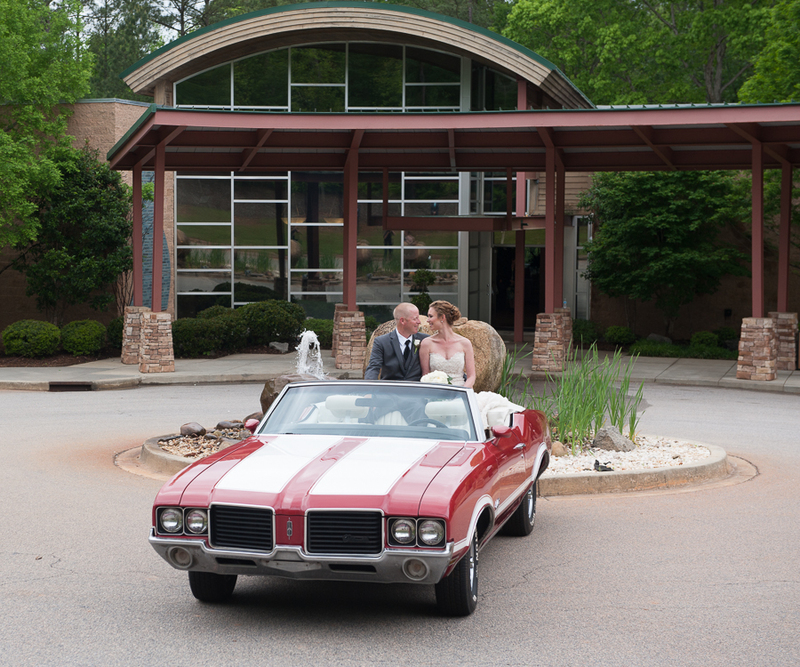 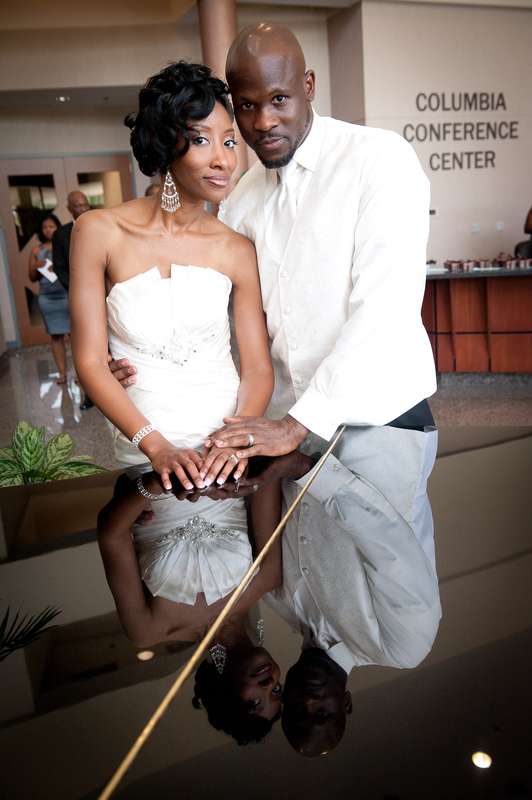 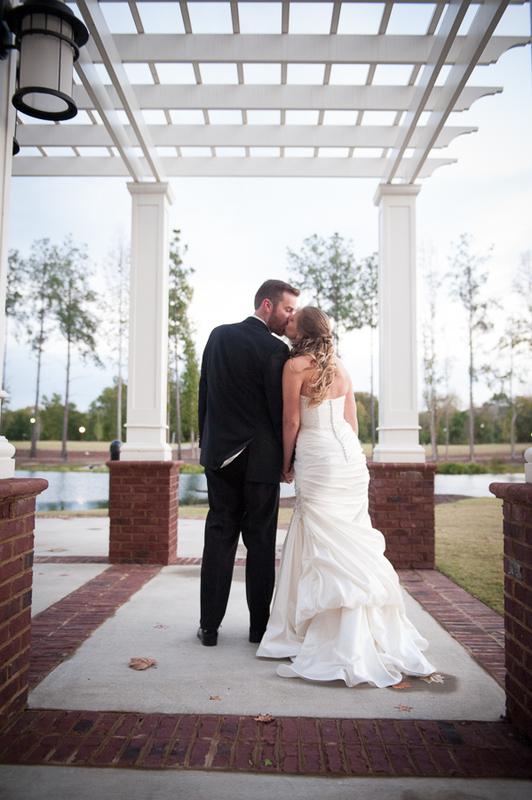 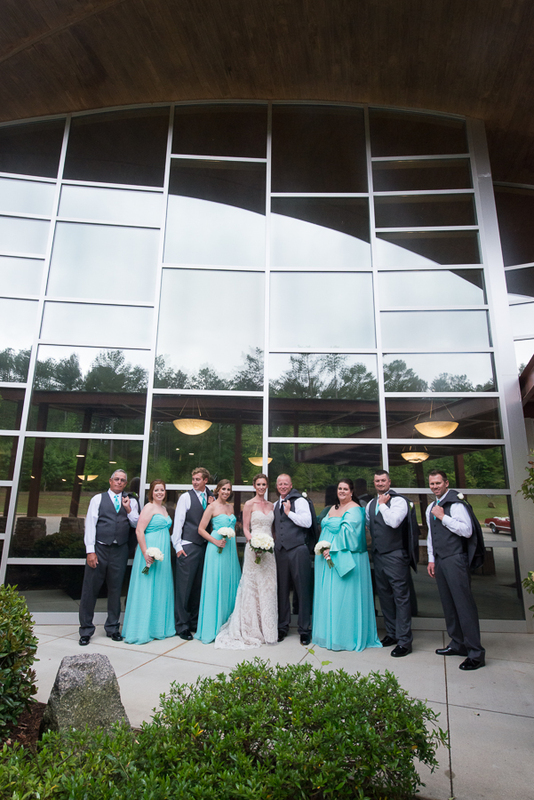 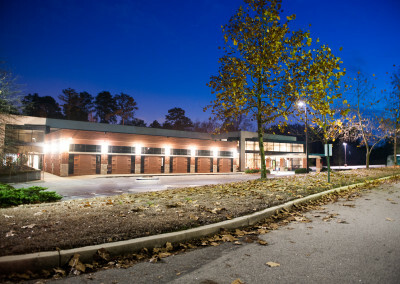 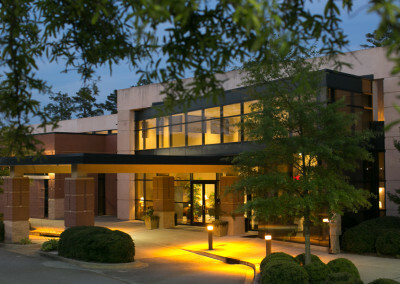 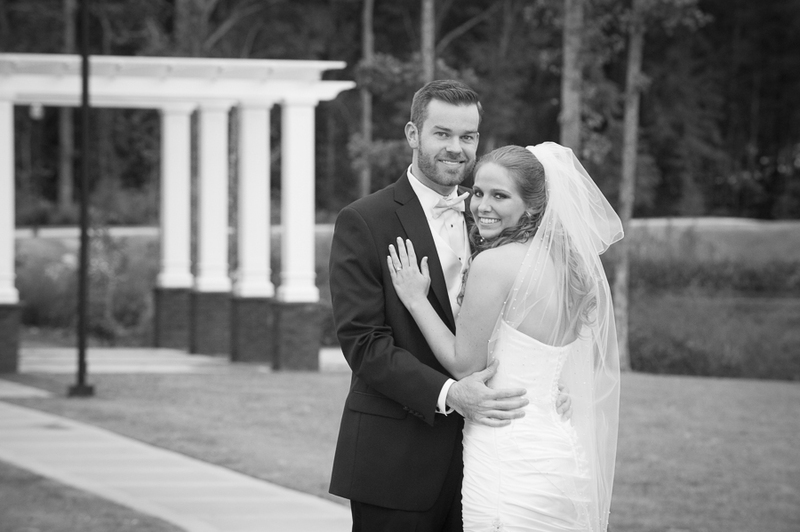 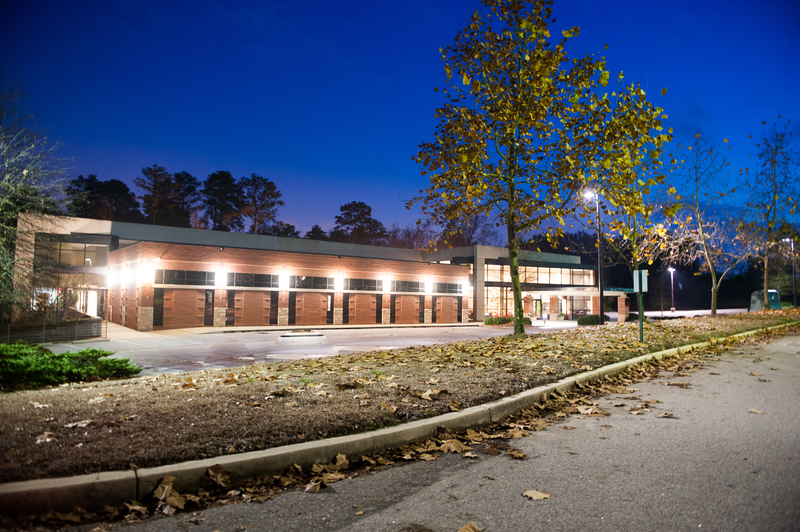 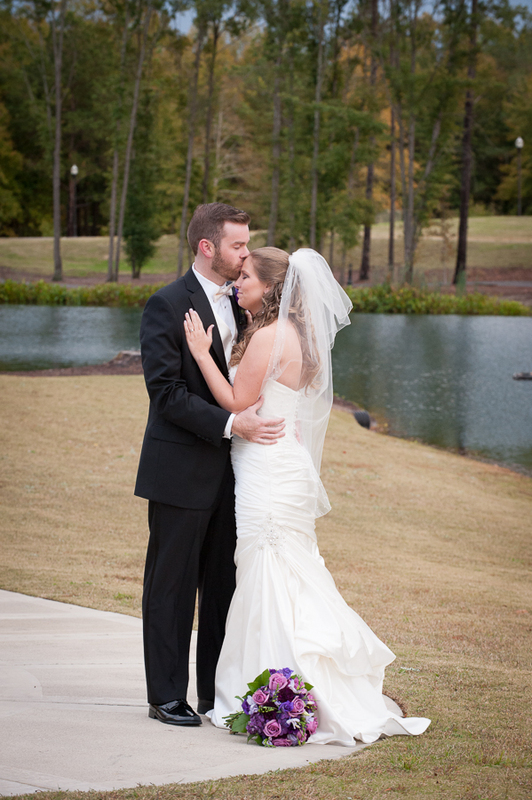 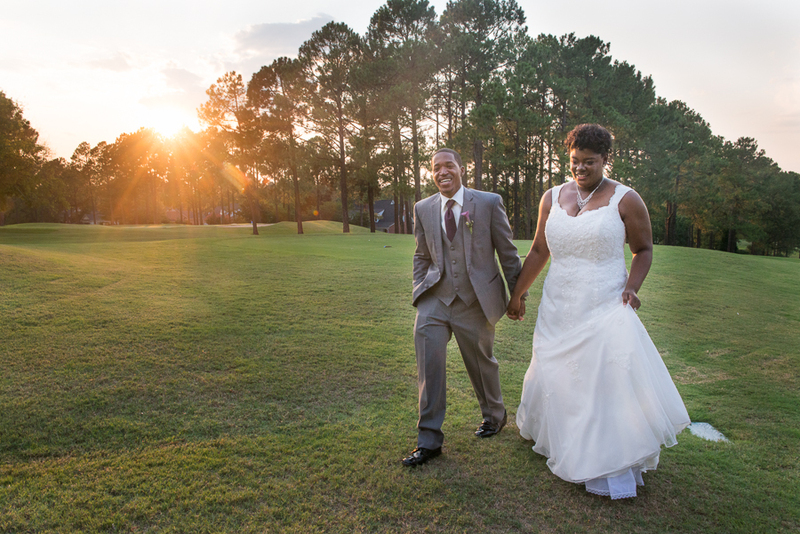 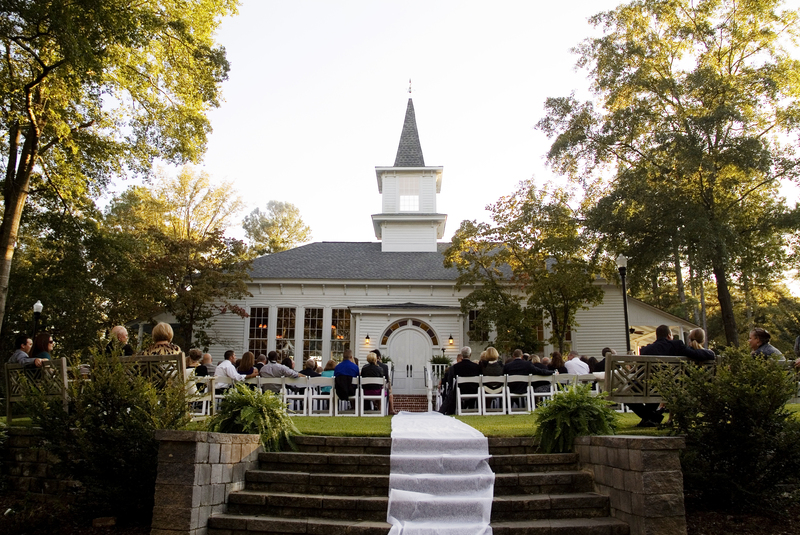 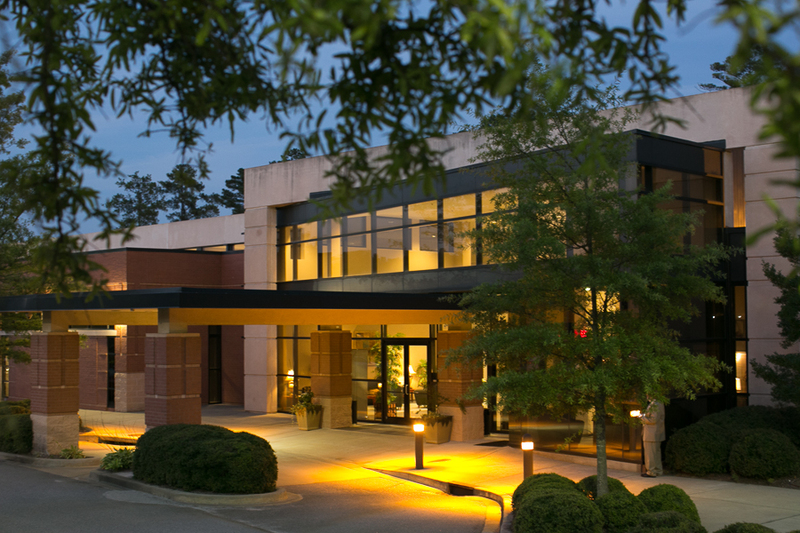 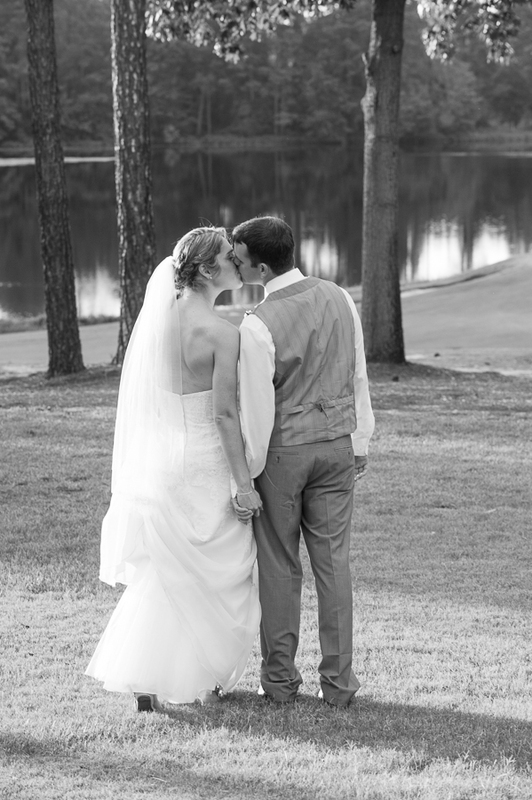 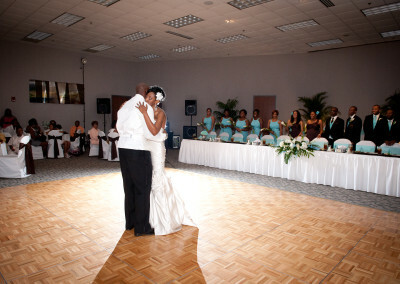 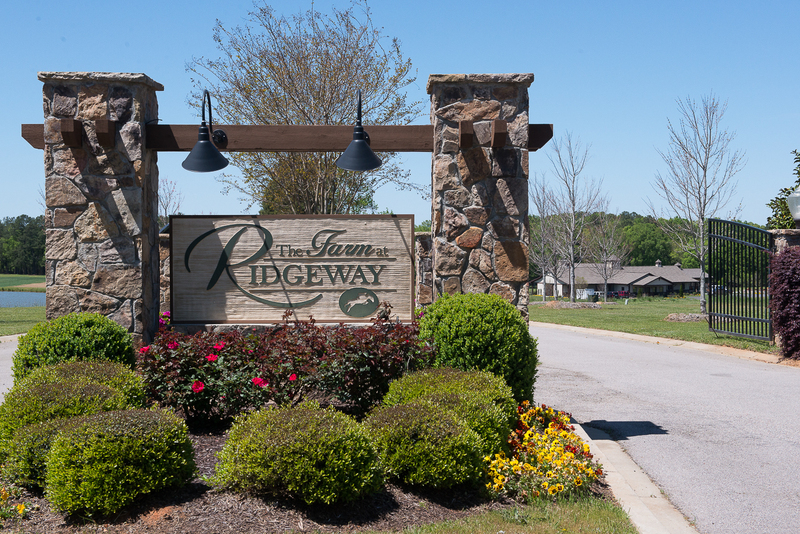 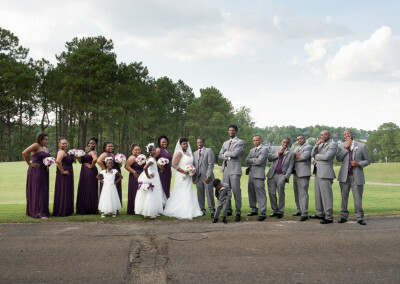 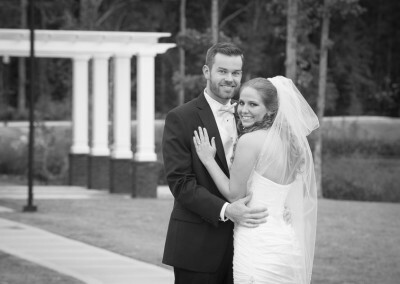 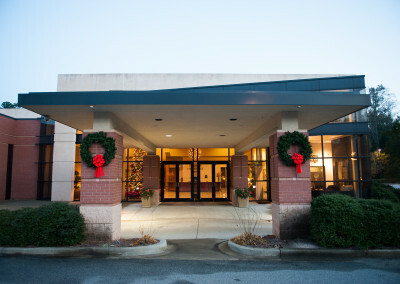 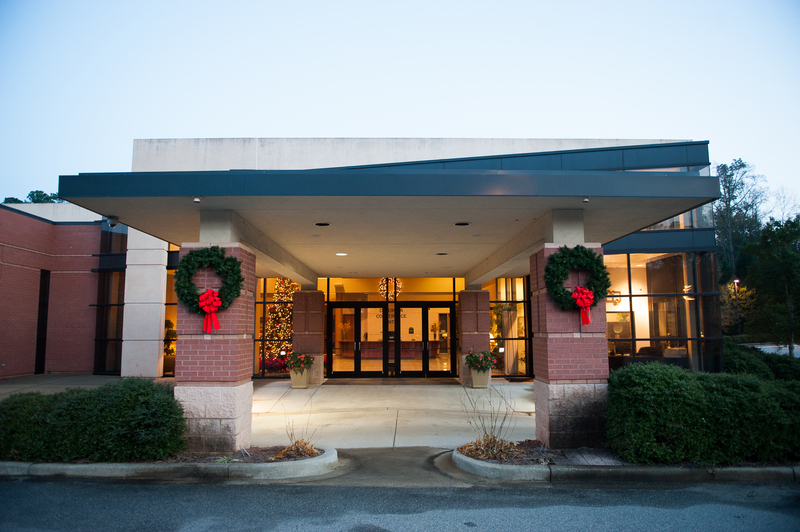 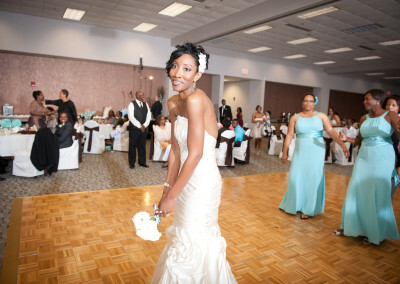 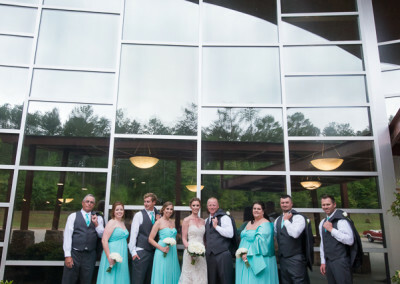 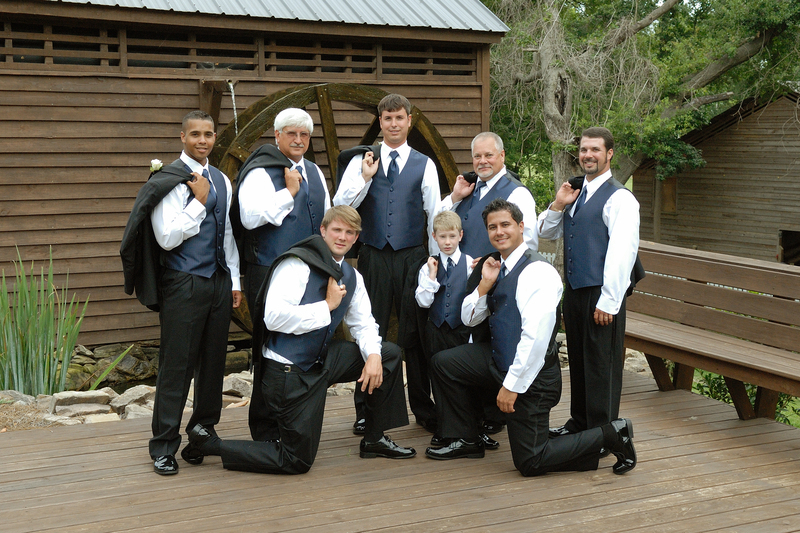 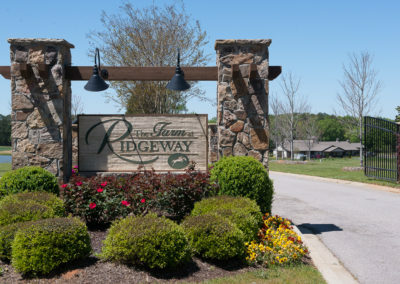 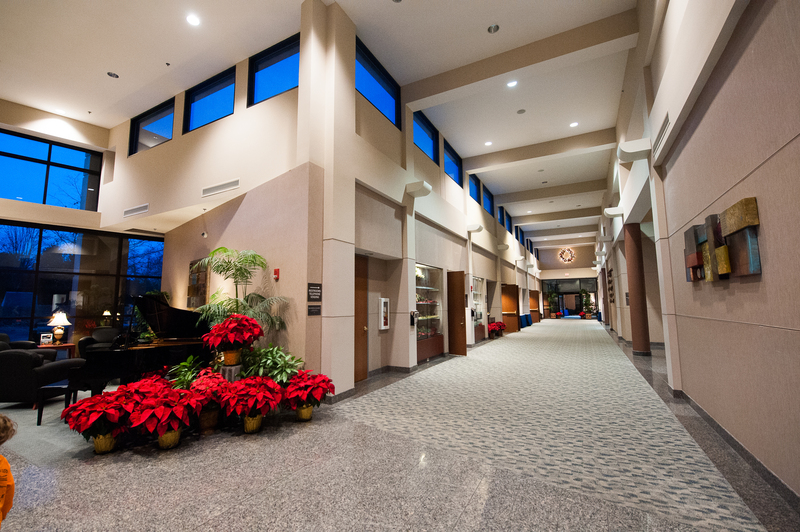 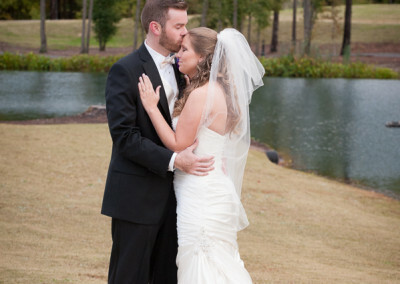 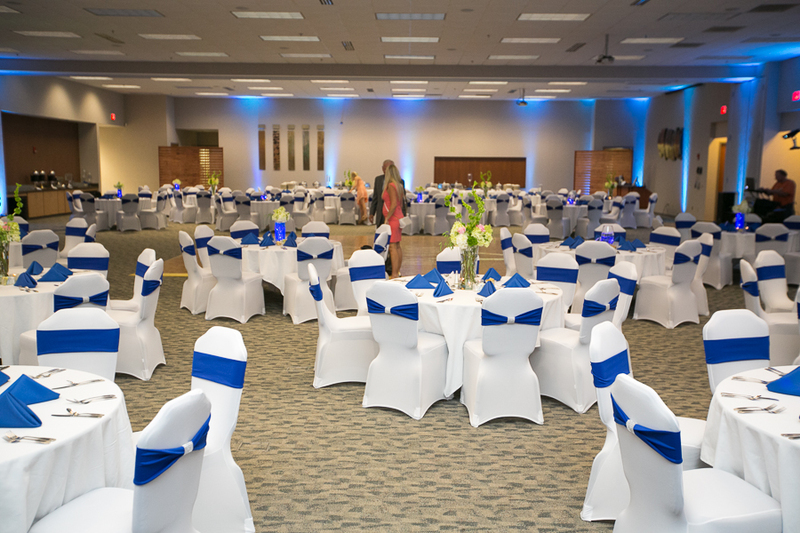 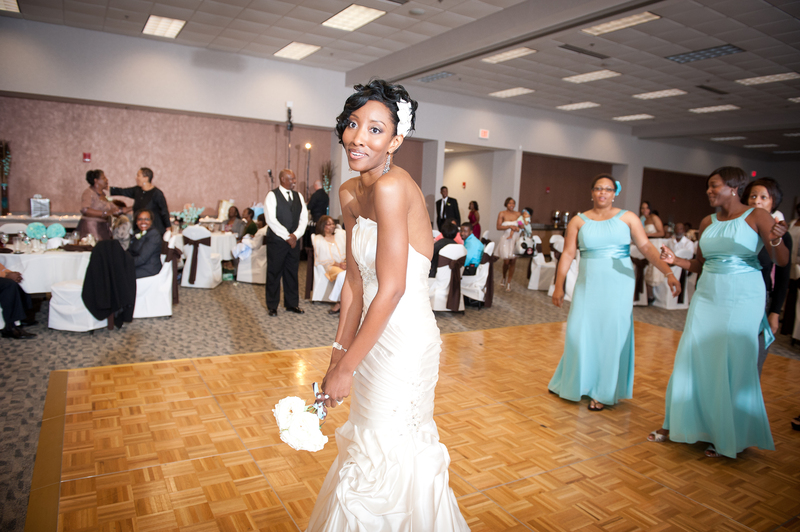 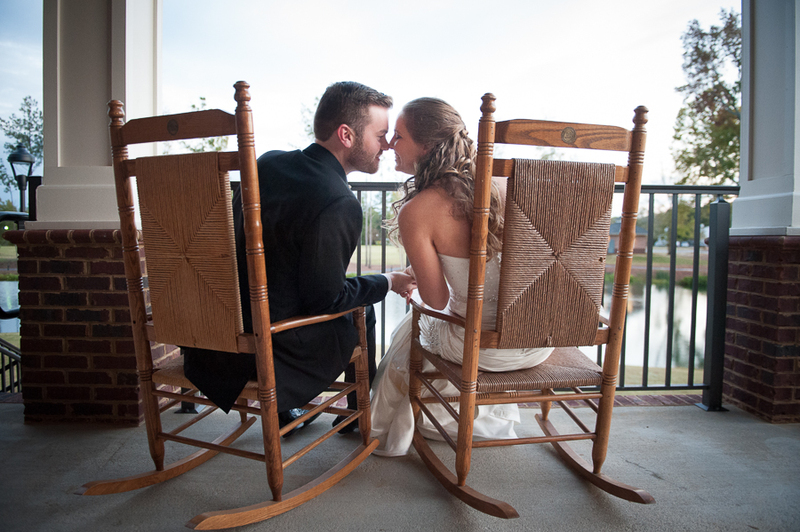 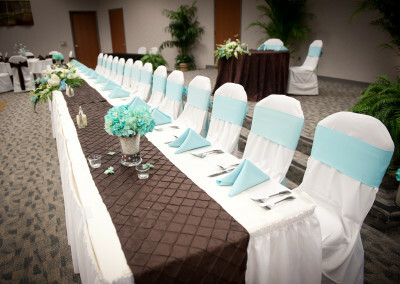 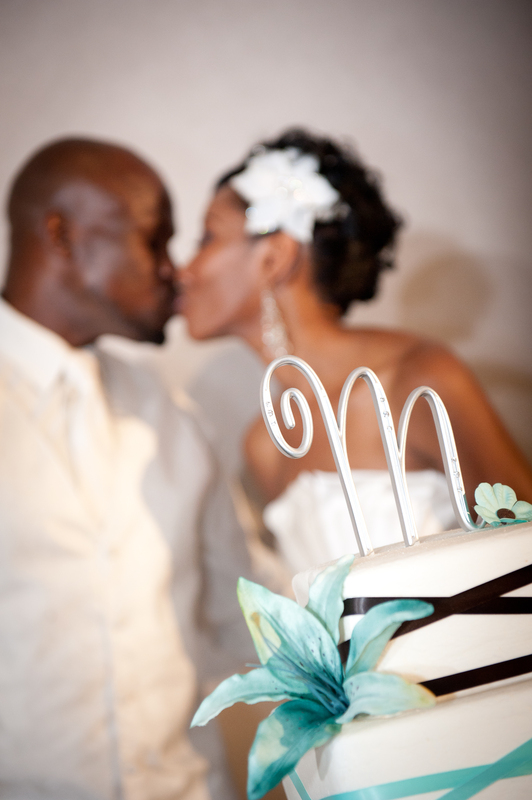 This venue is located in the heart of Blythewood and their spacious indoor venue overlooks a scenic small lake. 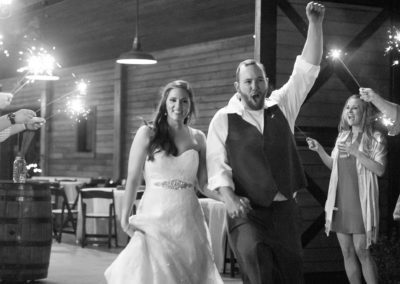 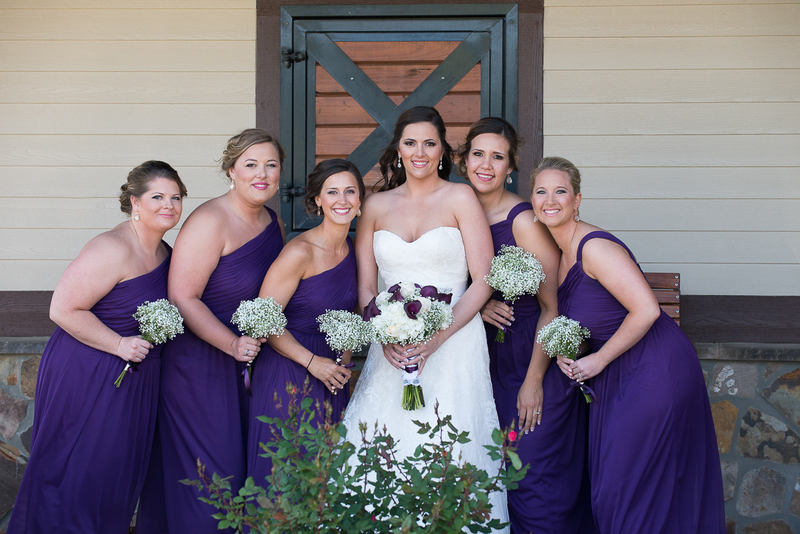 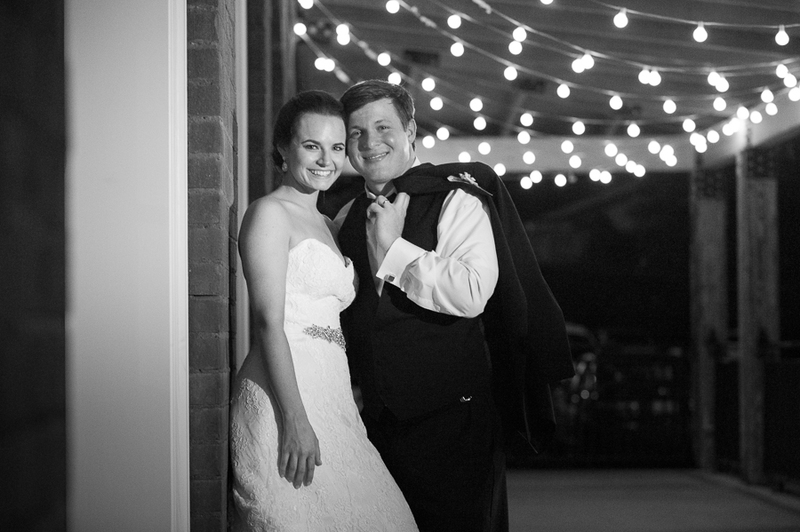 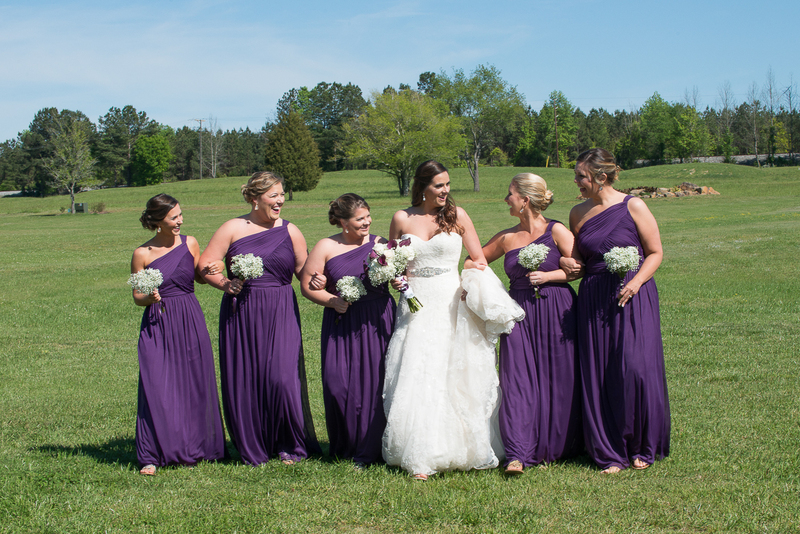 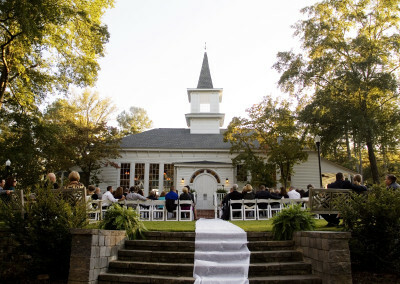 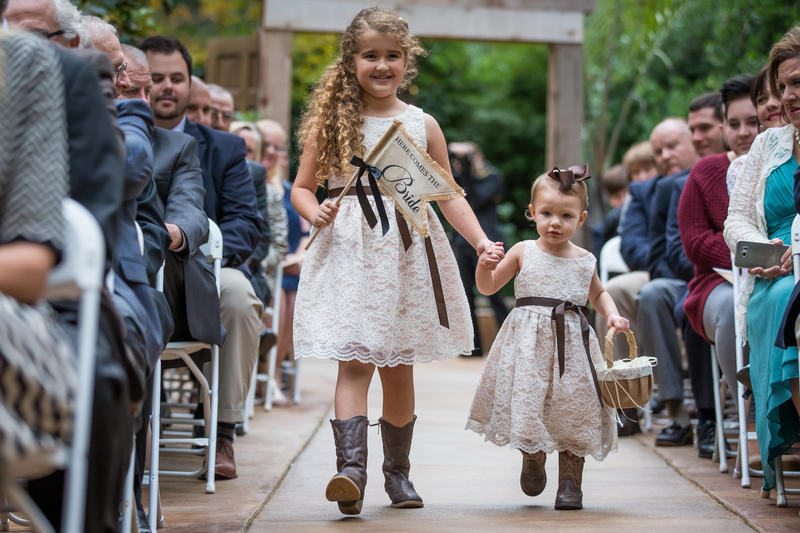 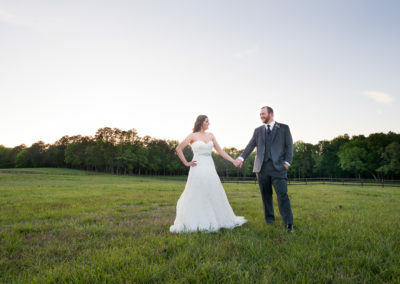 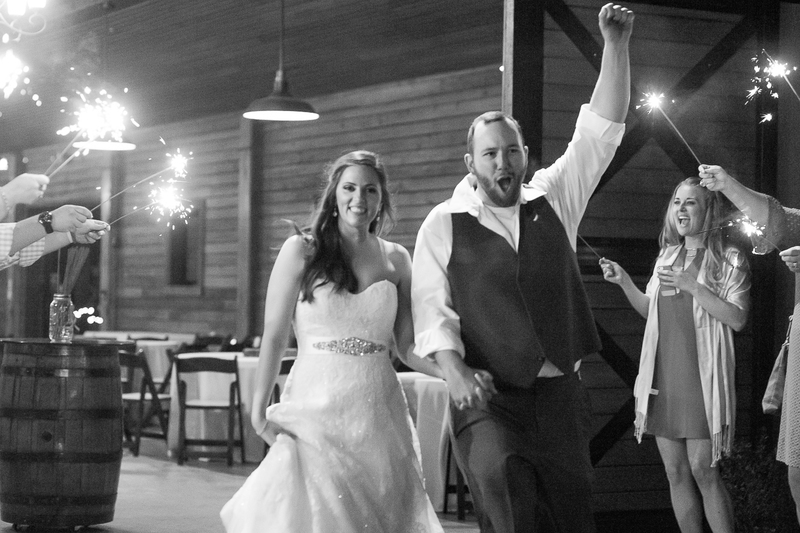 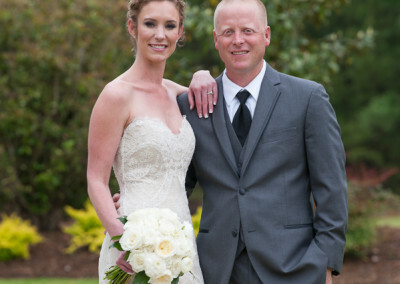 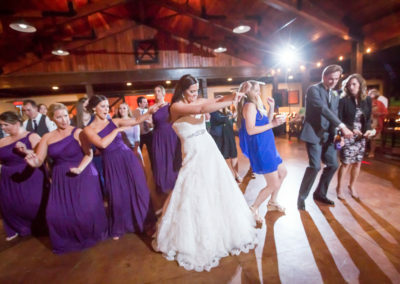 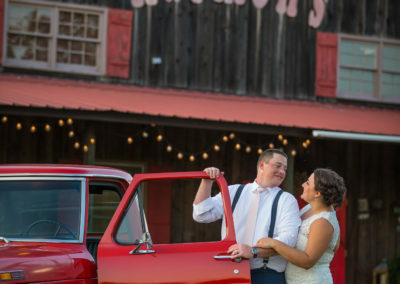 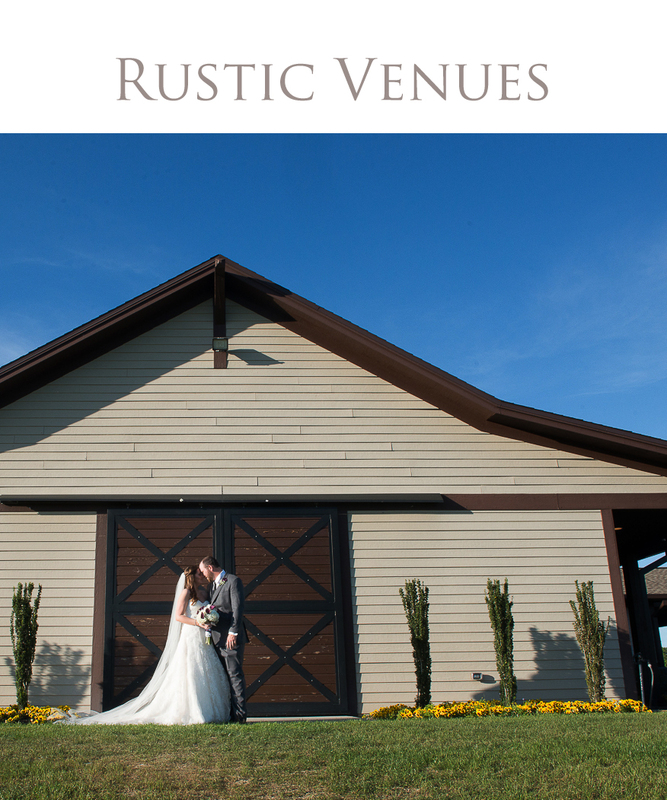 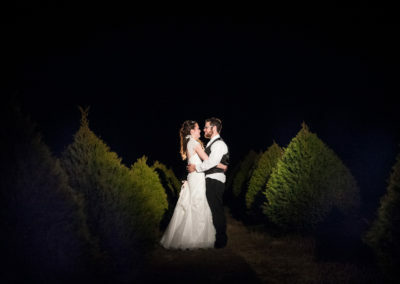 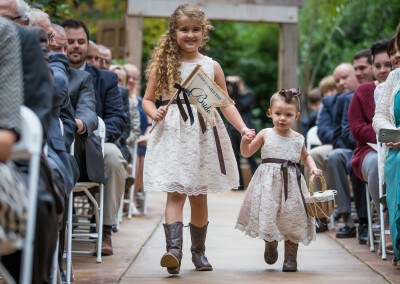 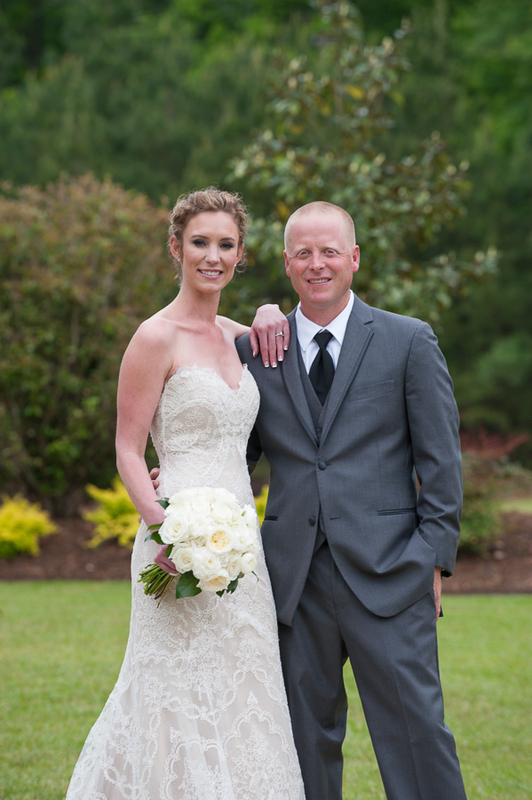 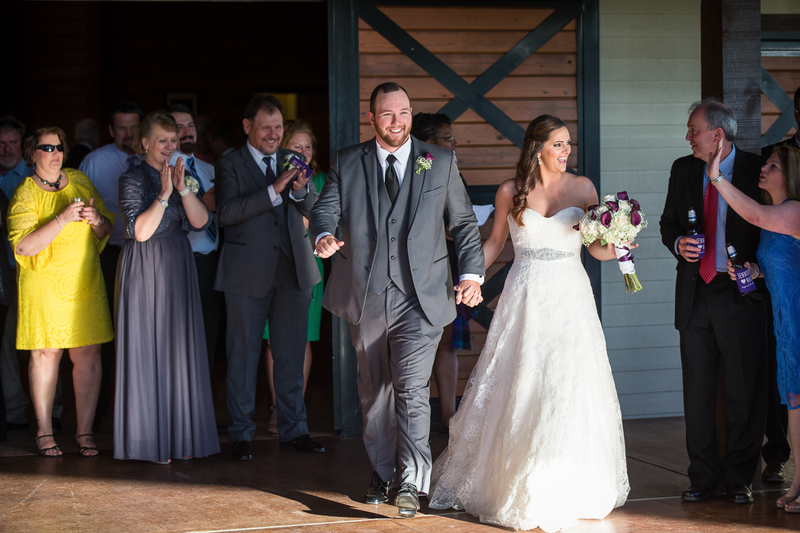 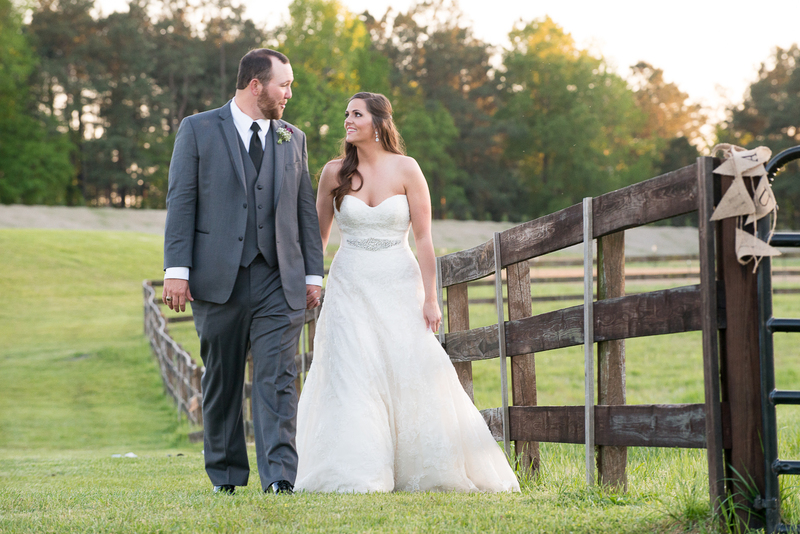 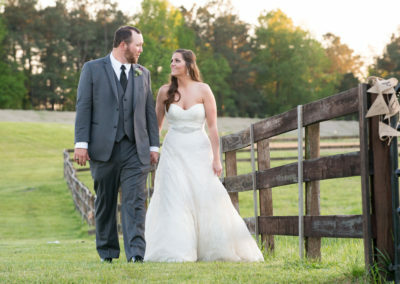 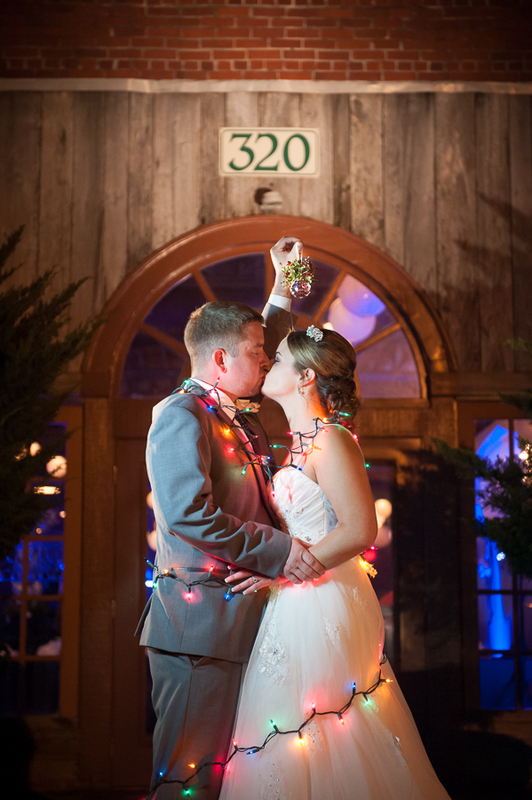 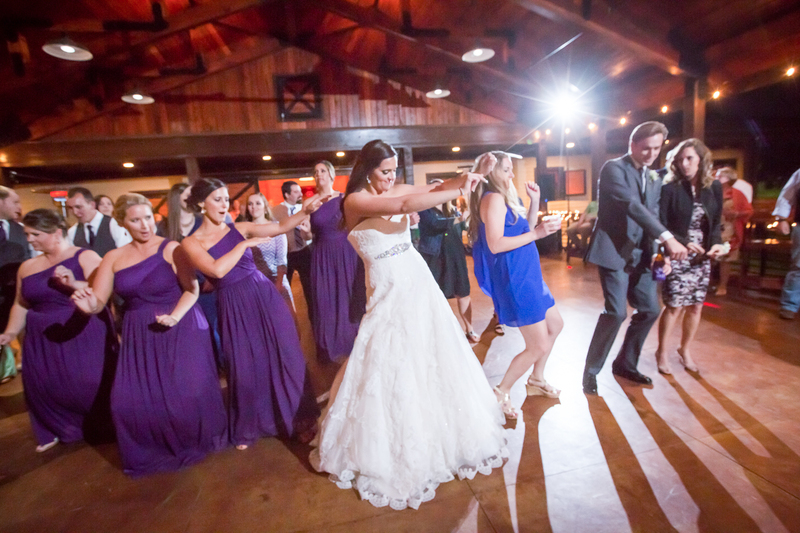 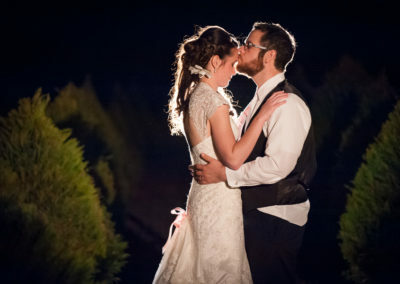 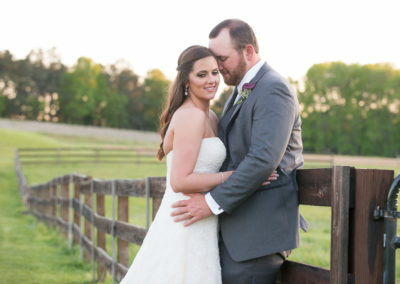 This venue is located near Blythewood SC and includes a Barn-style reception venue with covered porch and fireplace on a beautiful, rustic farm. 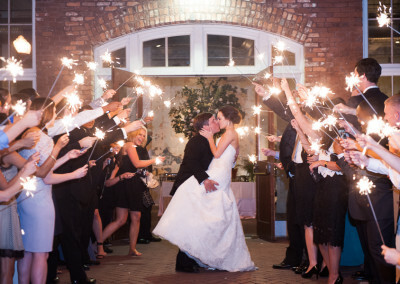 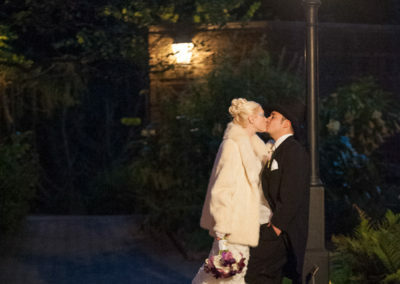 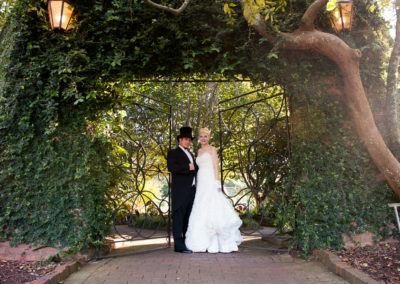 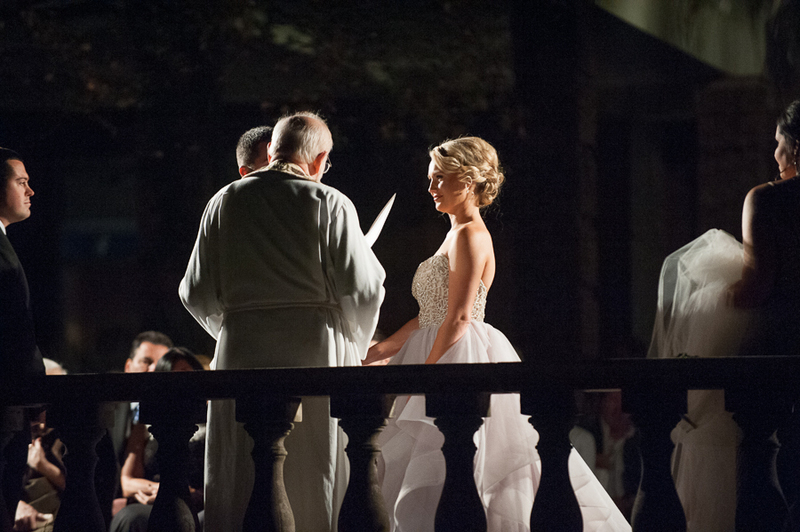 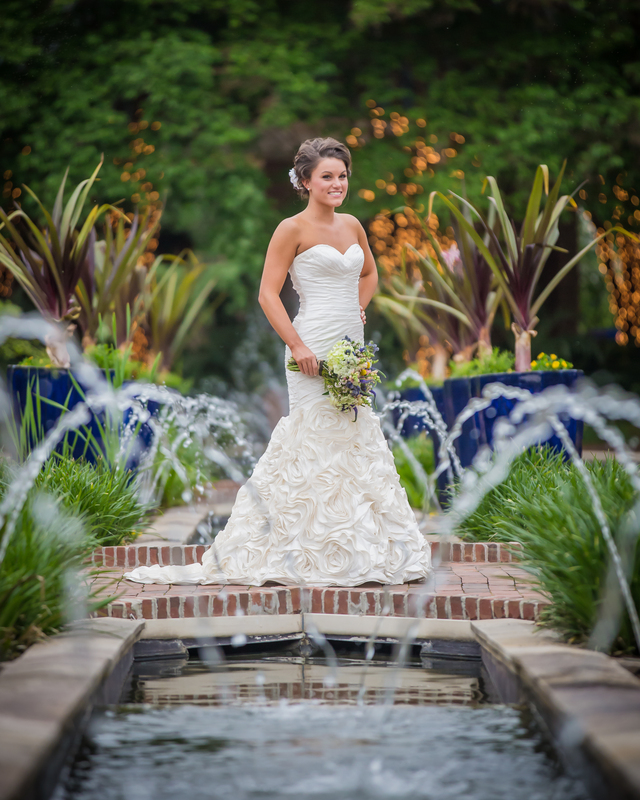 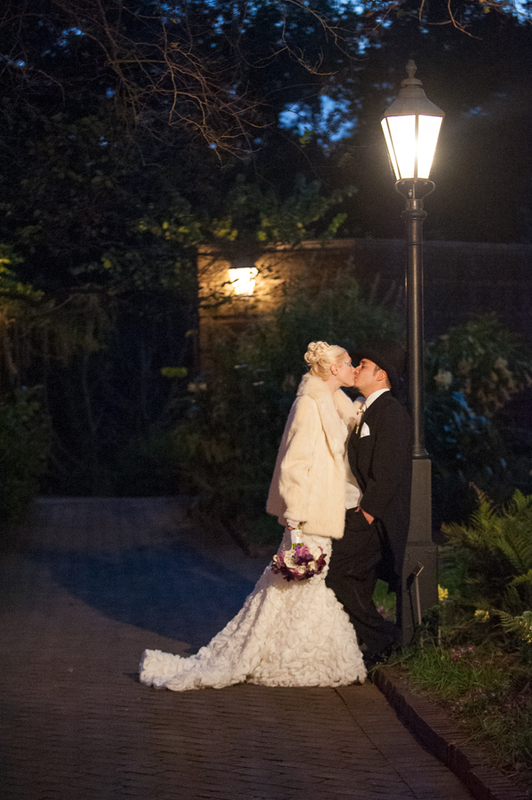 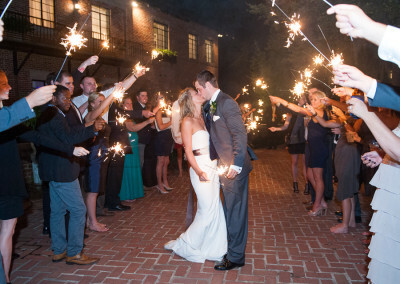 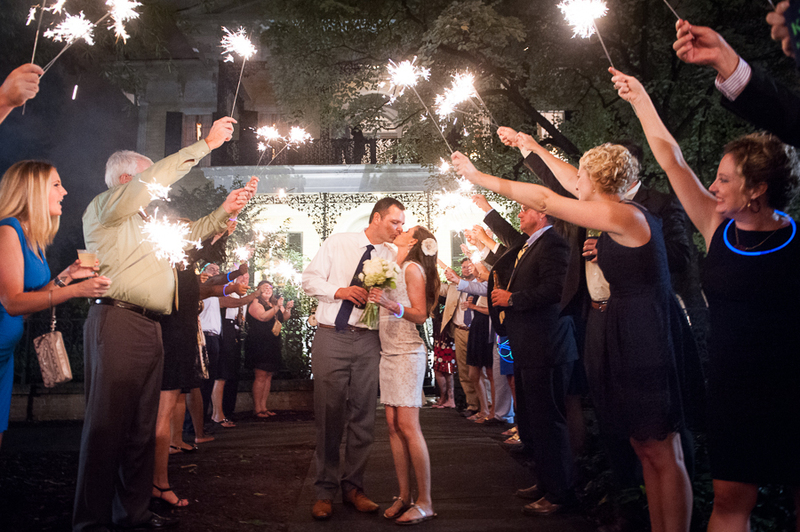 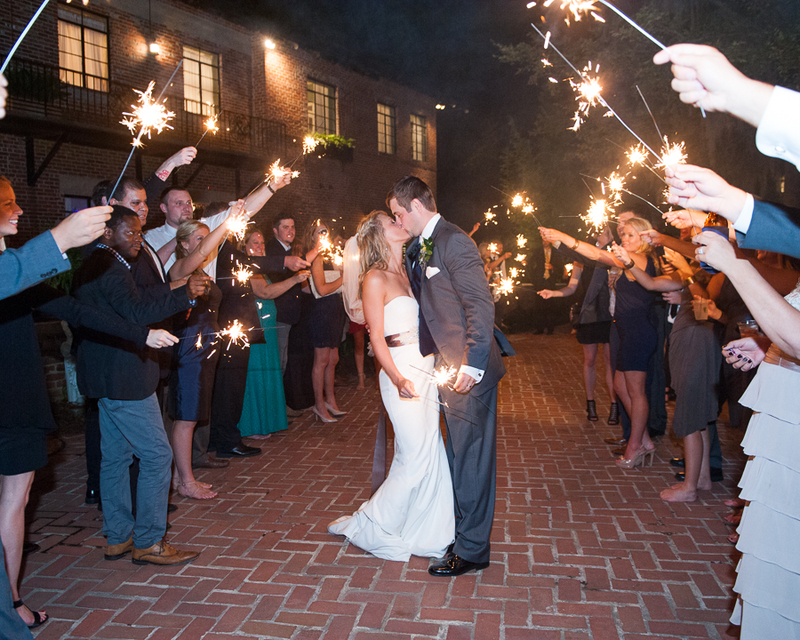 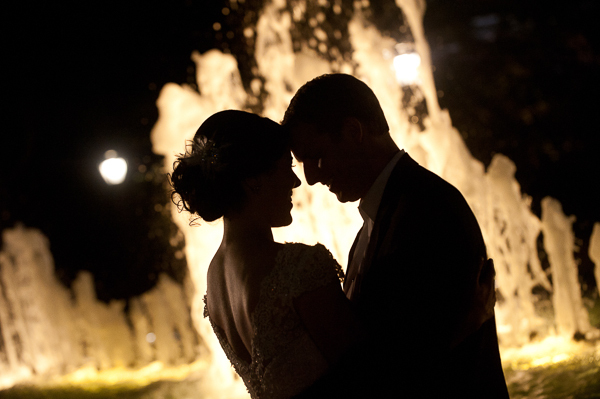 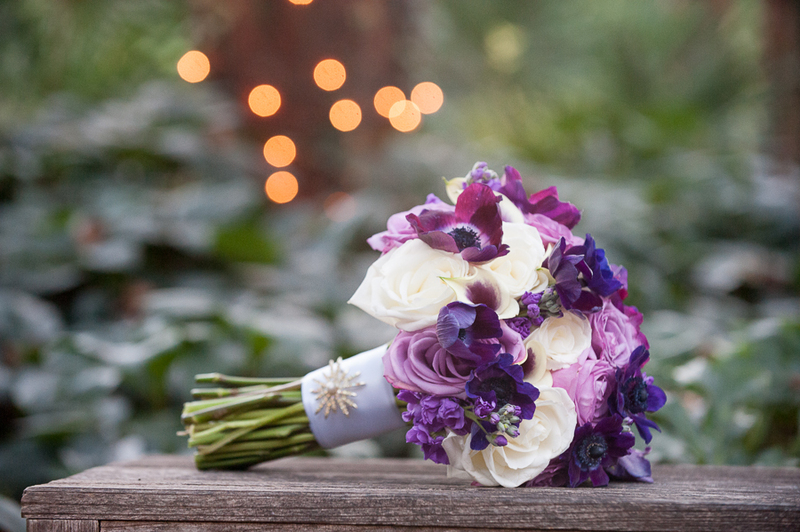 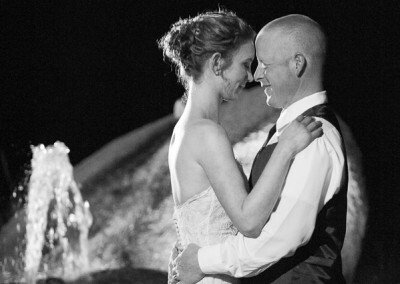 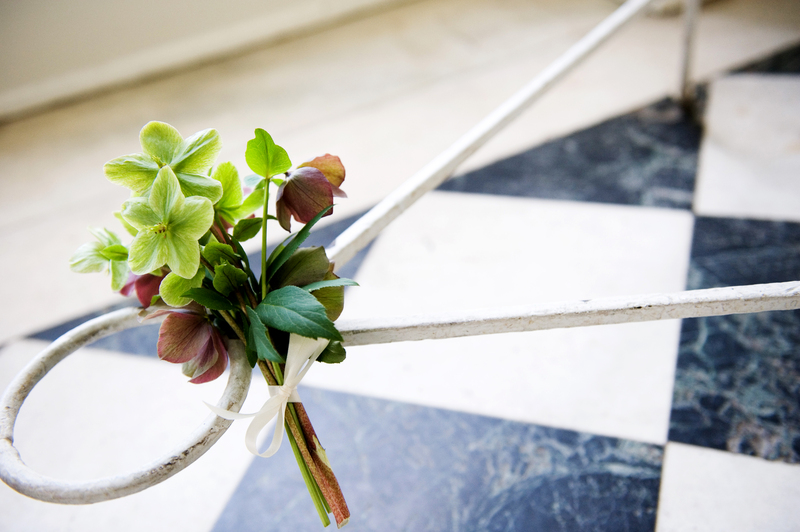 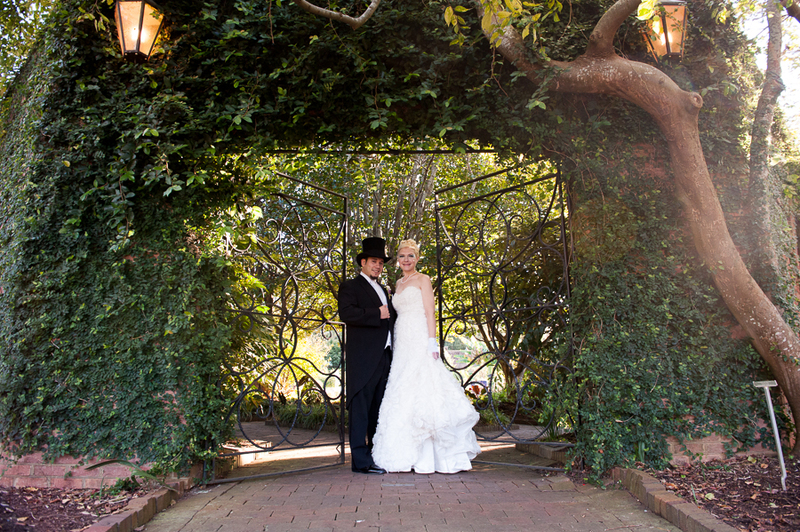 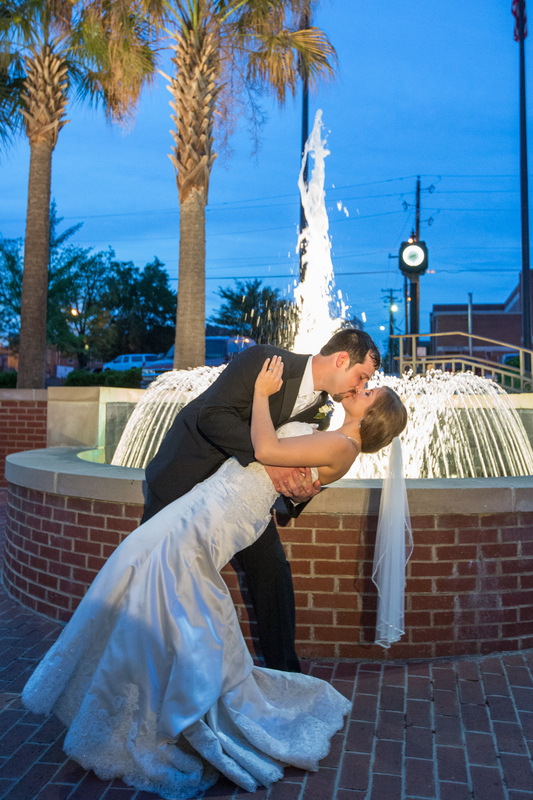 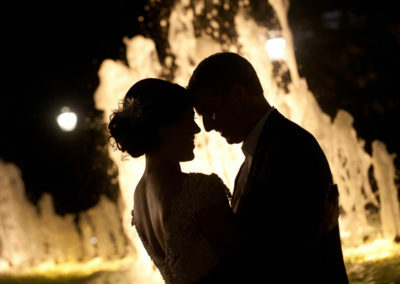 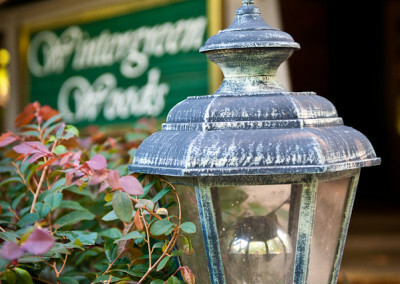 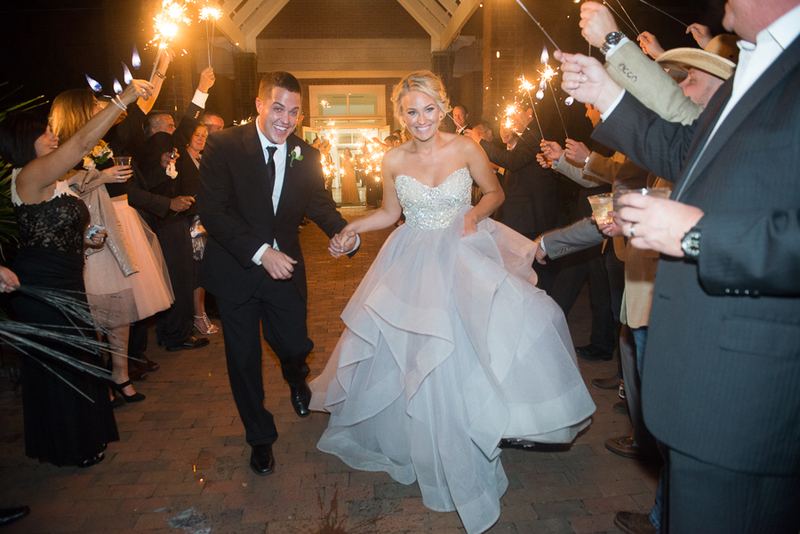 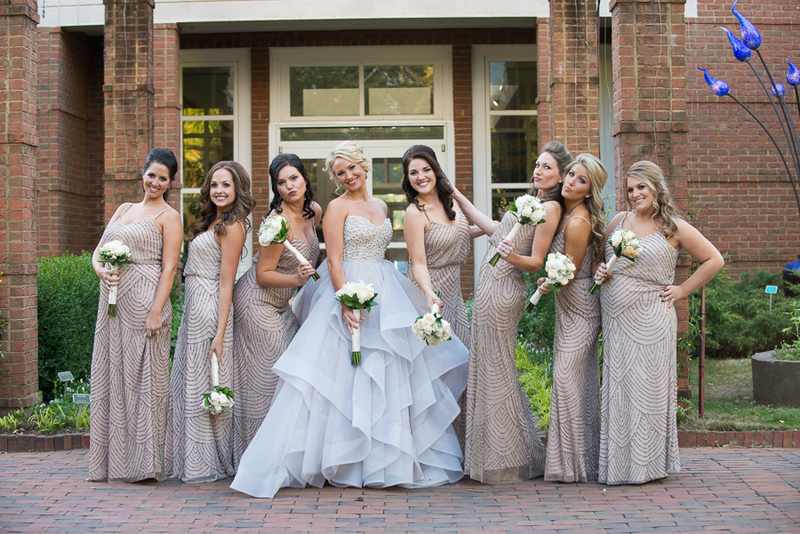 This venue includes secluded gardens, a brick courtyard and a spectacular fountain. 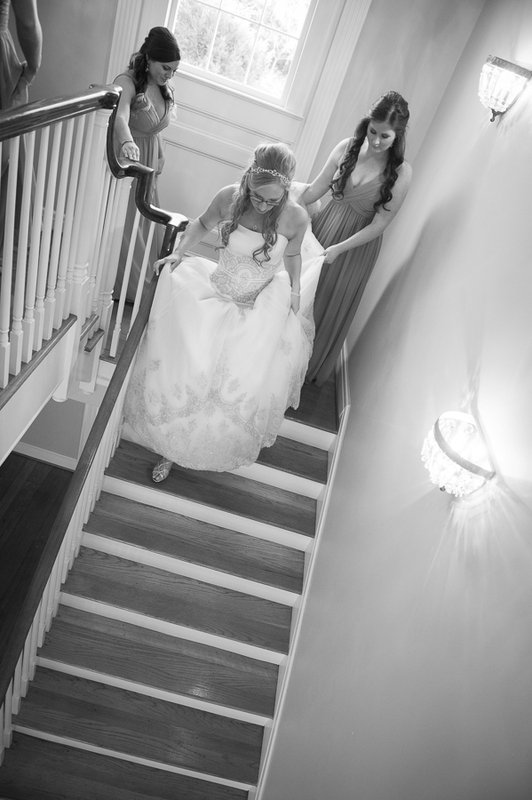 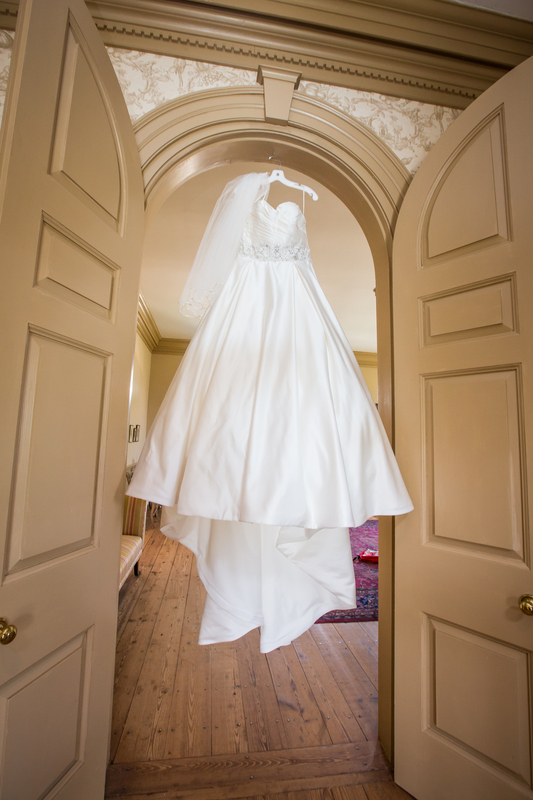 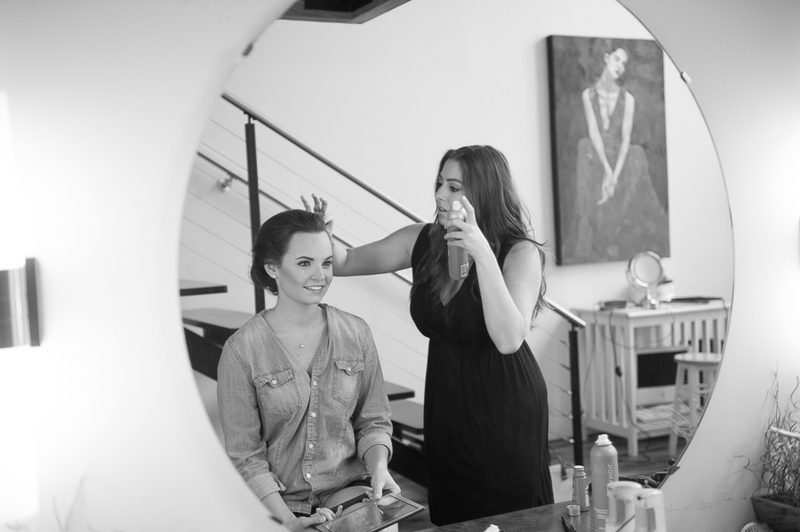 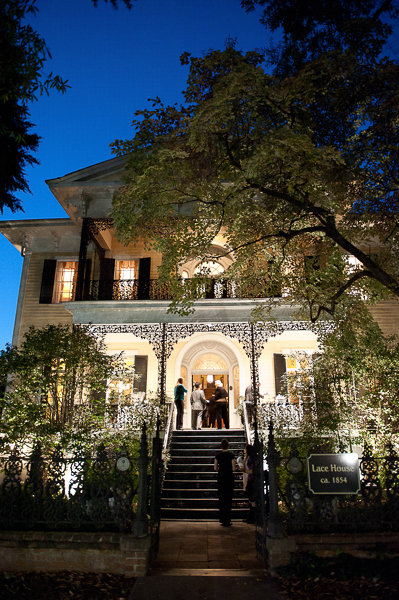 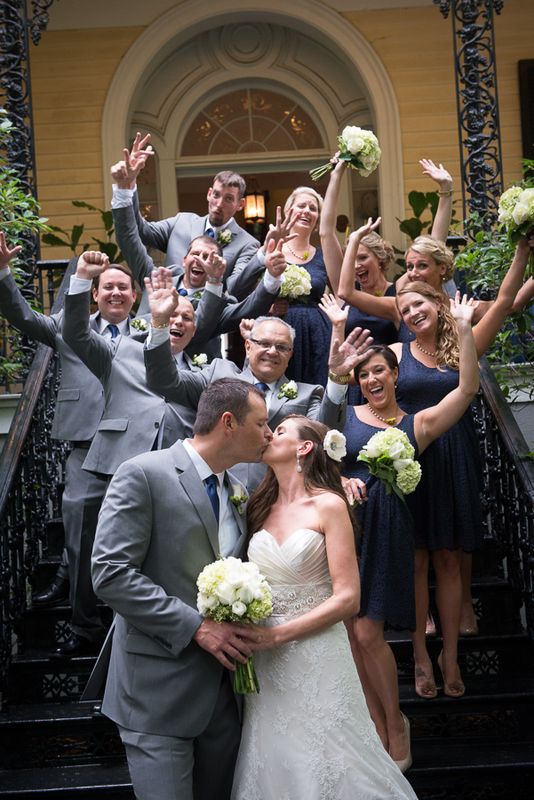 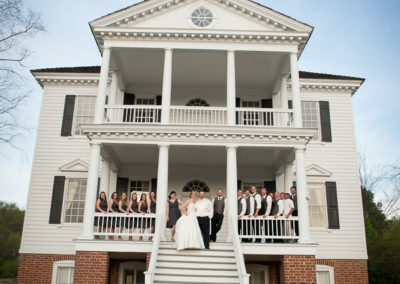 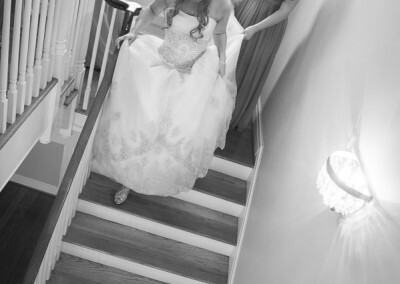 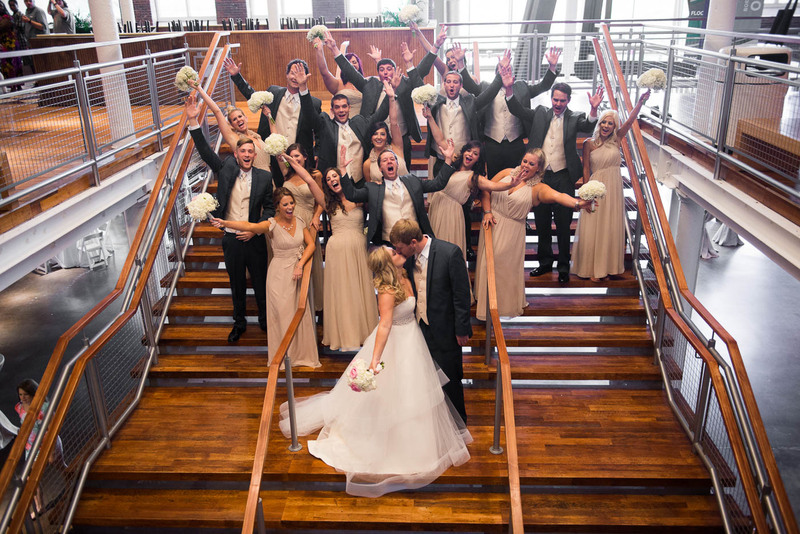 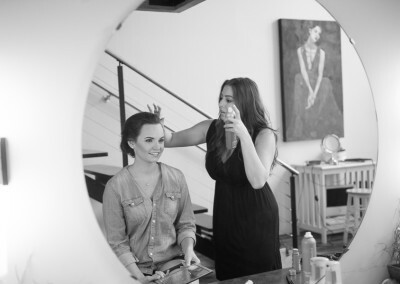 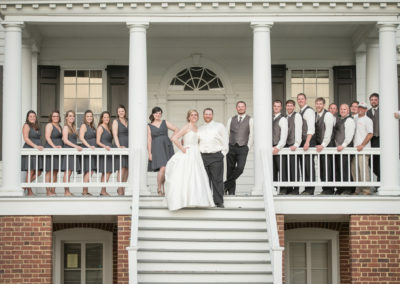 The Lace House itself features a grand staircase, historic architecture, balconies and three levels including a spacious area for the bridal party to get ready in. 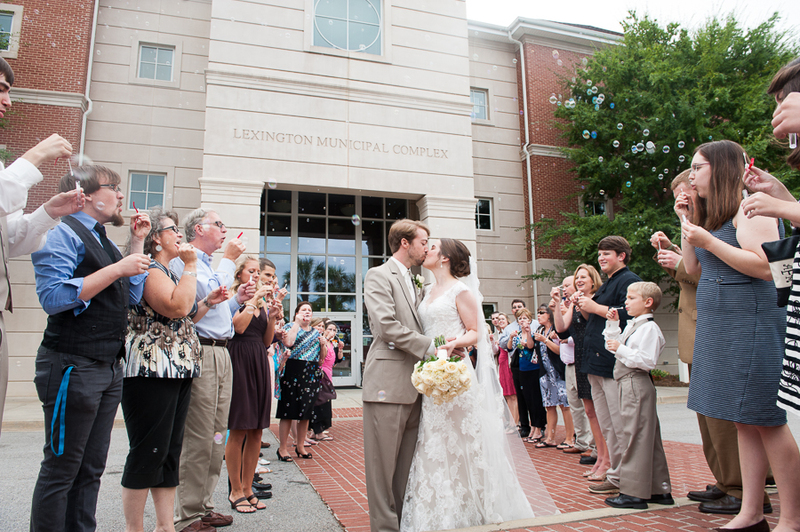 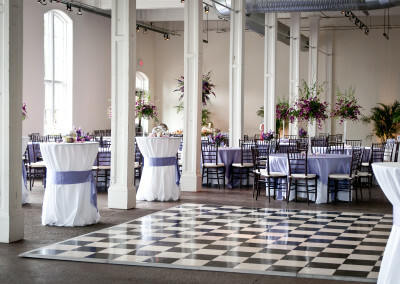 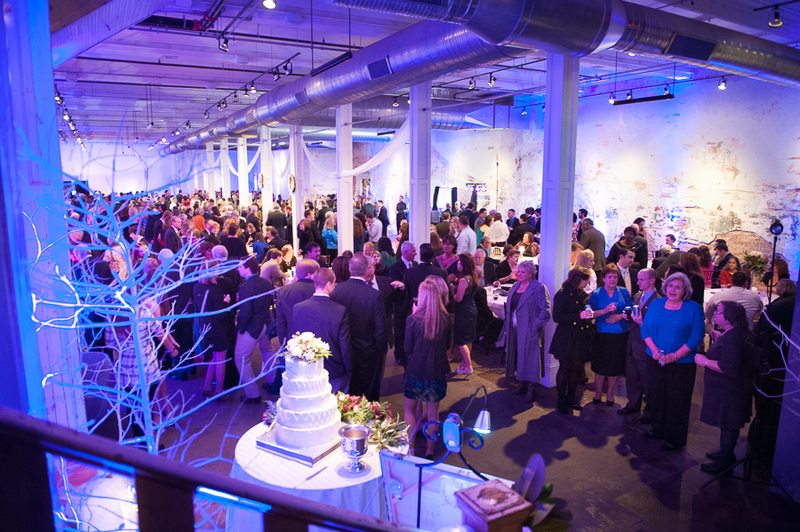 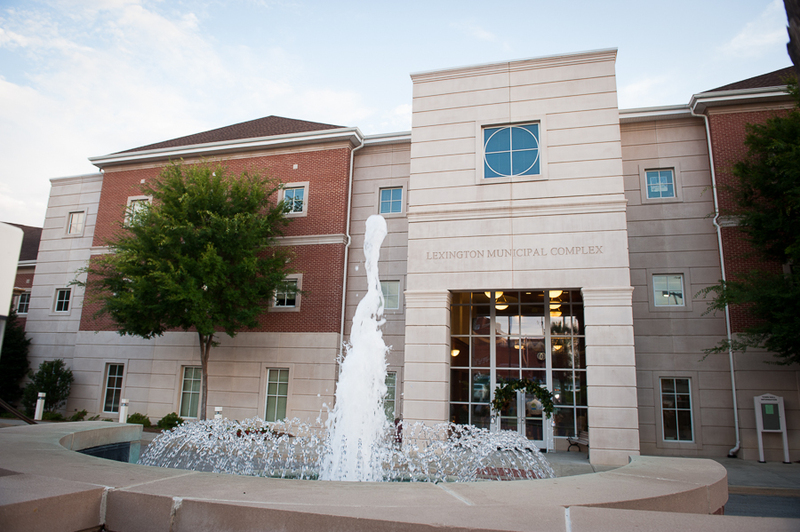 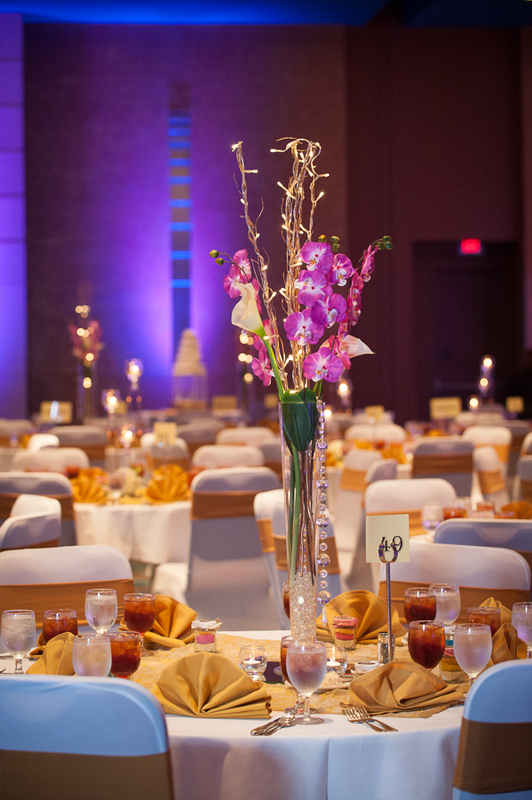 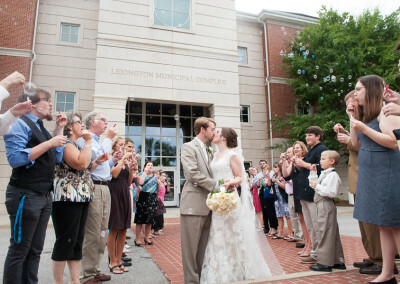 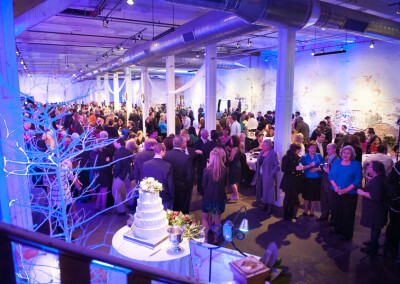 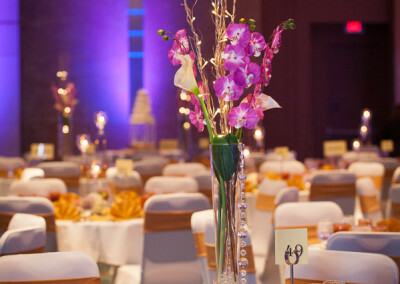 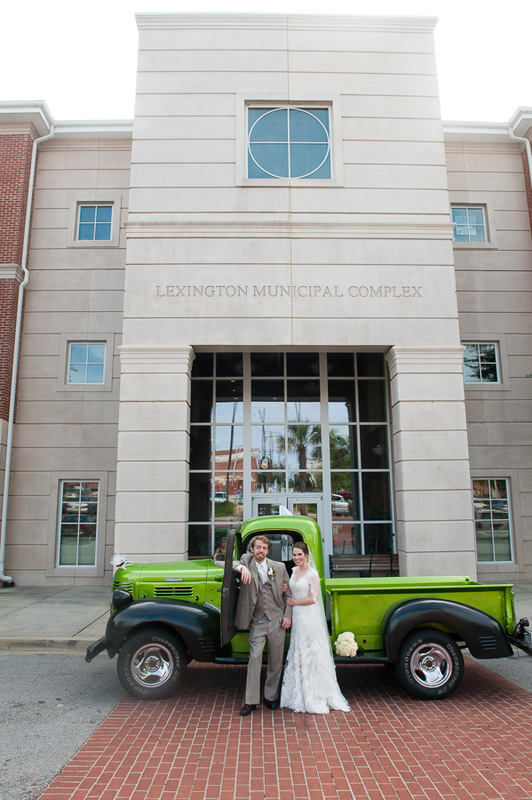 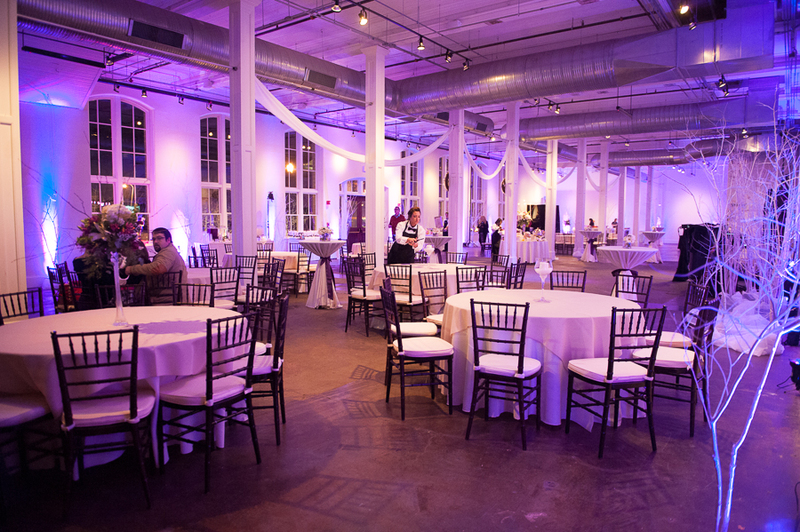 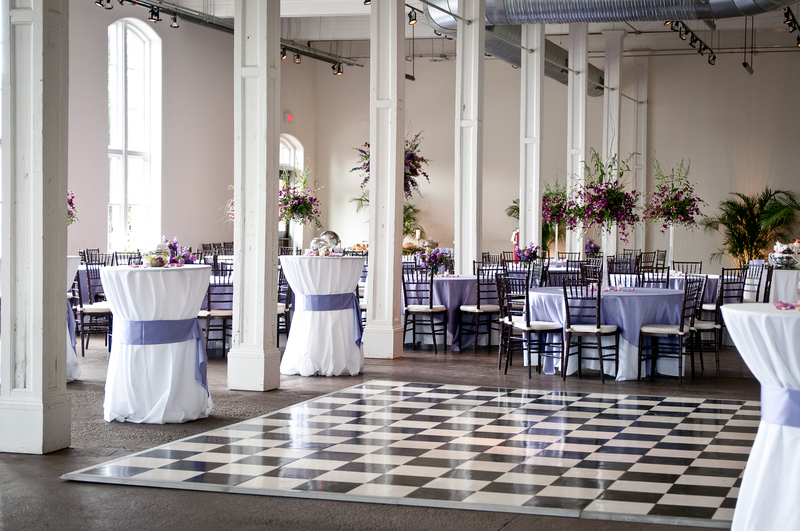 In the heart of Lexington, this ballroom makes a great reception spot. 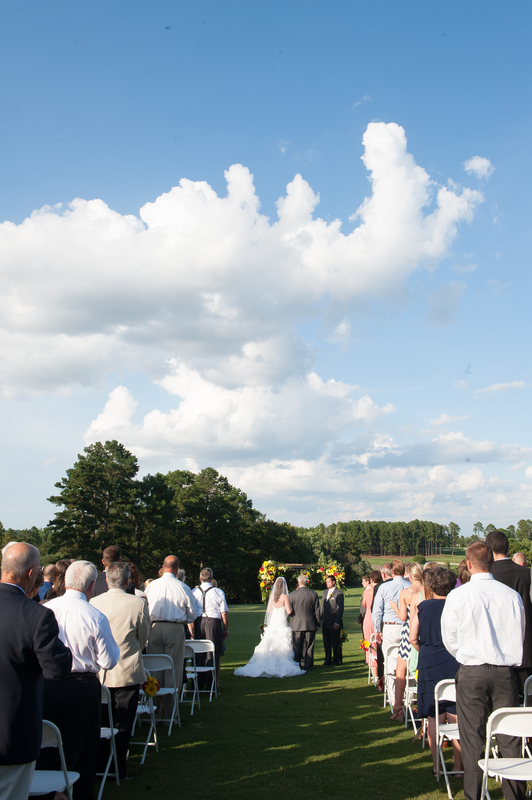 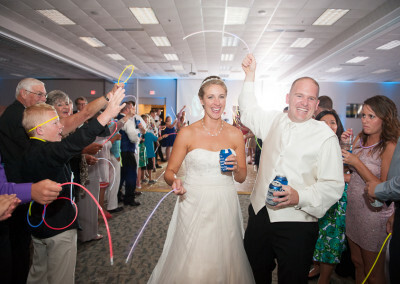 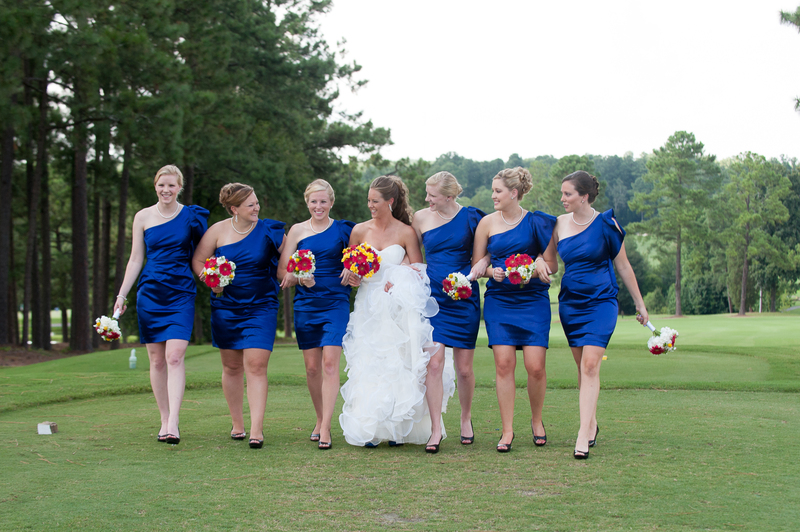 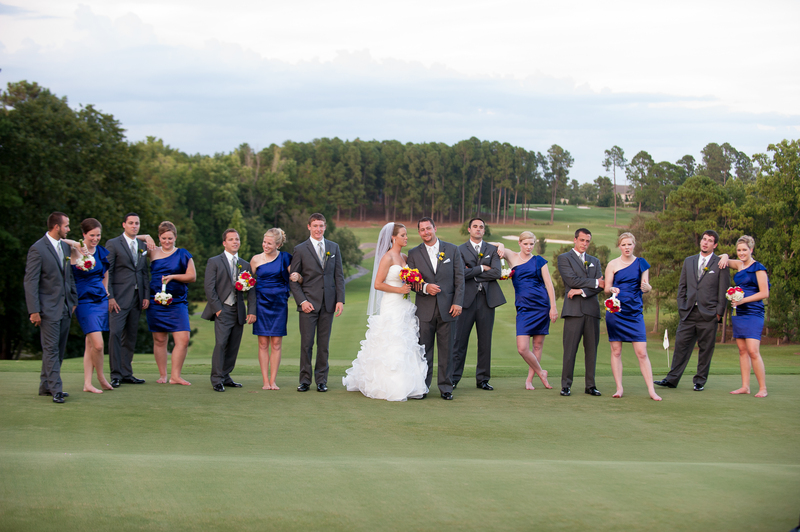 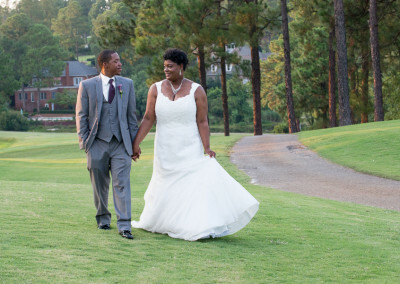 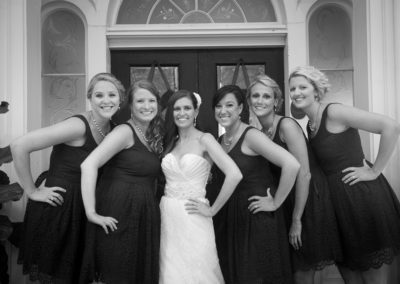 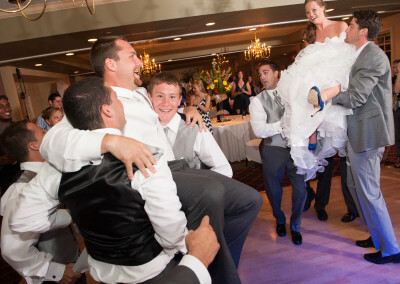 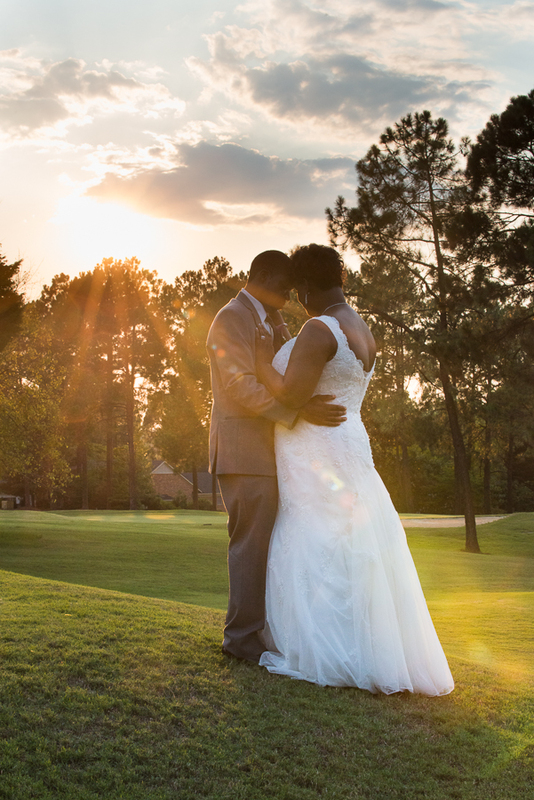 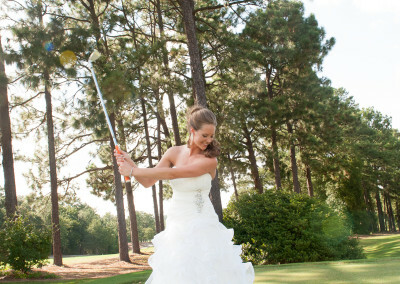 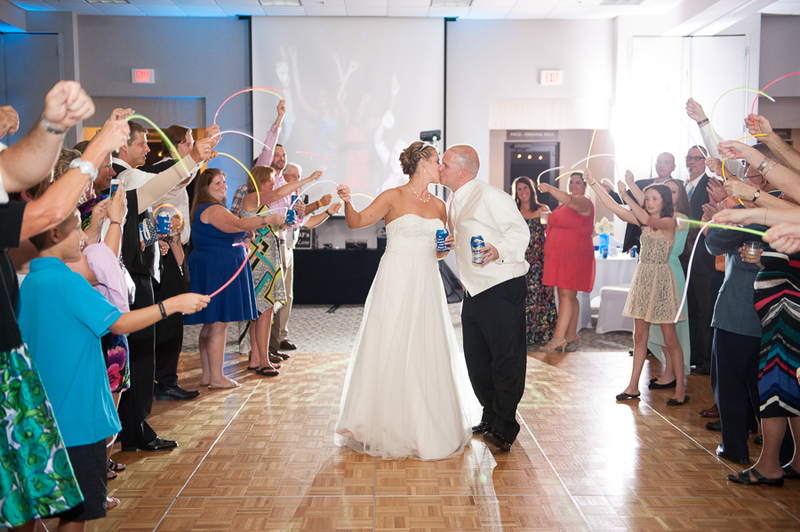 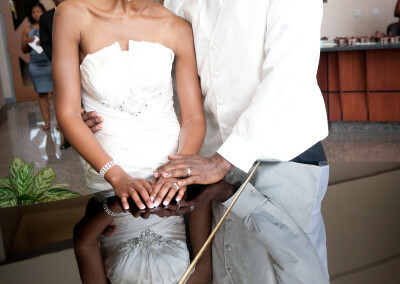 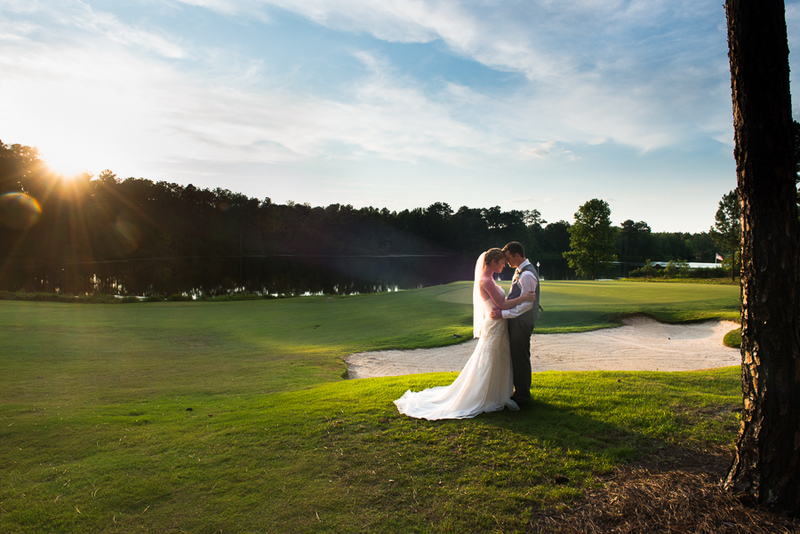 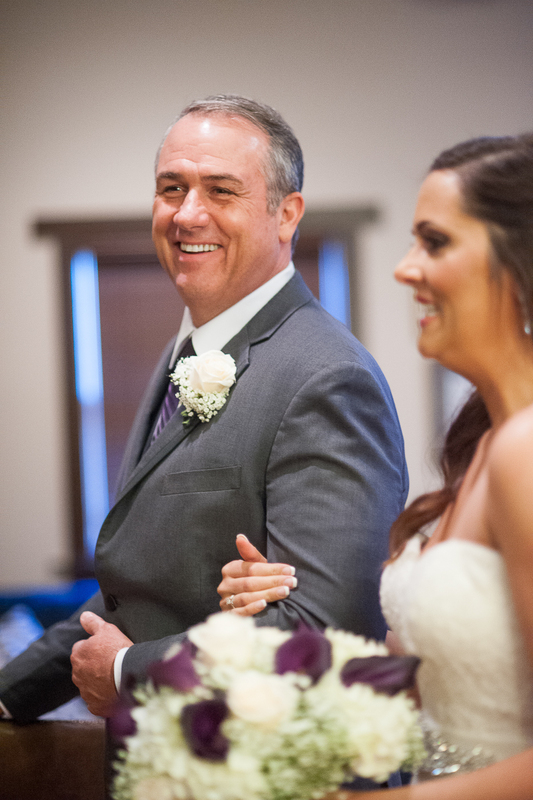 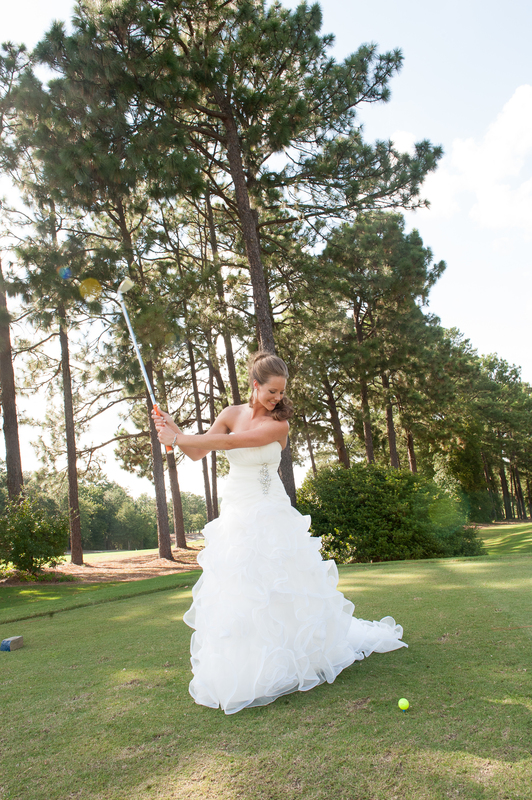 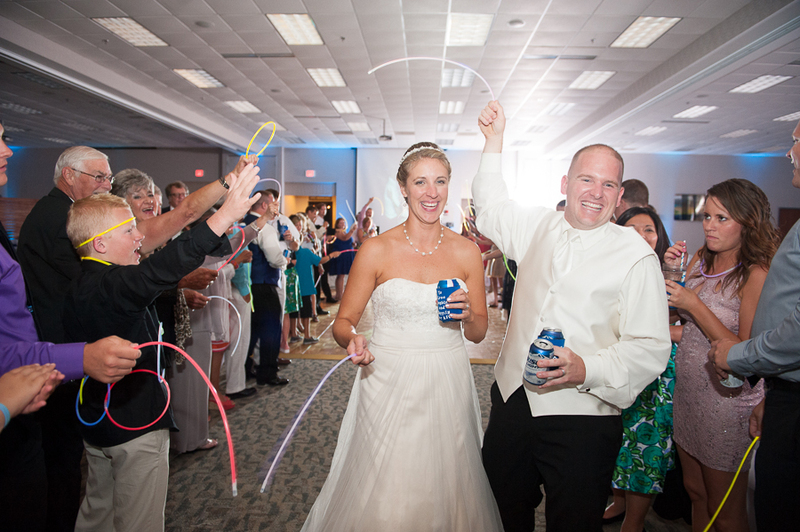 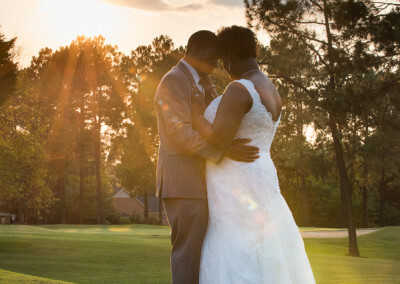 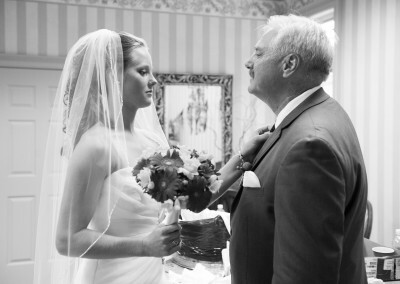 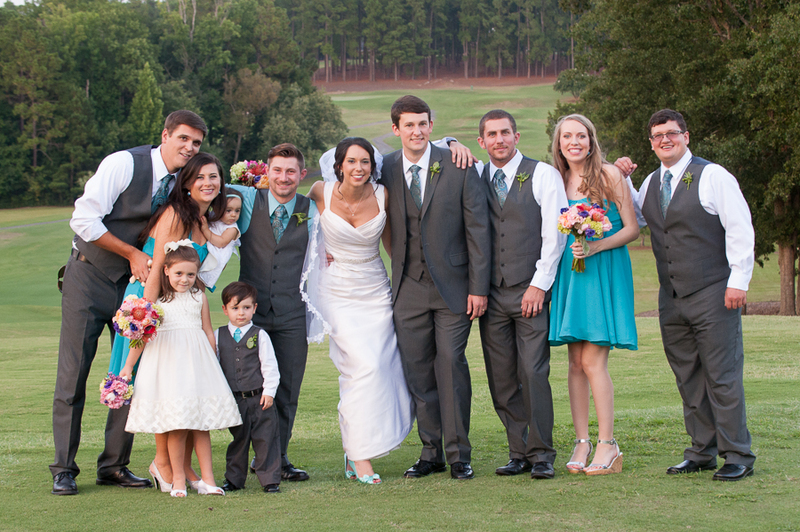 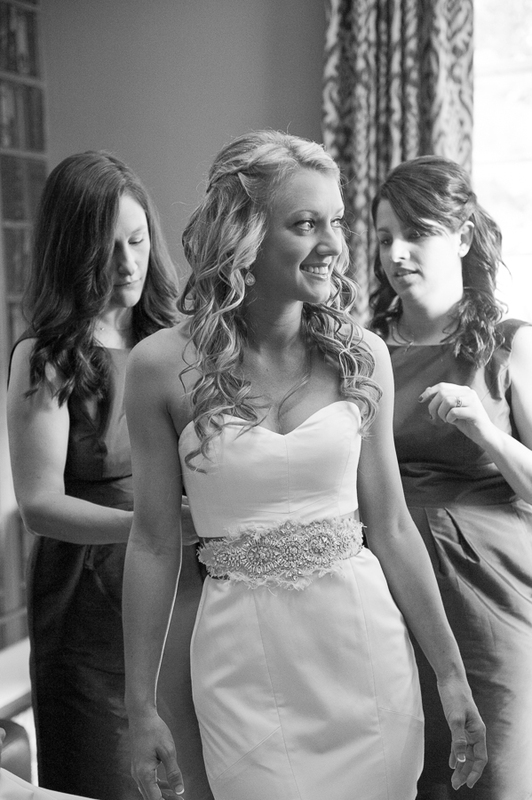 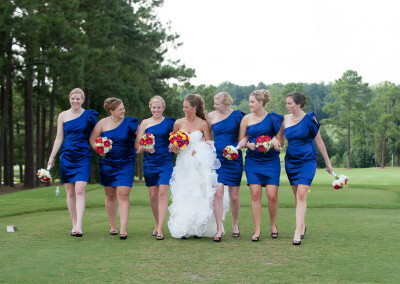 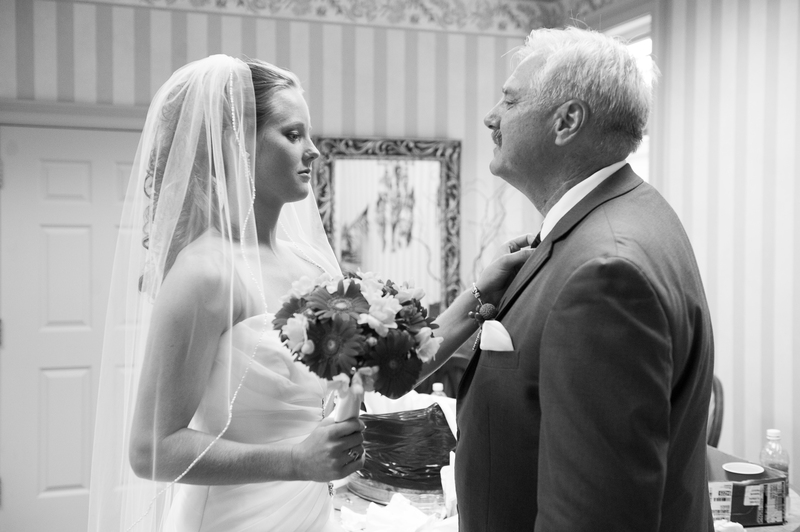 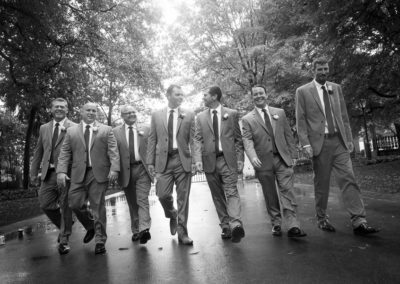 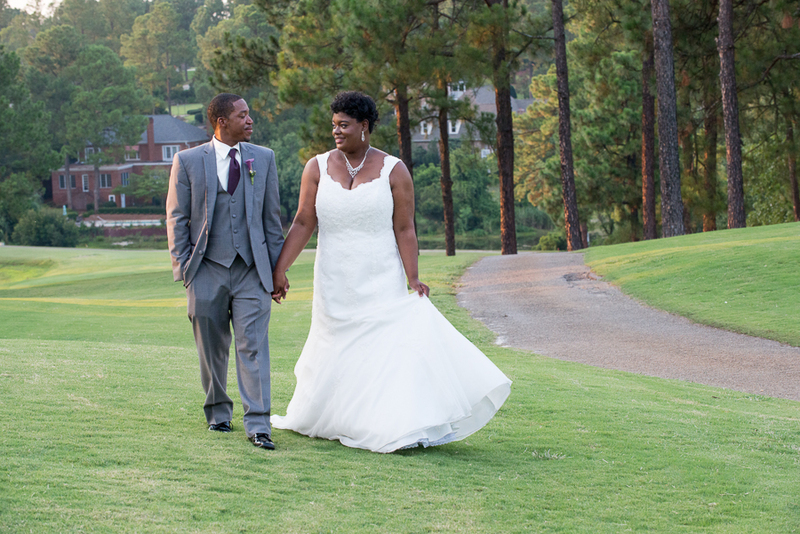 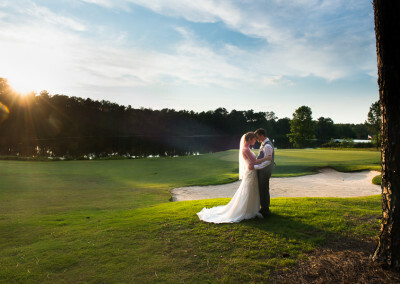 With two great locations overlooking picturesque golf courses, these venues can accommodate any size wedding! 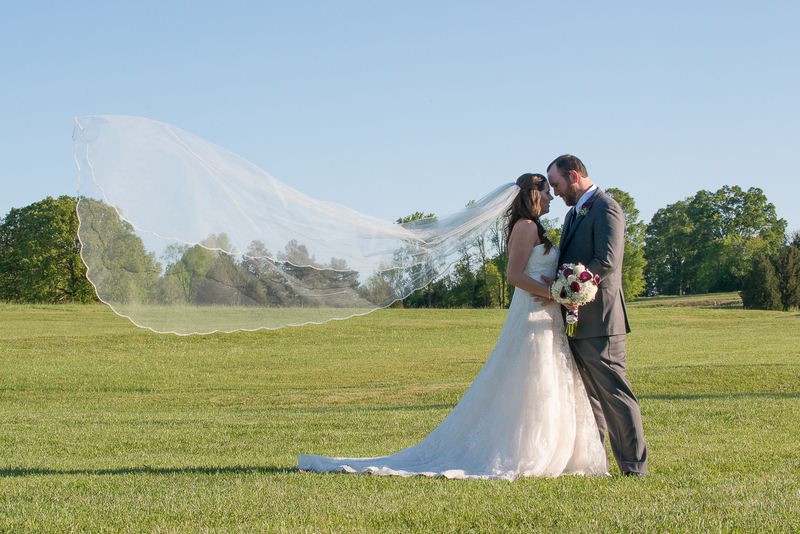 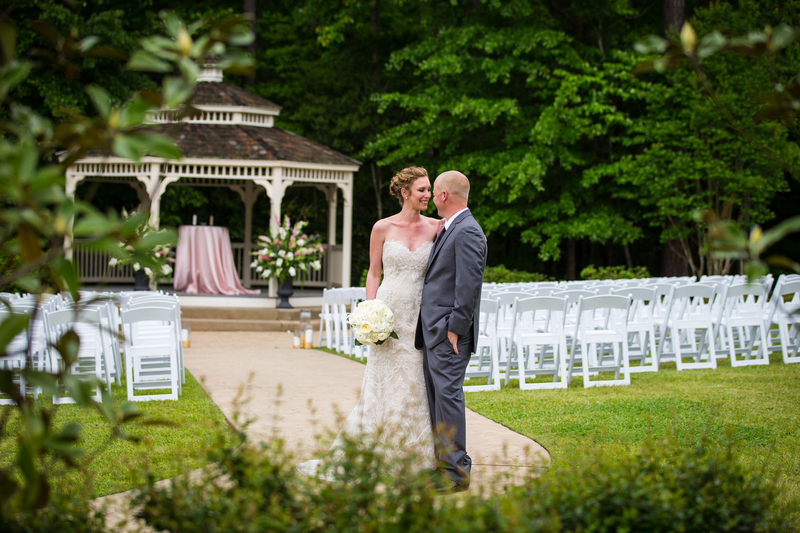 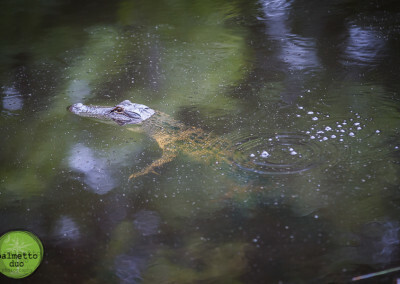 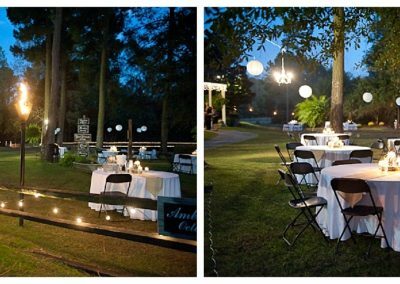 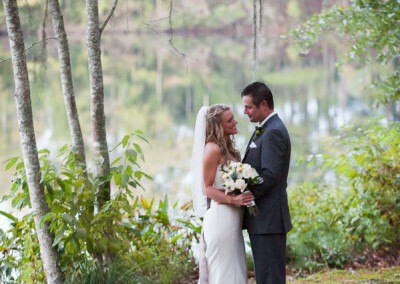 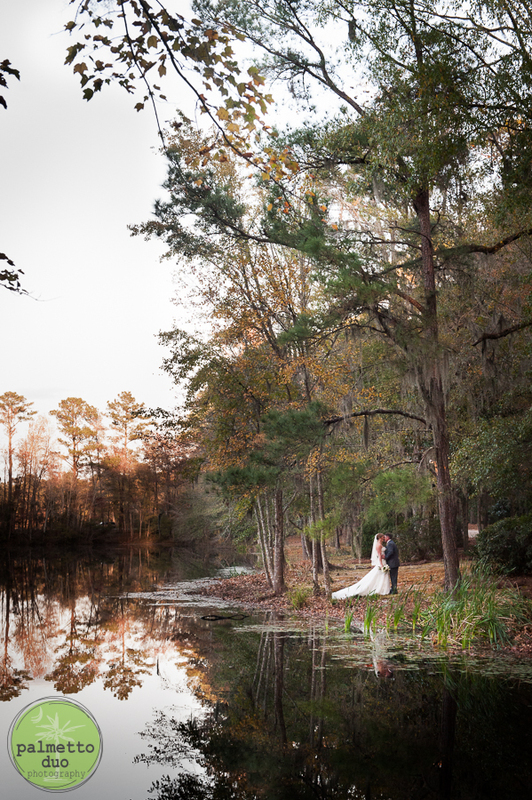 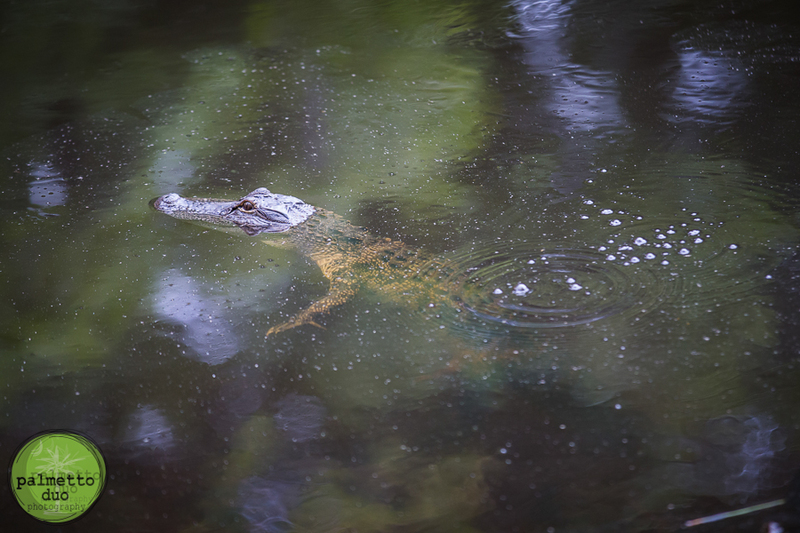 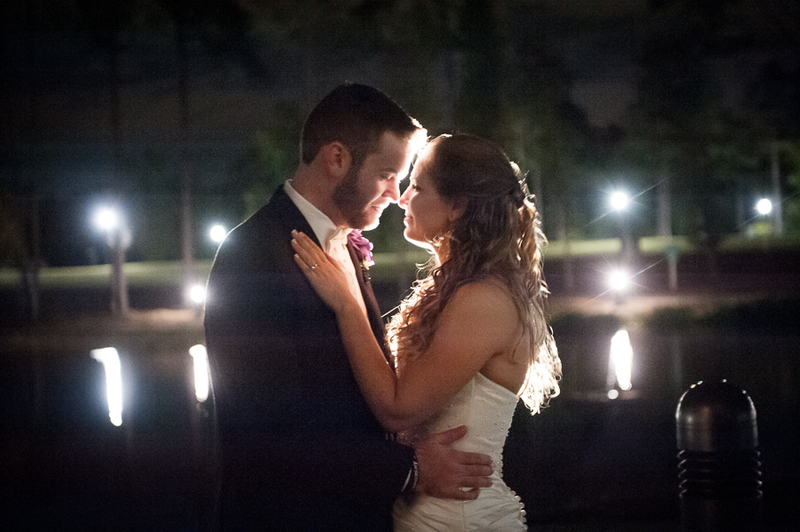 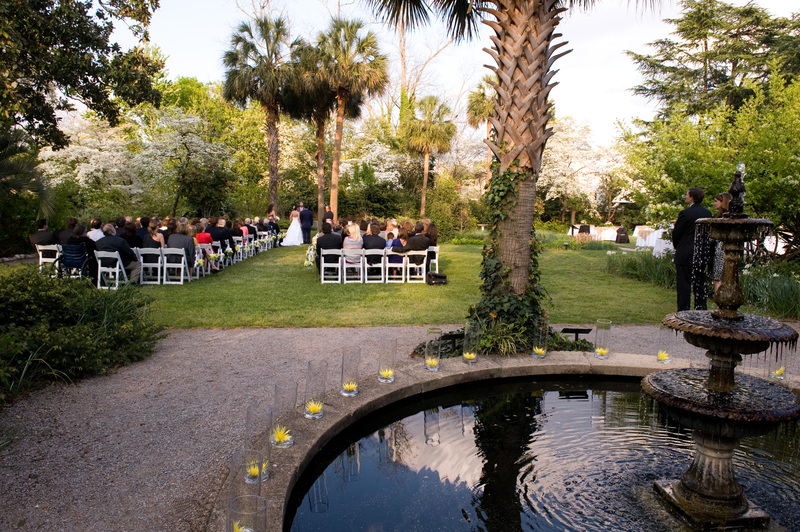 One of the hidden gems of Columbia, Adam’s Pond provides an enchanting setting for elegant Southern garden weddings and receptions. 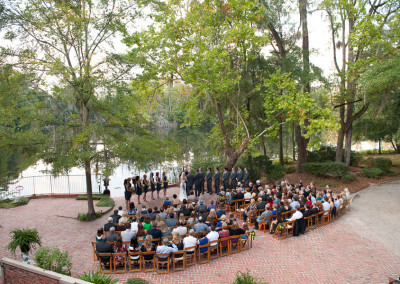 The ceremony site overlooks a shimmering pond. 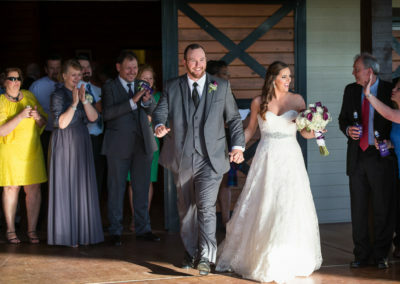 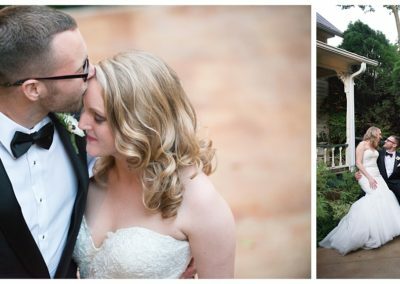 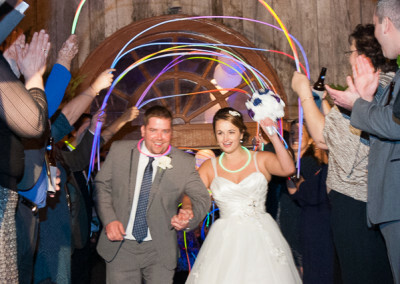 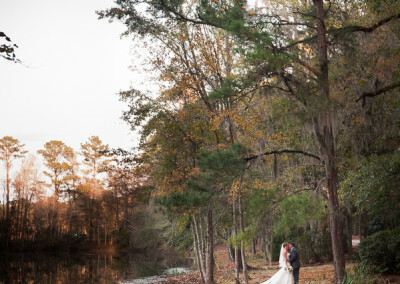 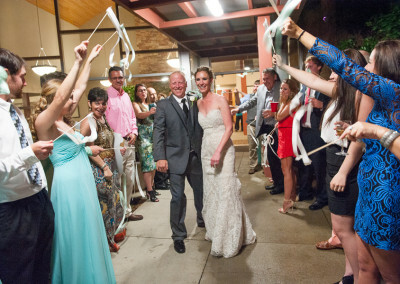 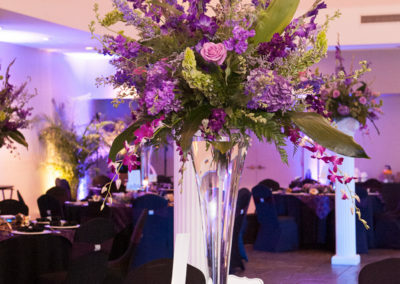 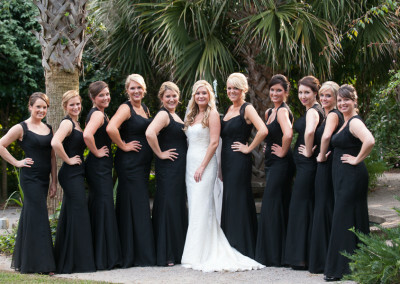 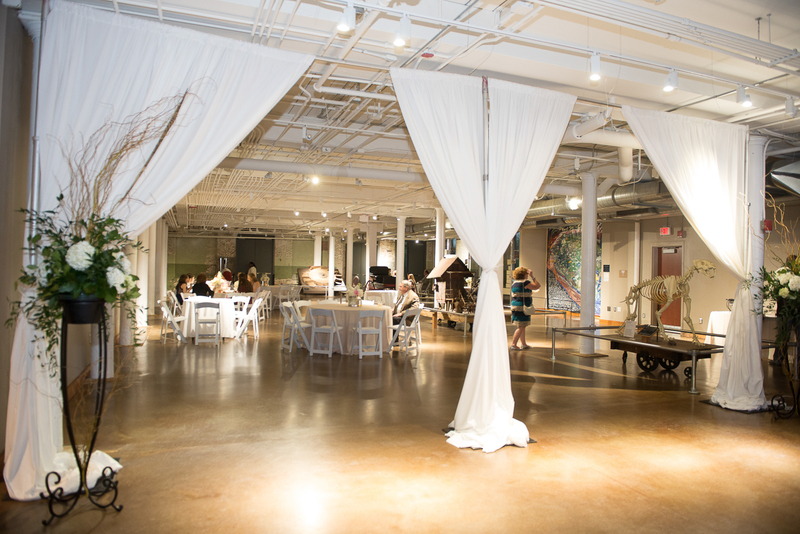 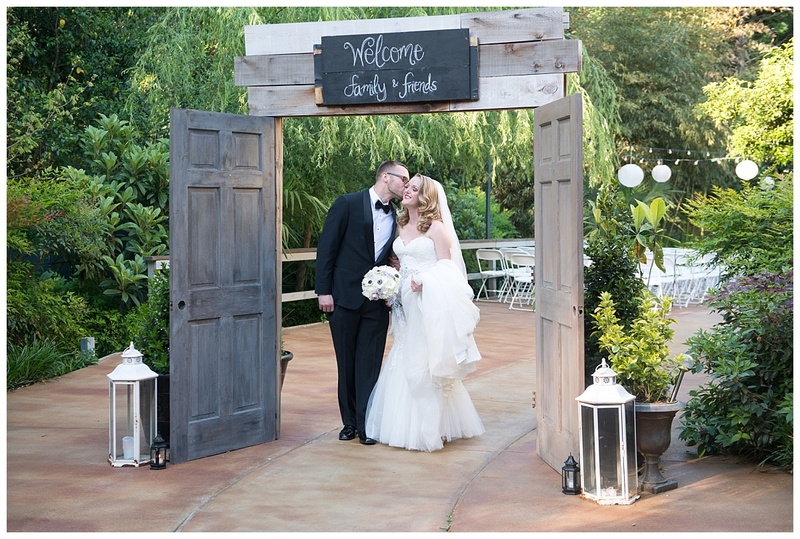 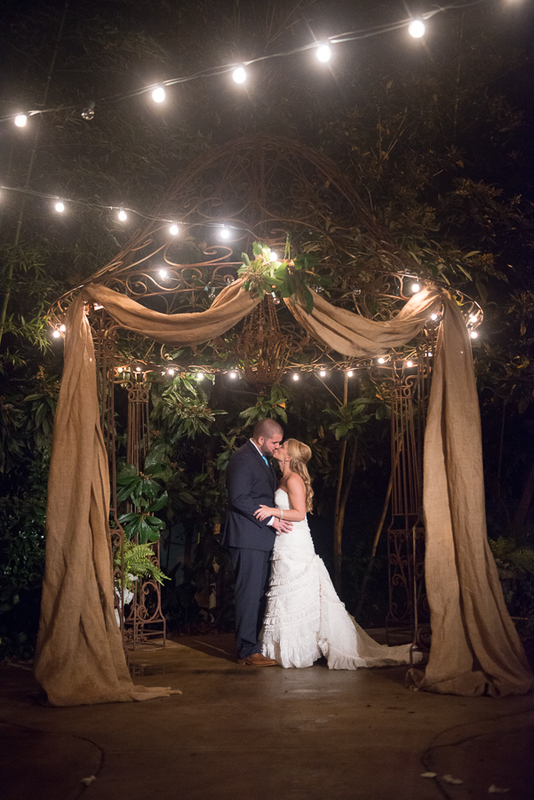 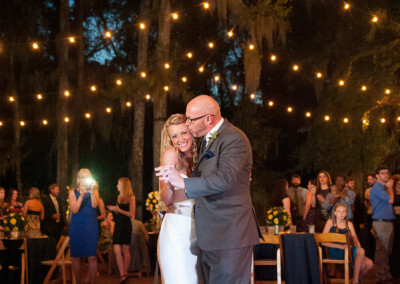 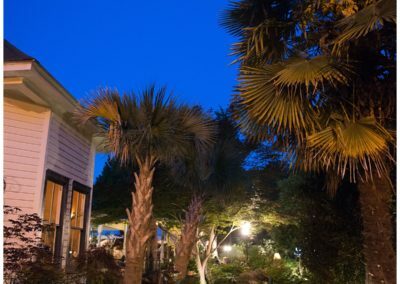 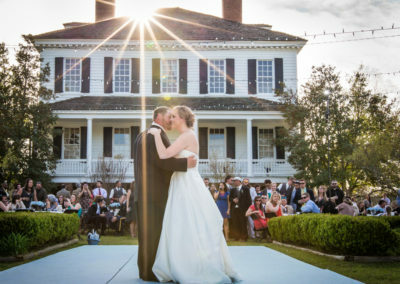 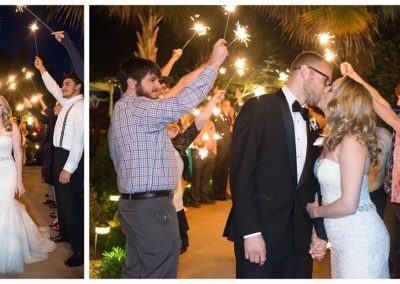 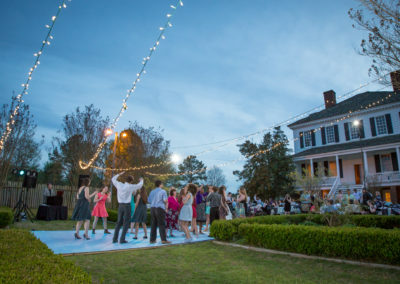 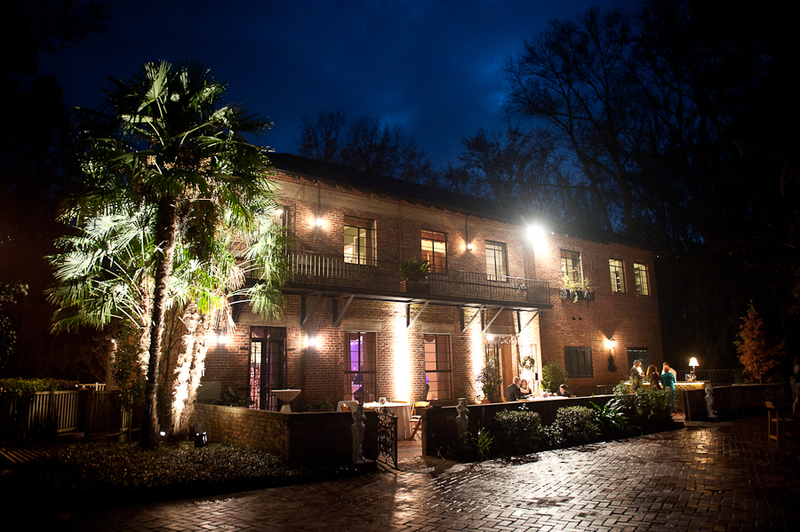 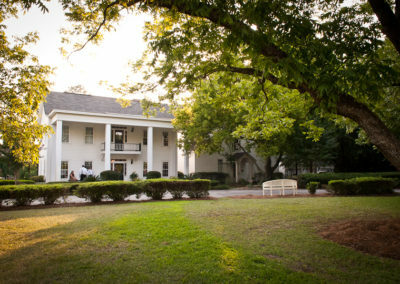 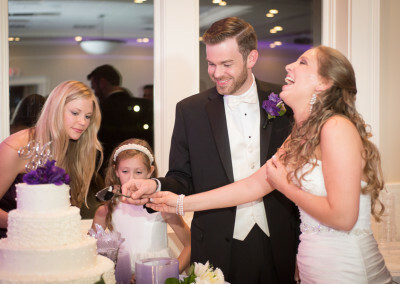 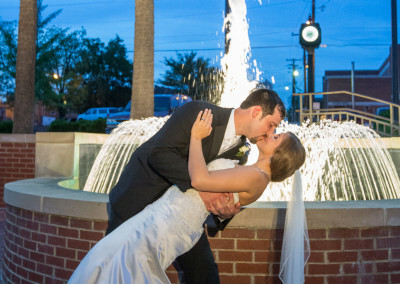 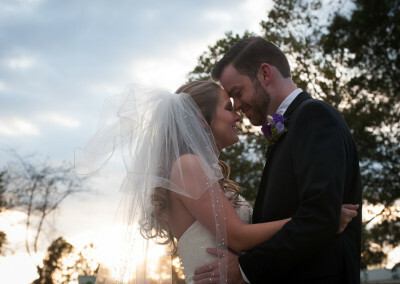 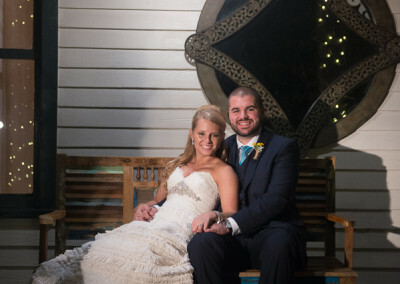 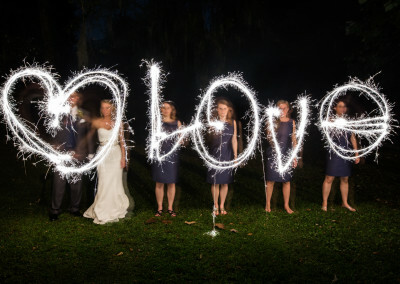 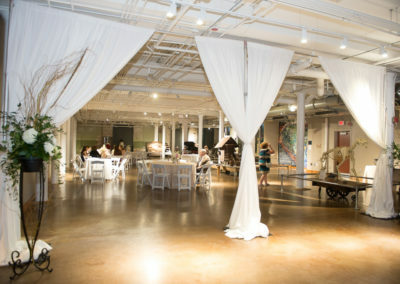 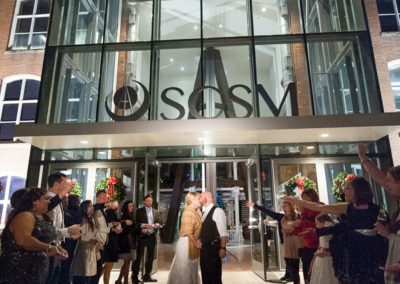 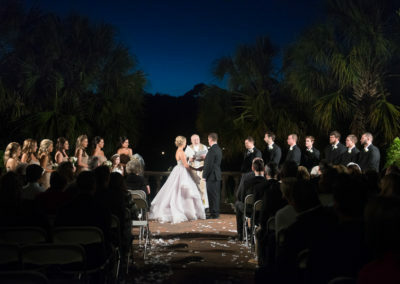 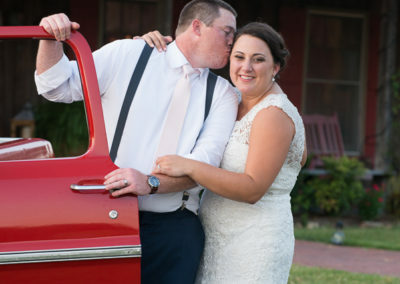 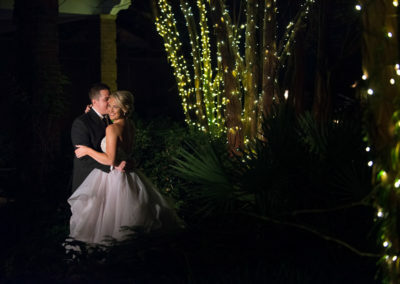 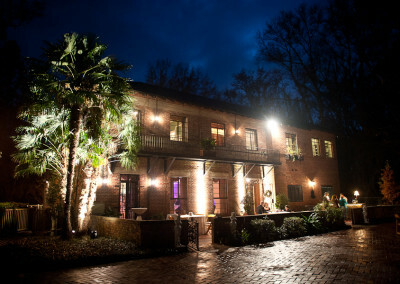 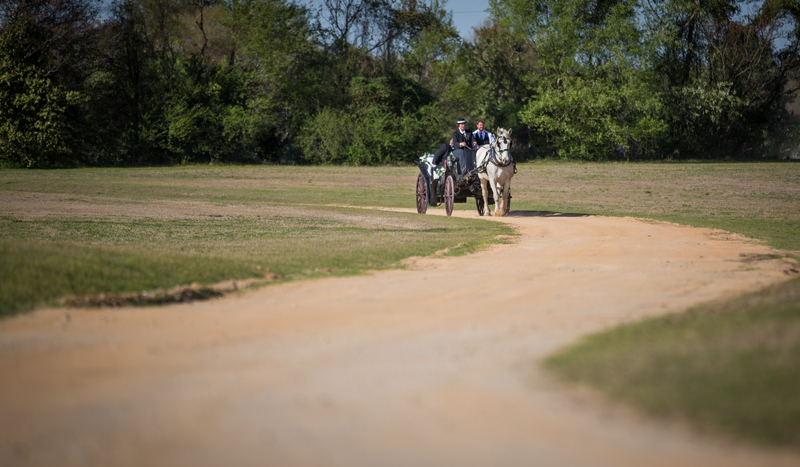 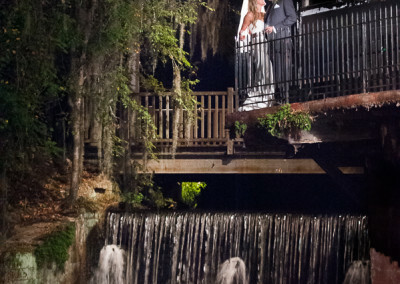 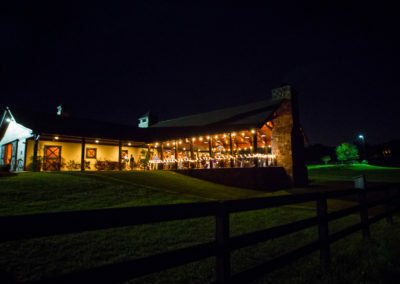 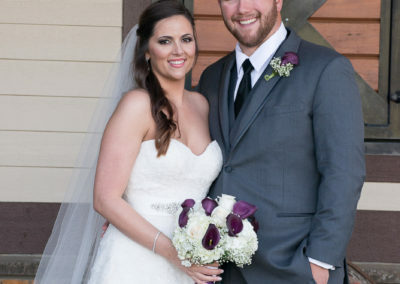 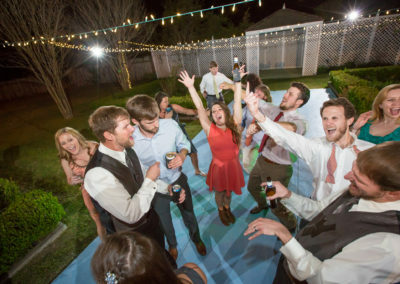 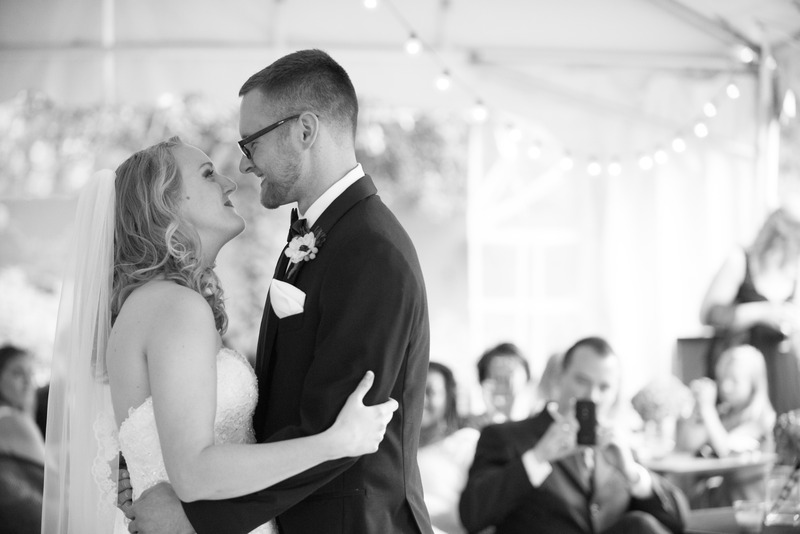 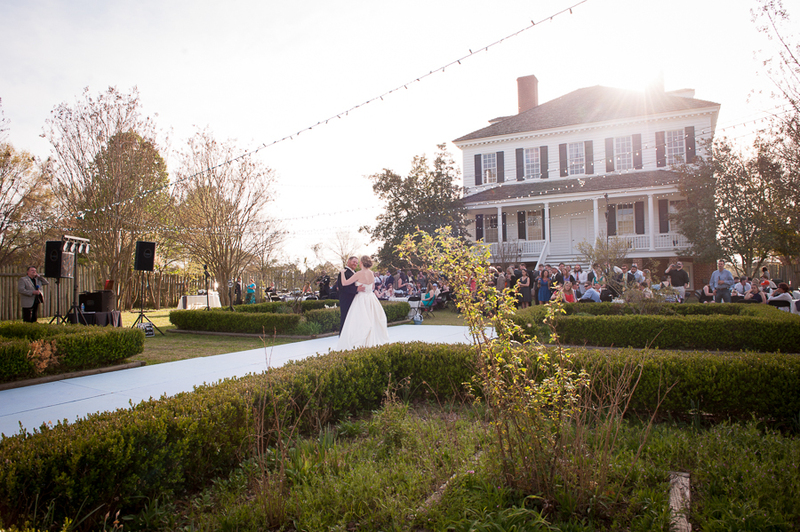 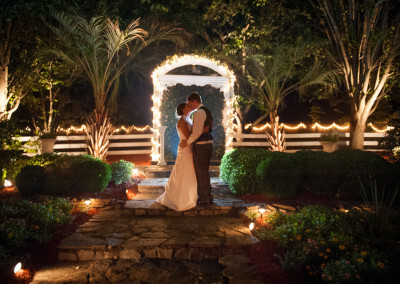 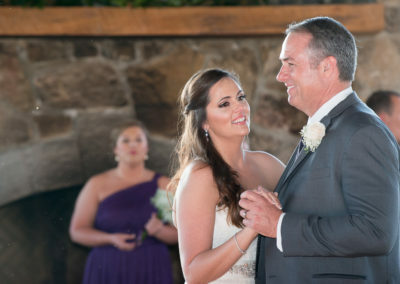 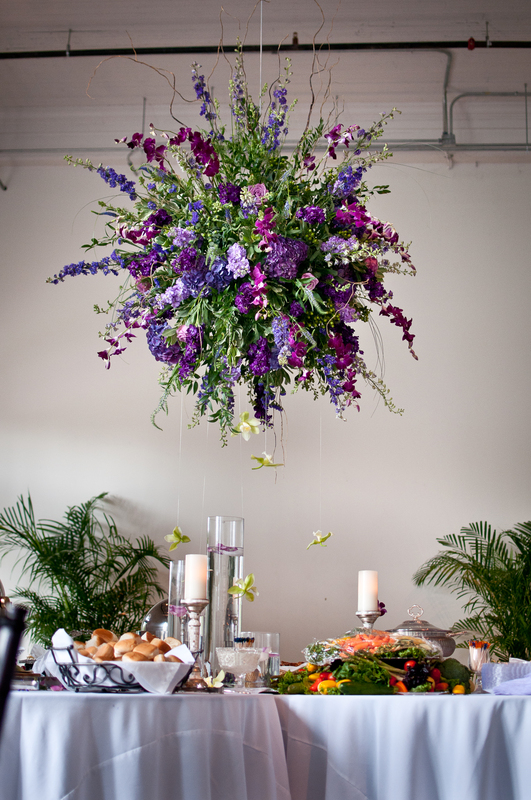 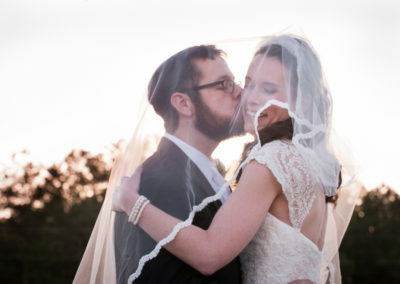 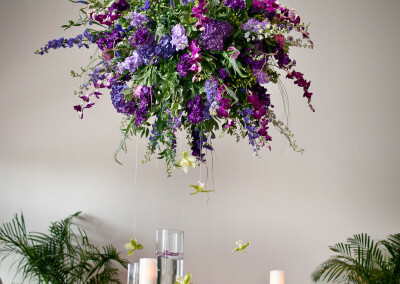 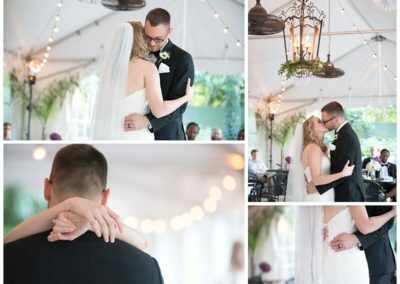 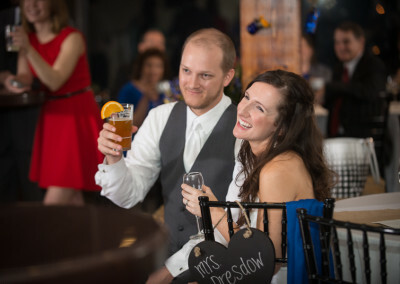 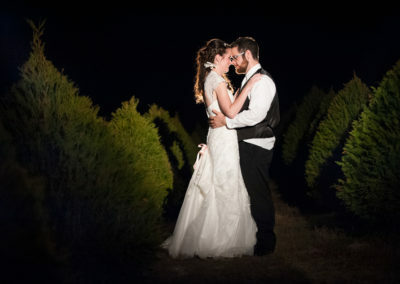 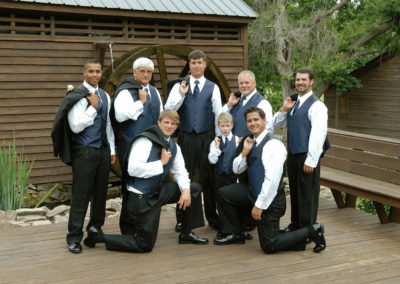 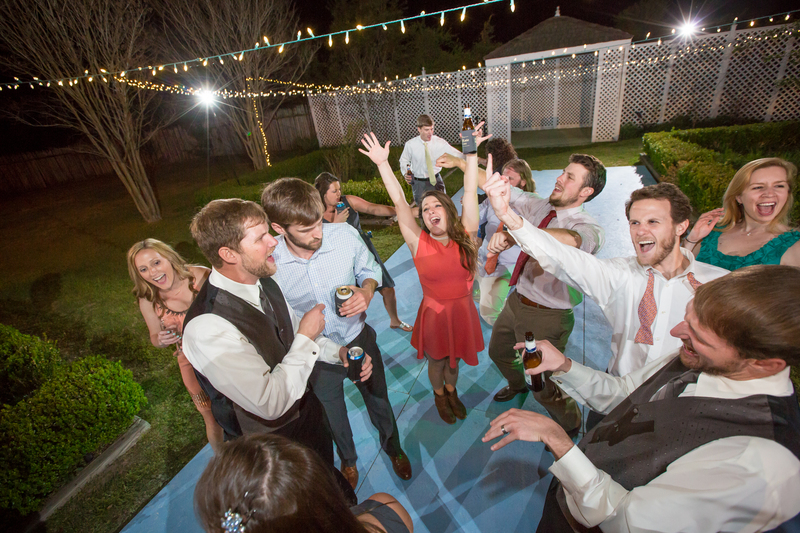 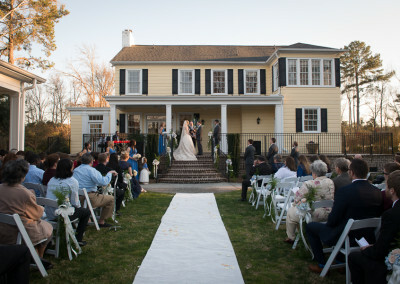 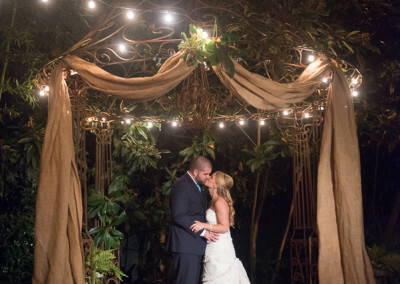 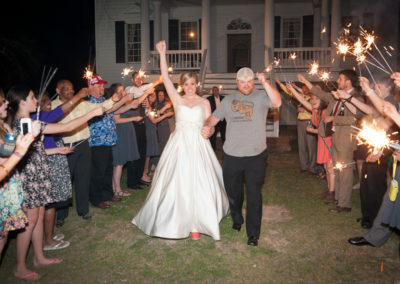 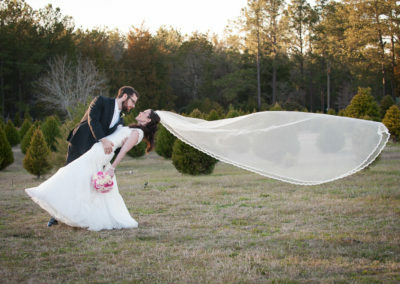 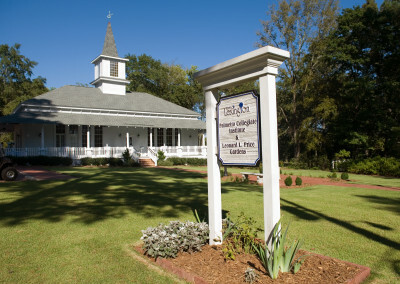 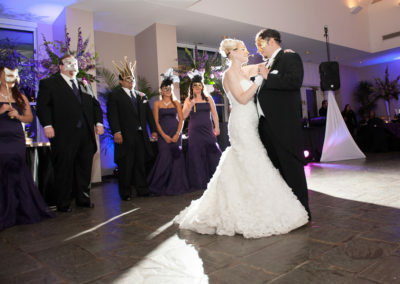 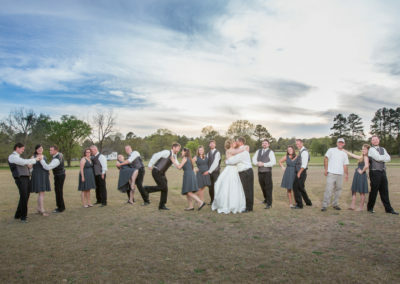 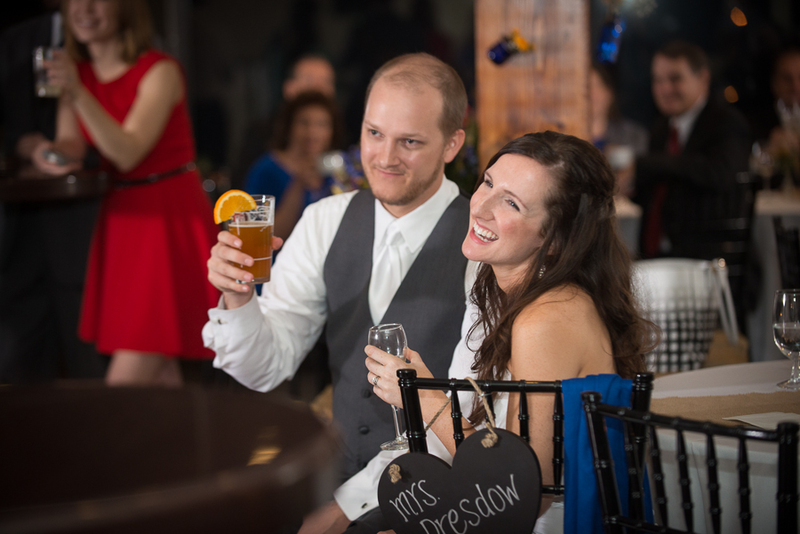 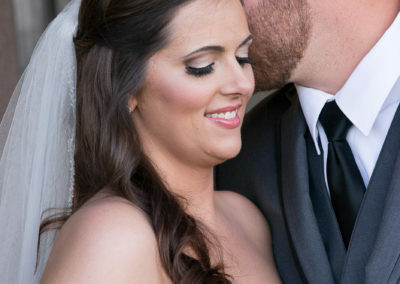 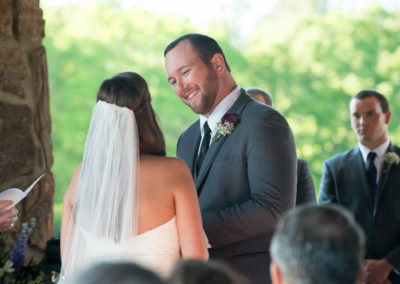 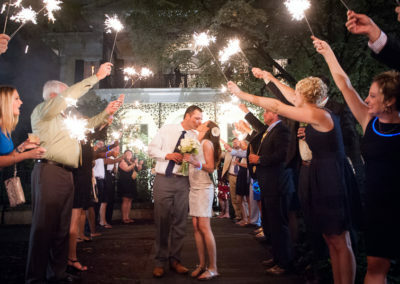 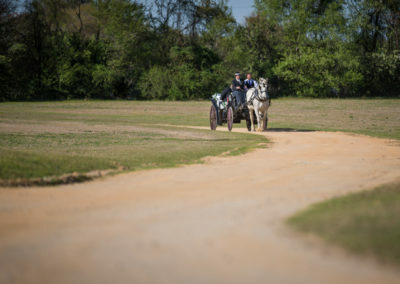 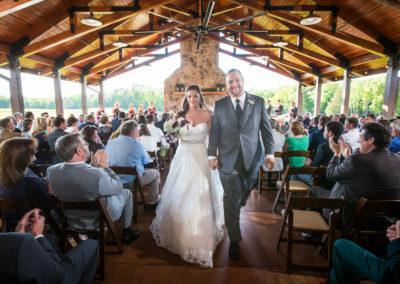 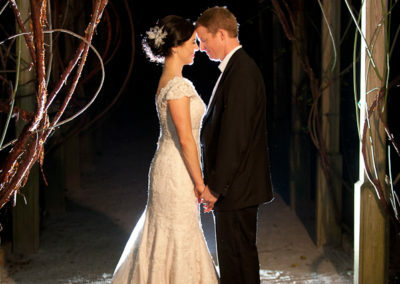 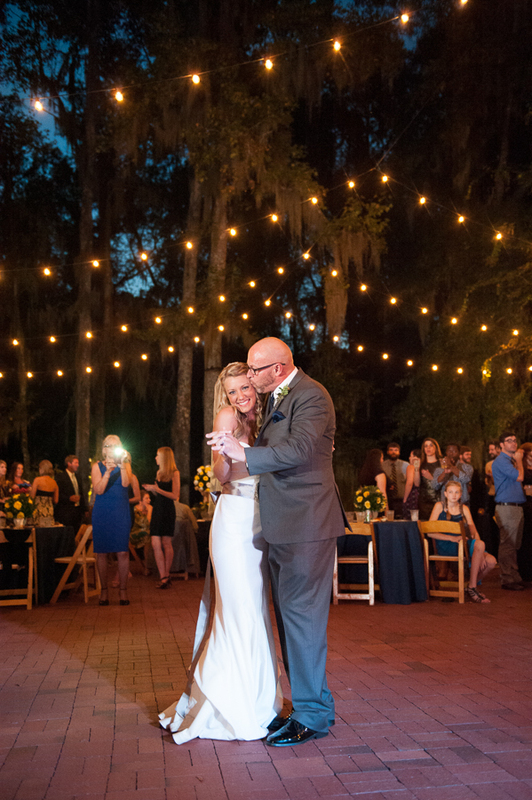 Other unique features of this venue include: a cascading waterfall, Spanish moss hanging from the trees, a backyard patio for outdoor receptions and a secluded pecan orchard. 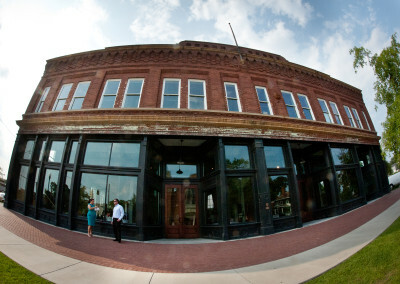 This is a venue with a lot of history! 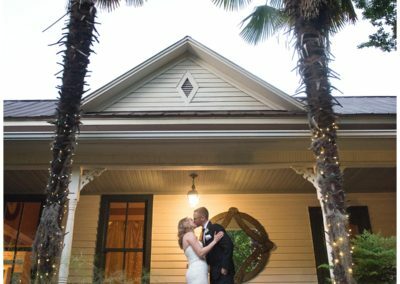 A schoolhouse from 1881 until 1911, this building was recent restored by the Town of Lexington and now is available for rent as a wedding venue! 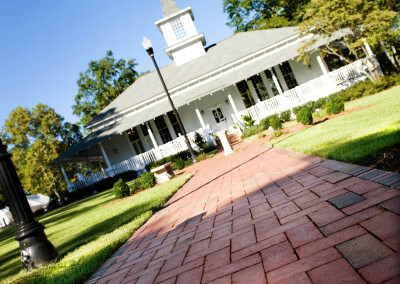 It has a park-like atmosphere with little gardens, a gazebo, benches while the building itself has large windows letting in lots of natural light and a white wrap around porch. 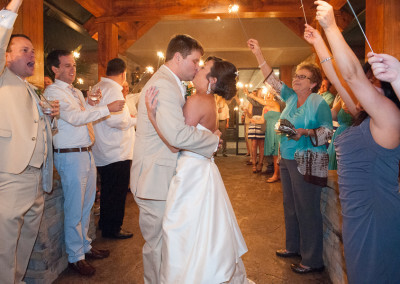 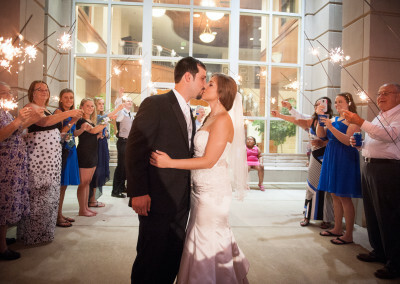 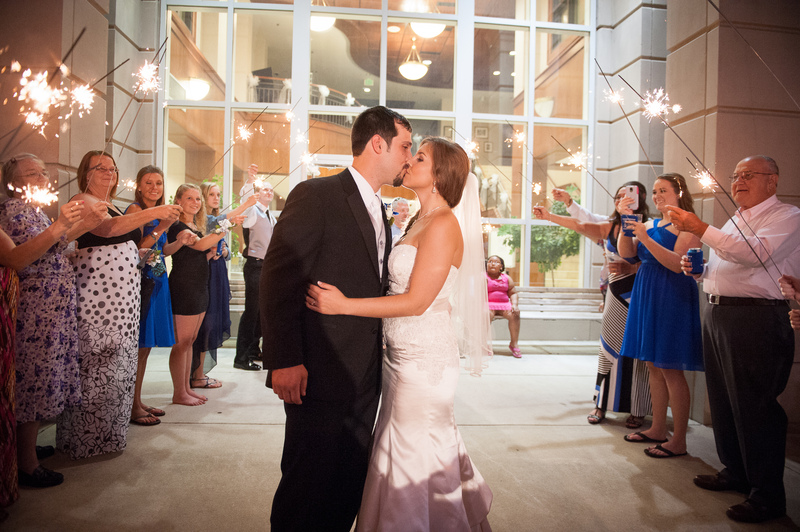 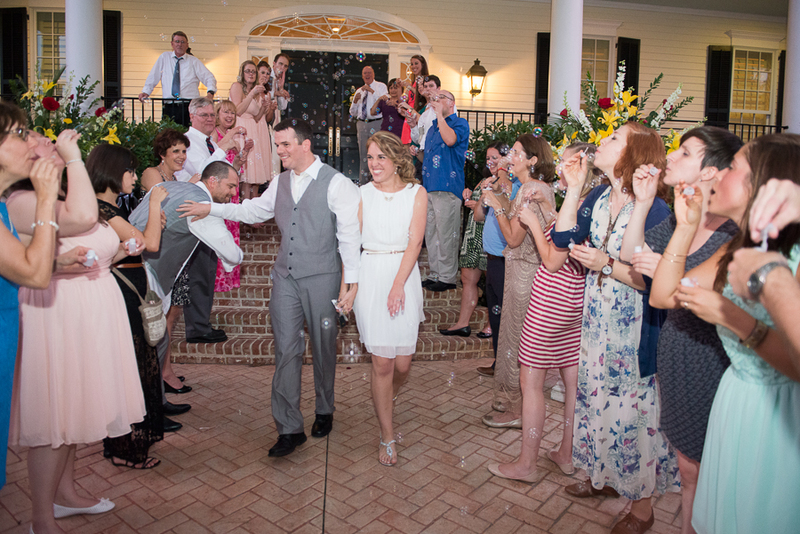 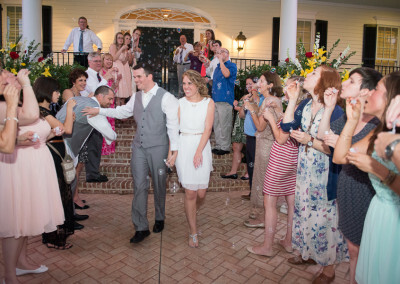 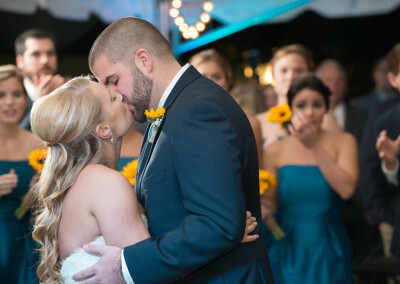 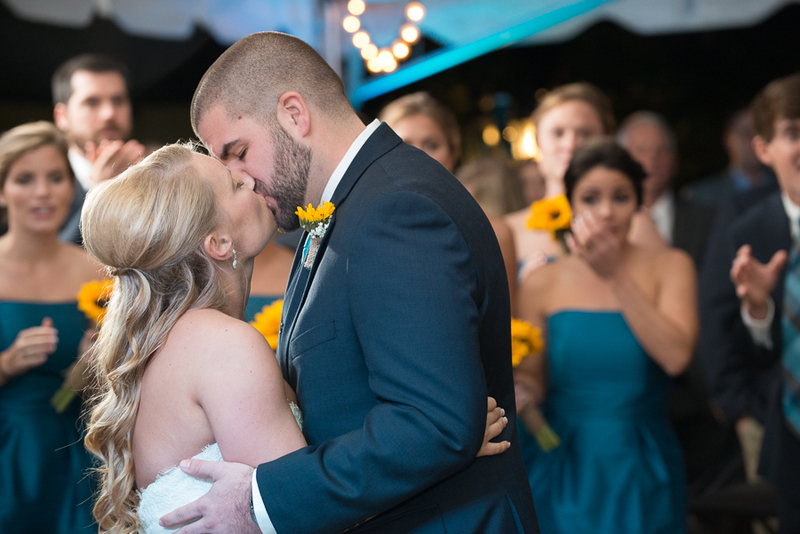 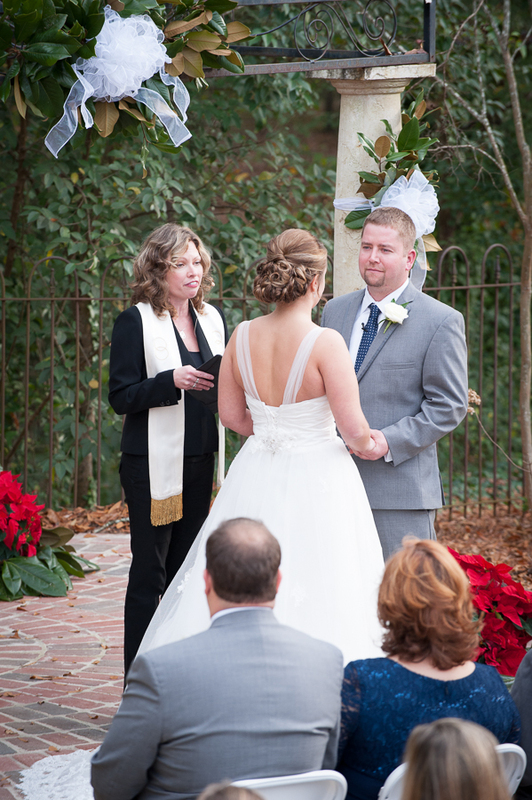 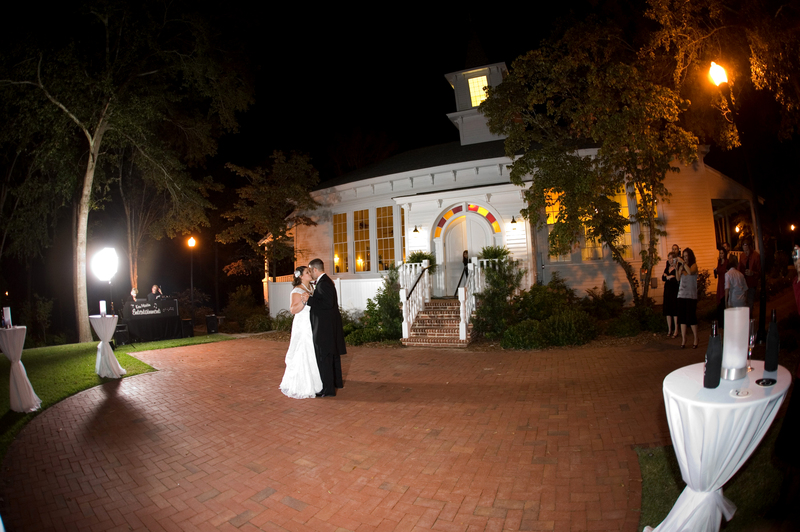 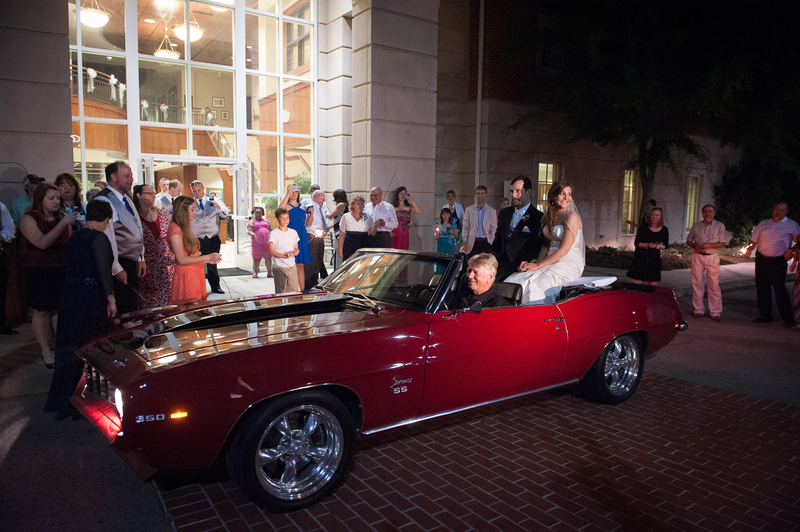 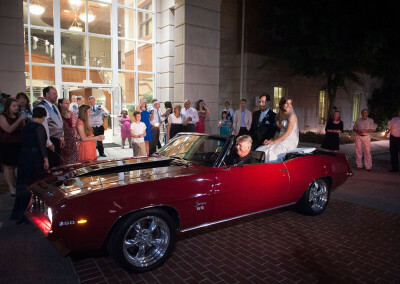 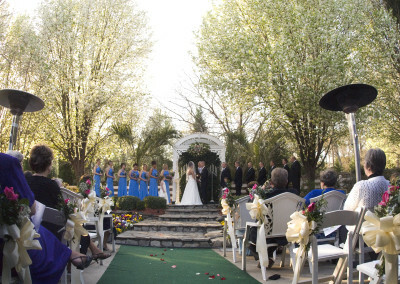 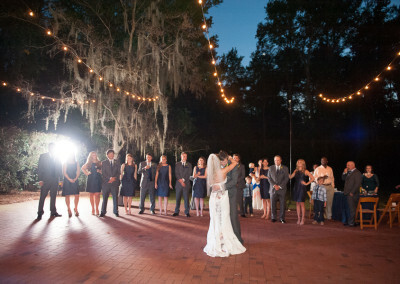 The brick patio in the back is a popular spot for outdoor ceremonies. 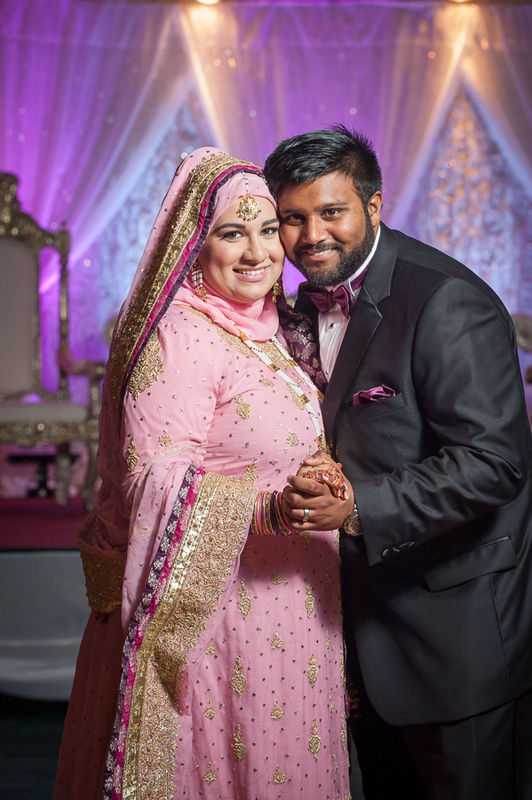 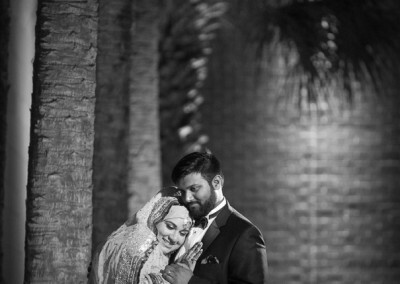 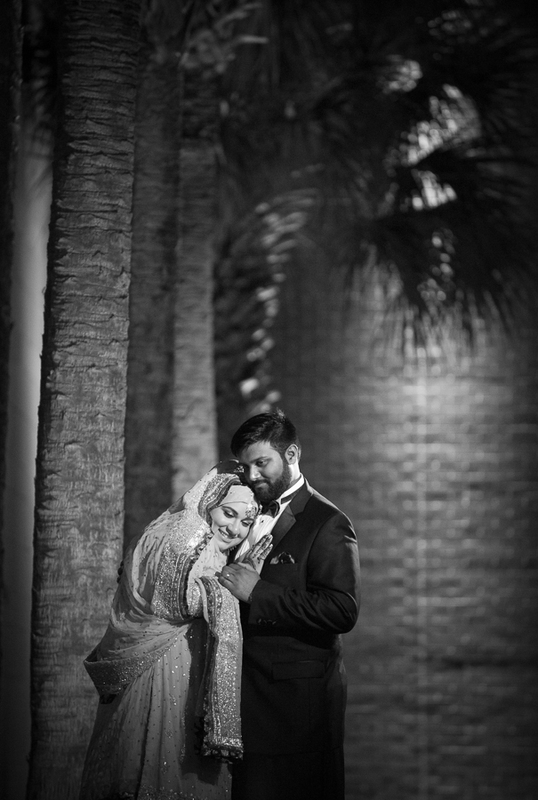 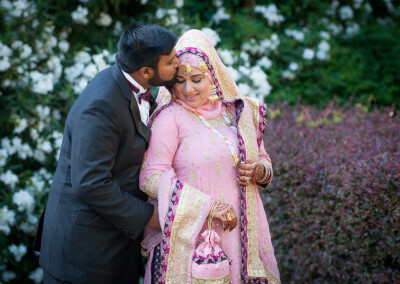 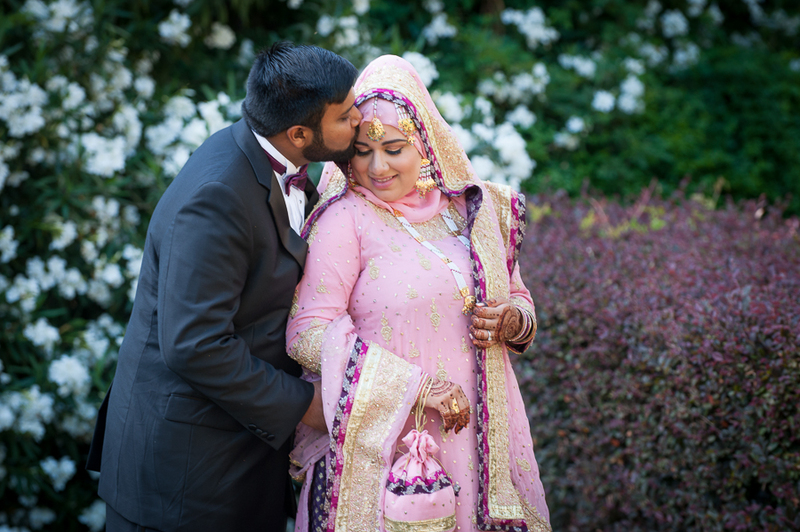 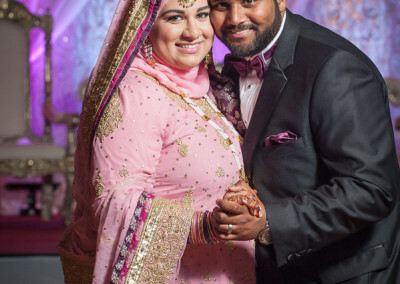 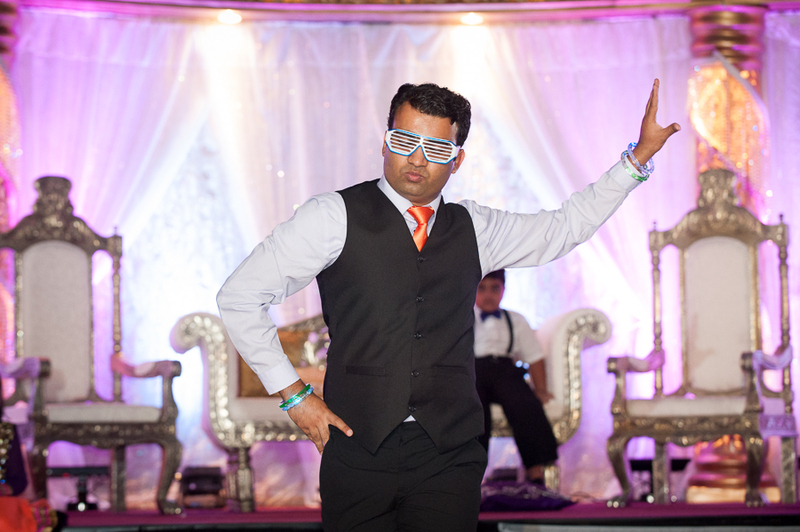 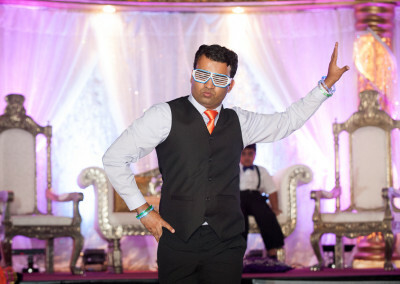 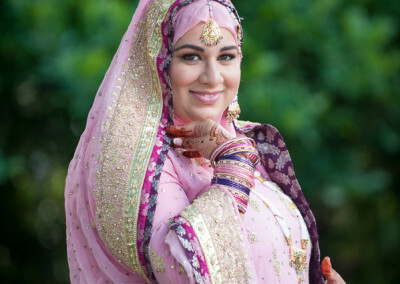 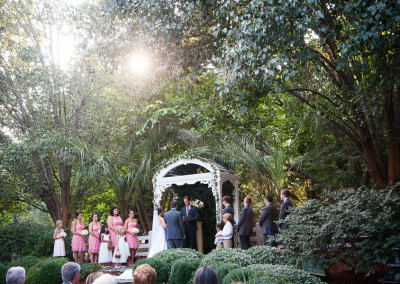 This venue combines two beautiful houses and an eclectic, lush garden to make a beautiful and versatile venue. 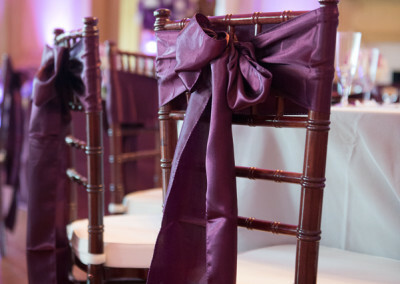 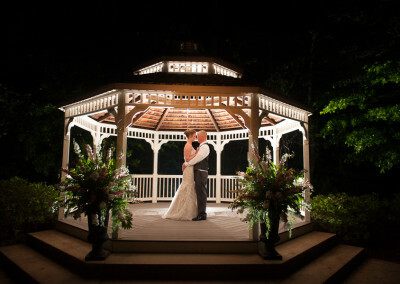 The facilities feature a ceremony area with a wrought iron gazebo, a tented reception area and a tastefully decorated indoor space for your reception guests to eat and relax. 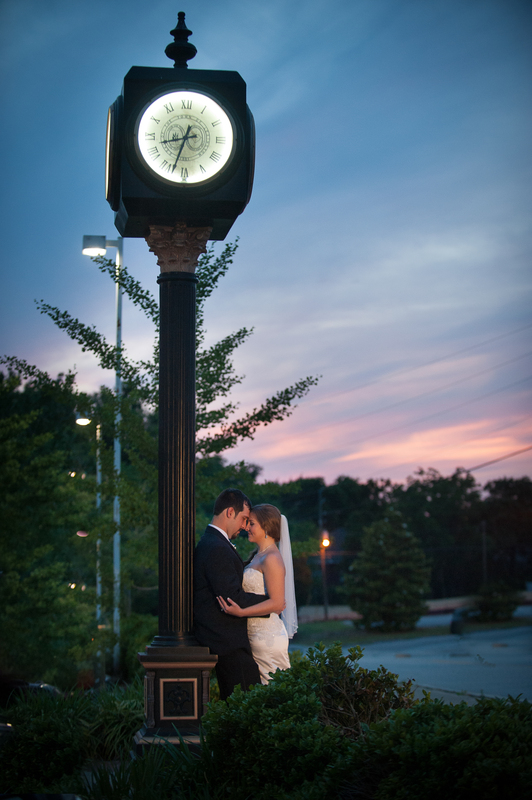 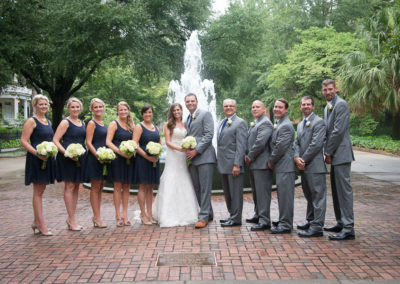 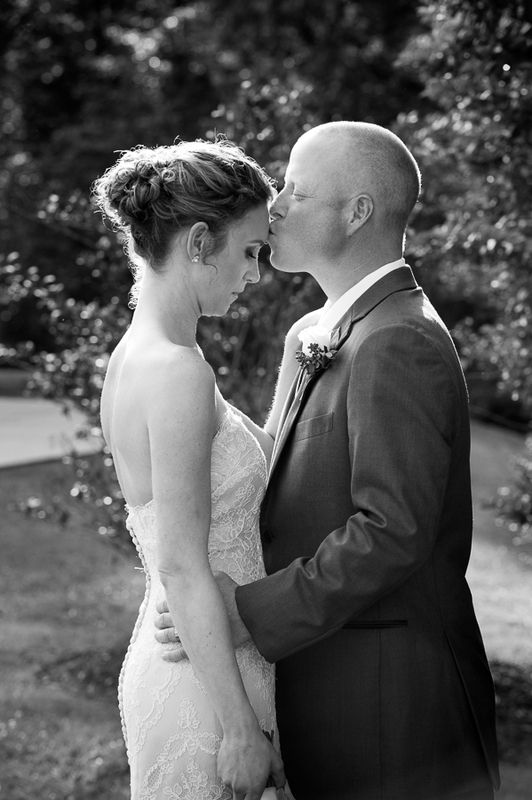 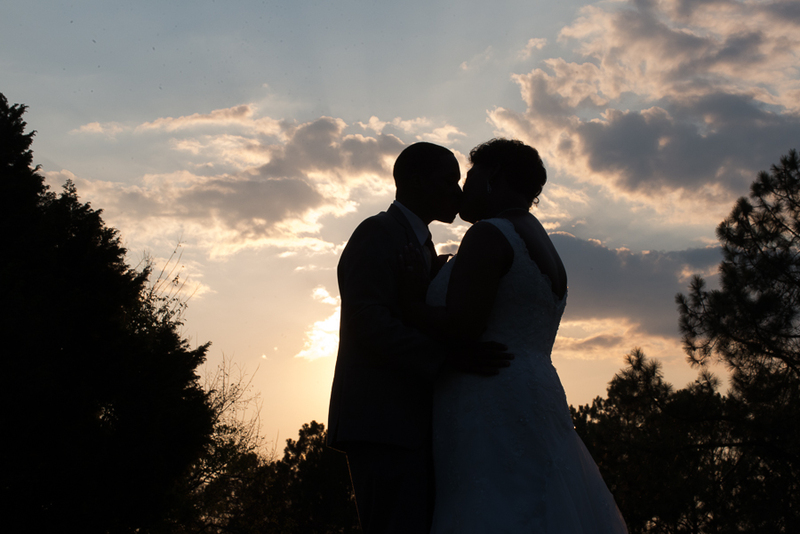 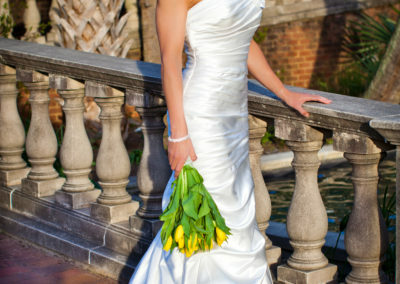 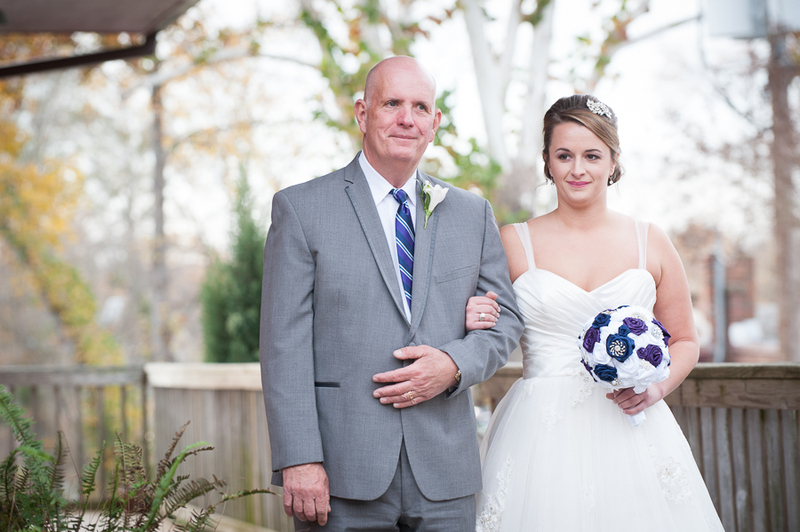 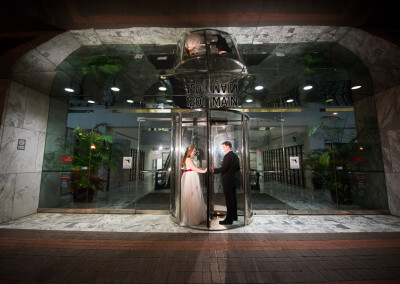 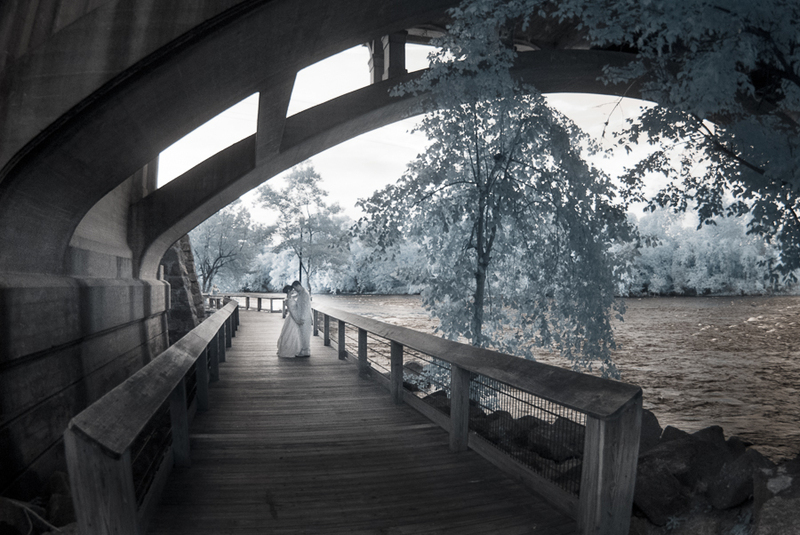 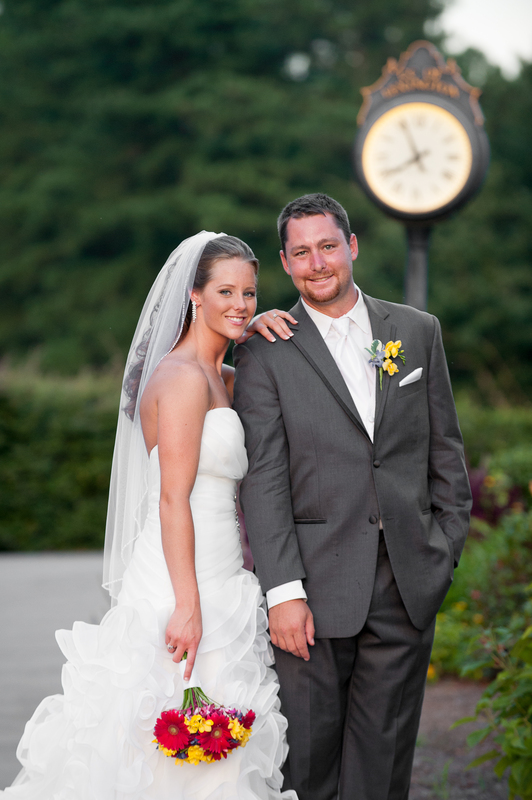 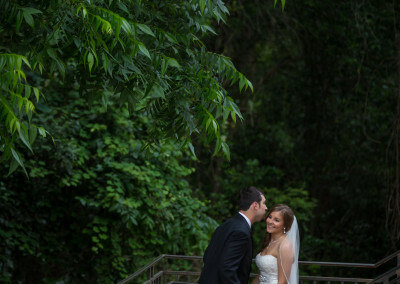 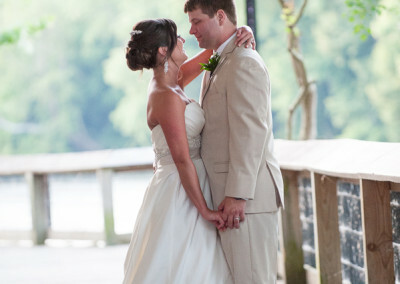 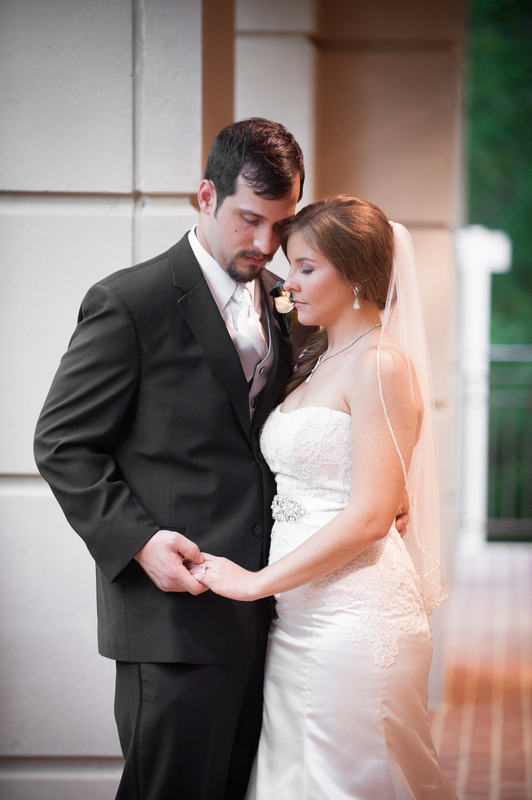 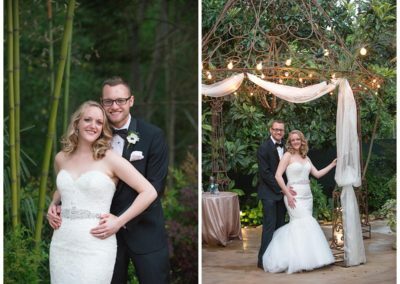 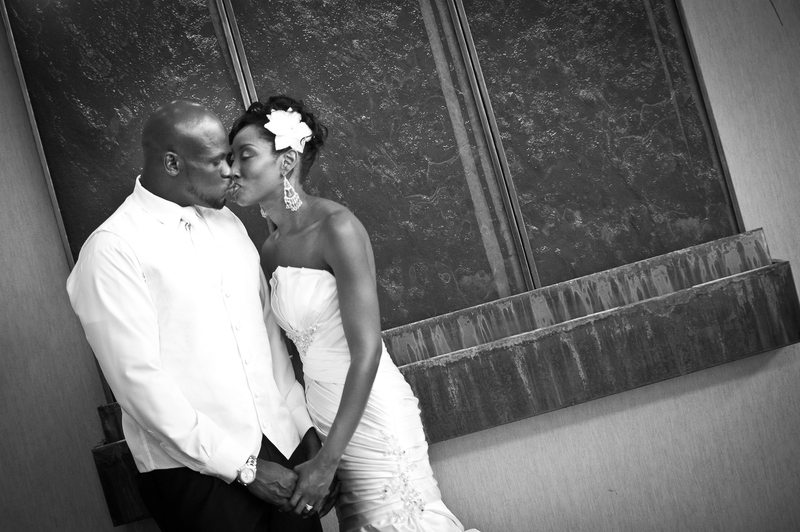 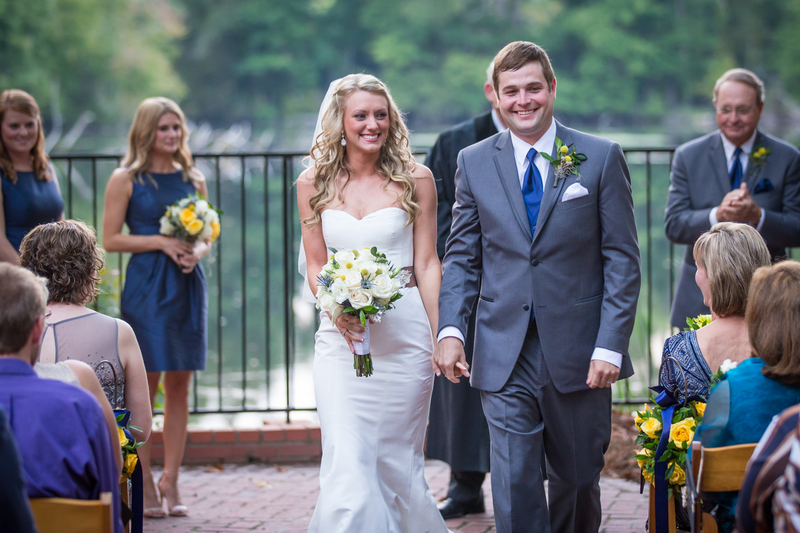 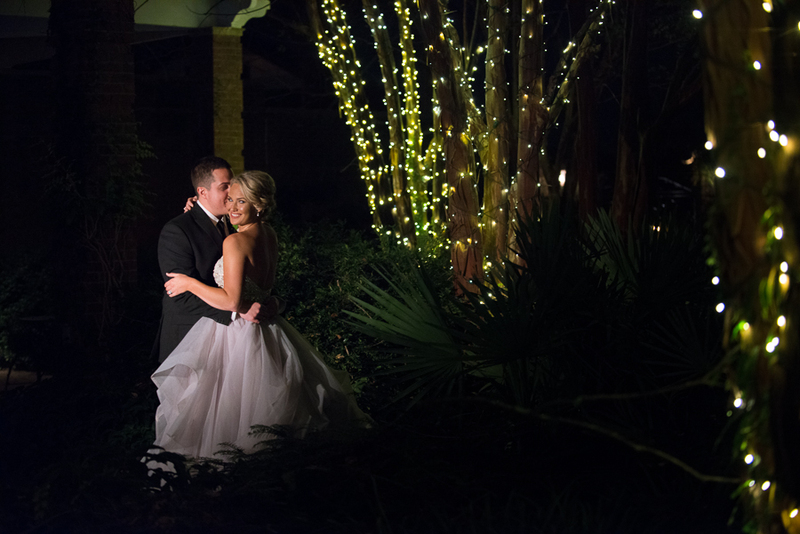 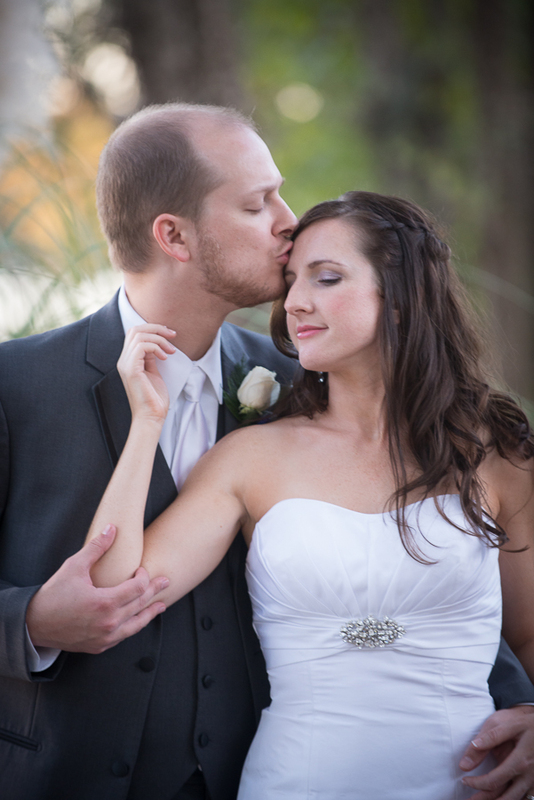 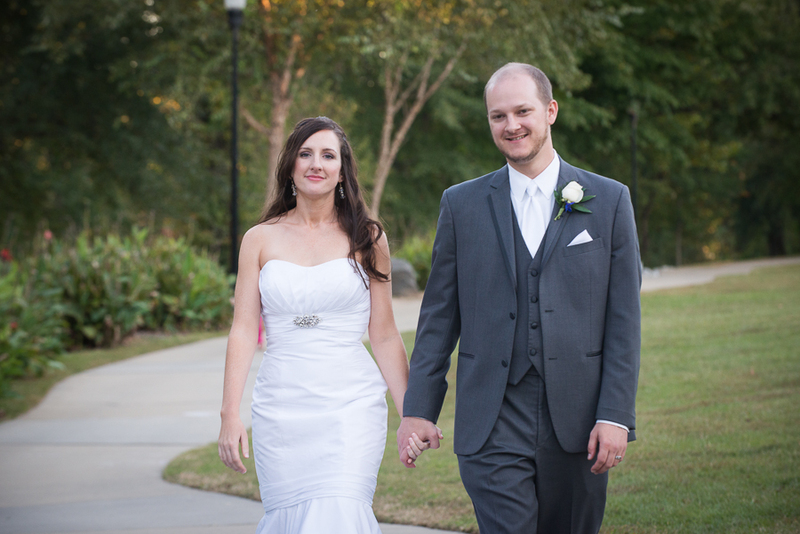 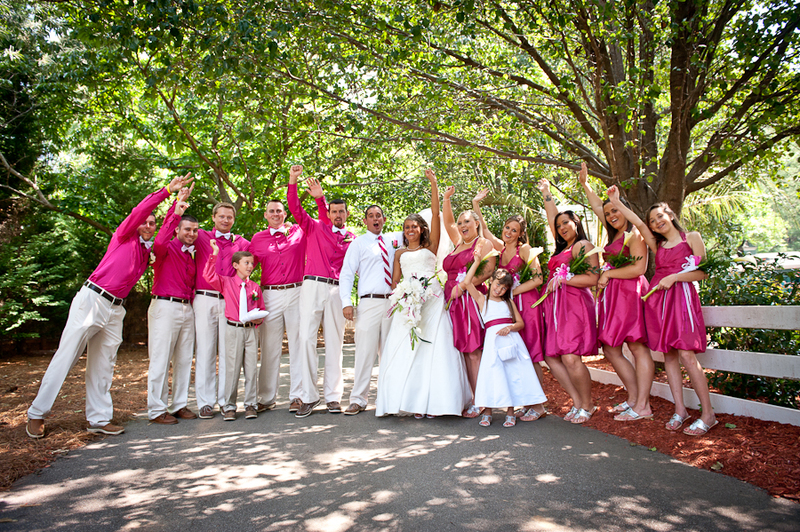 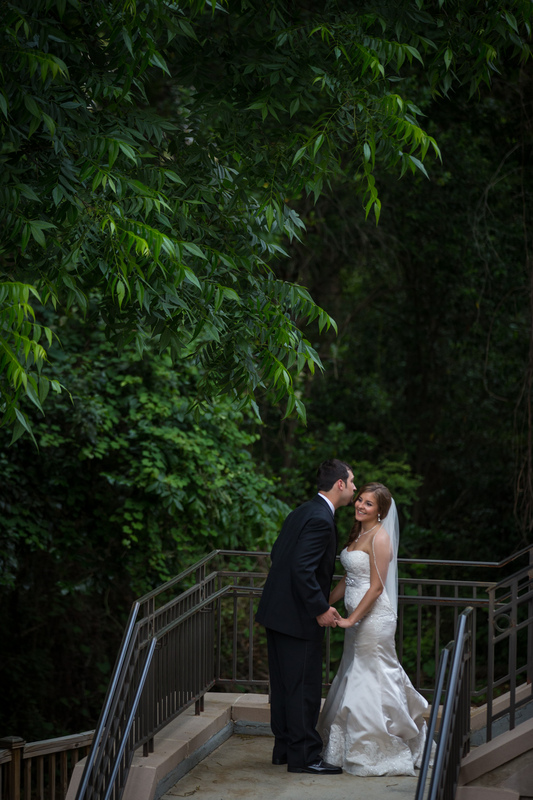 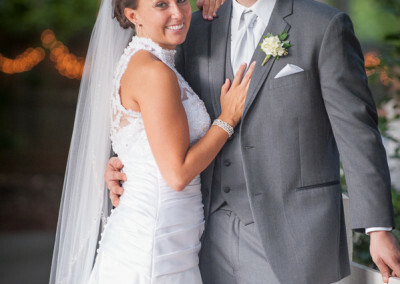 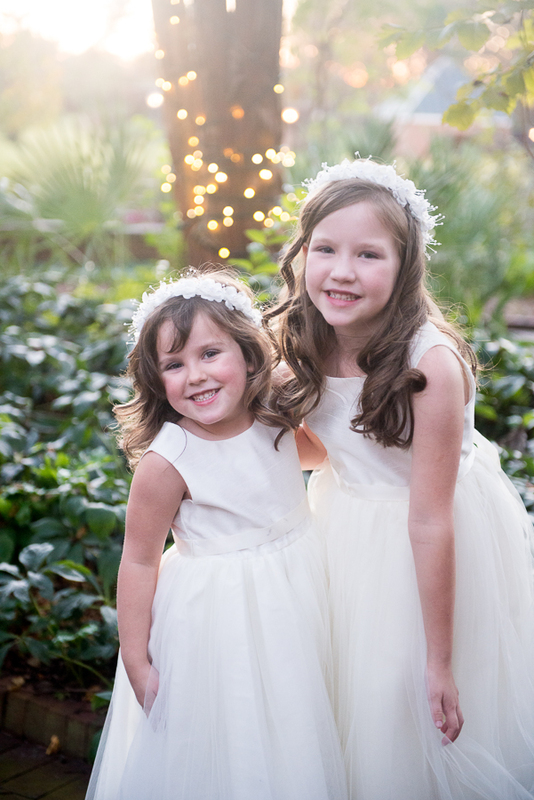 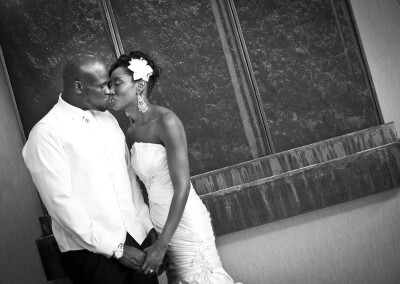 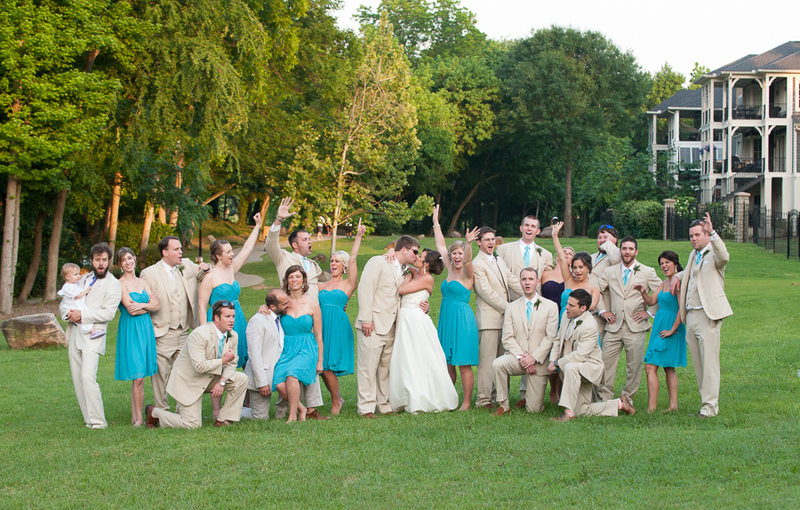 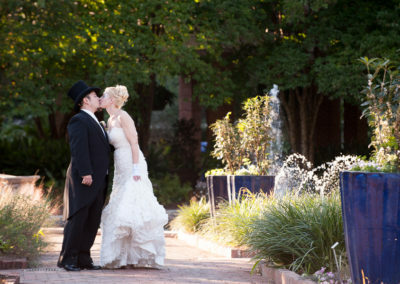 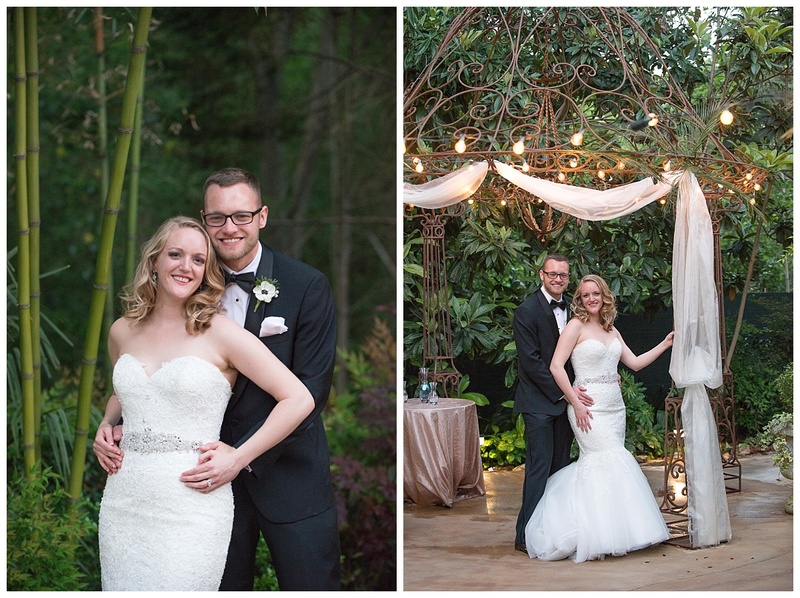 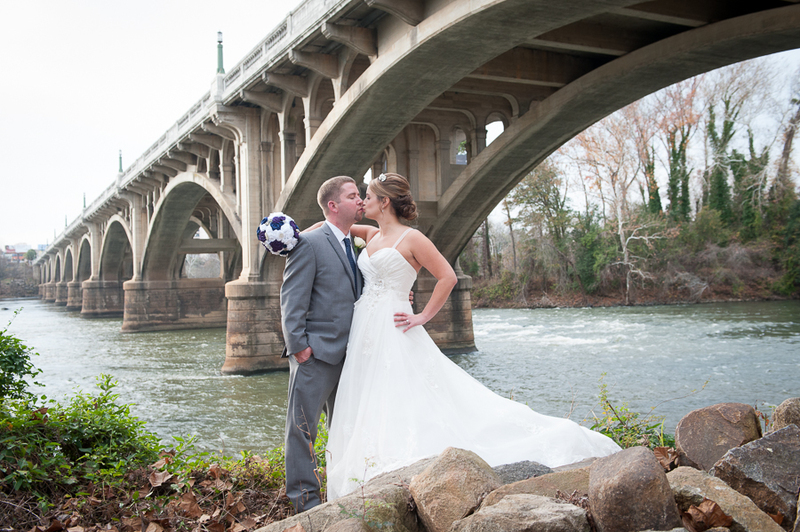 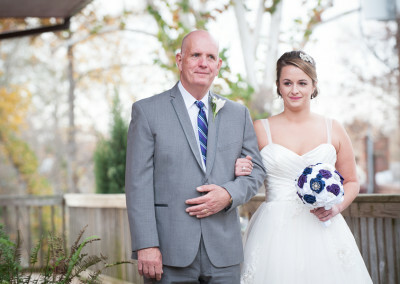 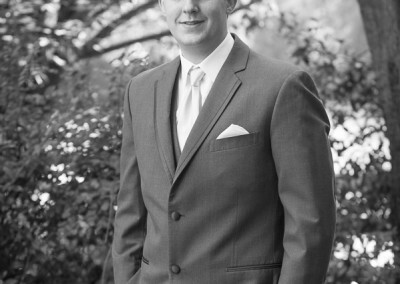 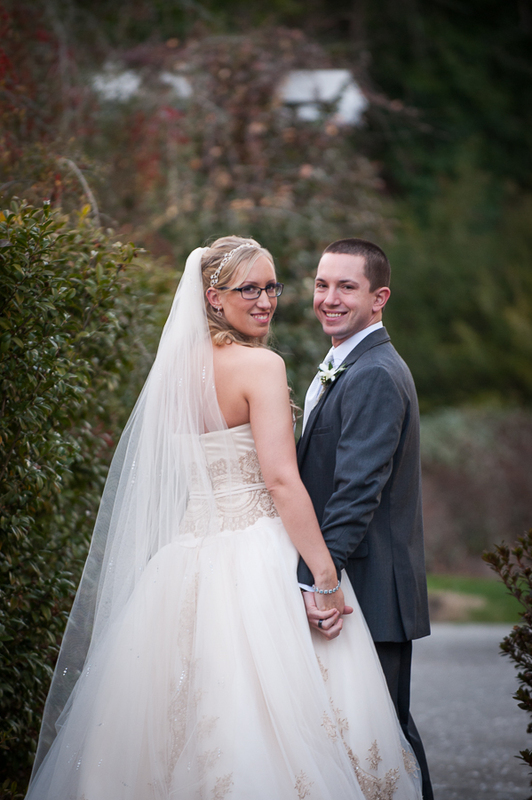 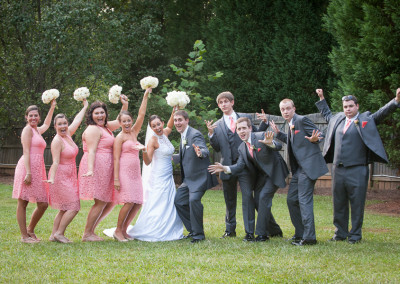 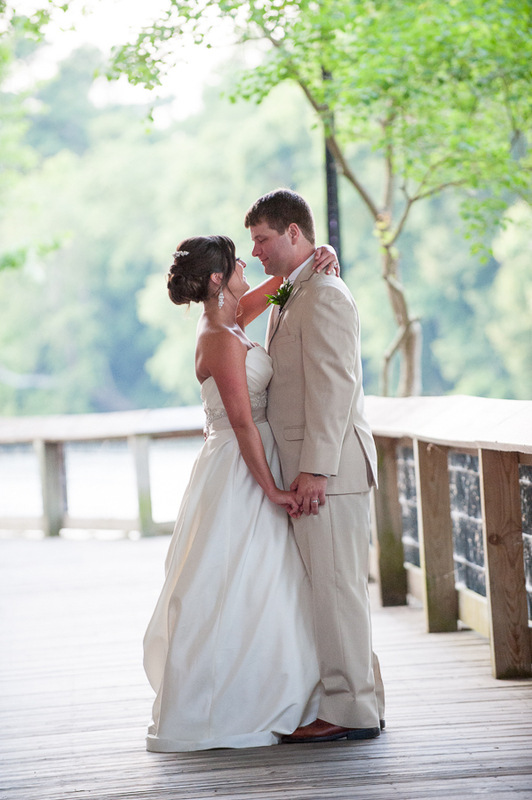 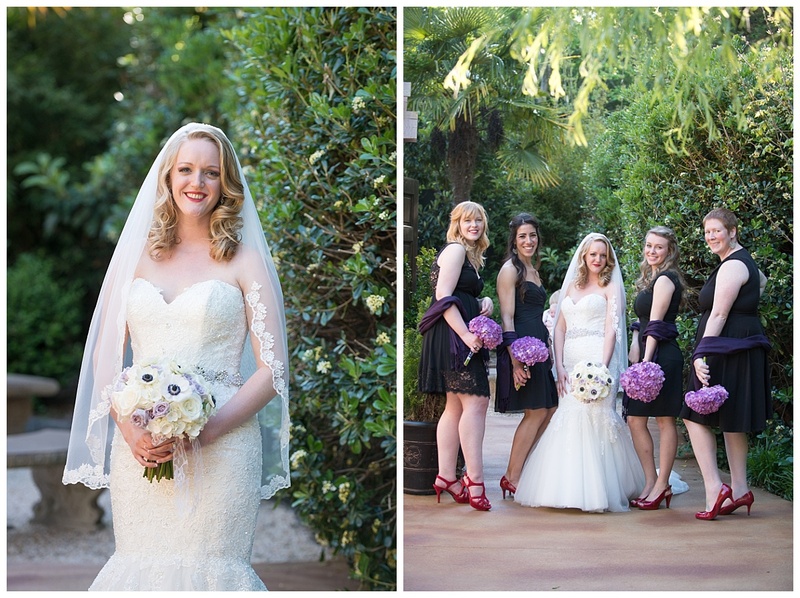 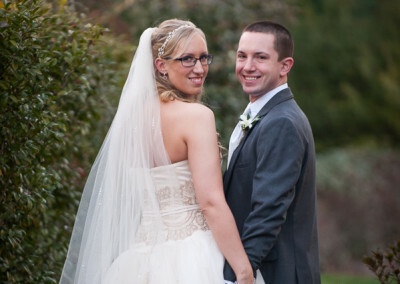 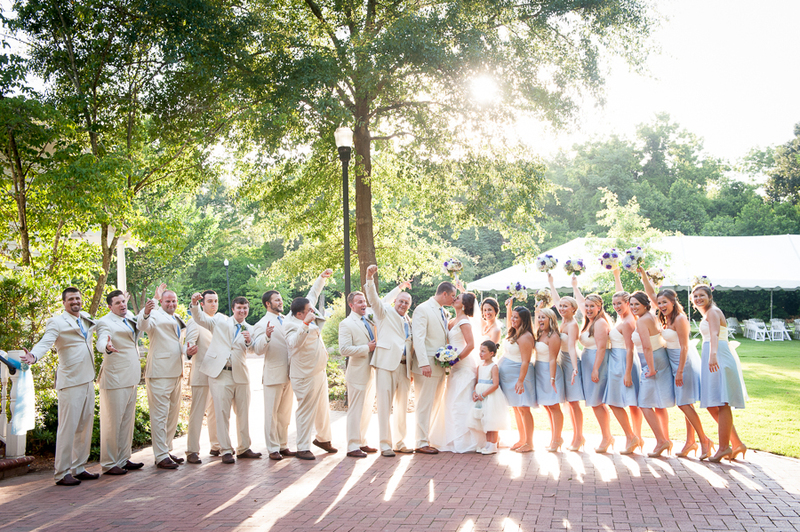 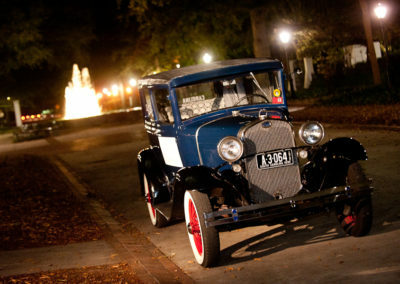 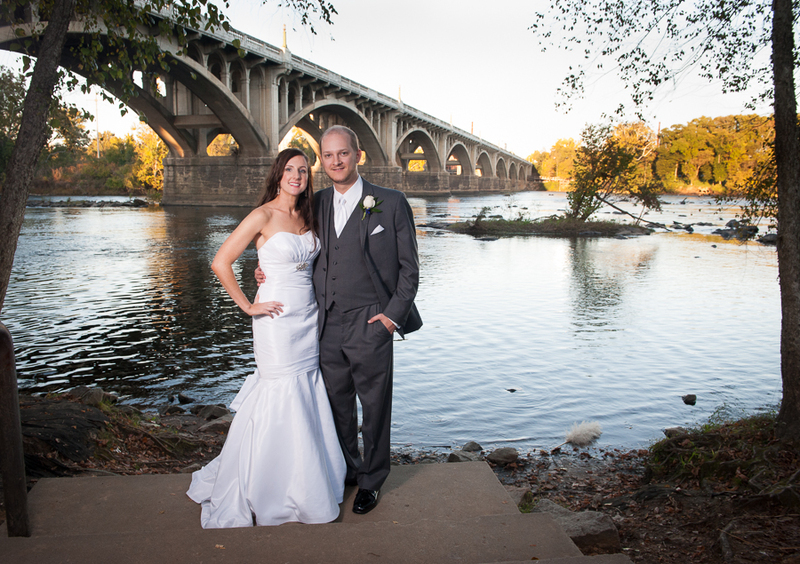 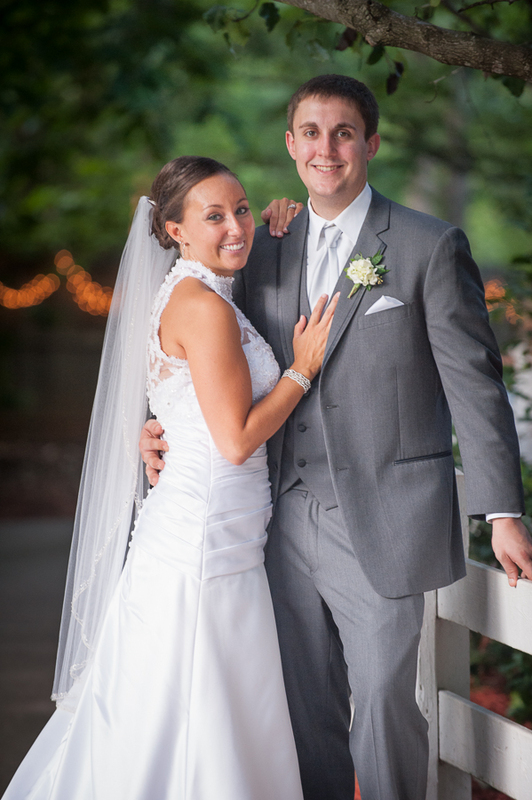 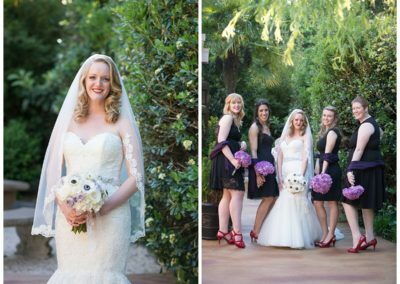 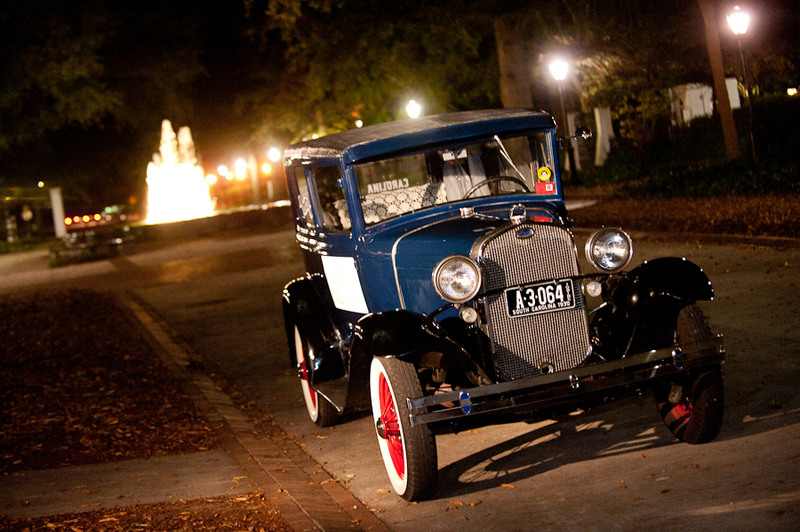 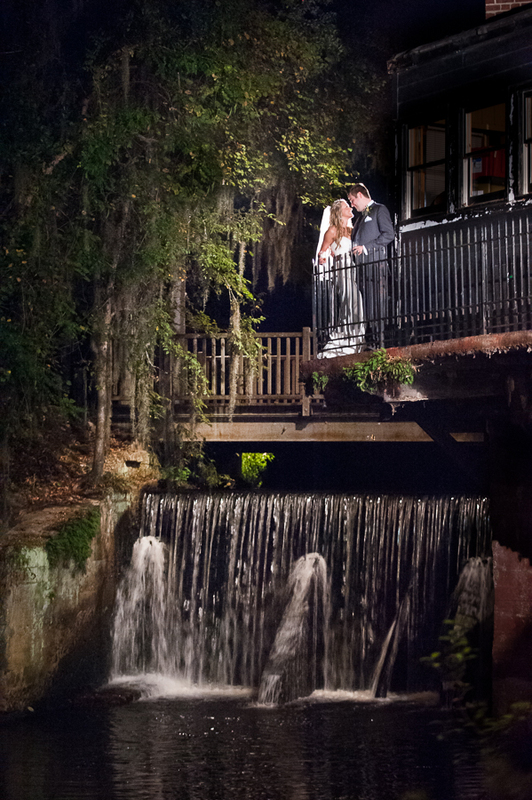 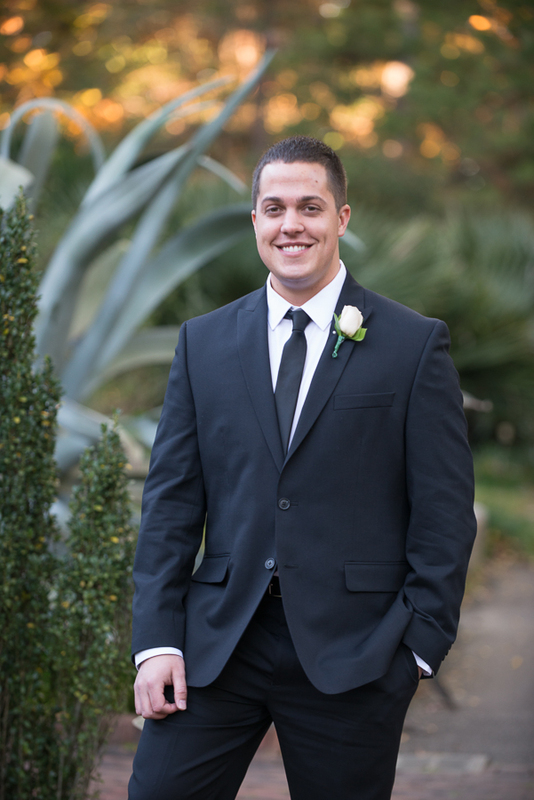 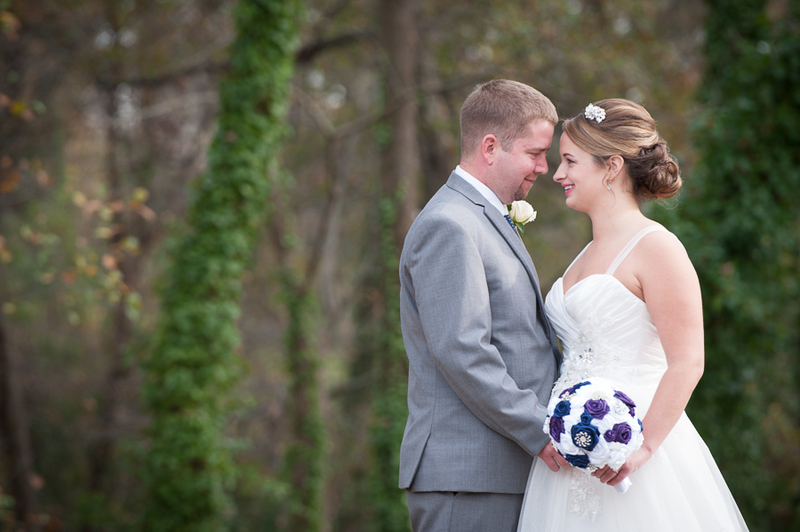 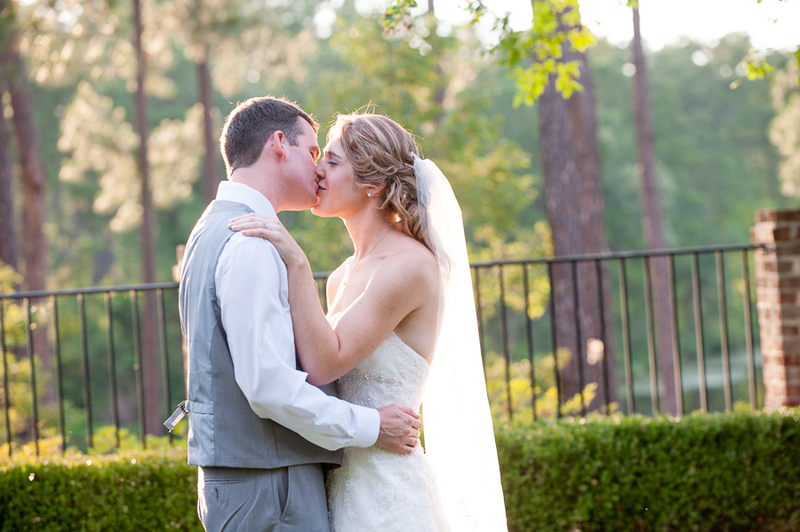 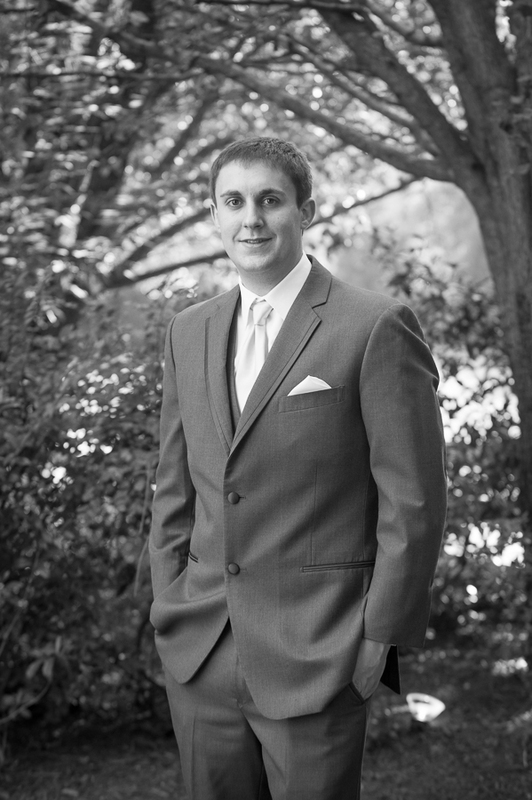 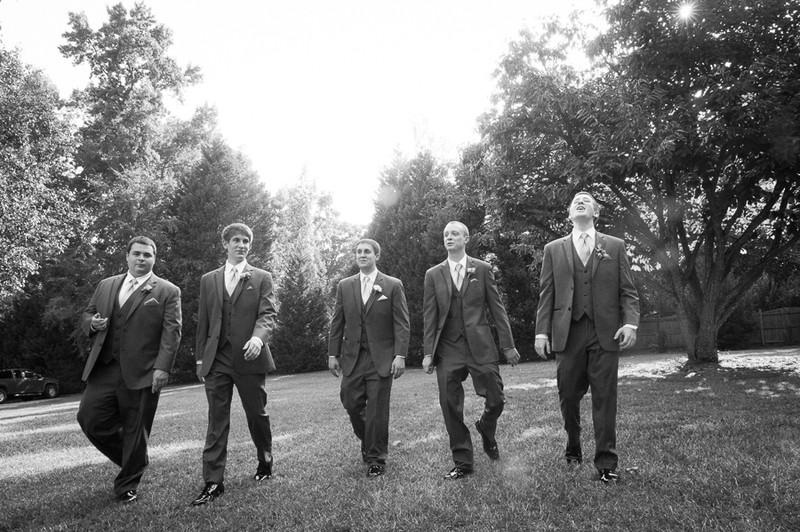 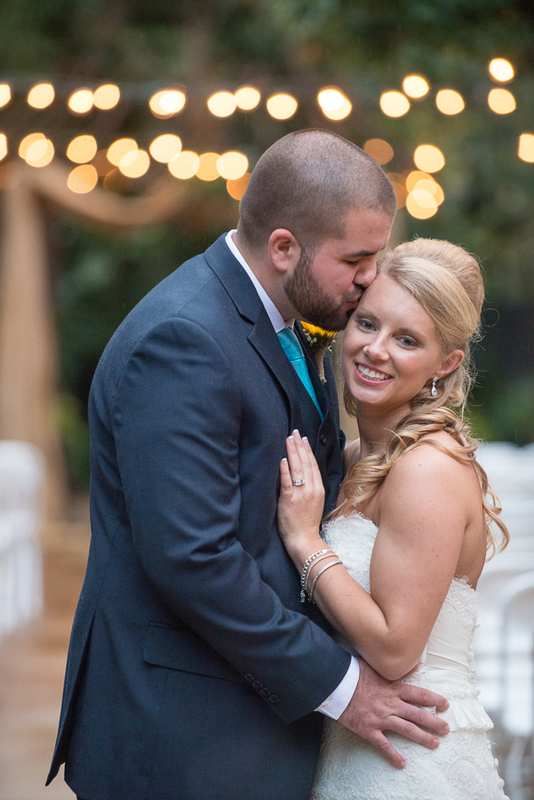 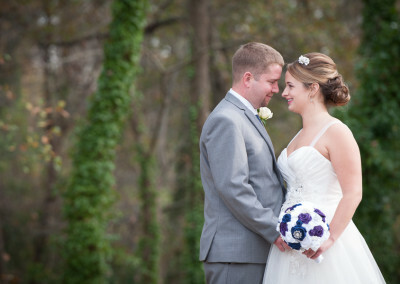 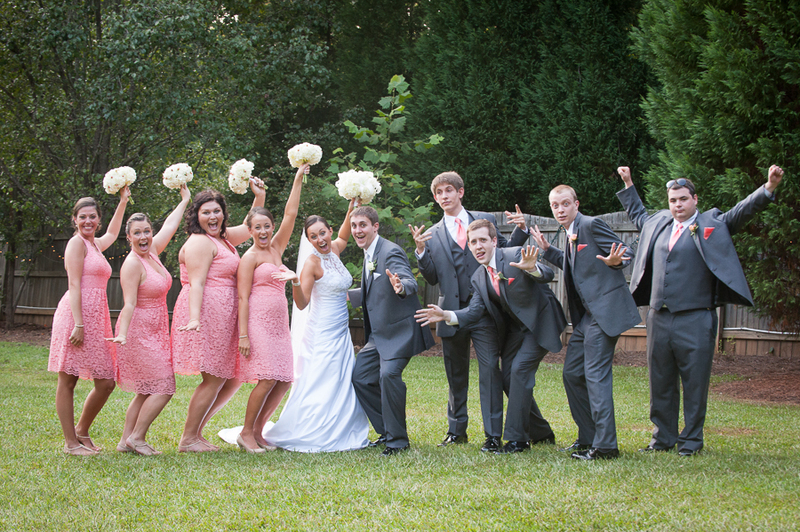 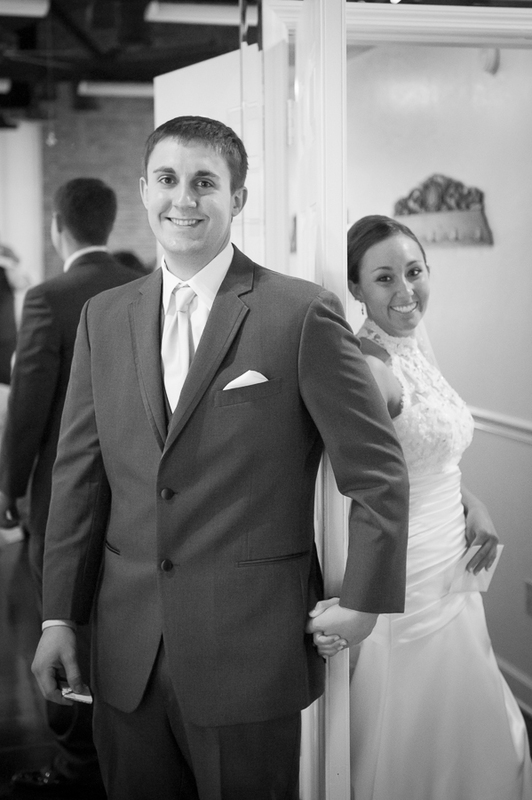 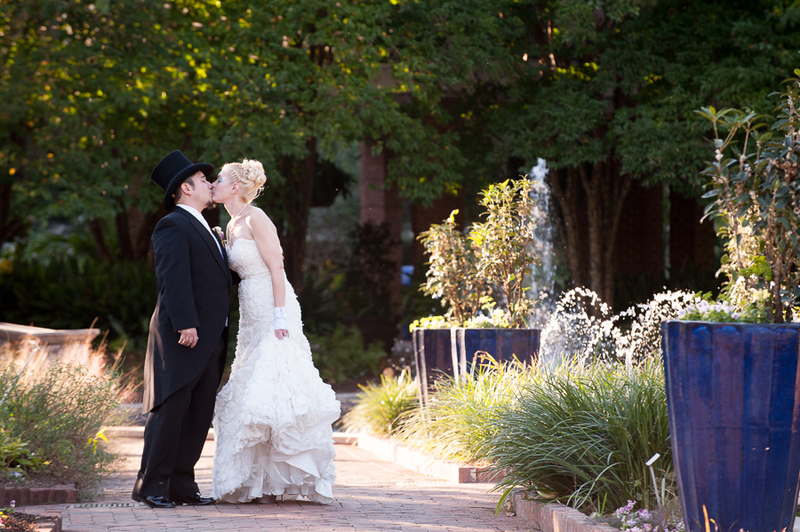 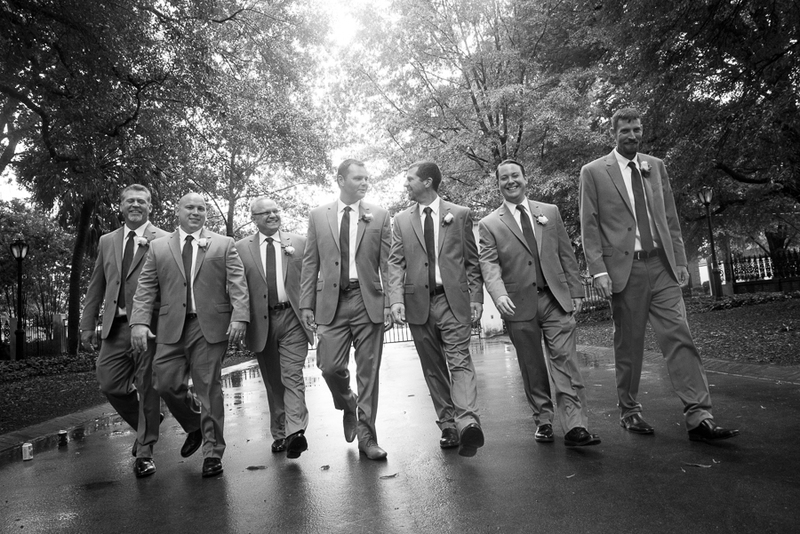 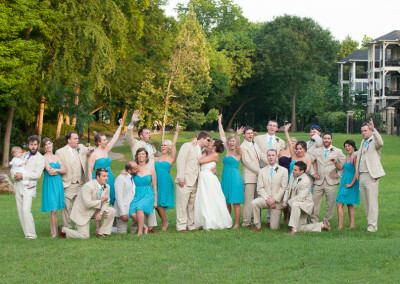 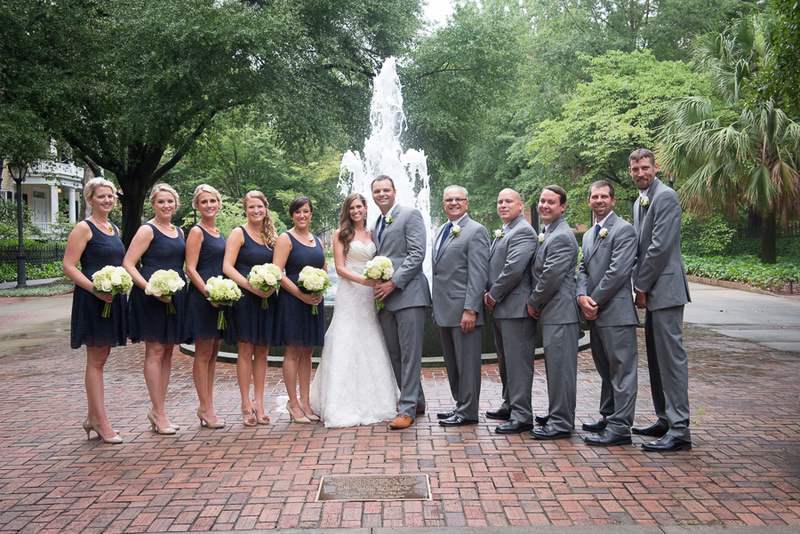 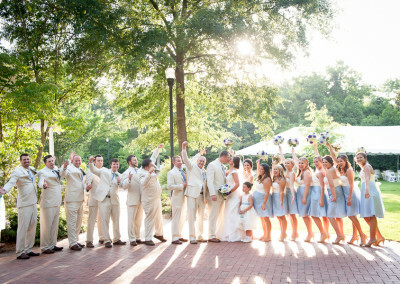 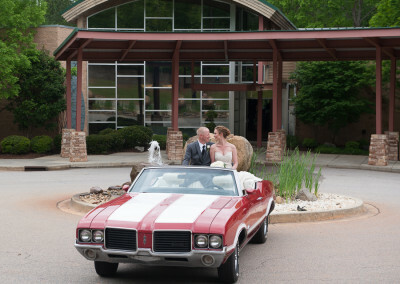 Riverbanks Zoo is a Columbia landmark but it’s also a great location for a wedding! 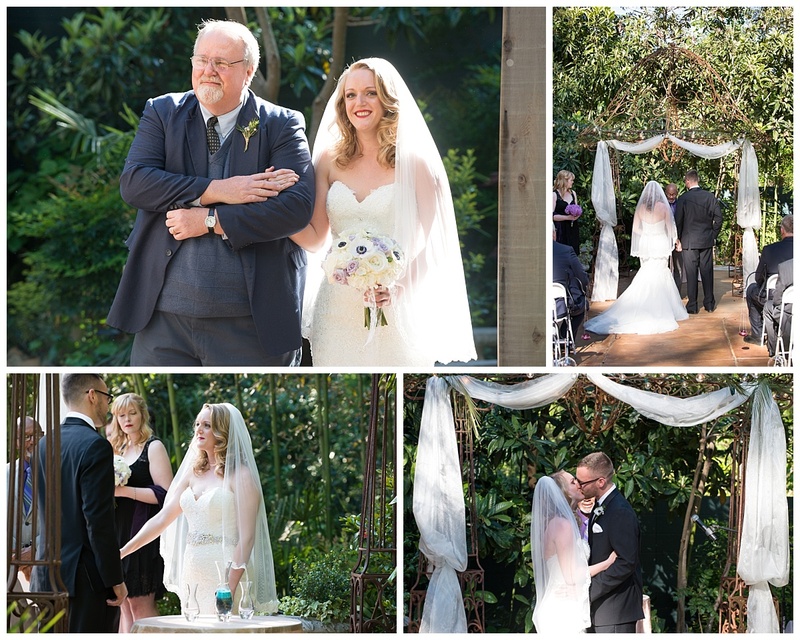 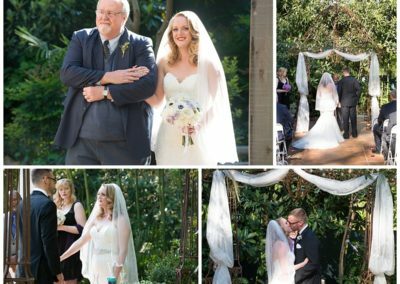 The lush fauna on the Botanical Gardens side makes a beautiful backdrop for a wedding ceremony and they have lots of other areas to offer as well including the Ndoki Lodge, the Birdhouse and more! This park is located in Irmo along the Saluda River. 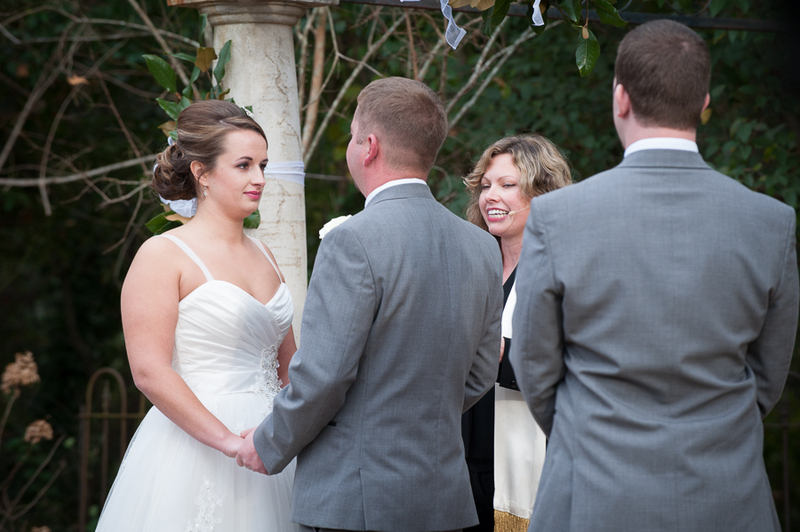 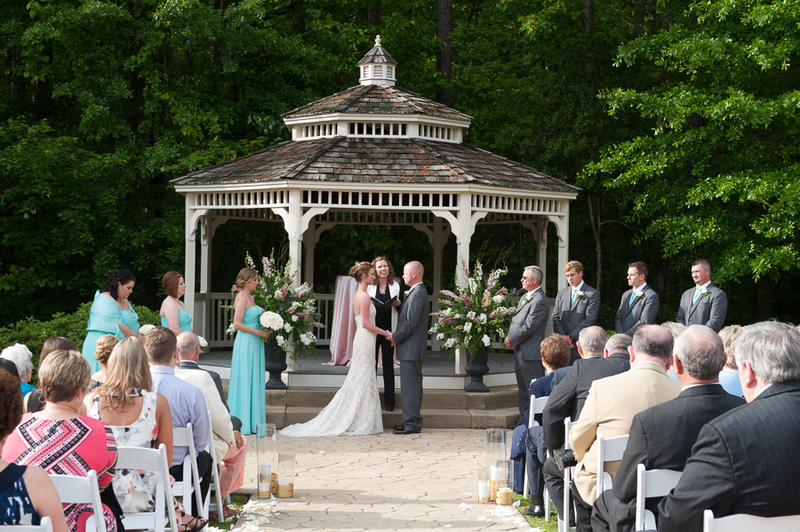 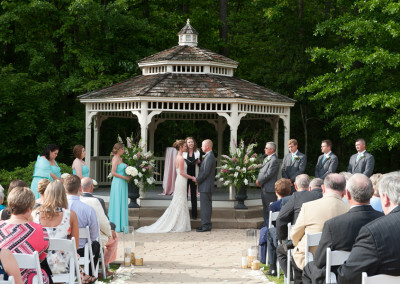 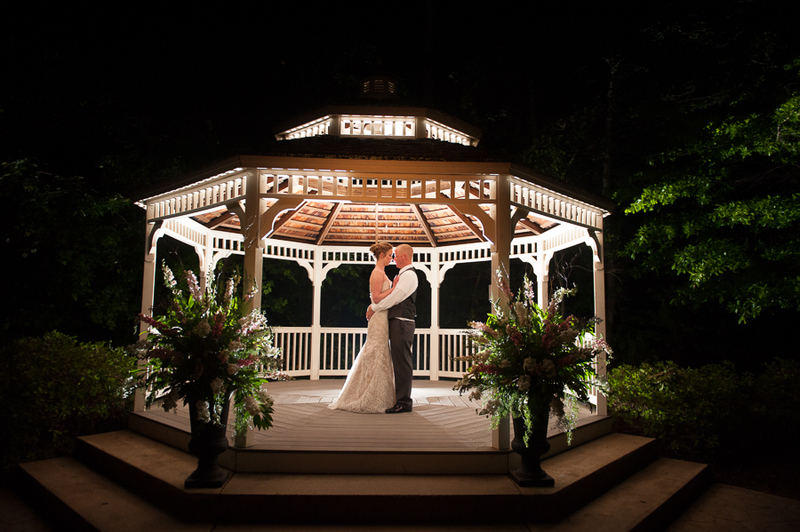 The gazebo makes a great location for outdoor ceremonies. 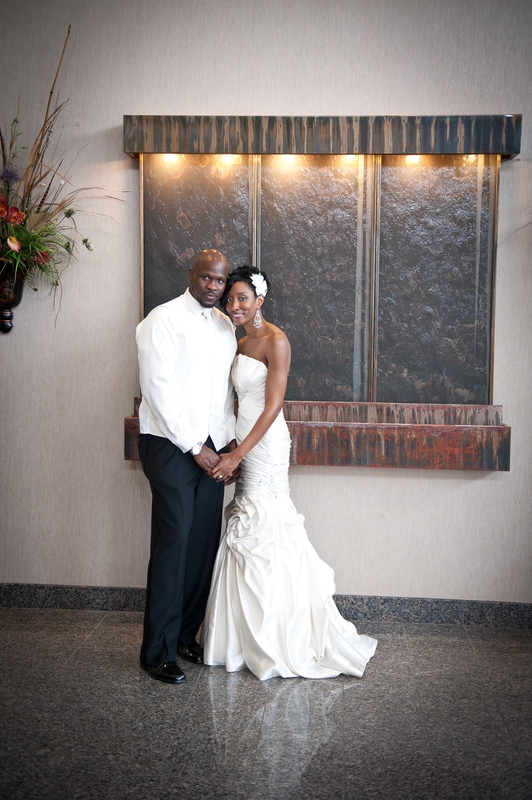 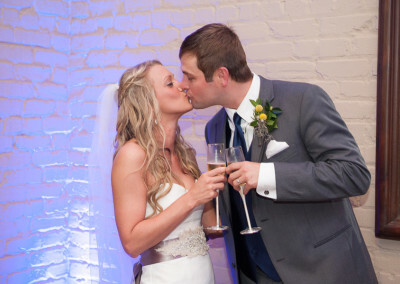 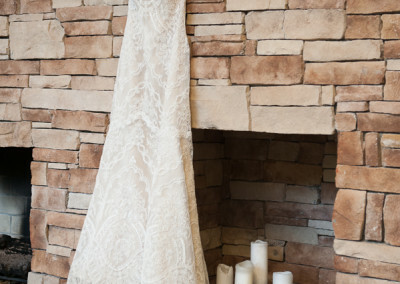 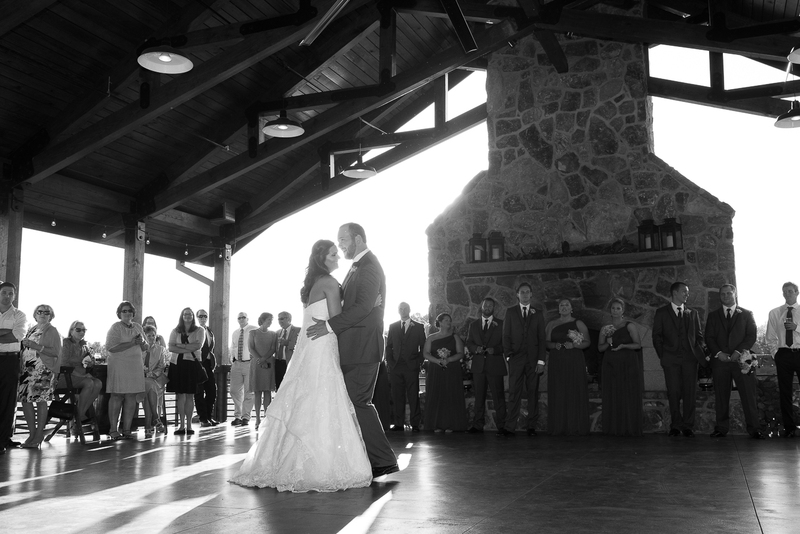 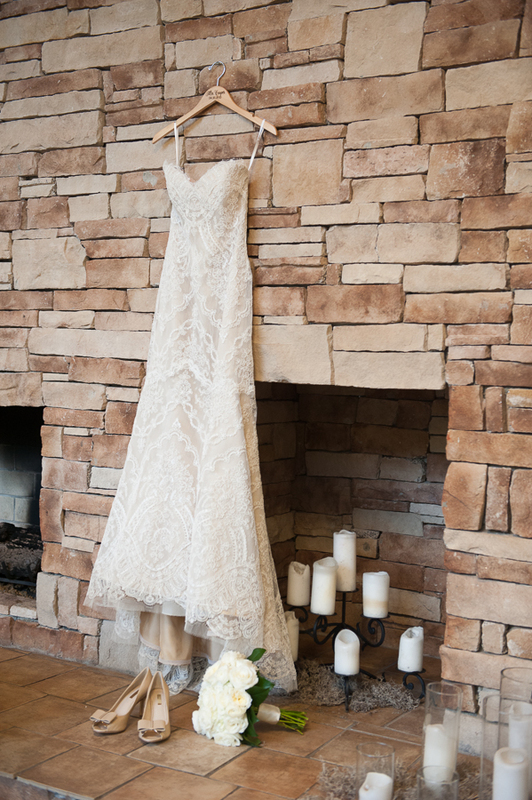 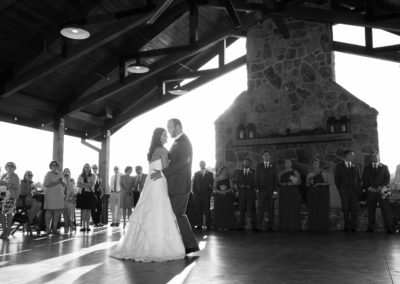 The stone fireplace is the focal point of the indoor reception venue. 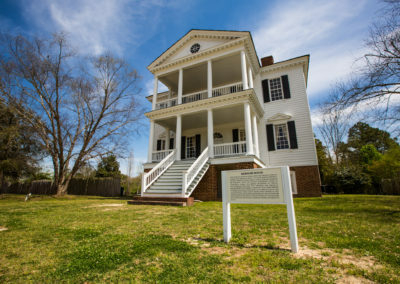 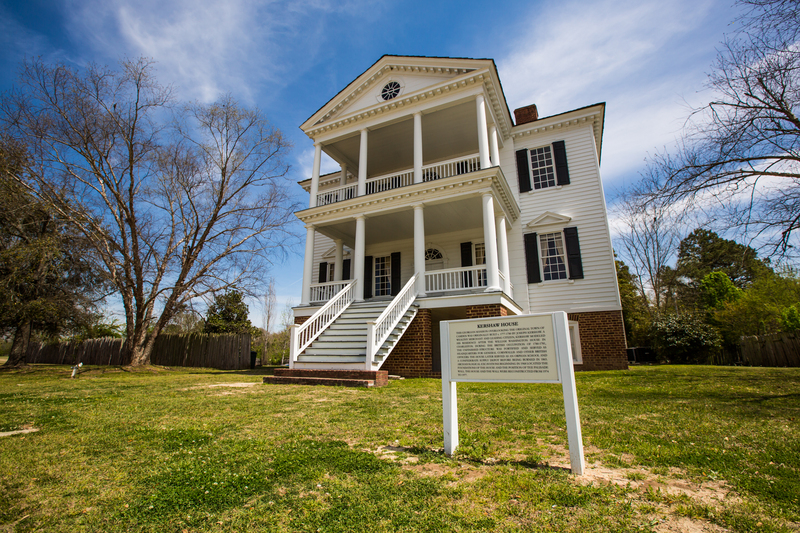 Owned by the Historic Columbia Society, this is believed to be the oldest house in Columbia. 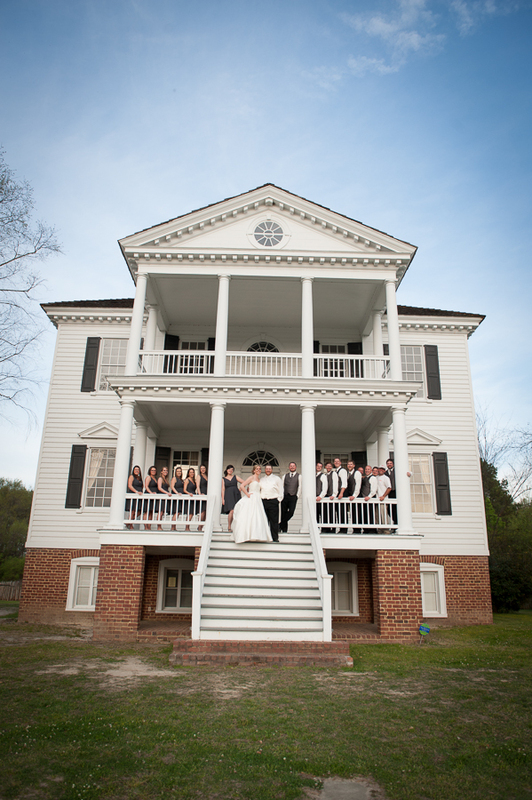 The house has tons of character with a Southern style porch, grand staircase, black and white checkered tile floor, giant mirrors, and other features. 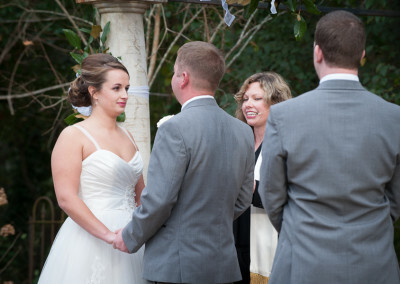 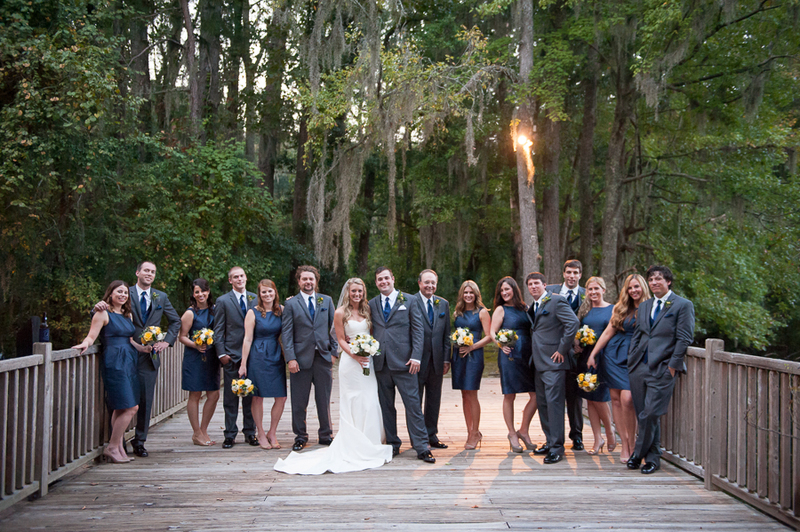 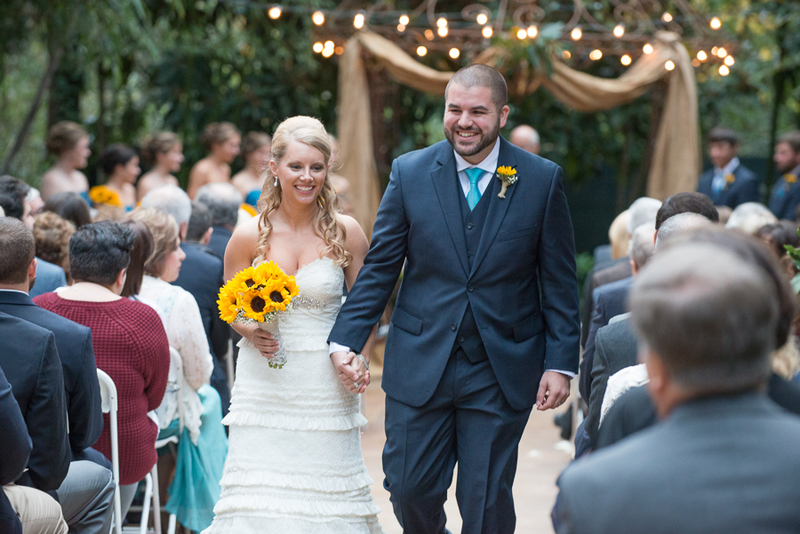 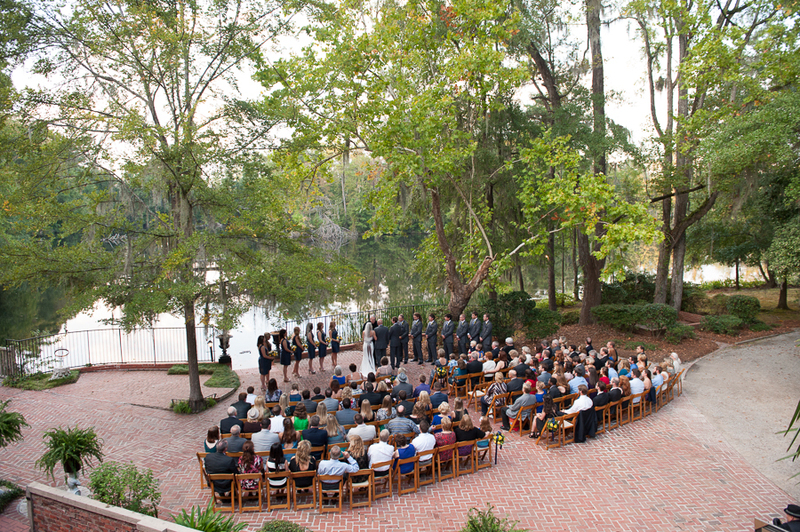 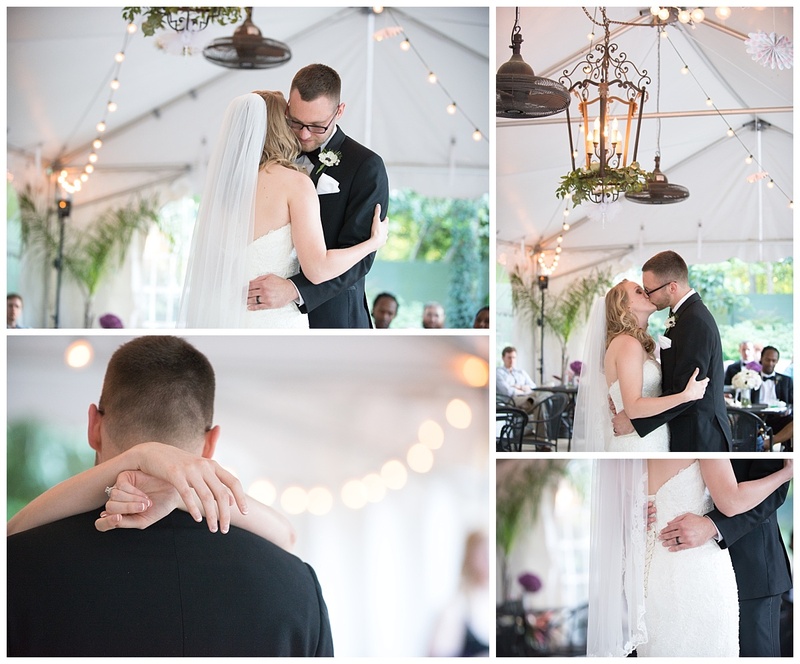 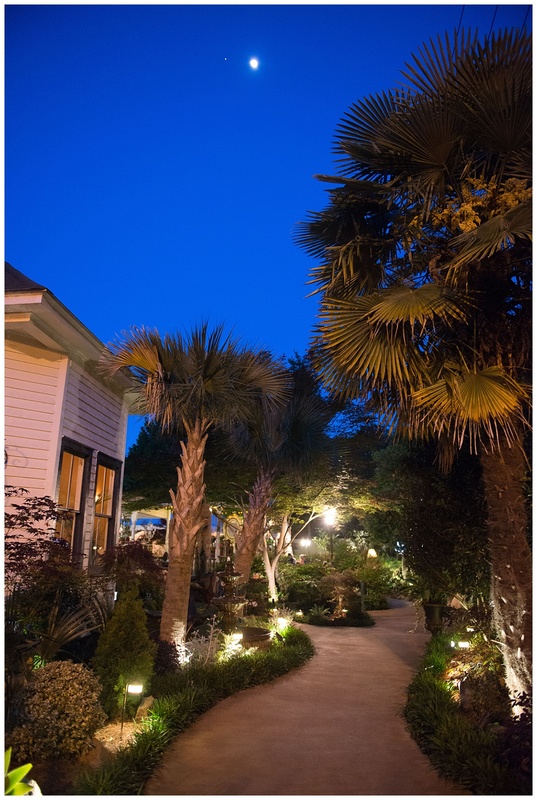 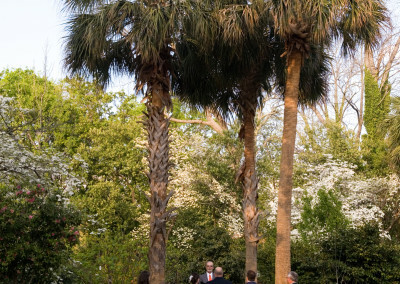 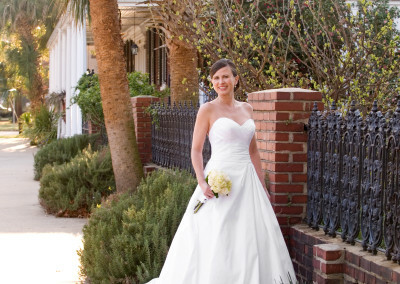 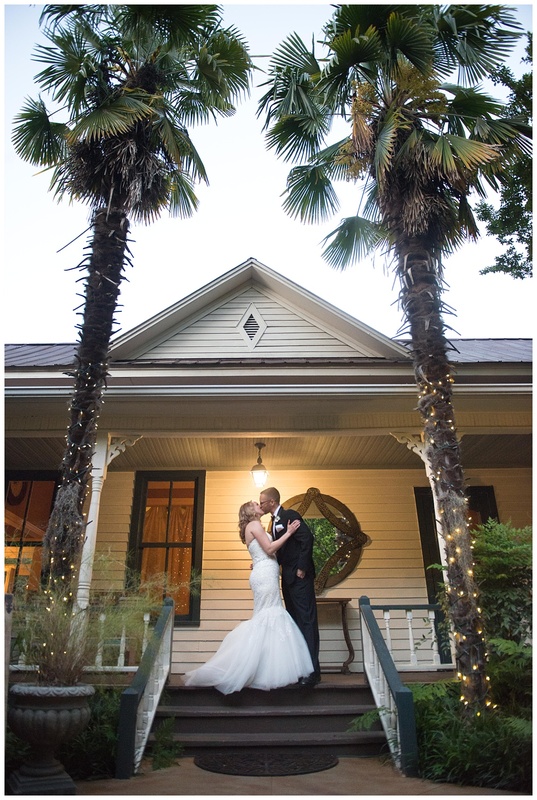 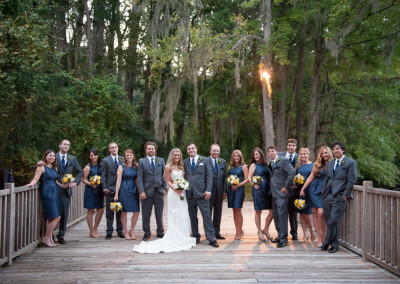 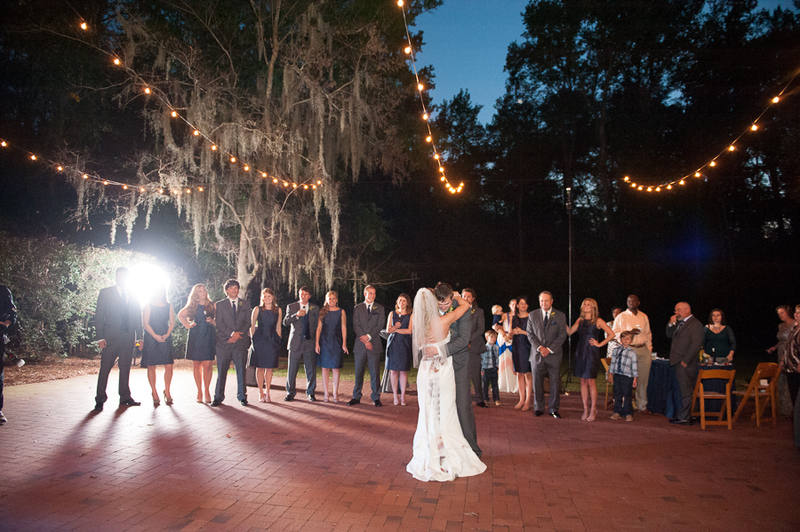 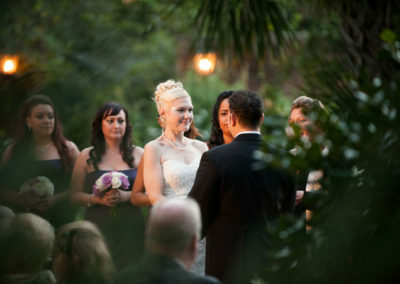 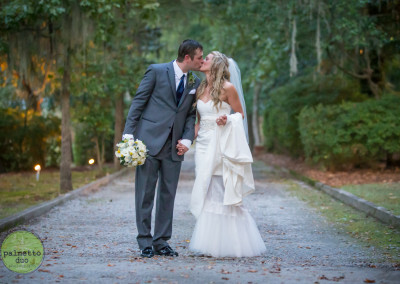 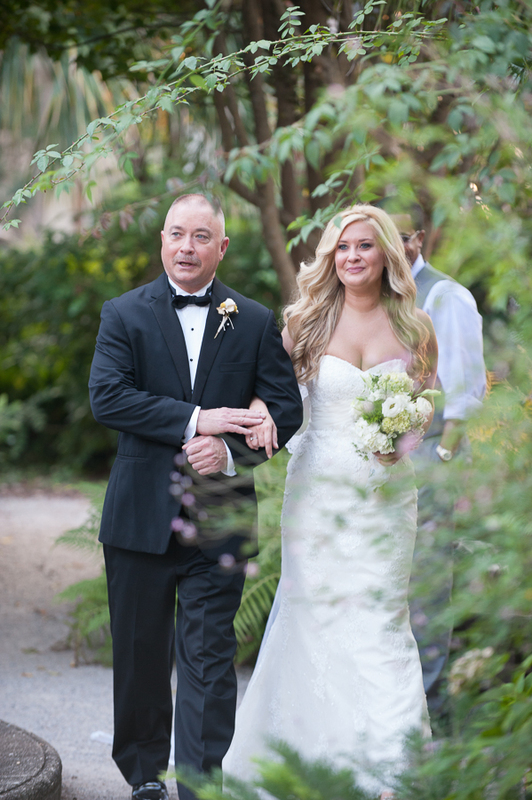 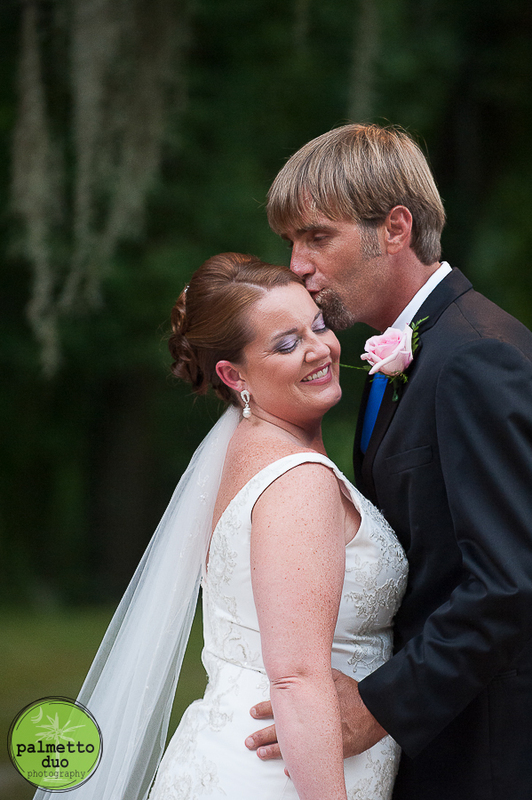 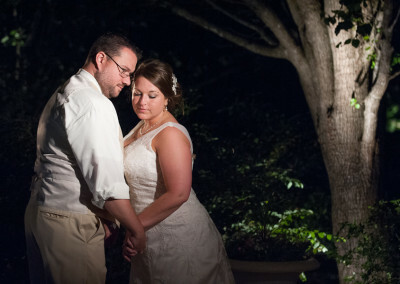 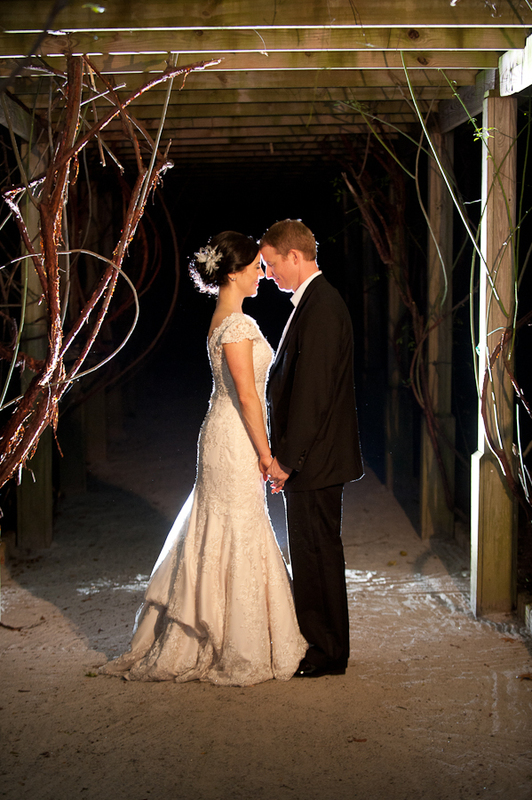 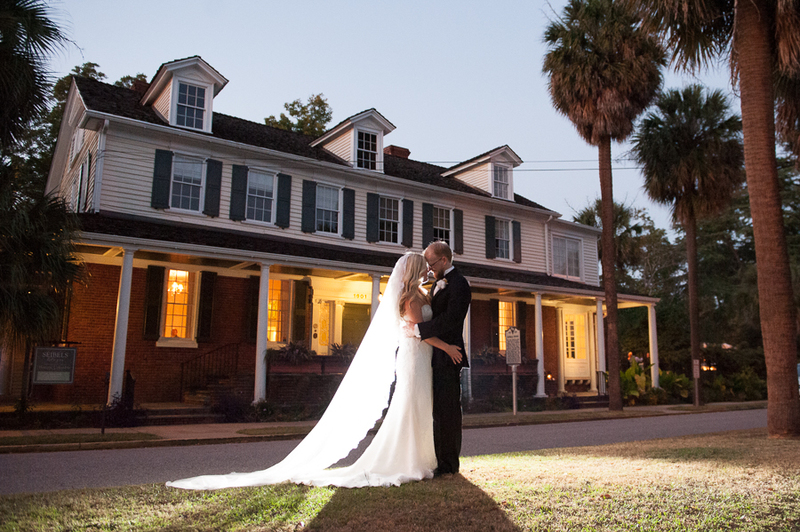 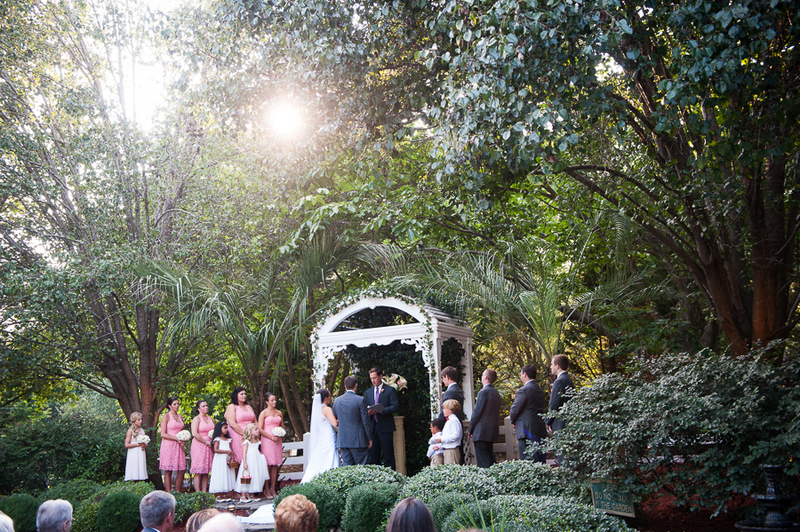 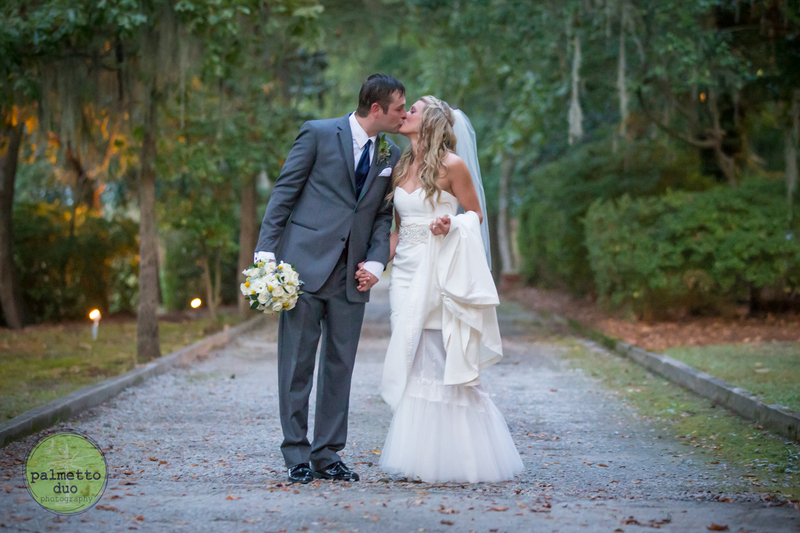 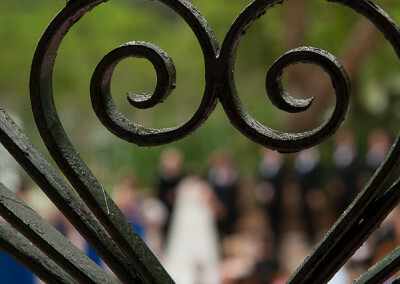 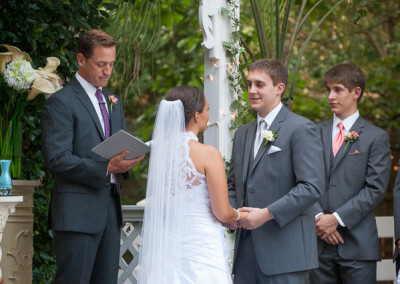 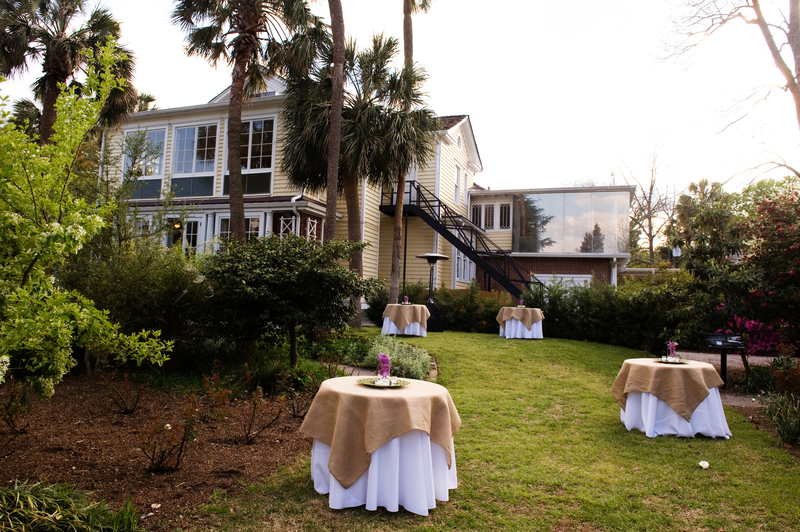 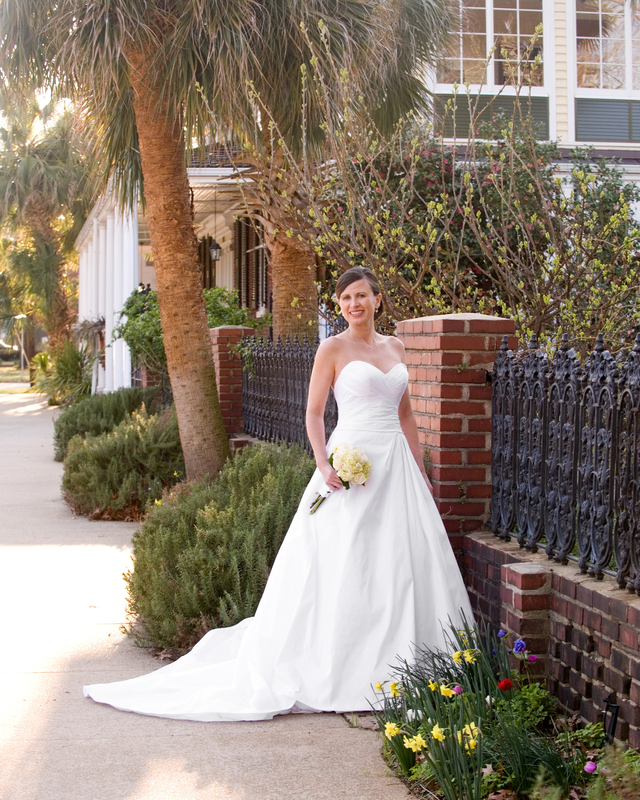 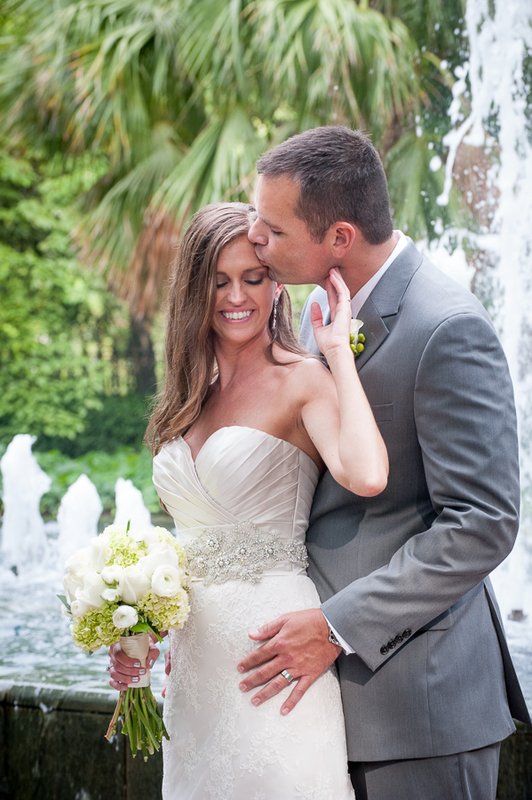 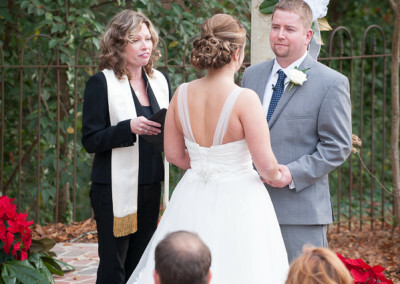 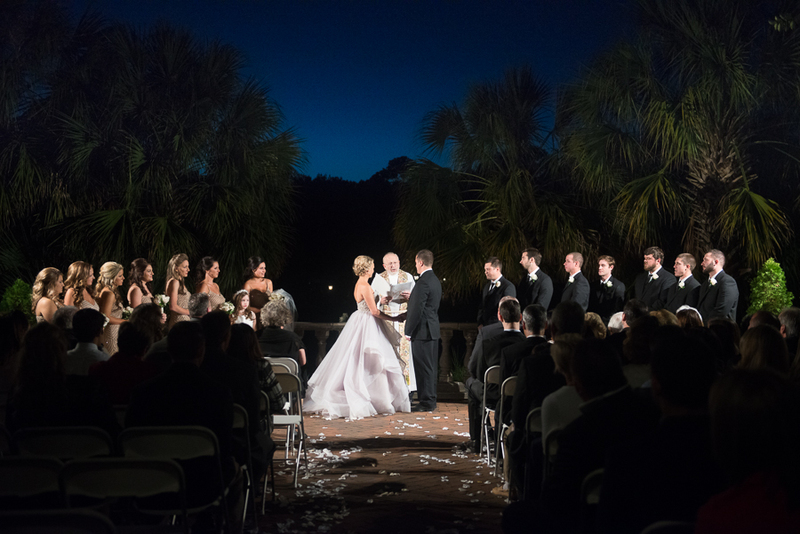 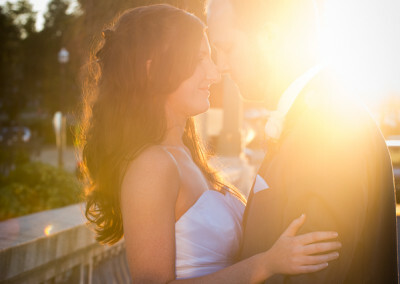 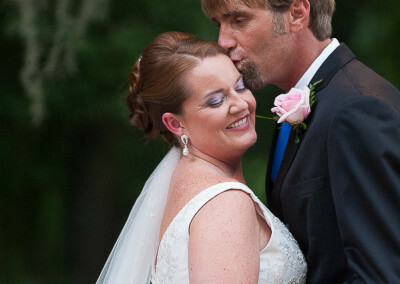 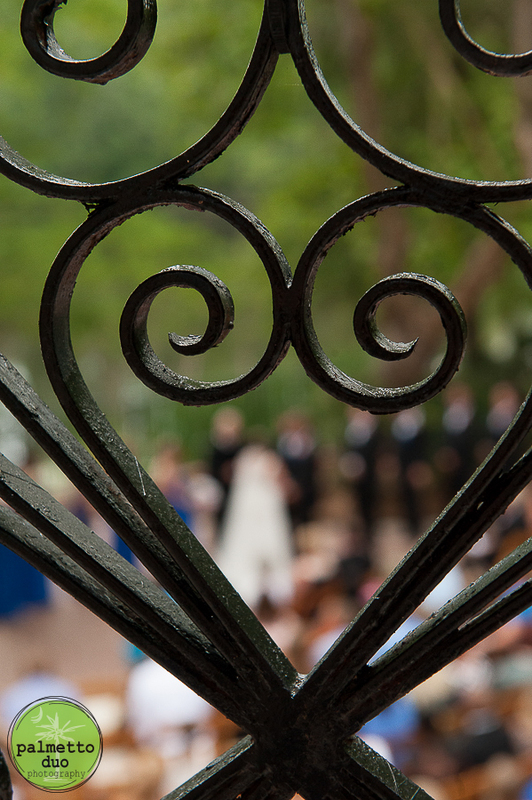 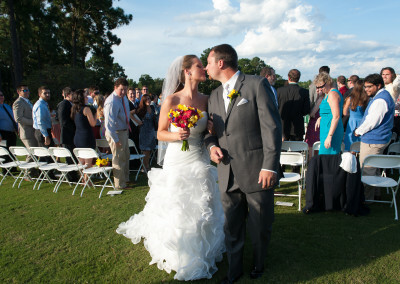 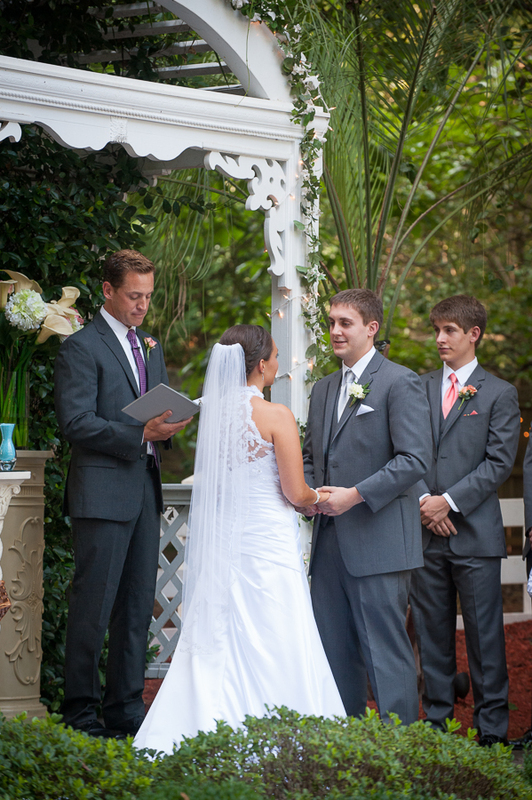 The best part about this venue is the garden area perfect for outdoor ceremonies underneath the Palmetto trees. 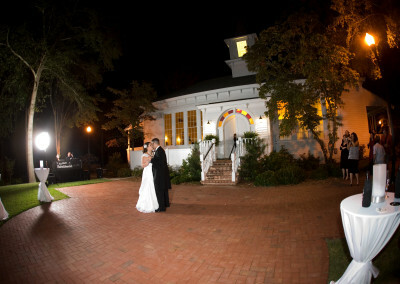 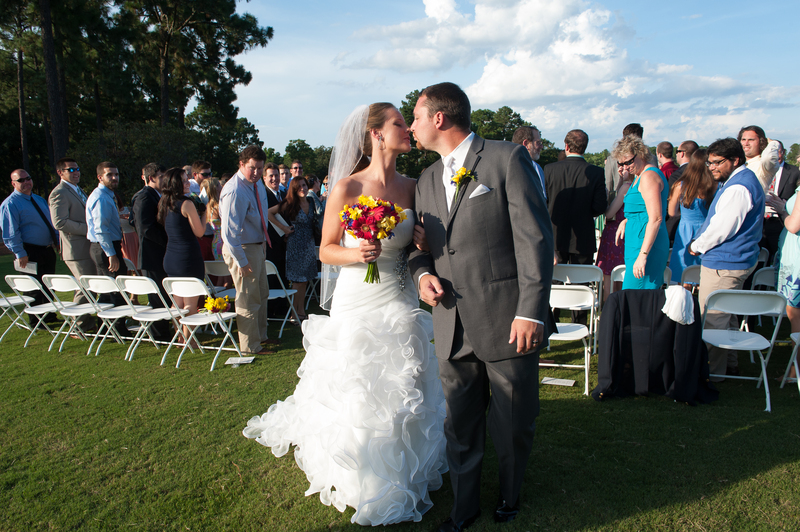 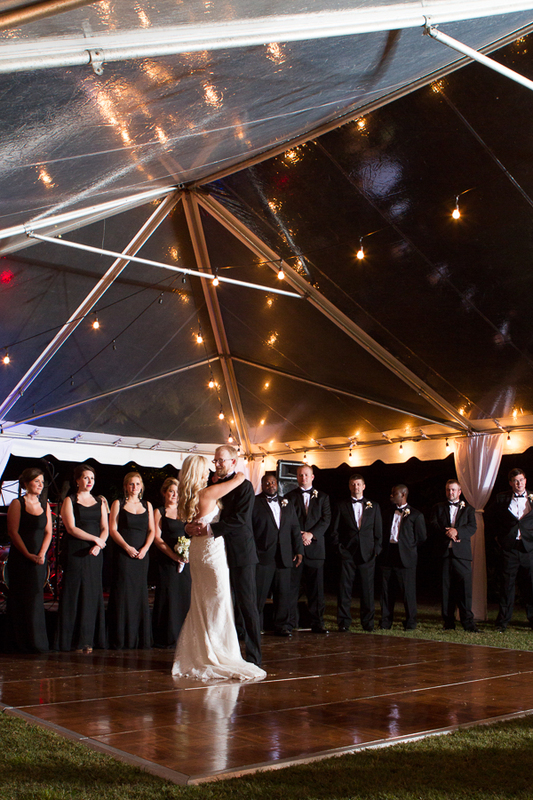 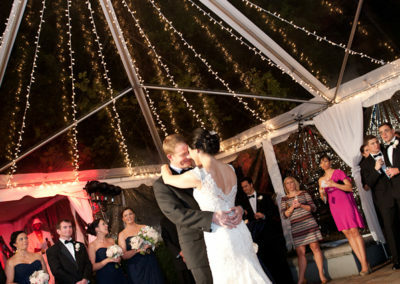 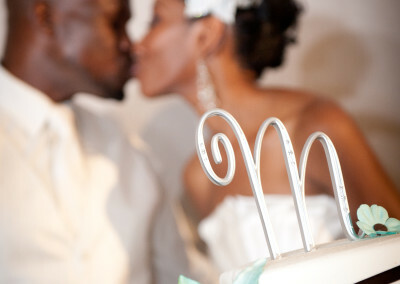 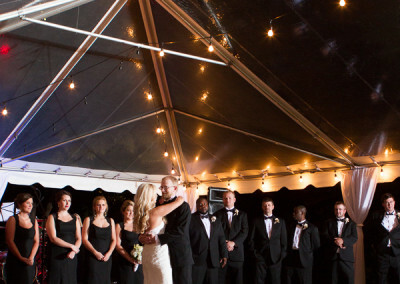 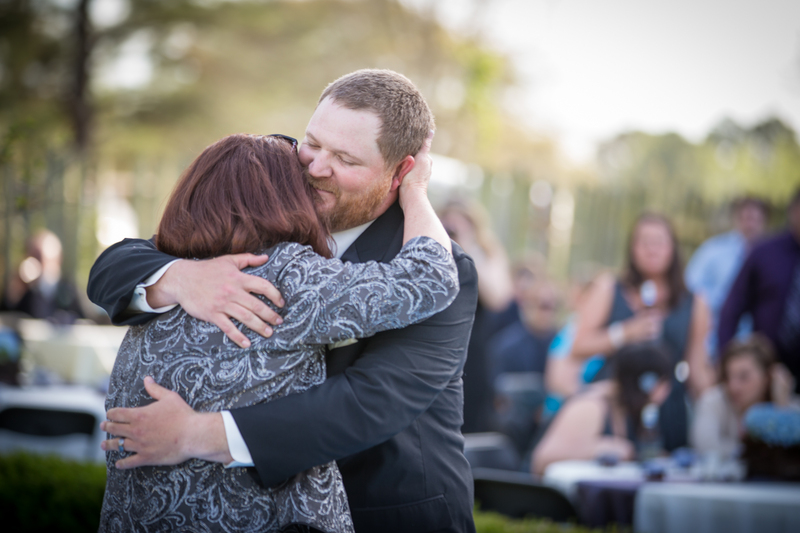 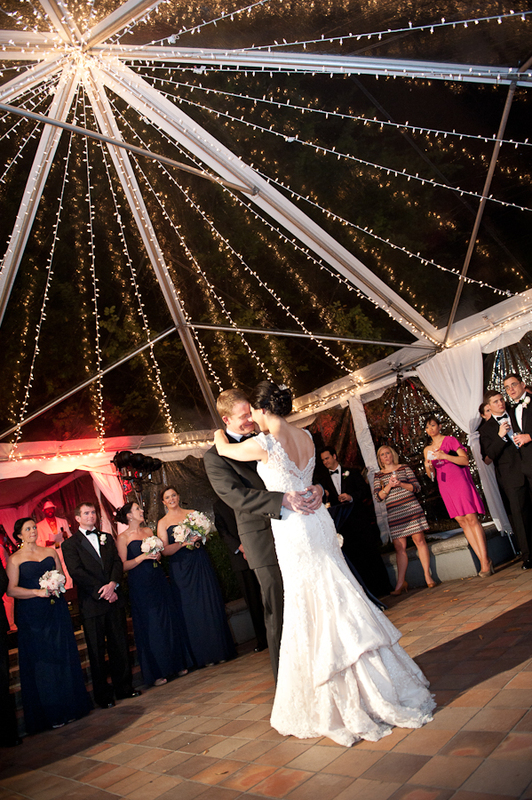 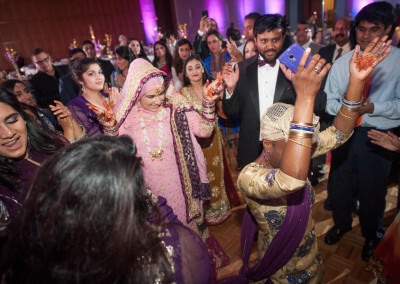 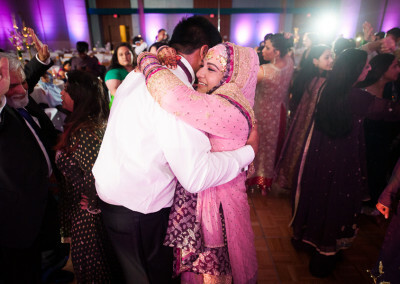 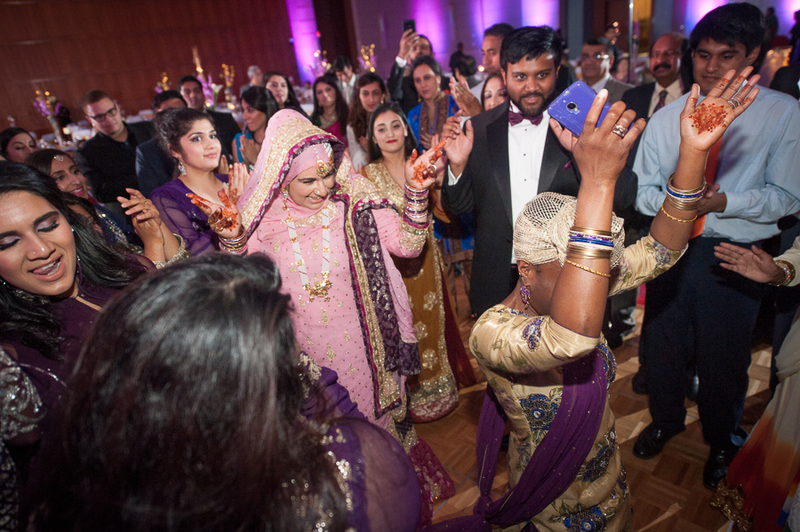 The lawn area can accommodate a large tent making this venue versatile enough to handle small or large wedding events. 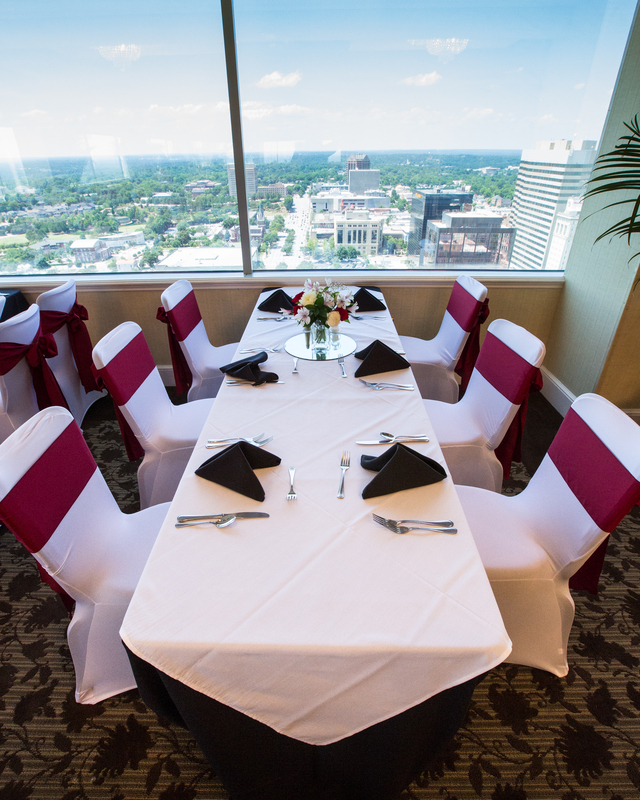 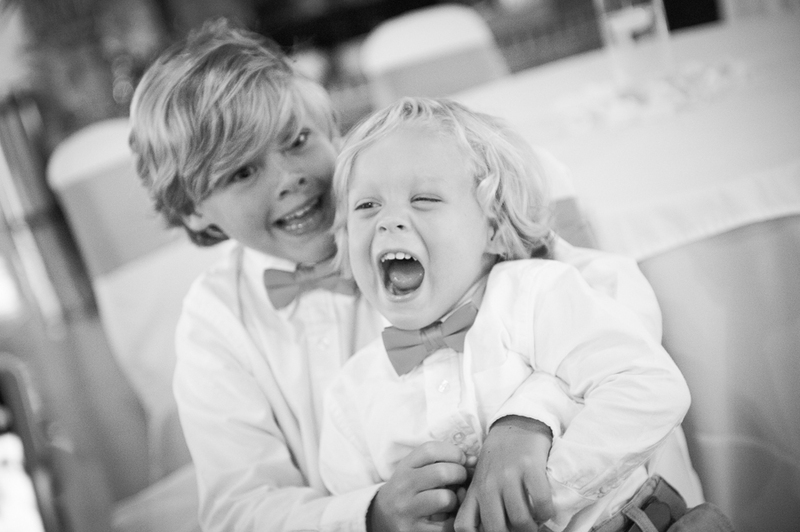 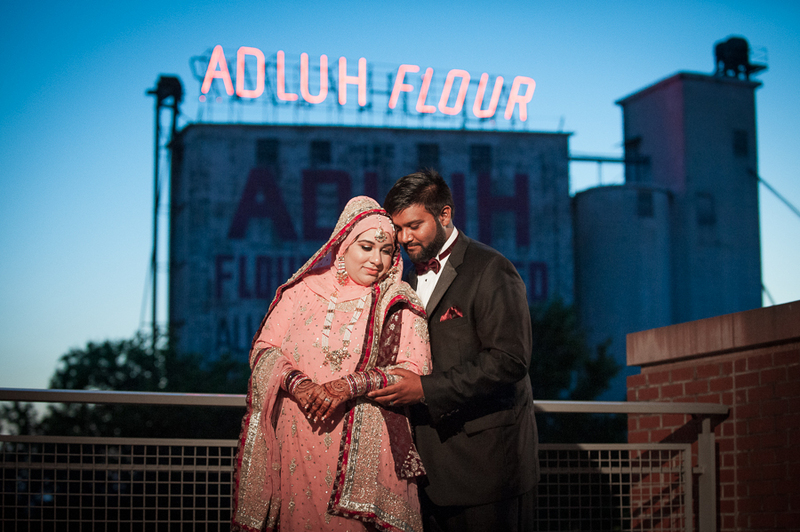 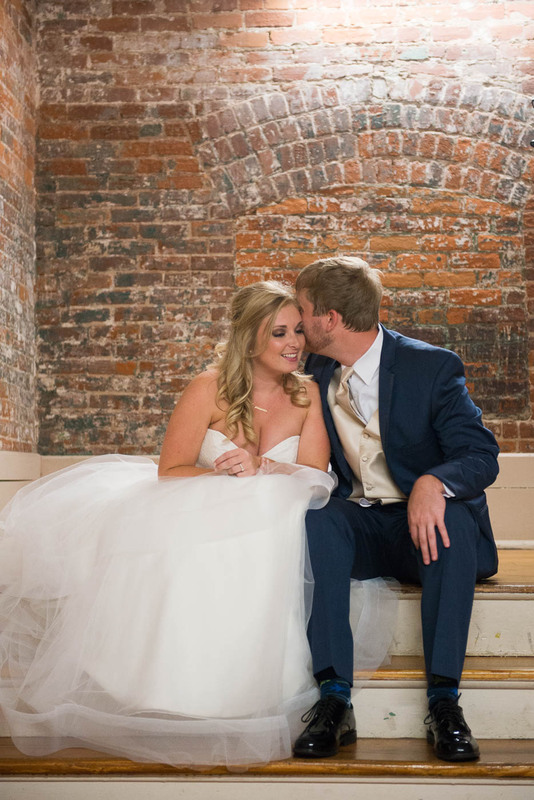 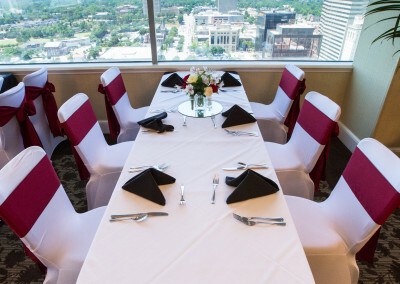 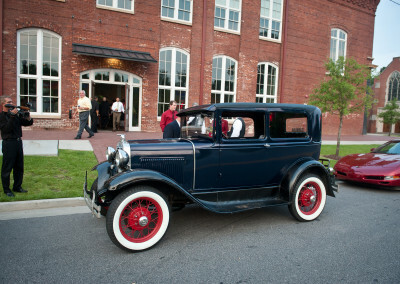 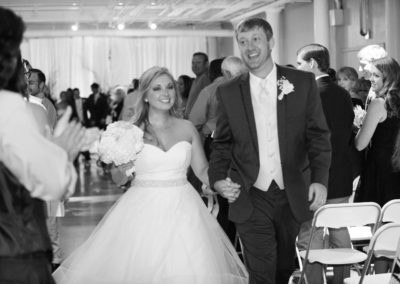 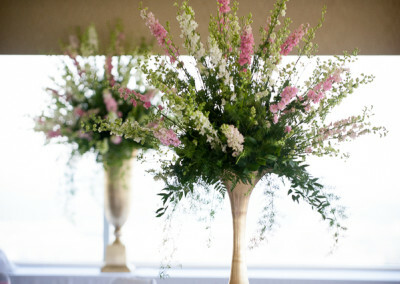 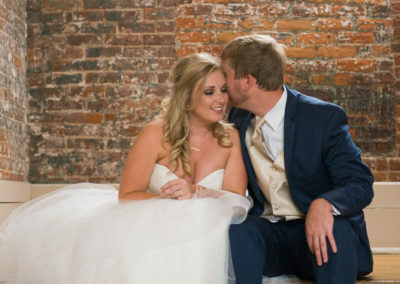 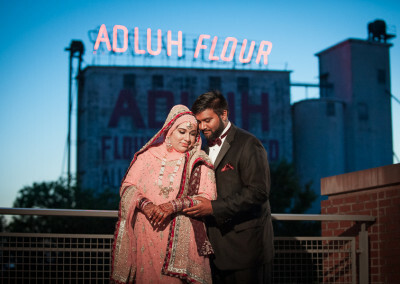 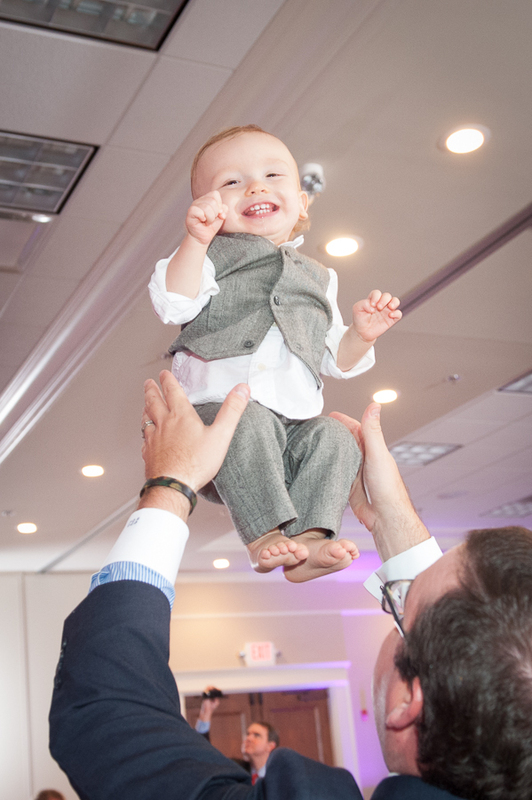 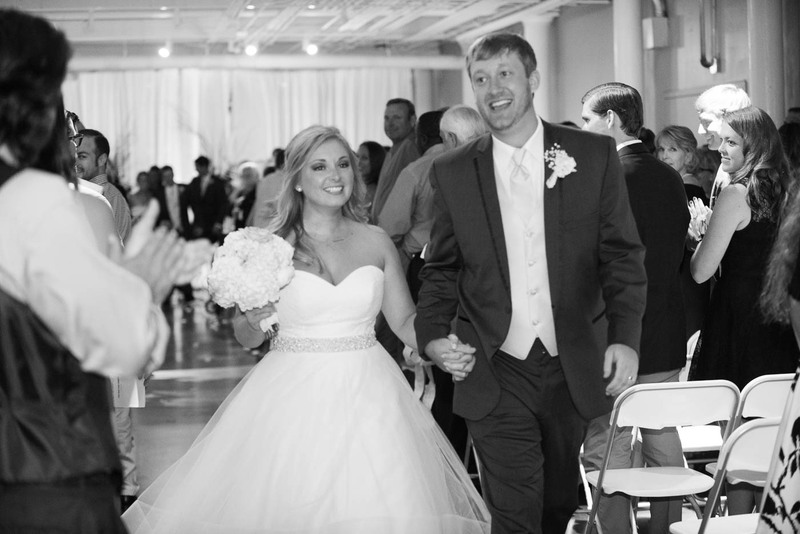 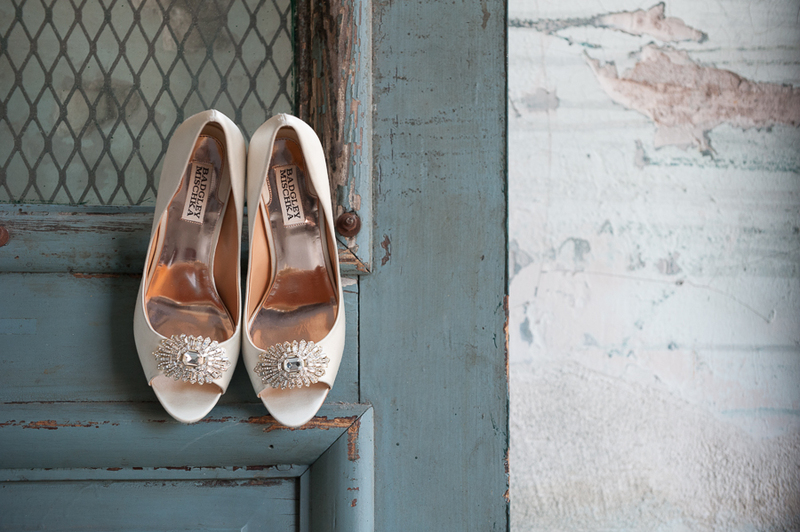 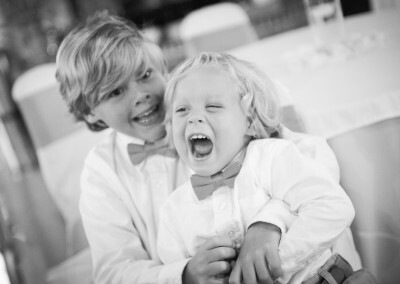 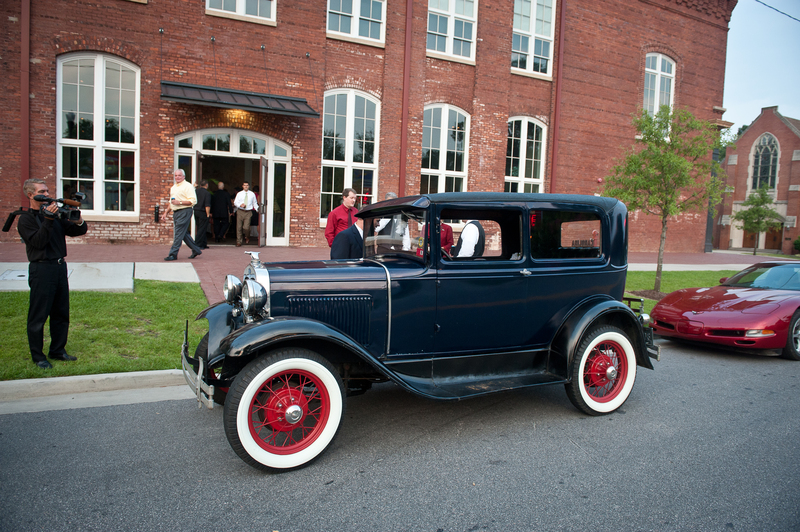 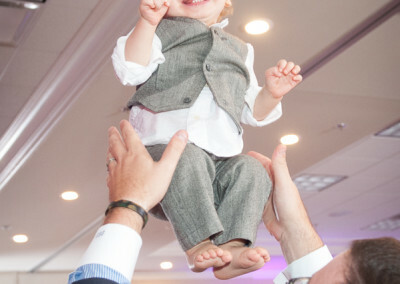 Located along the Congaree River with a view of both the Gervais Street bridge and the downtown skyline with Adluh Flower, Senate’s End has 2 venues of varying sizes for your wedding needs. 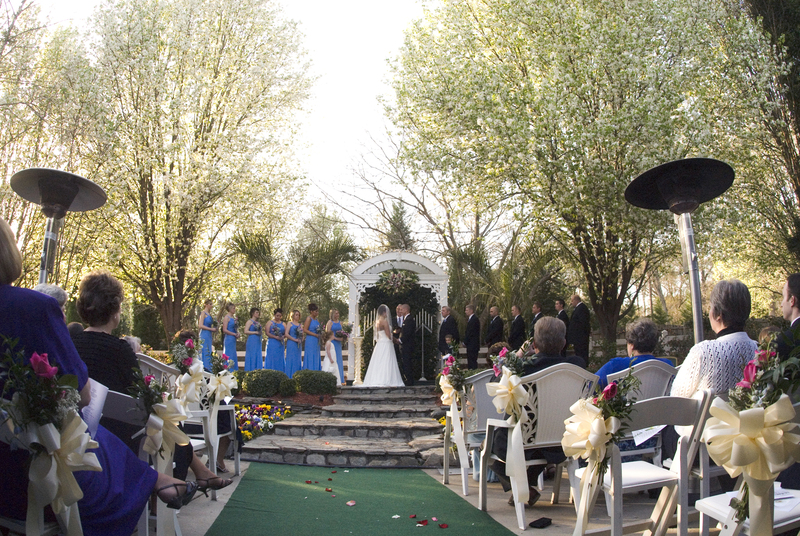 The wedding arbor is perfect for an outdoor ceremony and the spacious Hall facility leaves plenty of room for your guests. 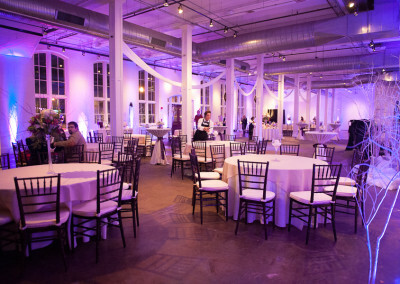 The smaller 300 Senate facility has a similar exposed brick look but with a more intimate atmosphere. 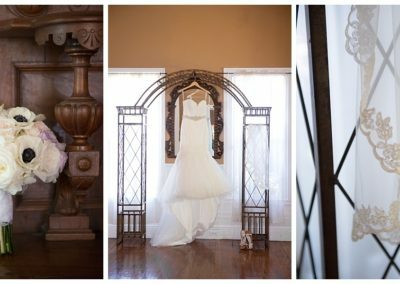 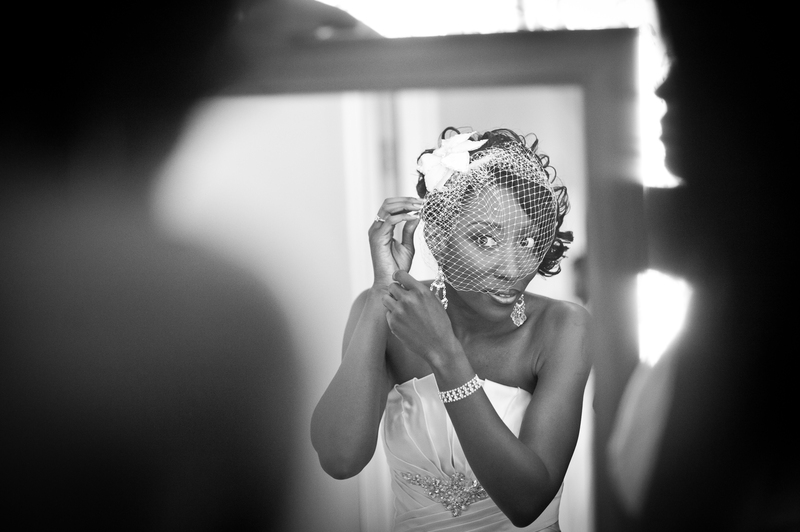 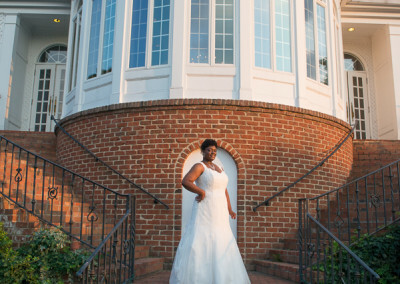 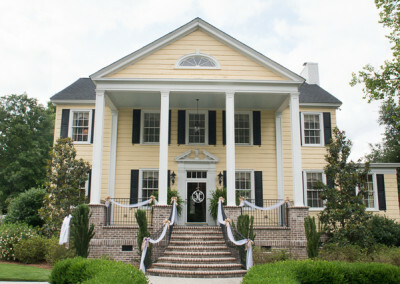 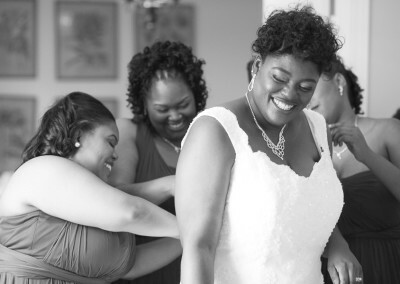 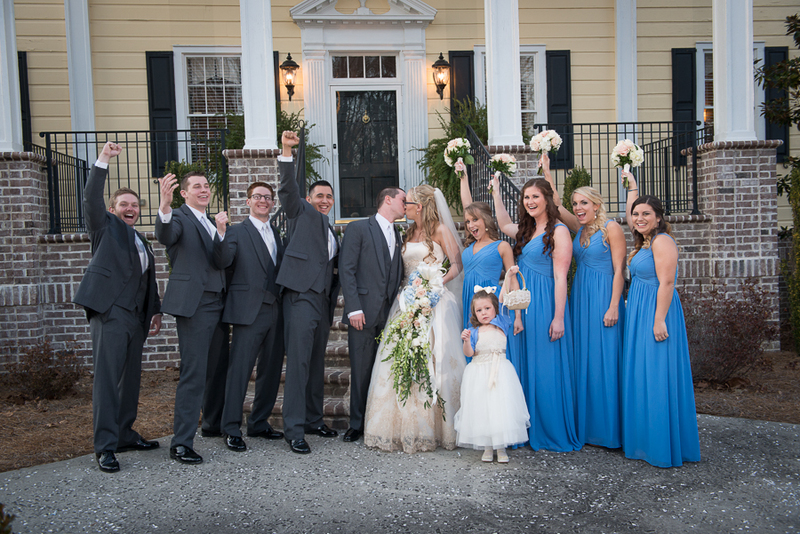 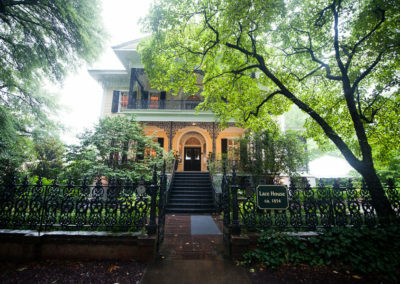 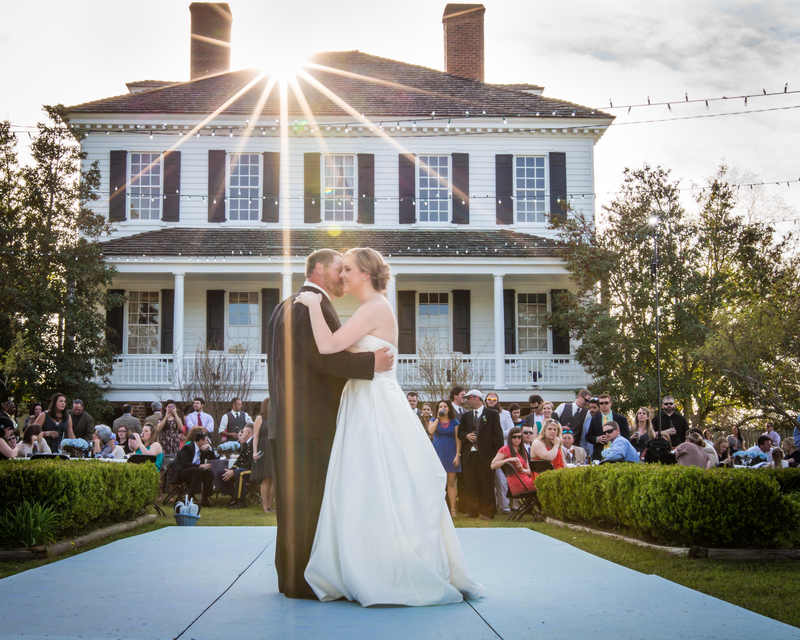 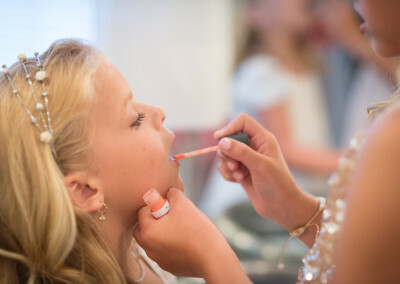 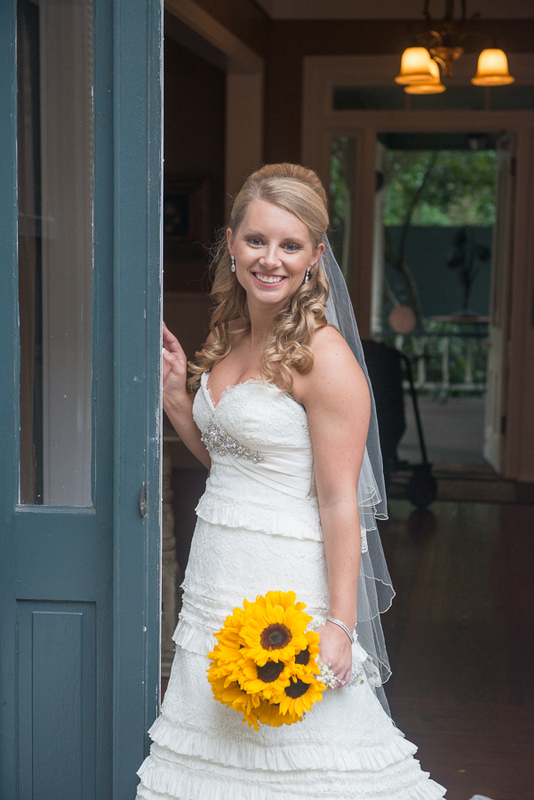 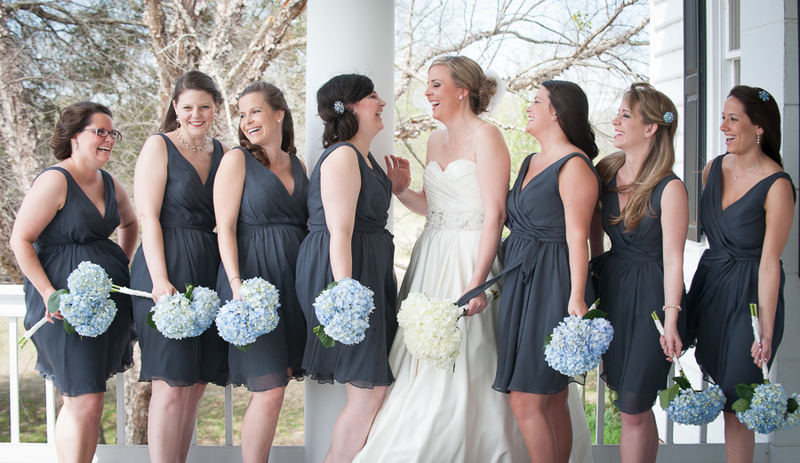 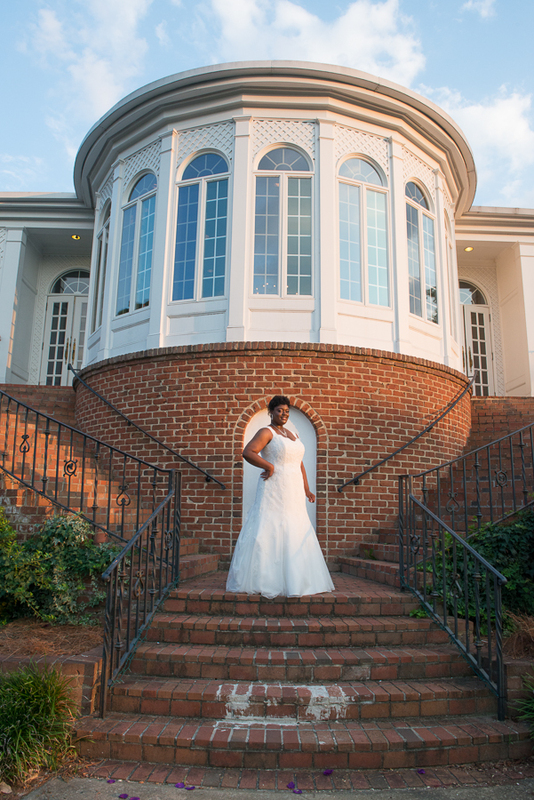 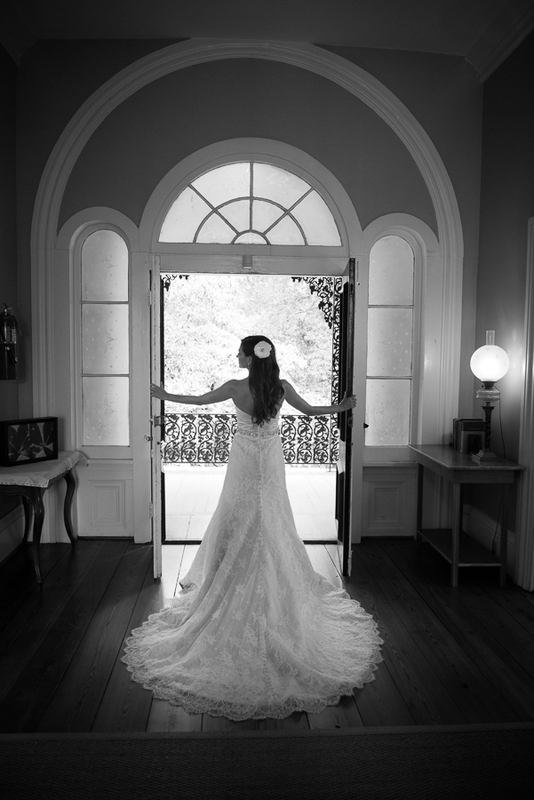 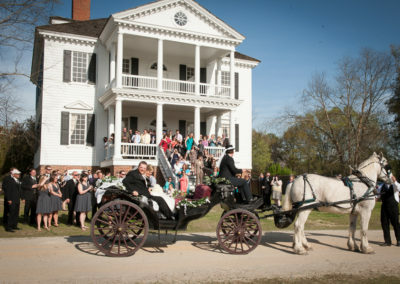 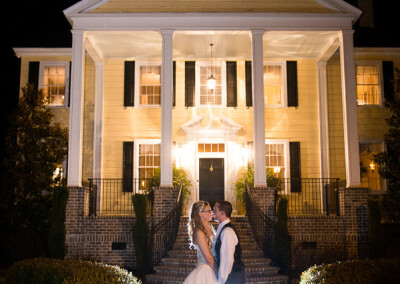 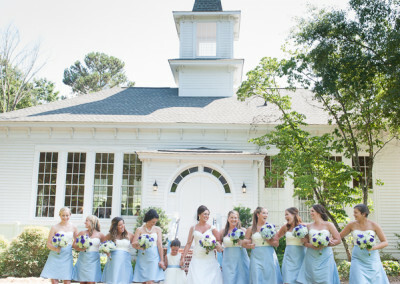 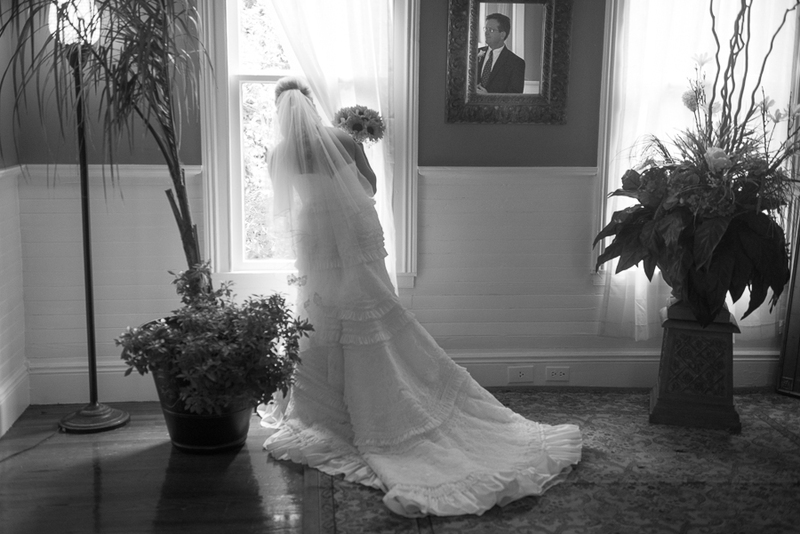 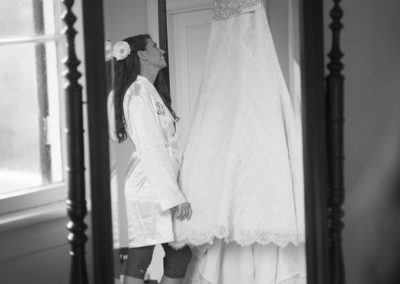 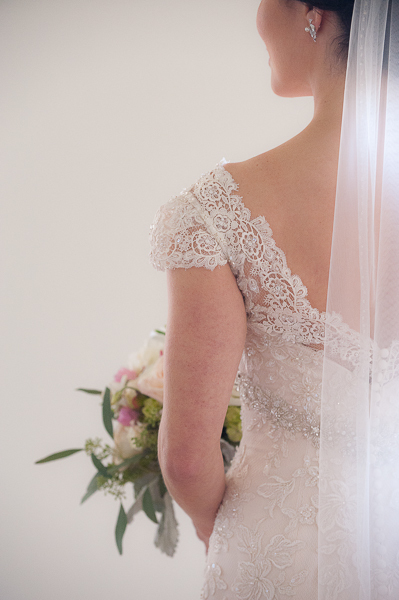 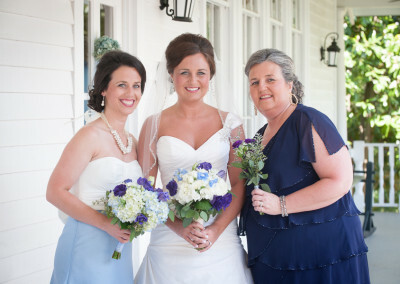 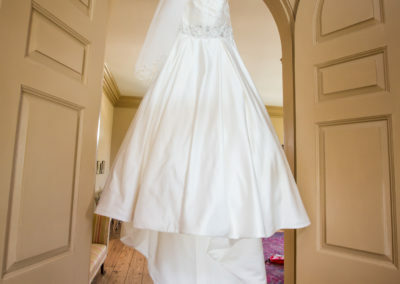 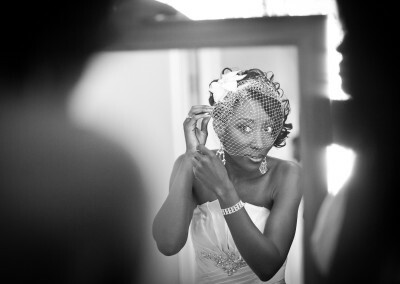 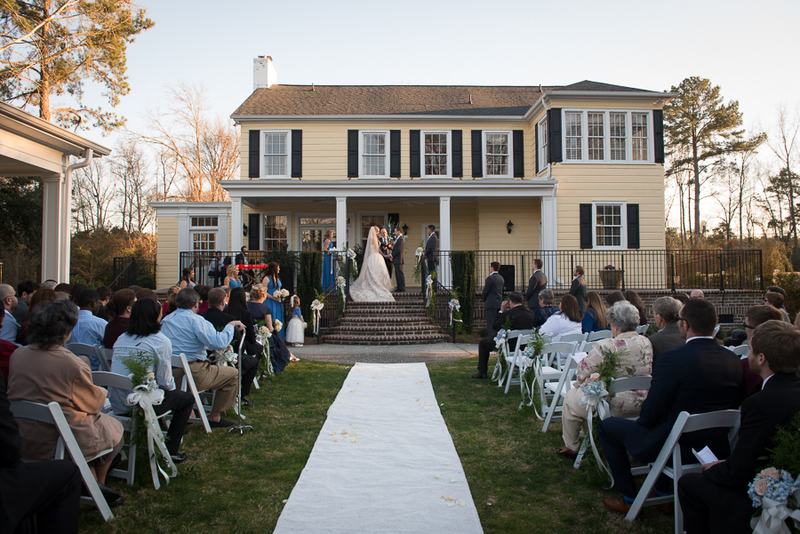 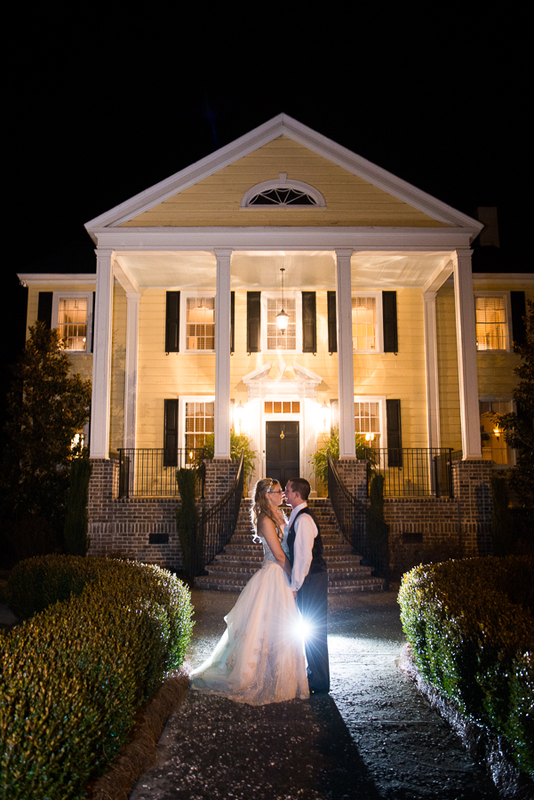 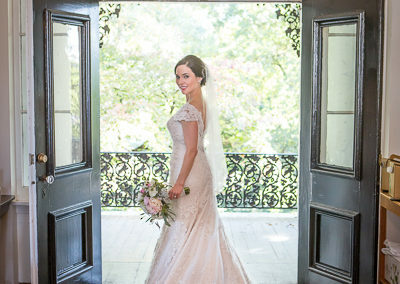 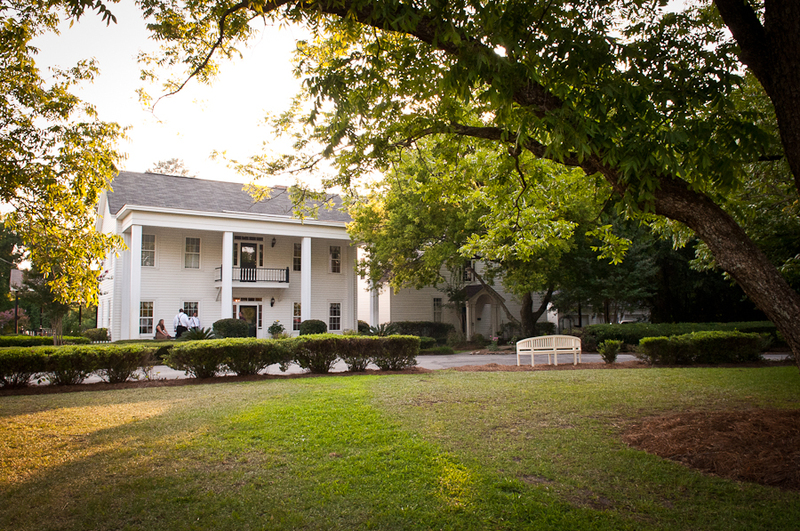 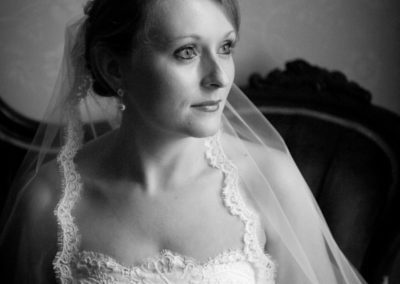 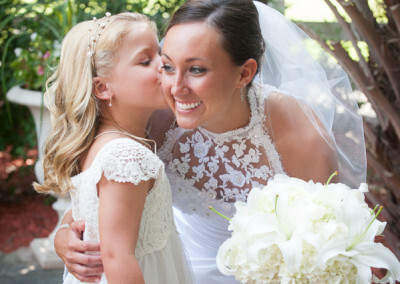 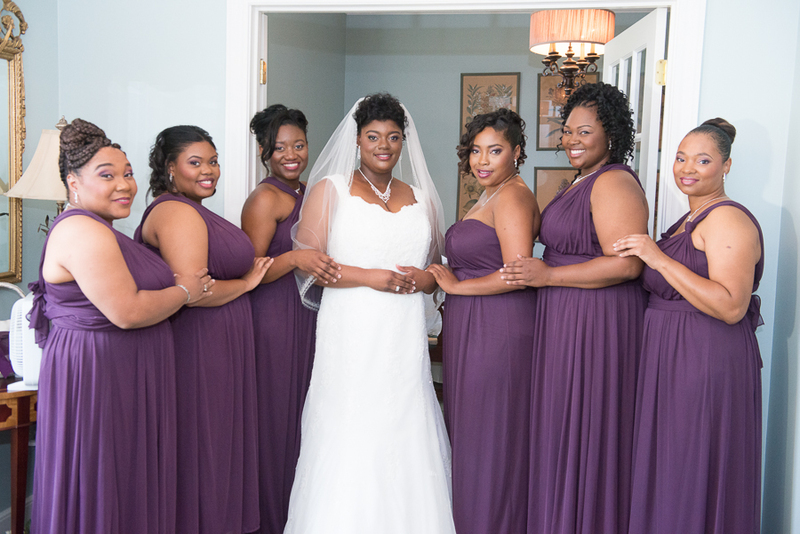 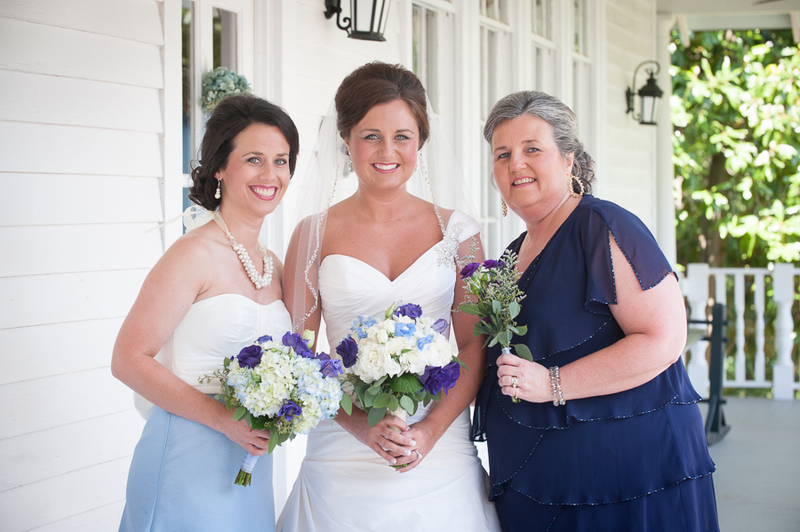 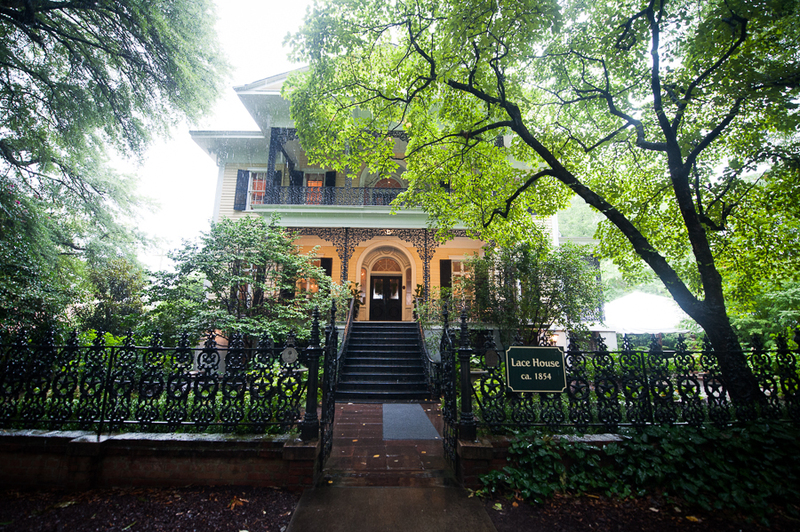 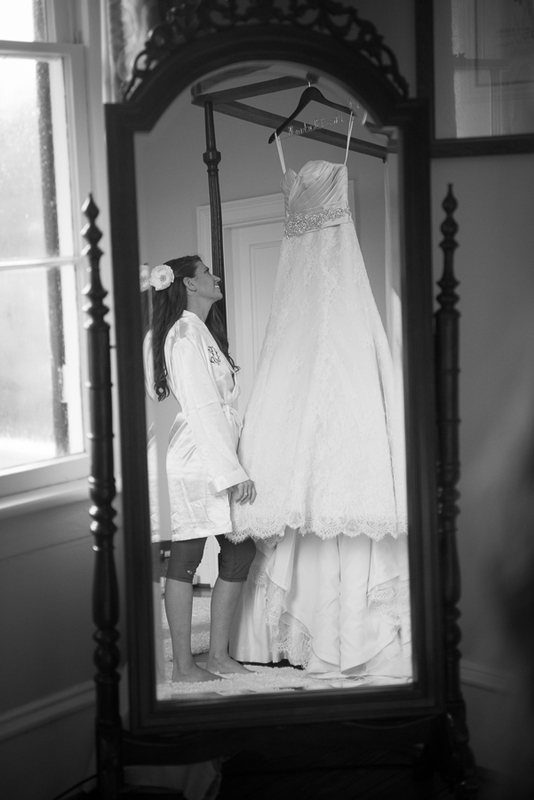 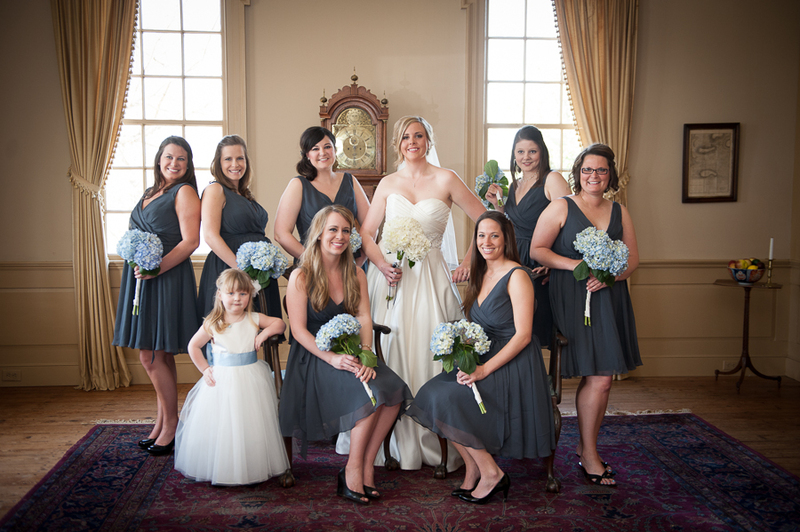 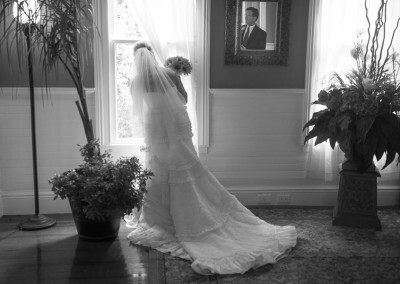 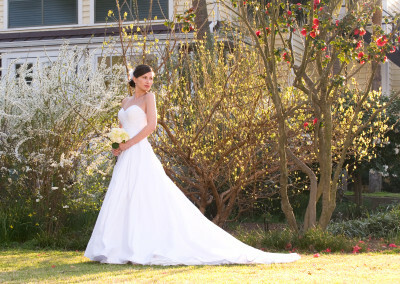 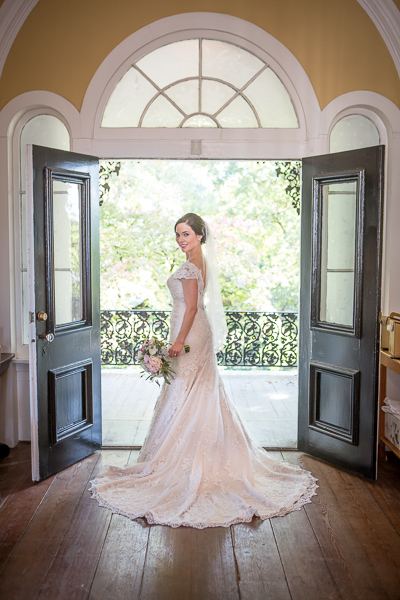 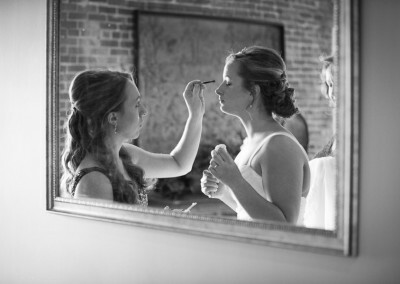 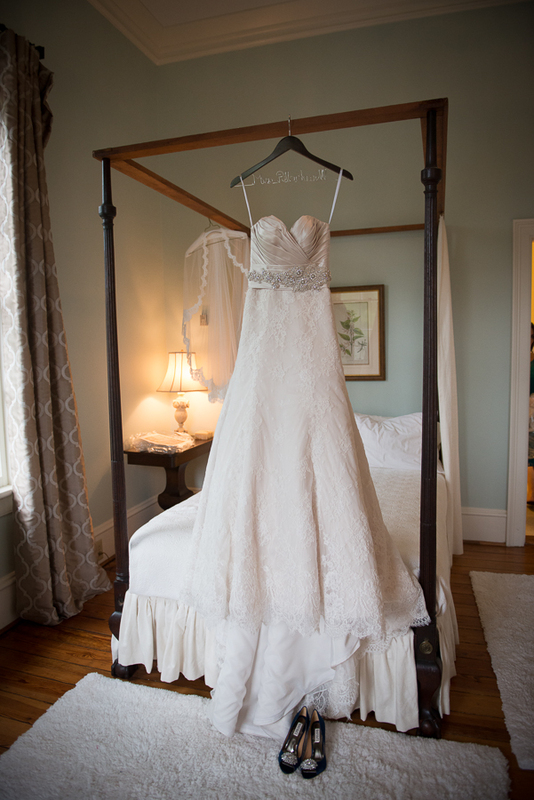 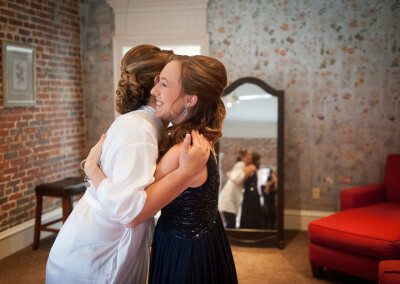 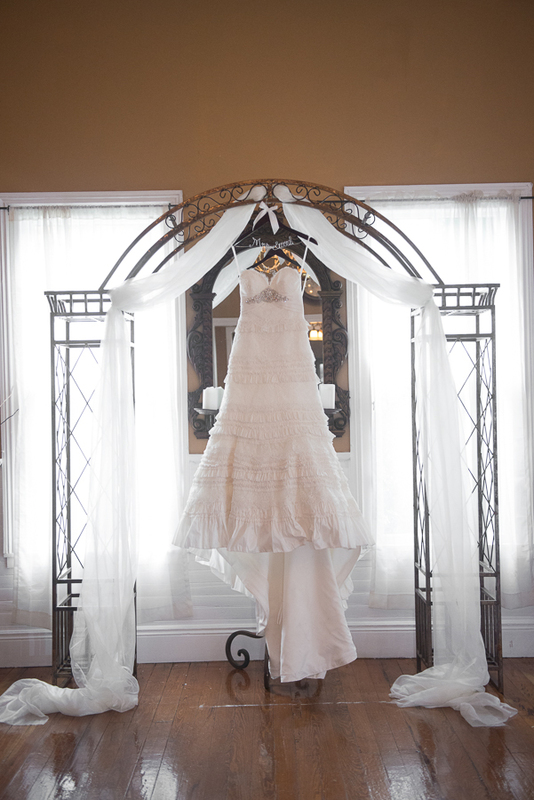 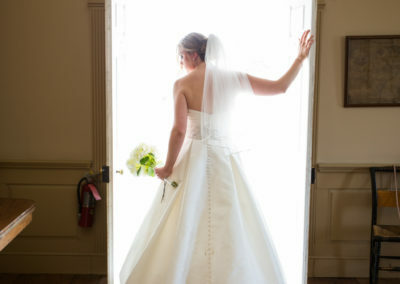 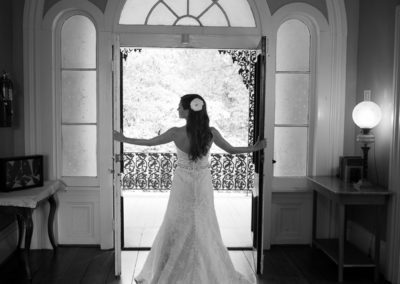 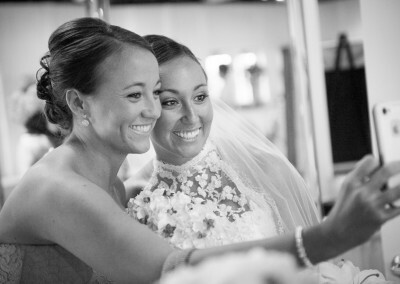 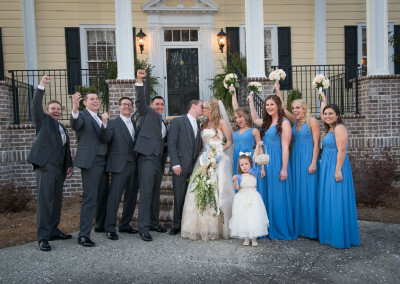 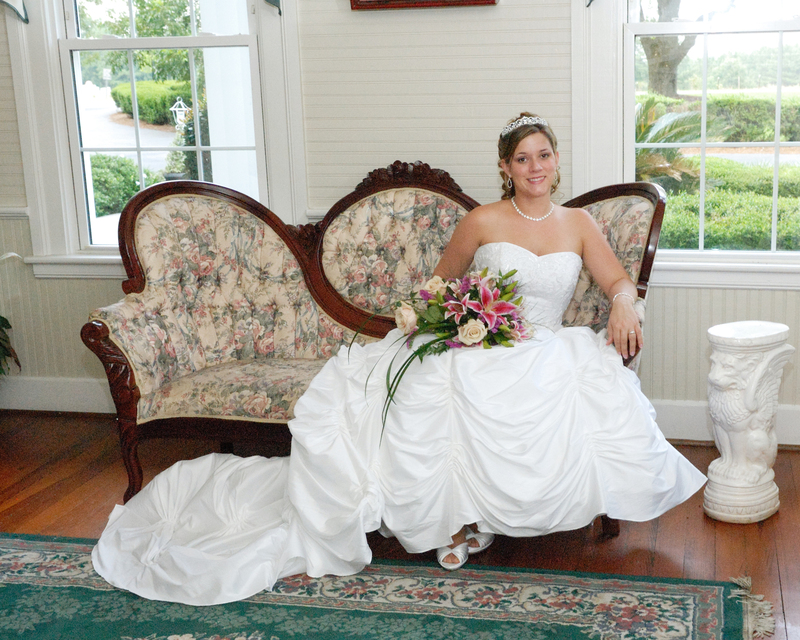 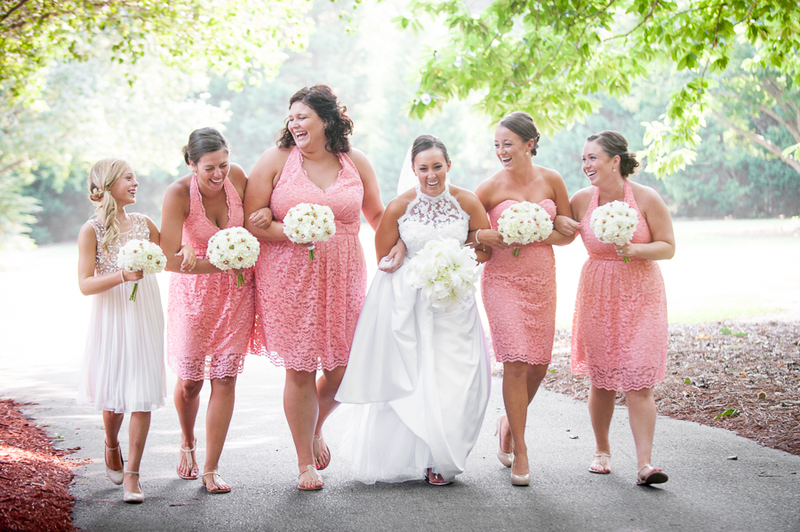 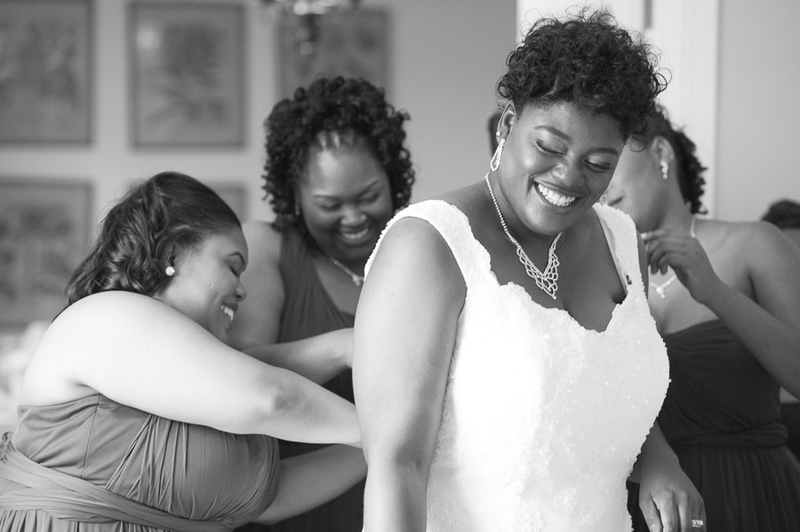 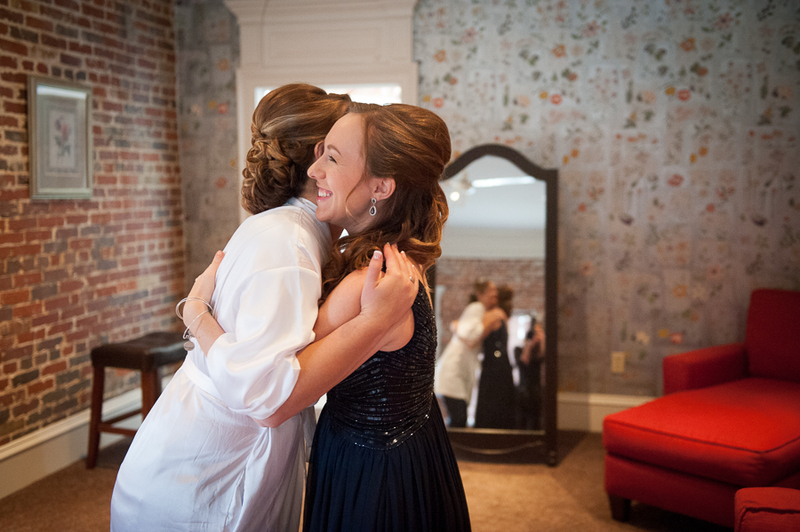 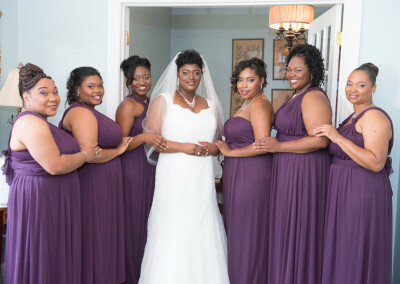 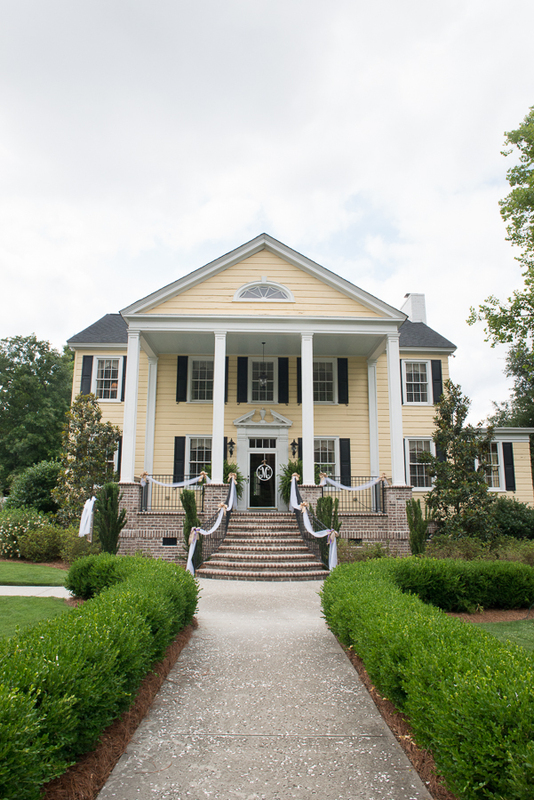 A historic home in West Columbia, the Springdale House offers a beautiful and spacious bridal changing room in the main house, a garden area for ceremonies behind the house and a separate indoor reception venue- all in one location. 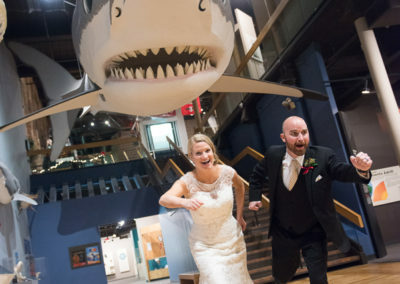 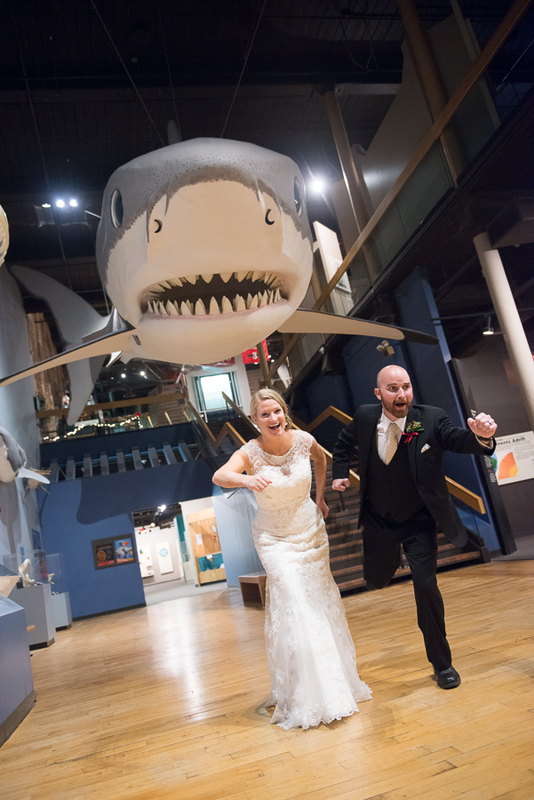 What a unique place for a wedding! 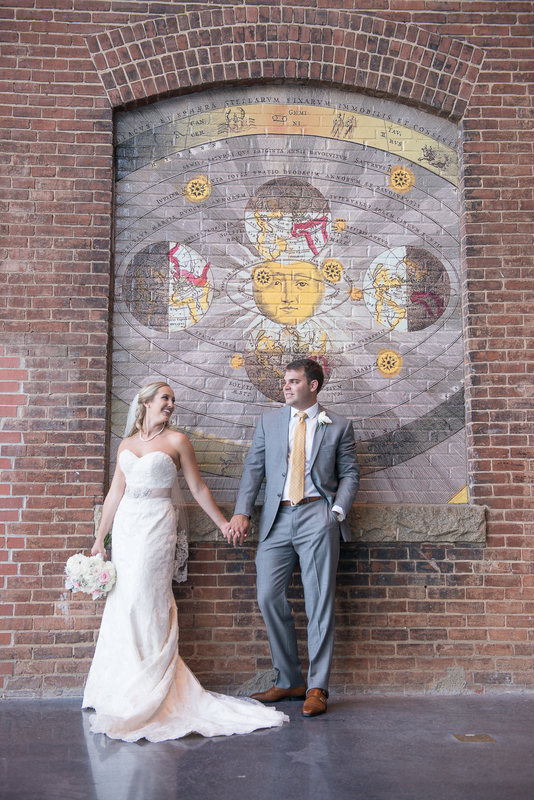 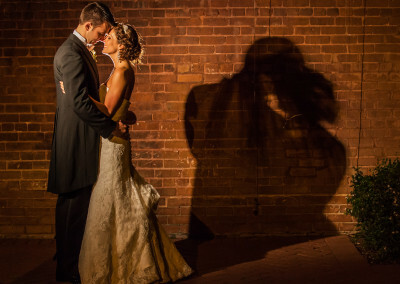 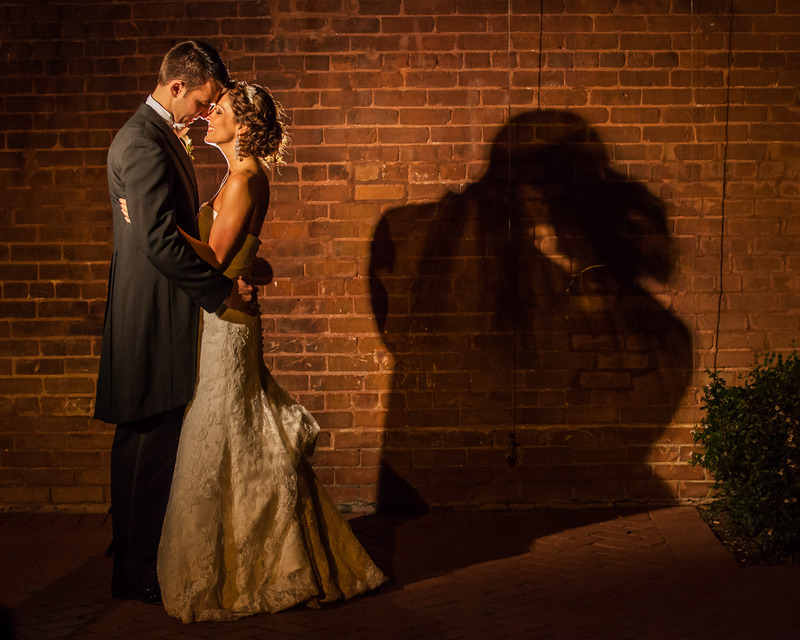 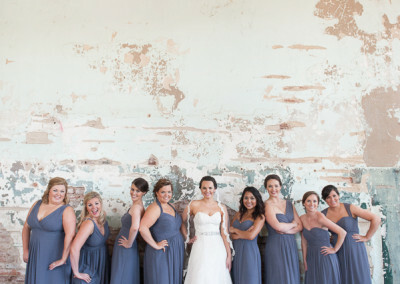 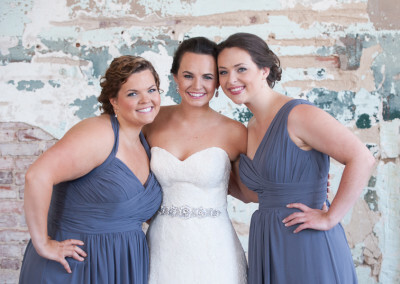 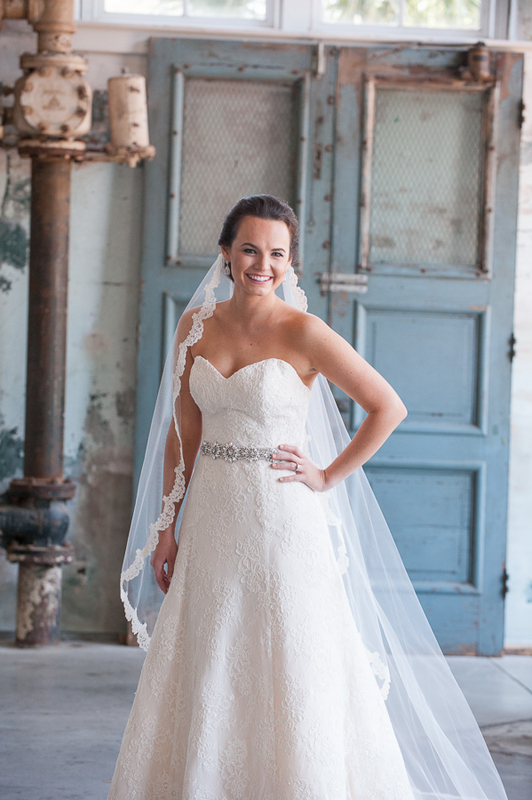 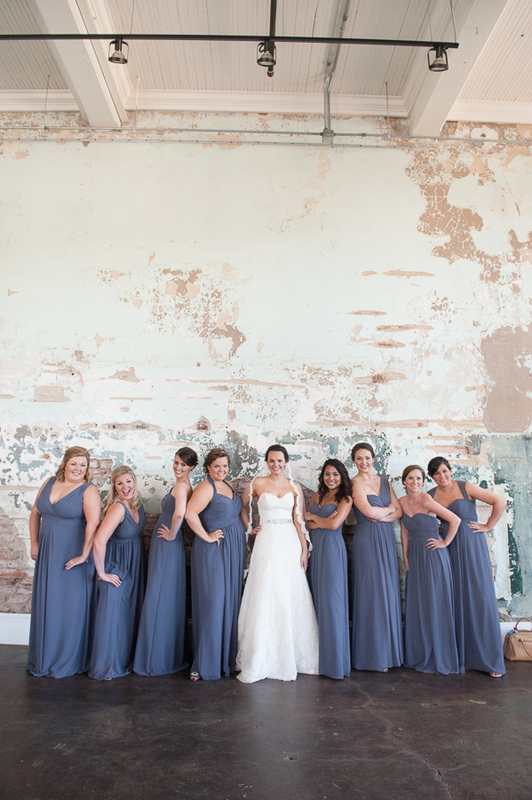 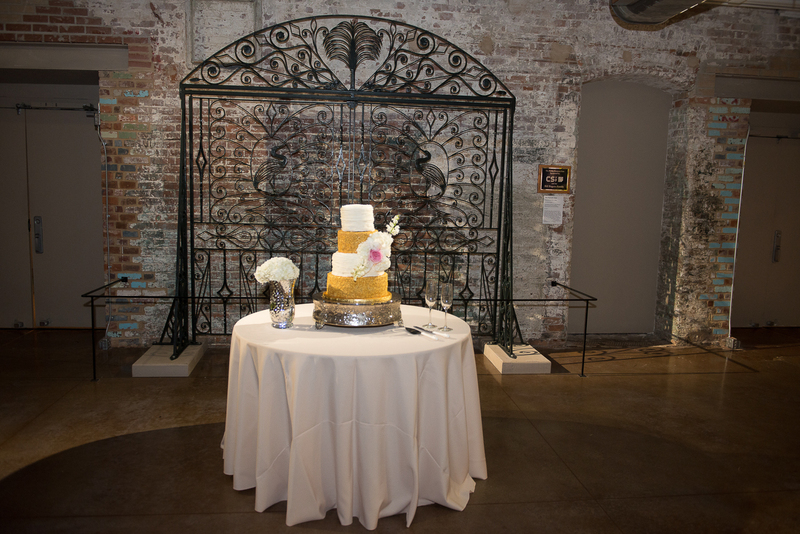 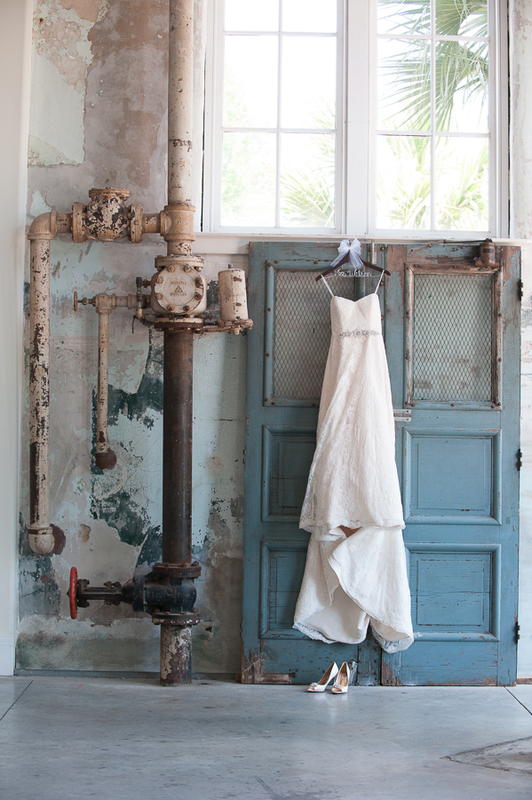 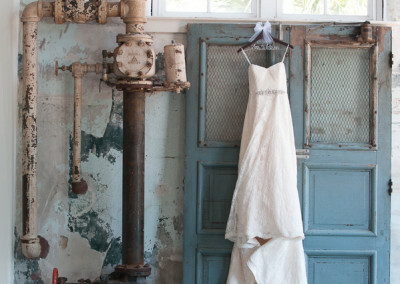 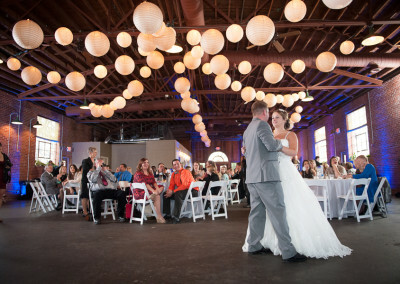 With exposed brick all around, this historic building makes the perfect backdrop for a wedding of any size. 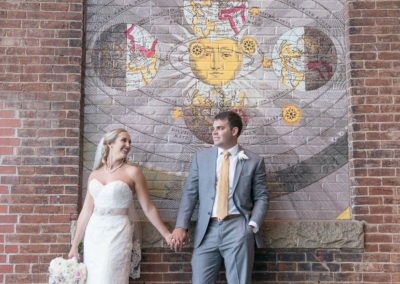 There’s so many great photo spots from the great staircase, to the planetarium, to the grand front entrance- you also have a variety of options of where to host your event. 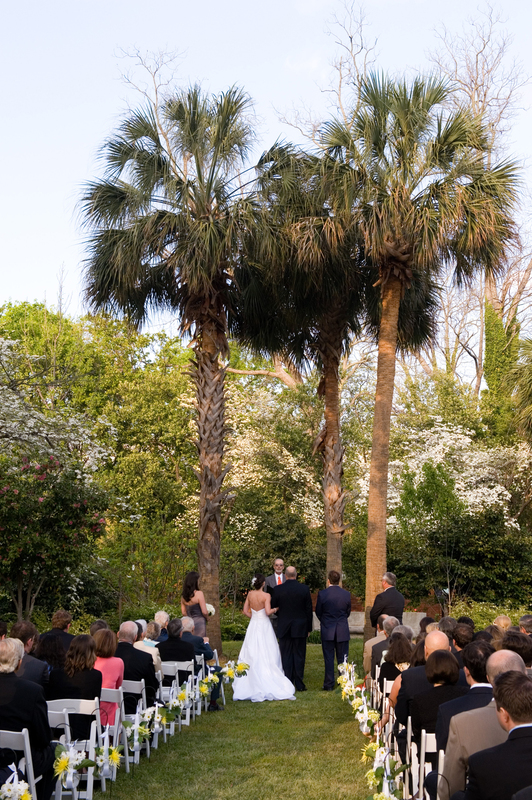 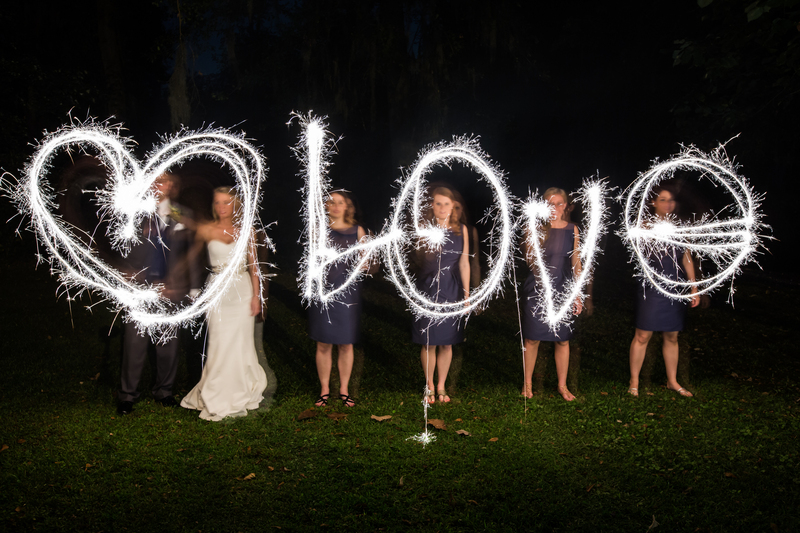 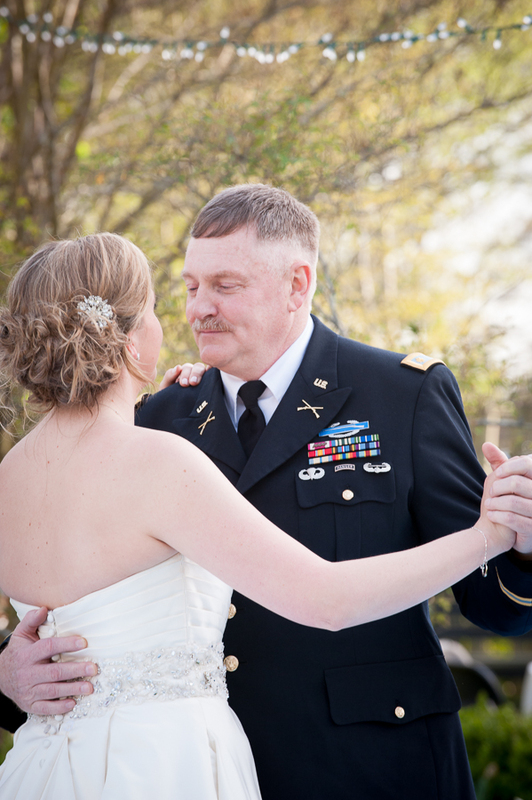 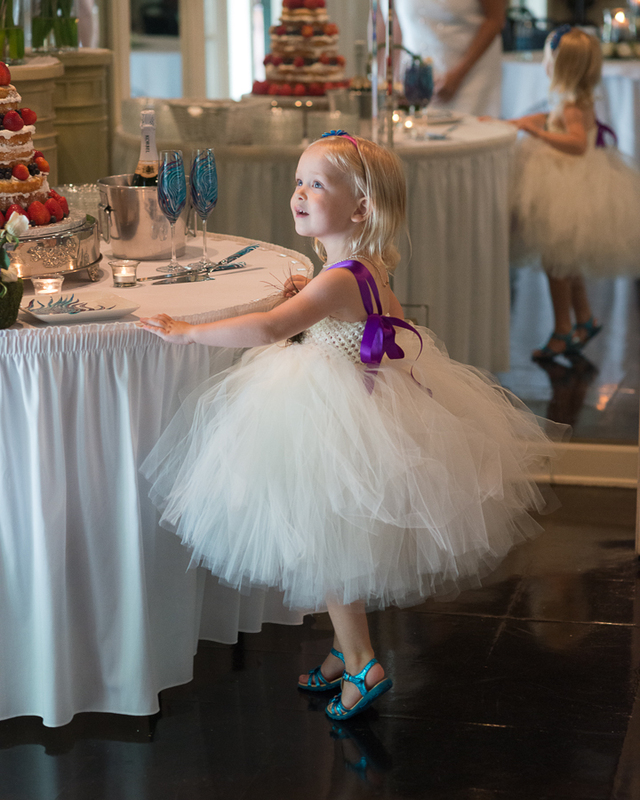 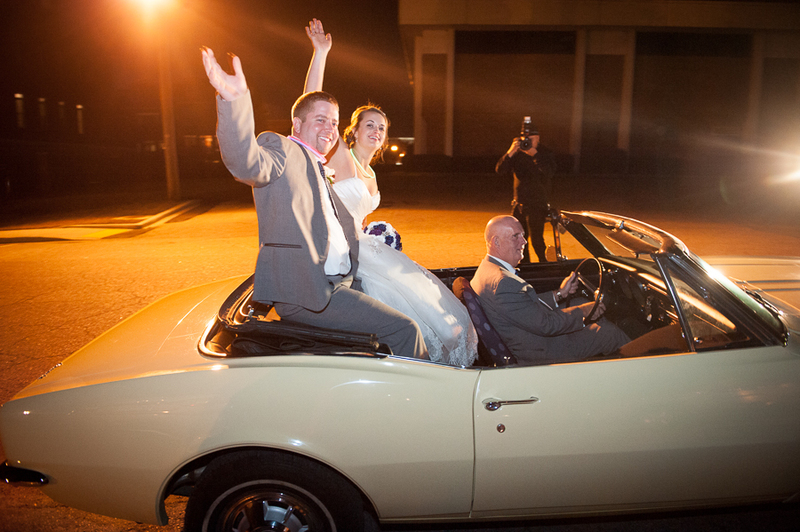 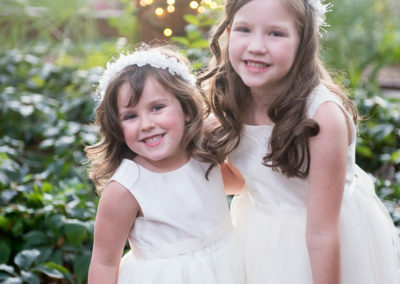 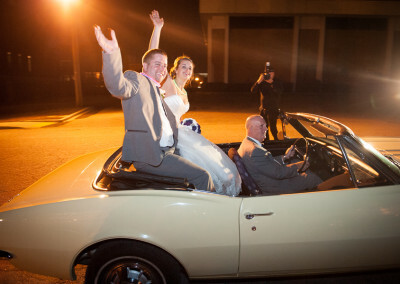 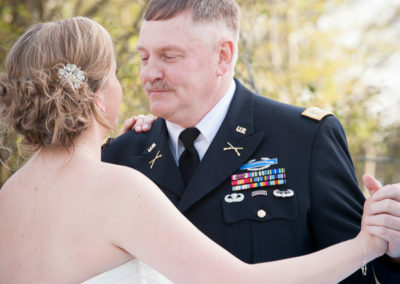 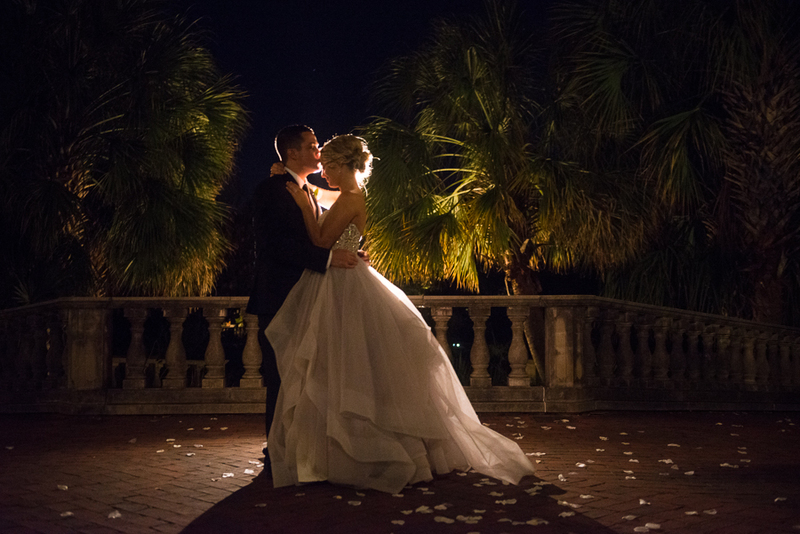 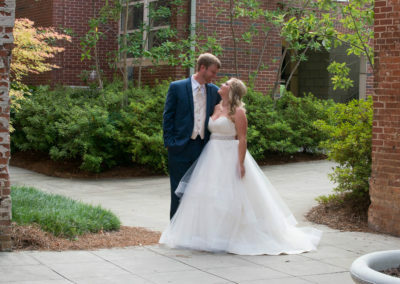 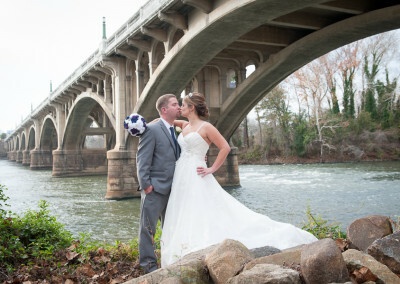 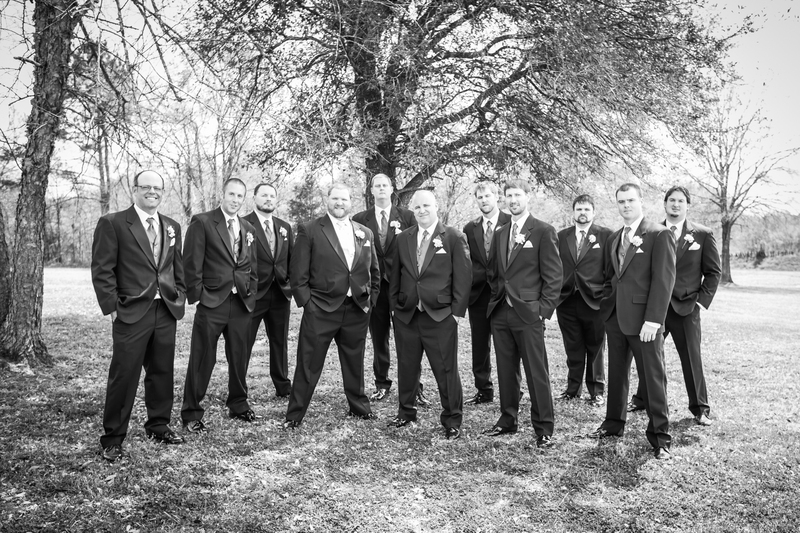 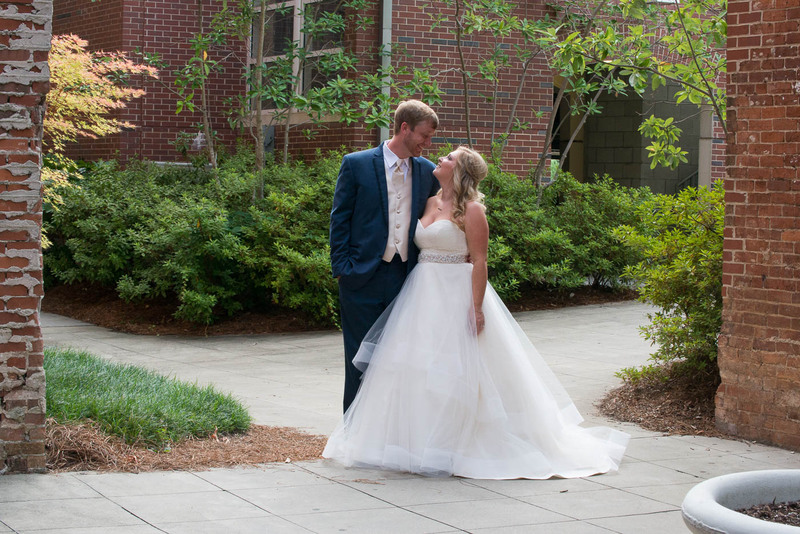 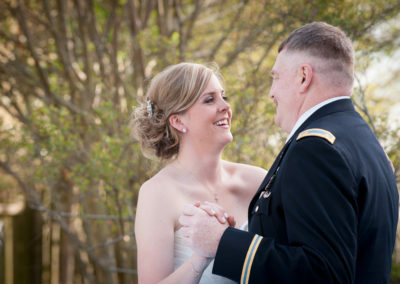 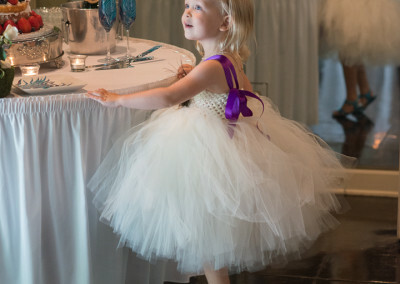 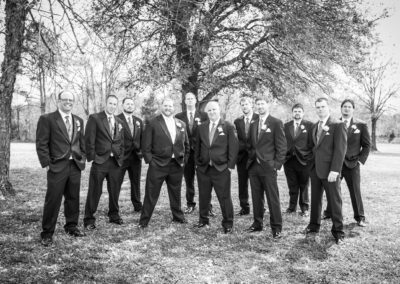 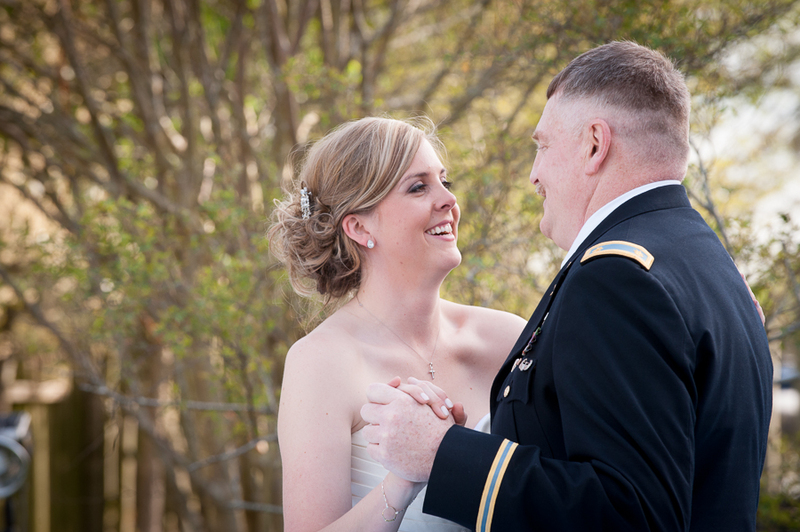 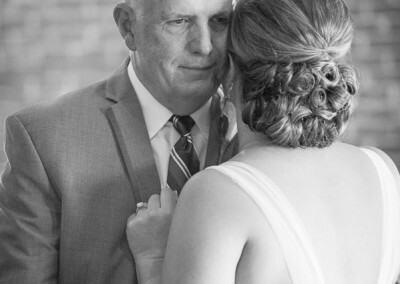 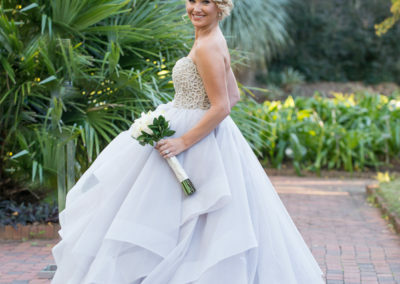 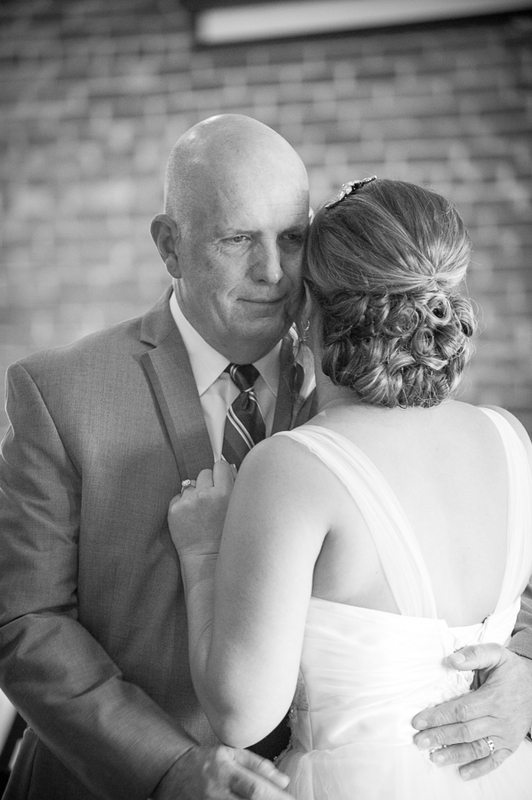 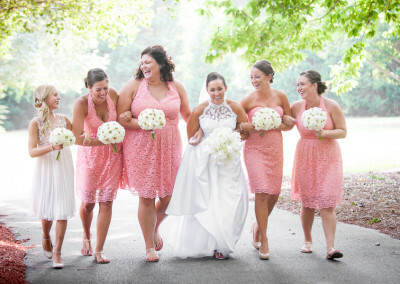 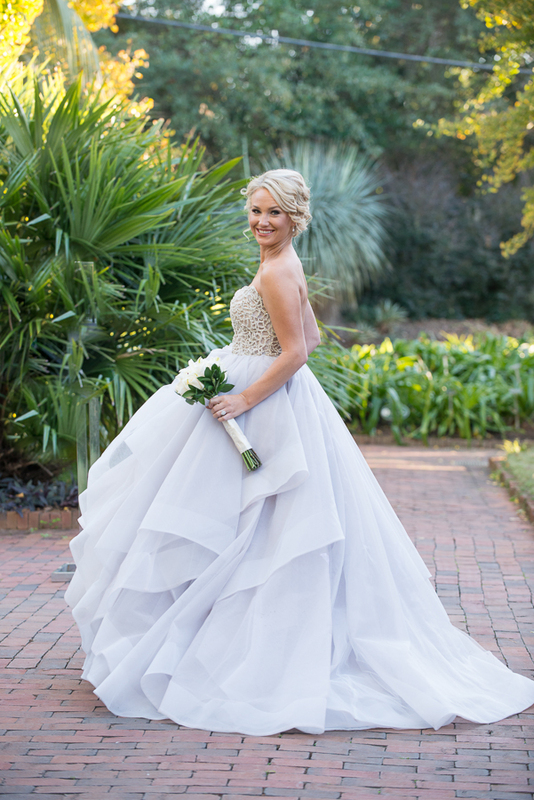 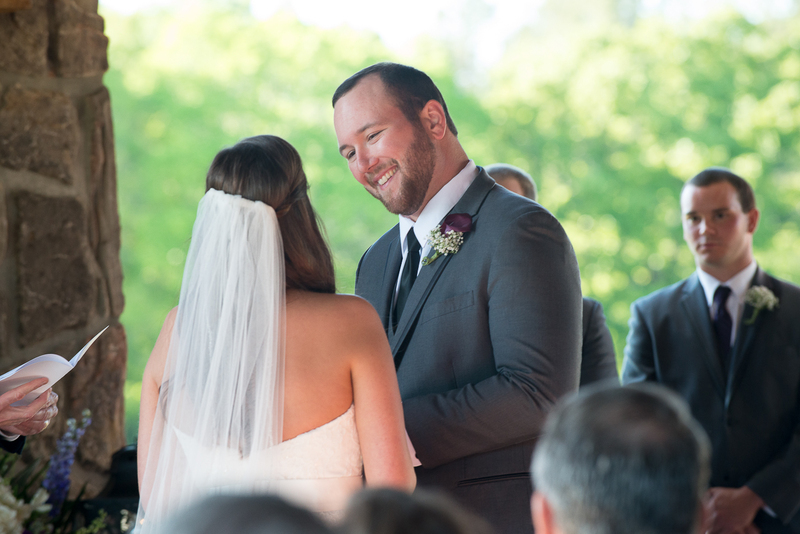 This venue has one of the best views in the Columbia area, overlooking the Congaree River, the Cayce Riverwalk park and the Gervais Street bridge. 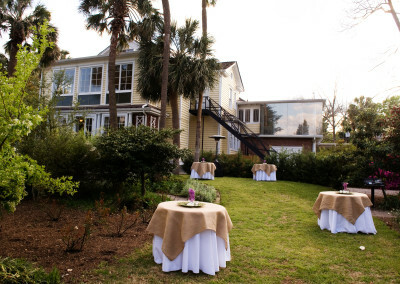 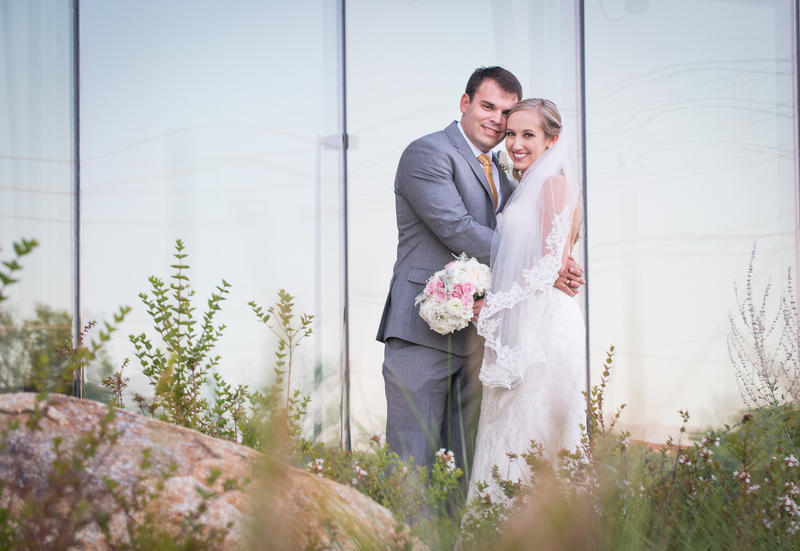 There is a garden area perfect for a wedding ceremony, covered porches and an indoor venue with a wall of windows to show off the great views of the river. 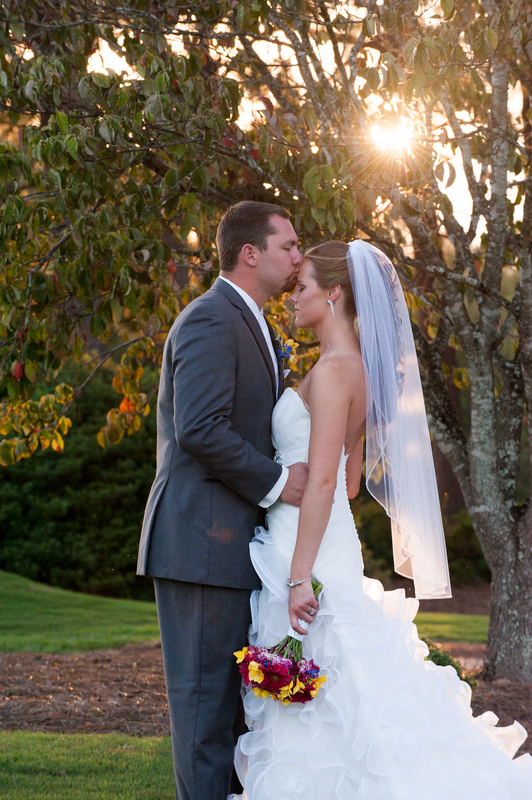 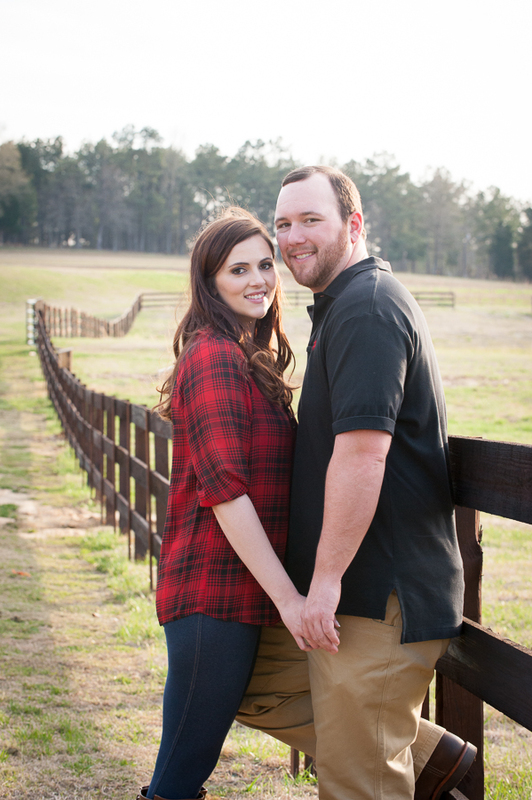 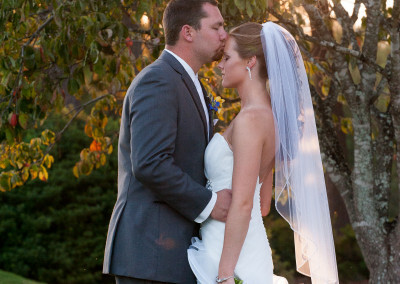 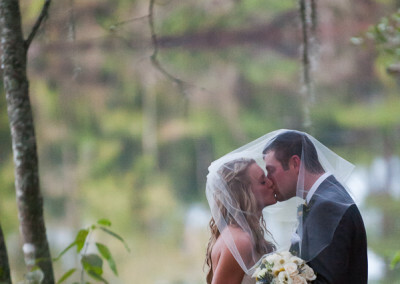 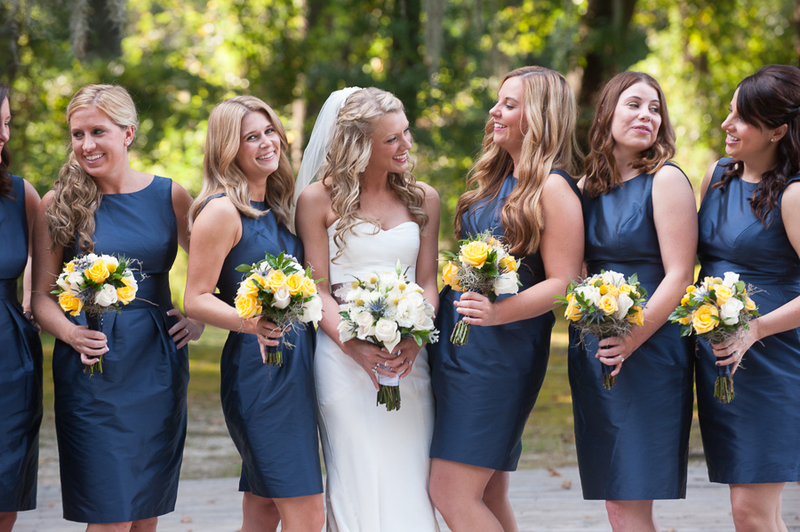 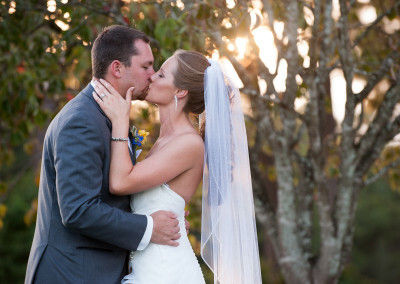 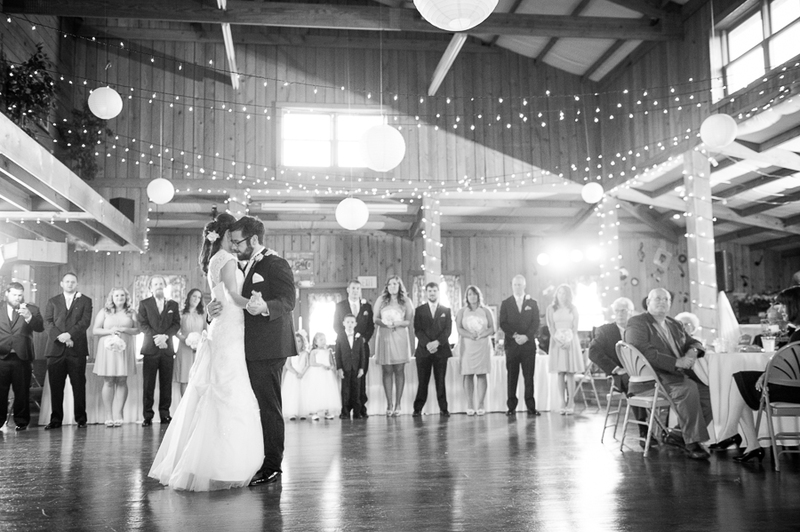 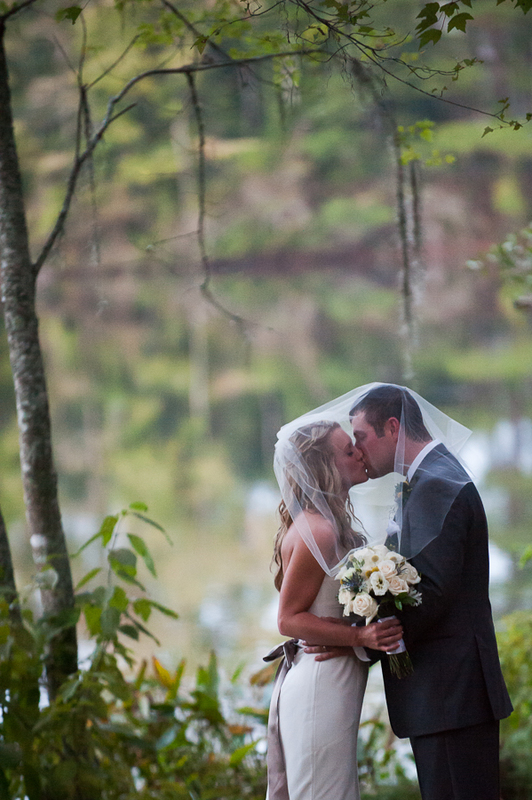 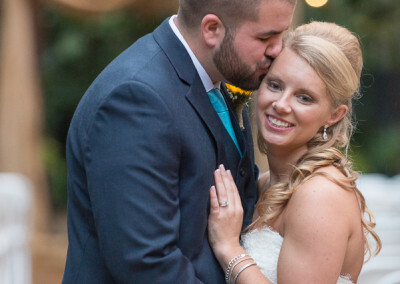 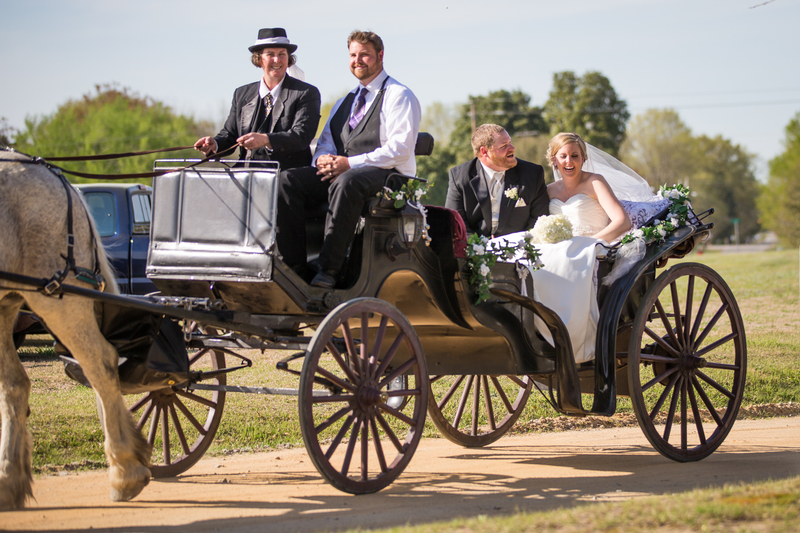 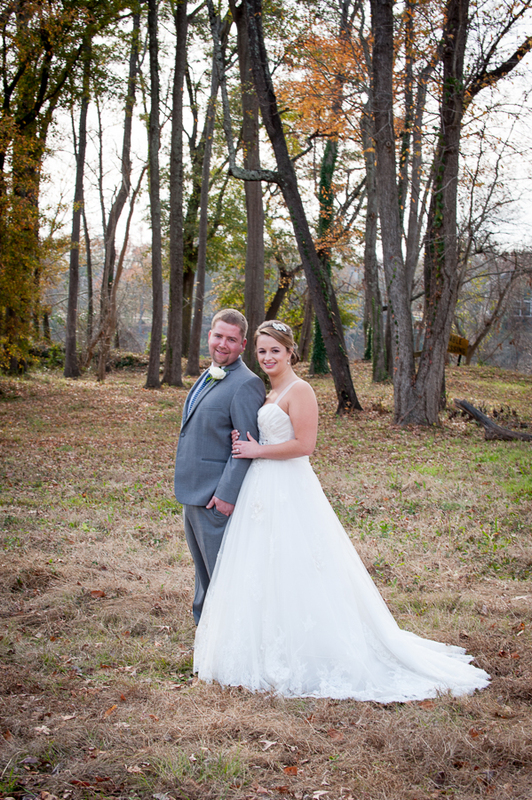 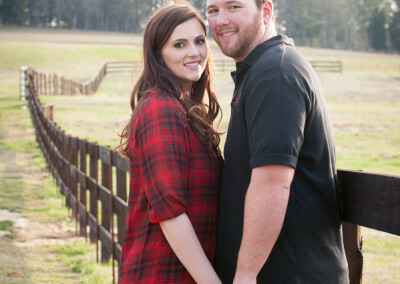 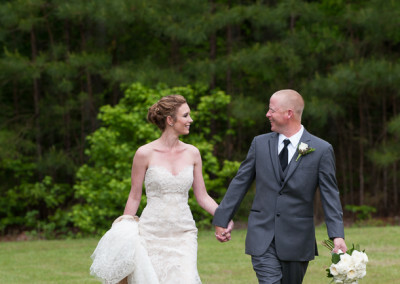 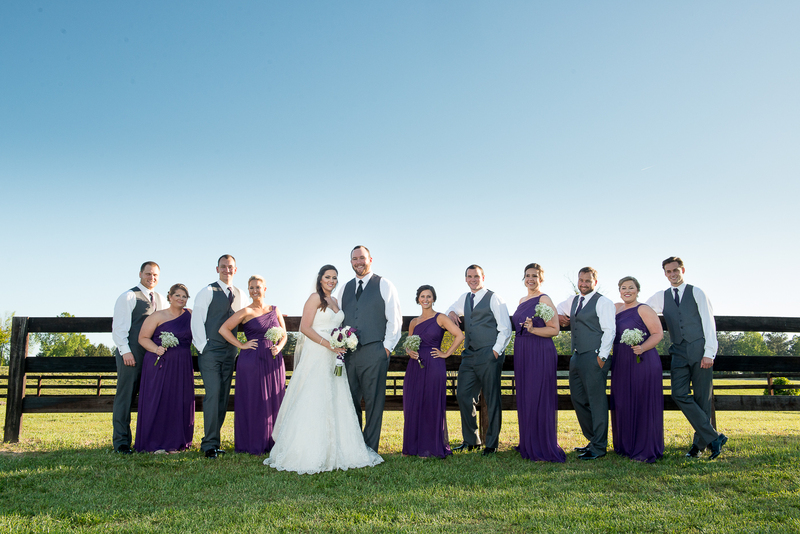 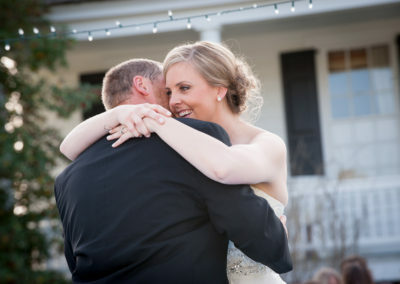 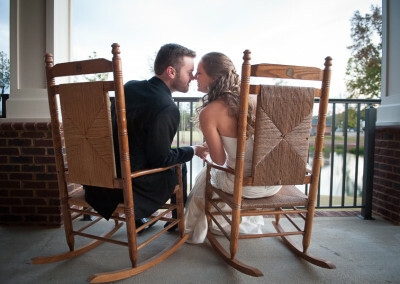 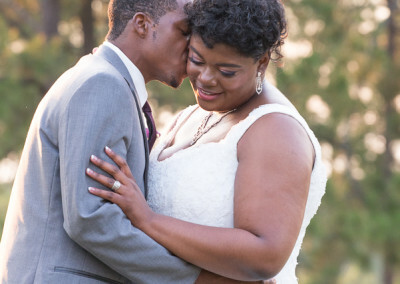 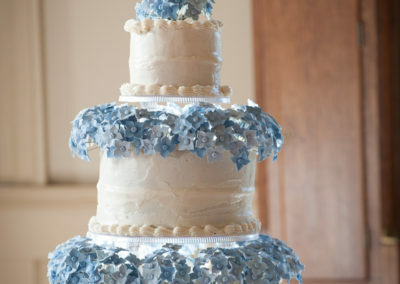 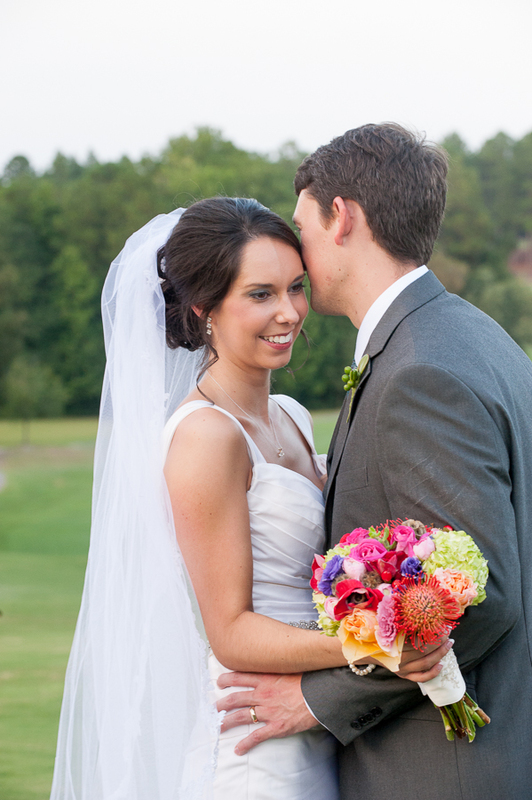 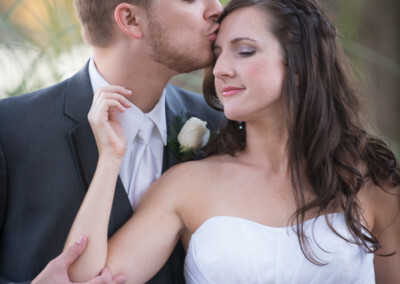 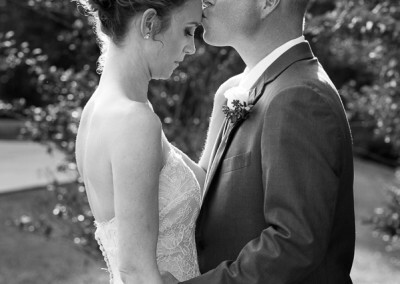 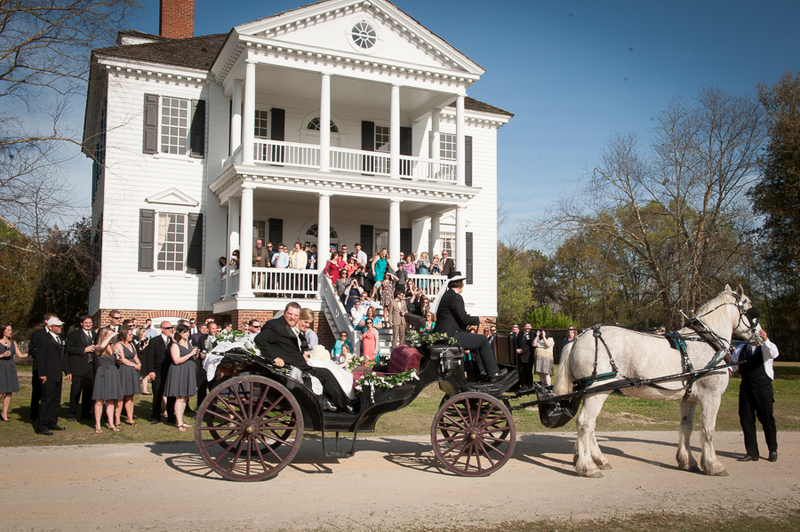 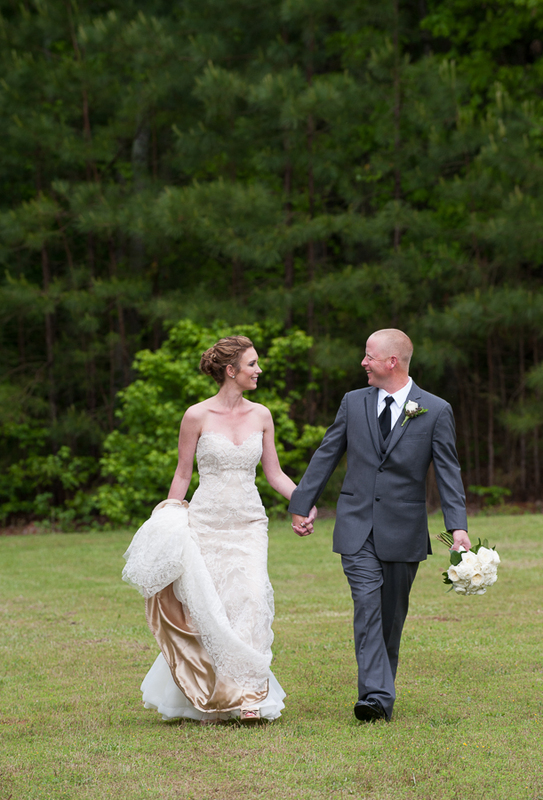 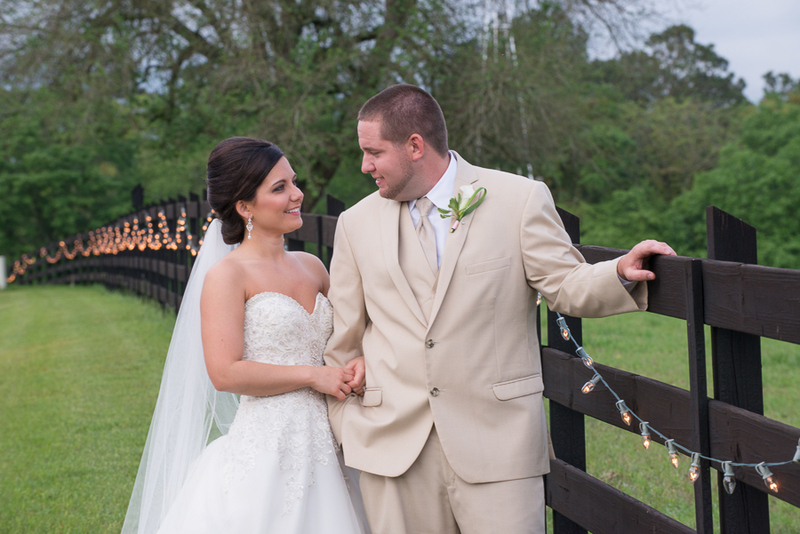 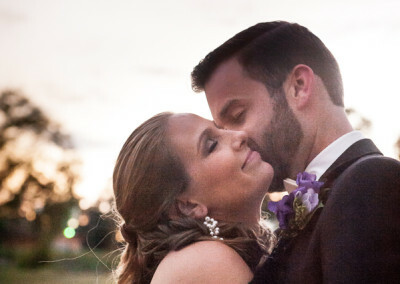 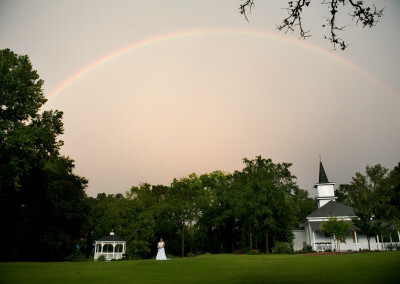 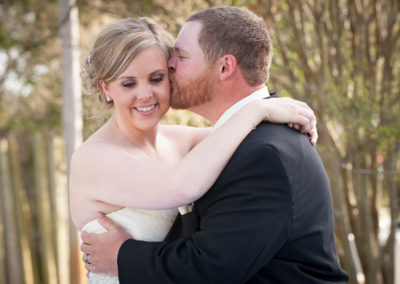 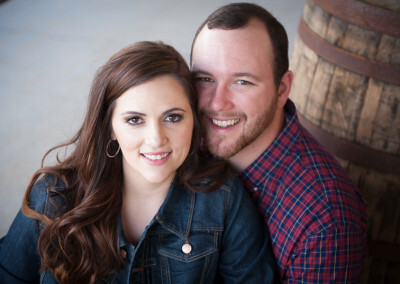 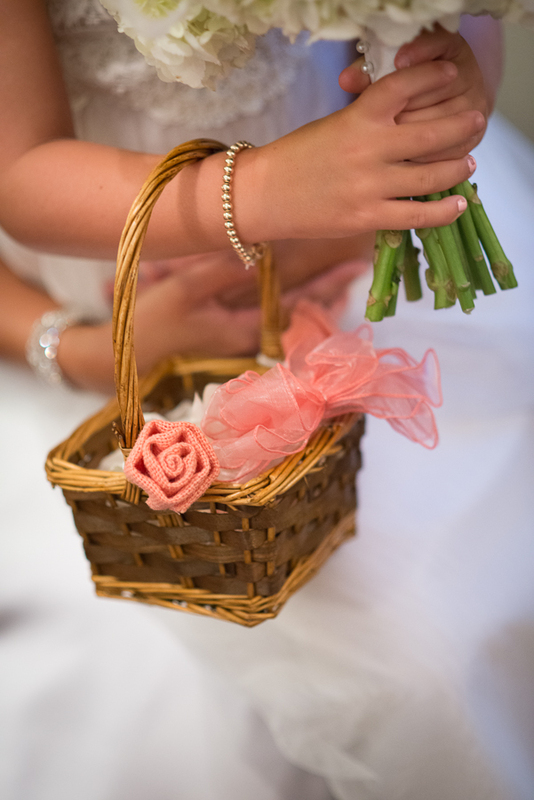 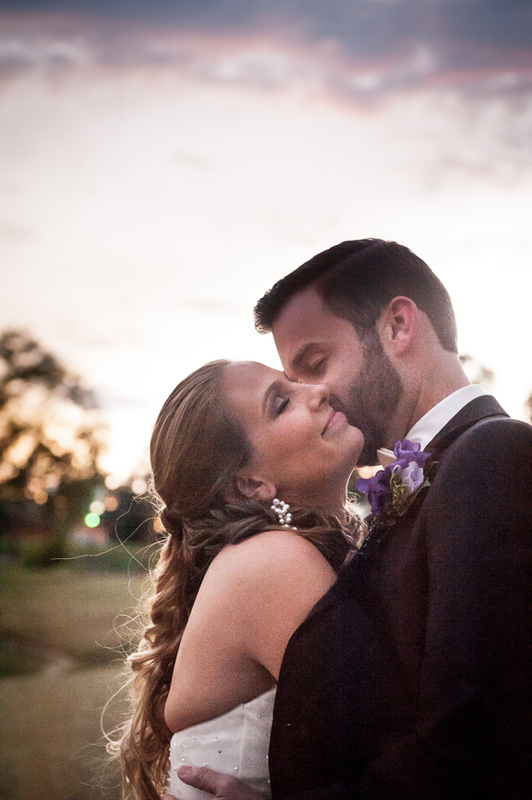 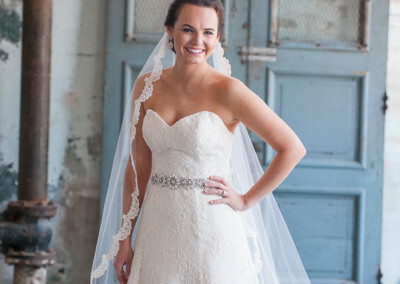 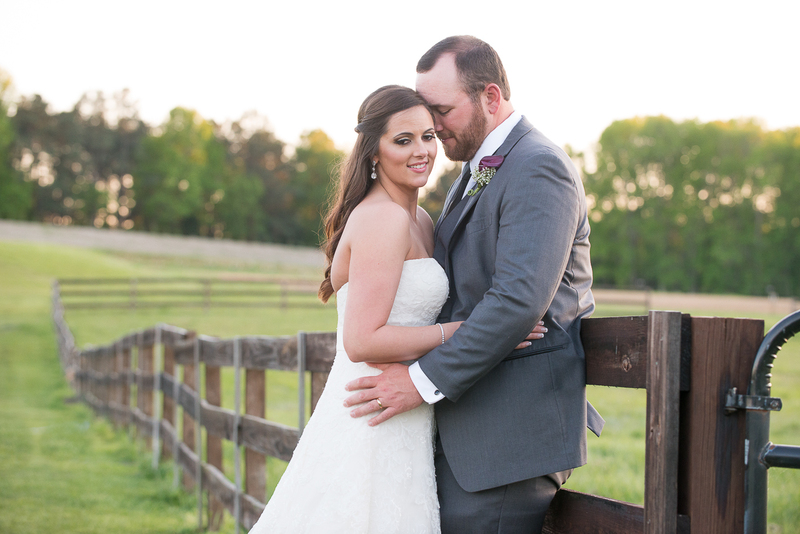 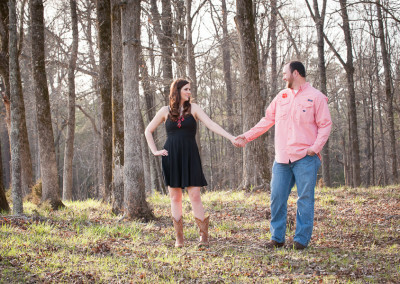 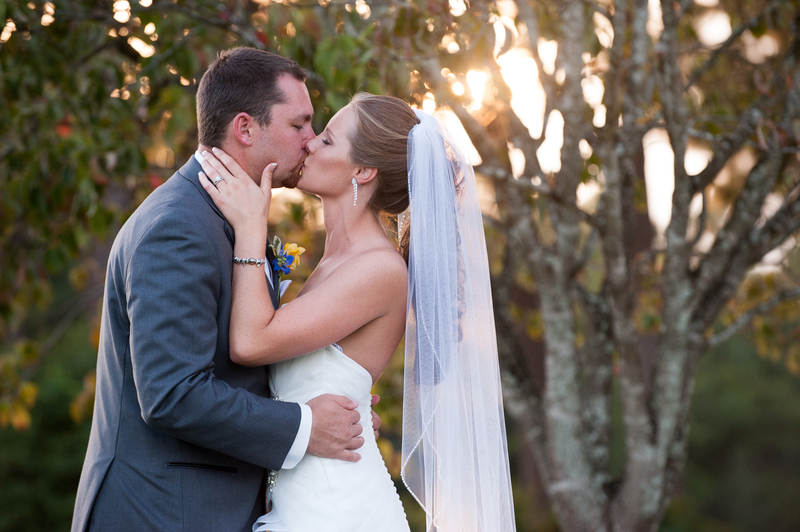 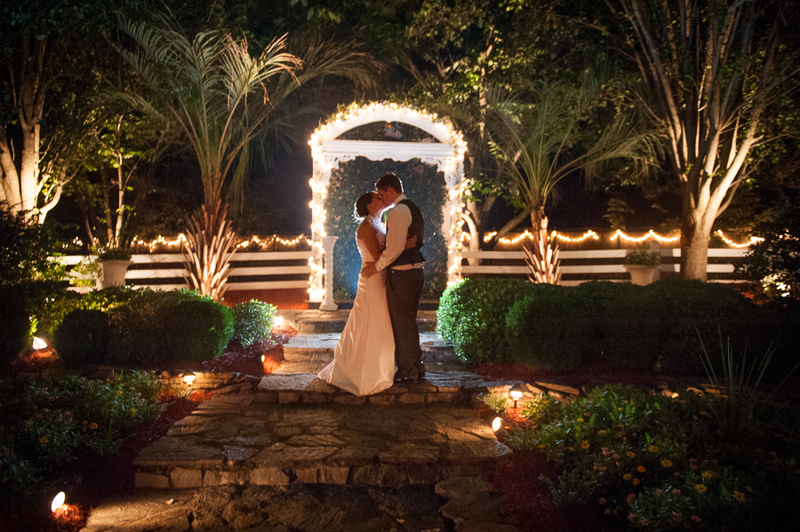 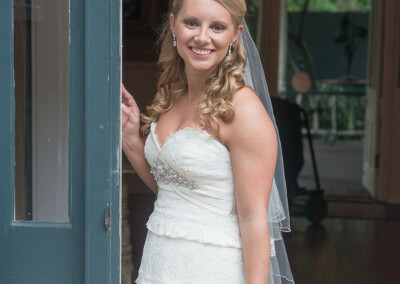 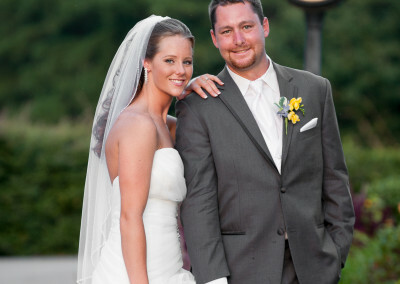 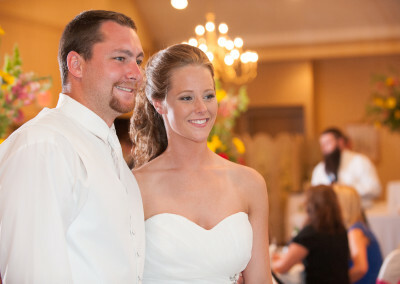 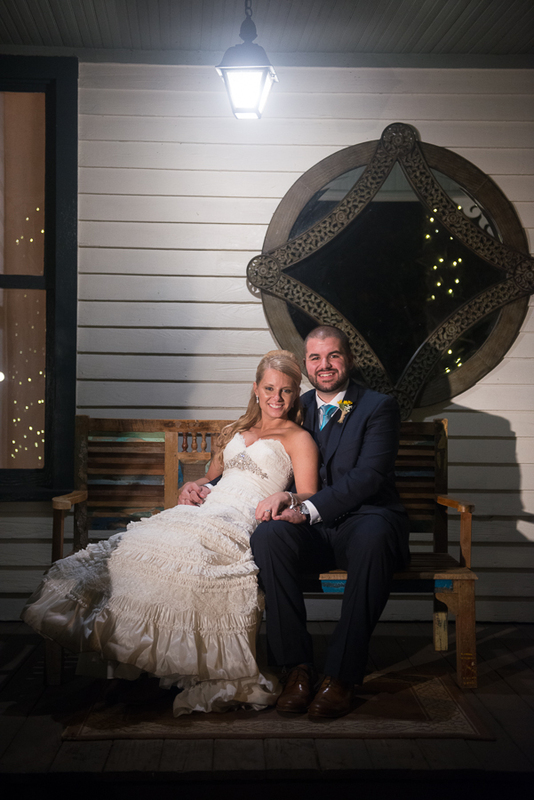 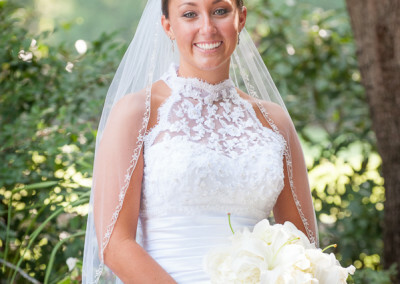 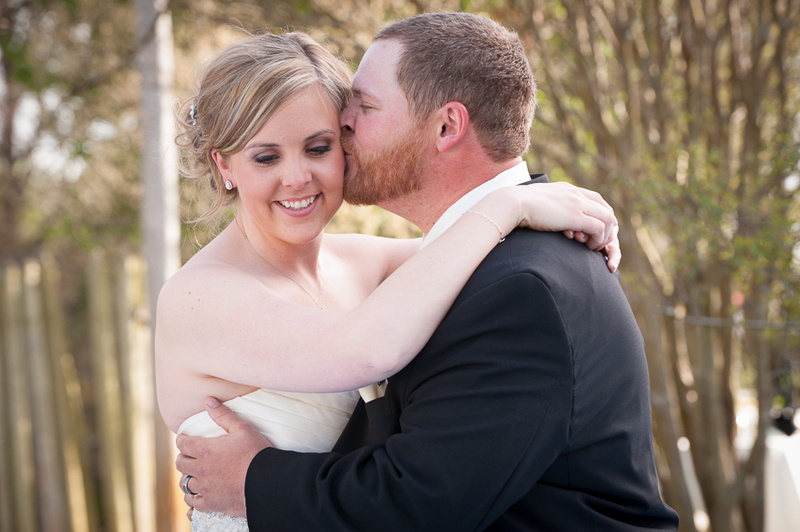 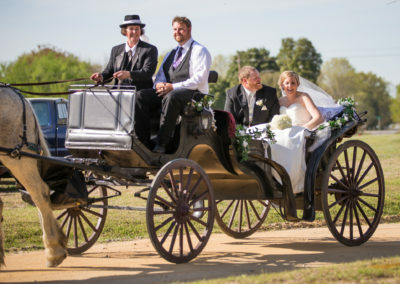 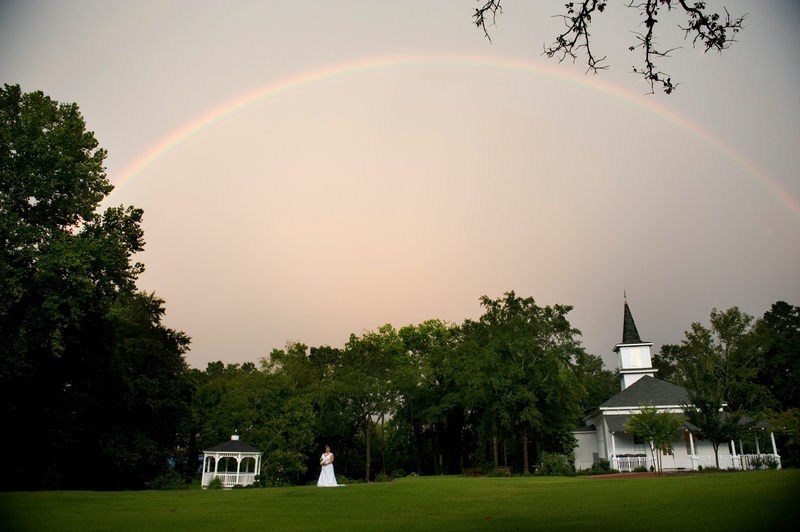 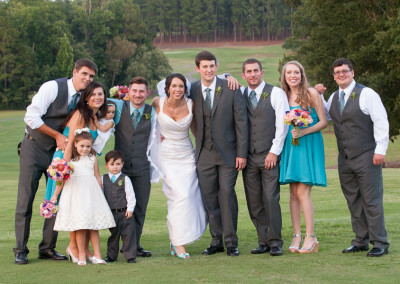 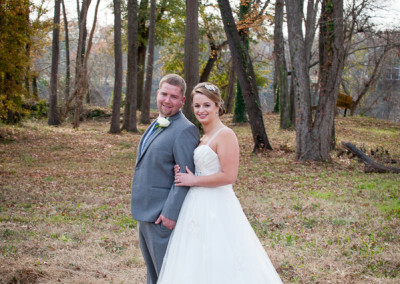 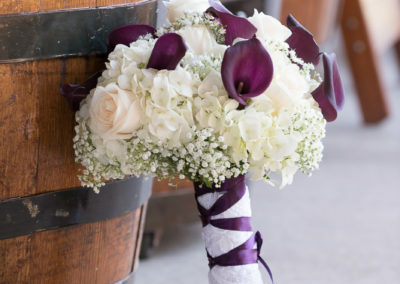 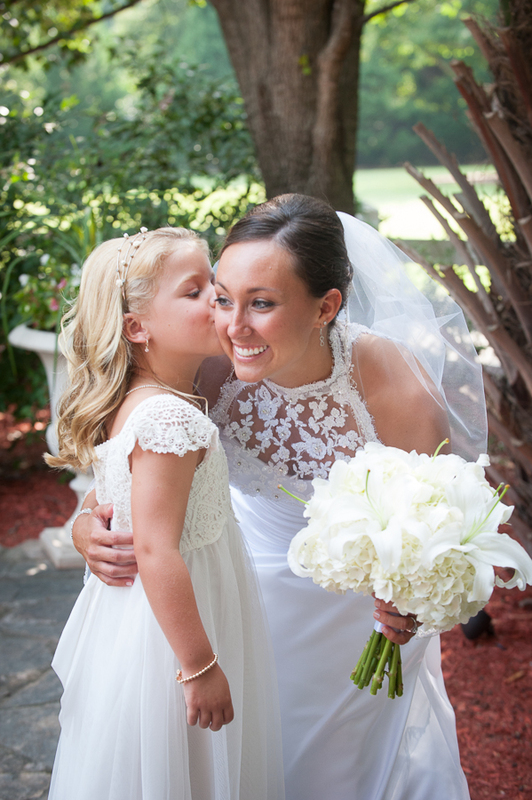 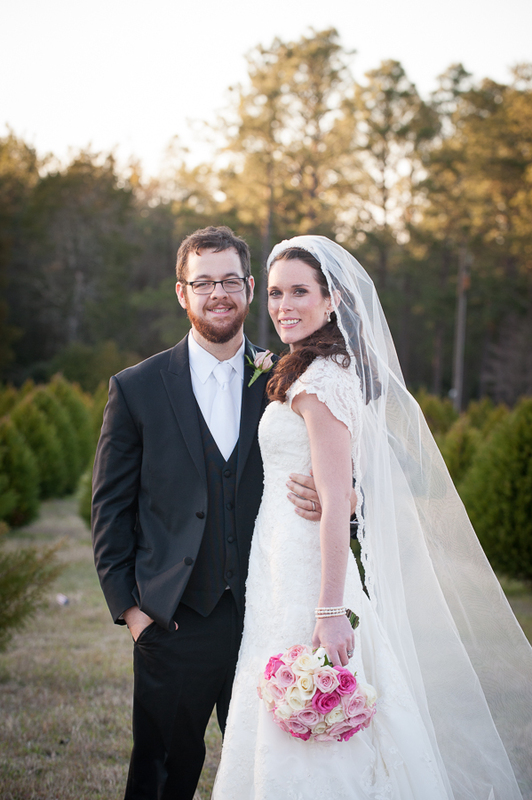 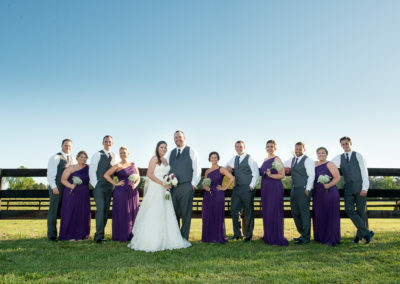 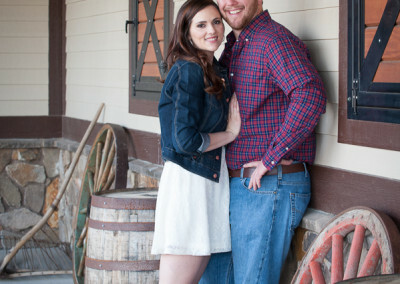 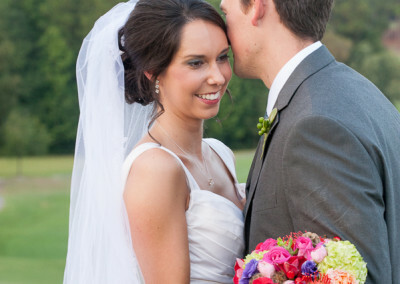 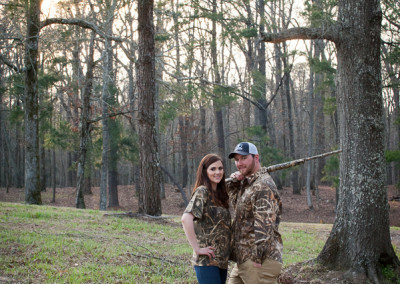 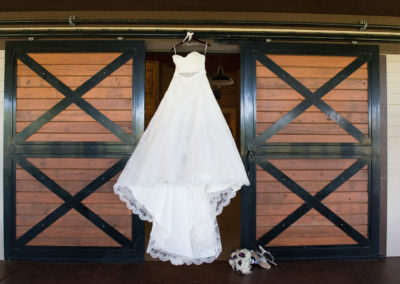 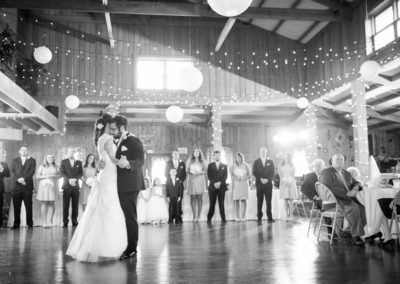 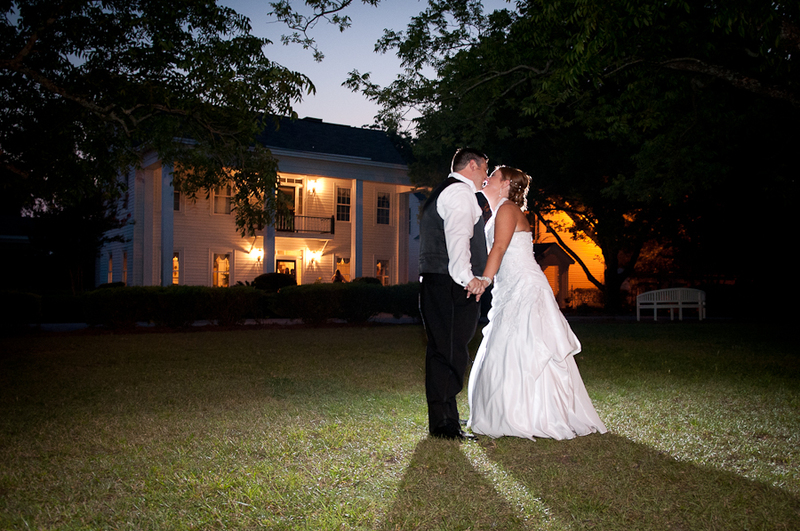 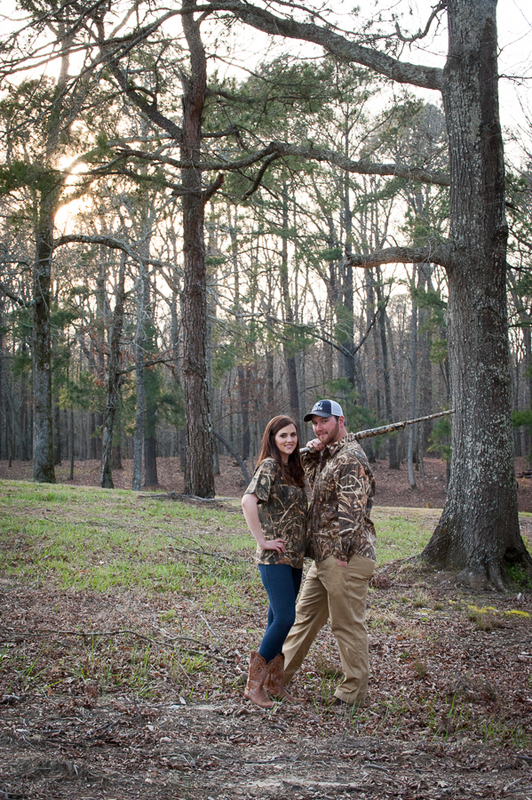 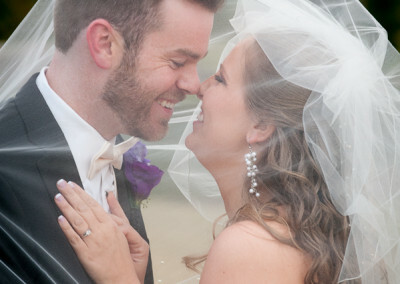 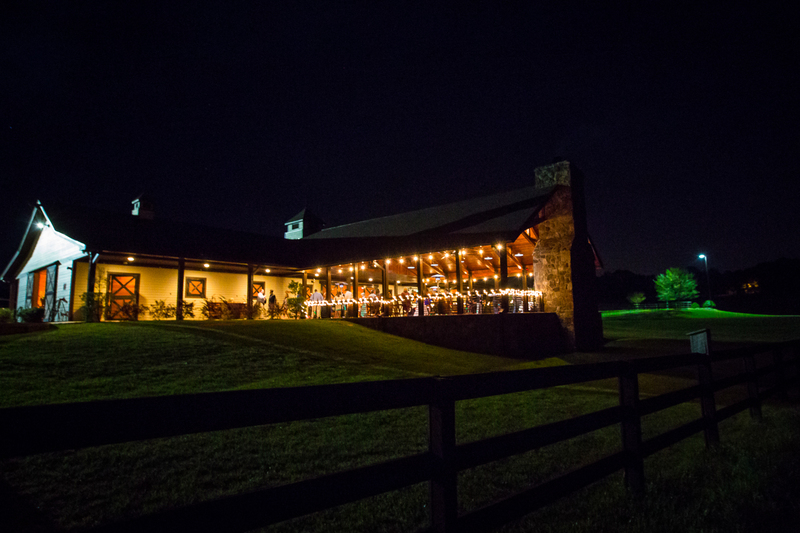 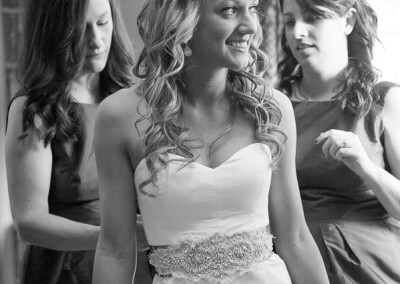 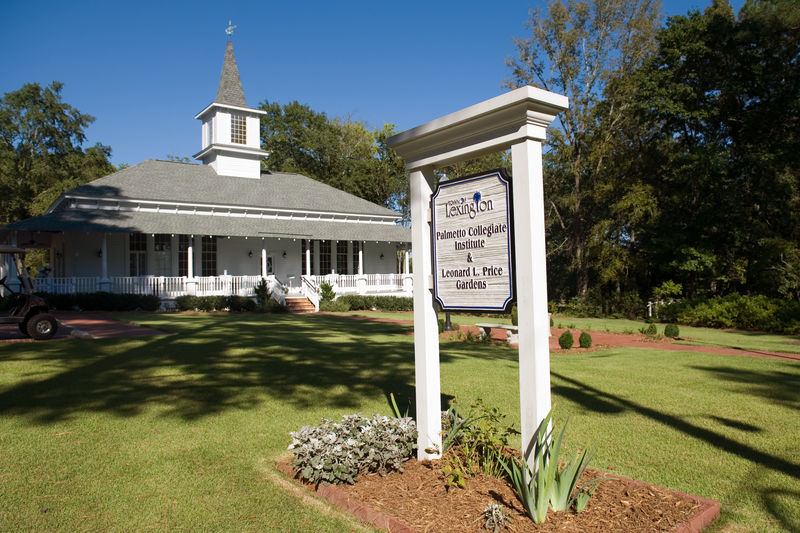 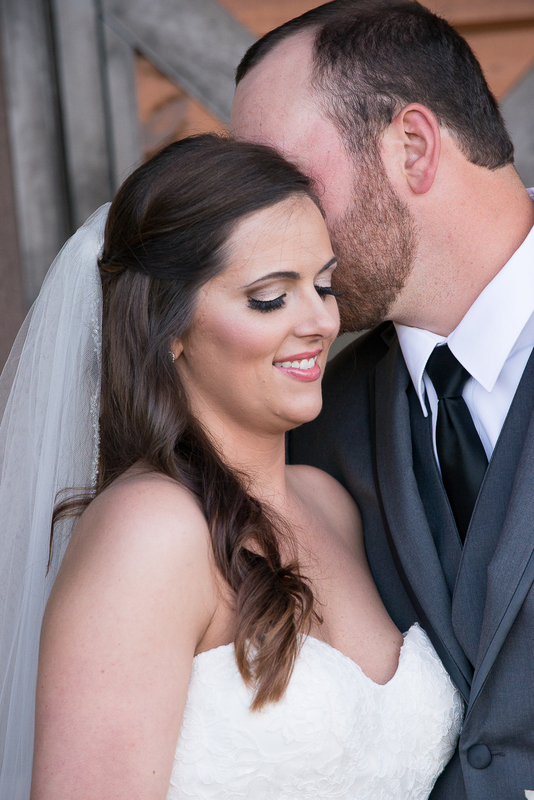 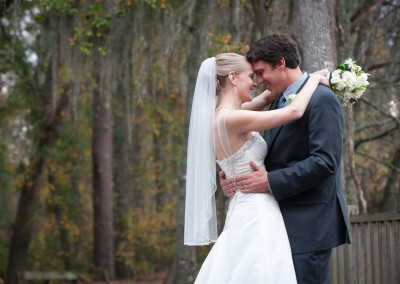 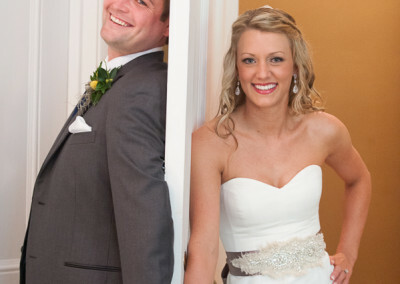 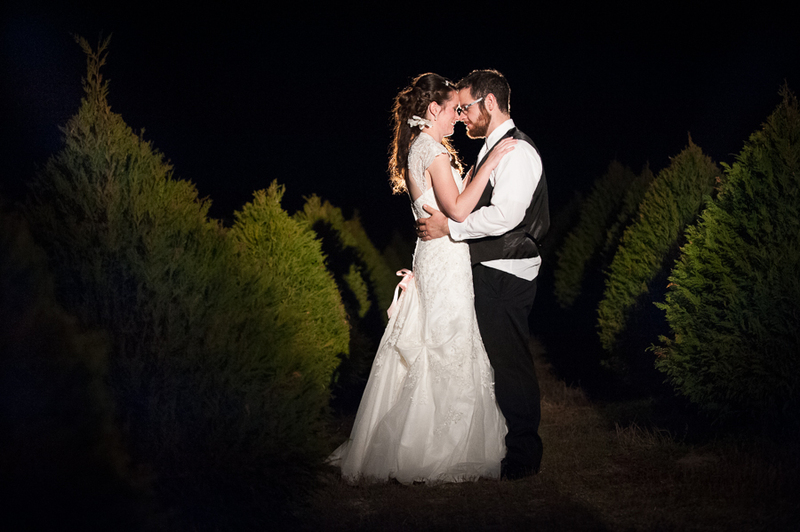 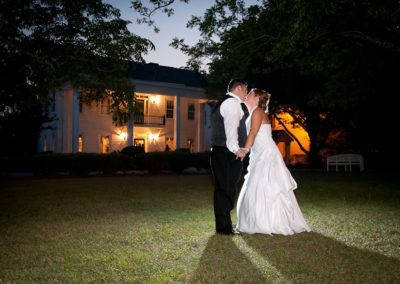 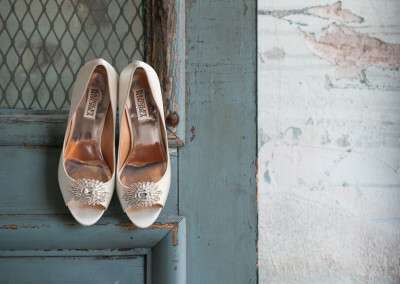 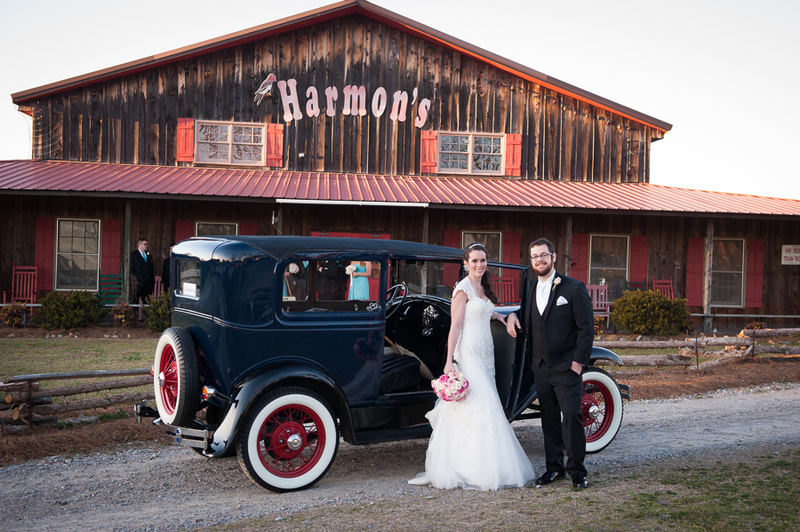 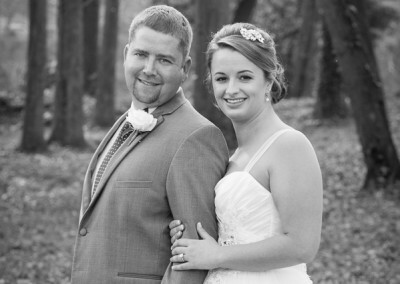 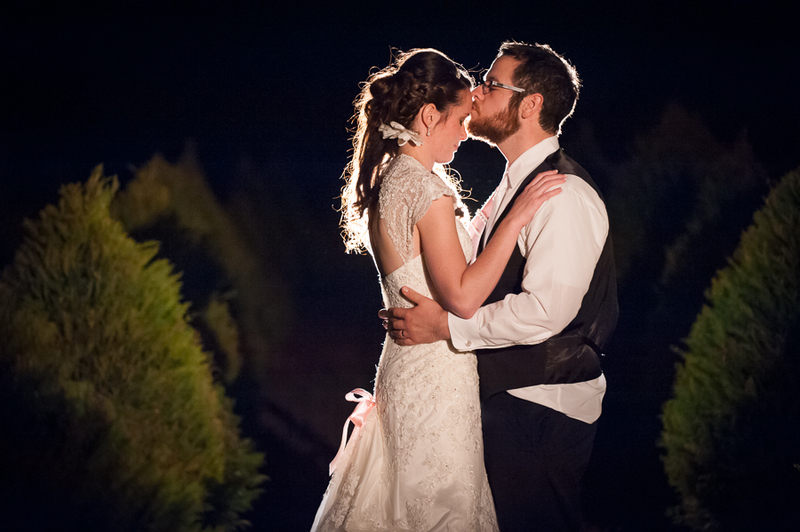 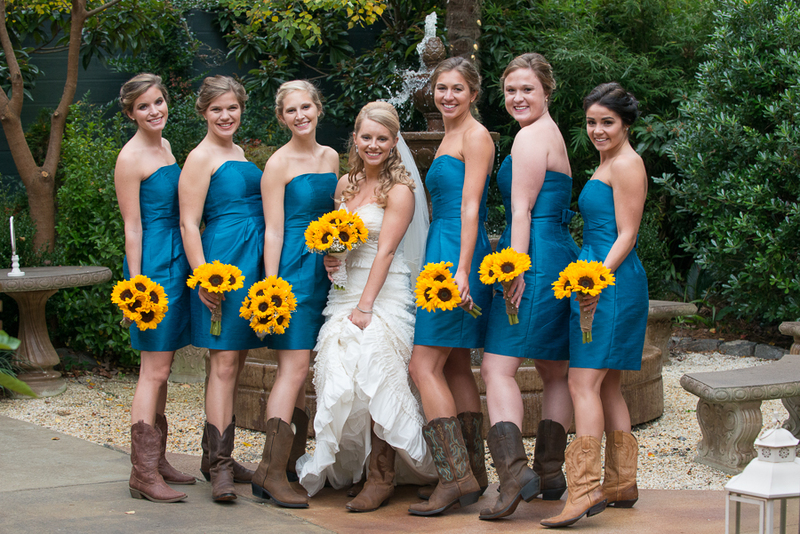 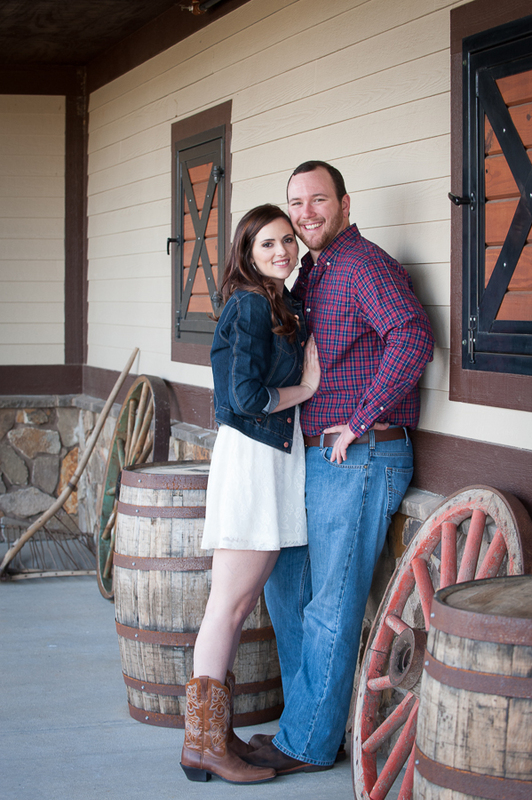 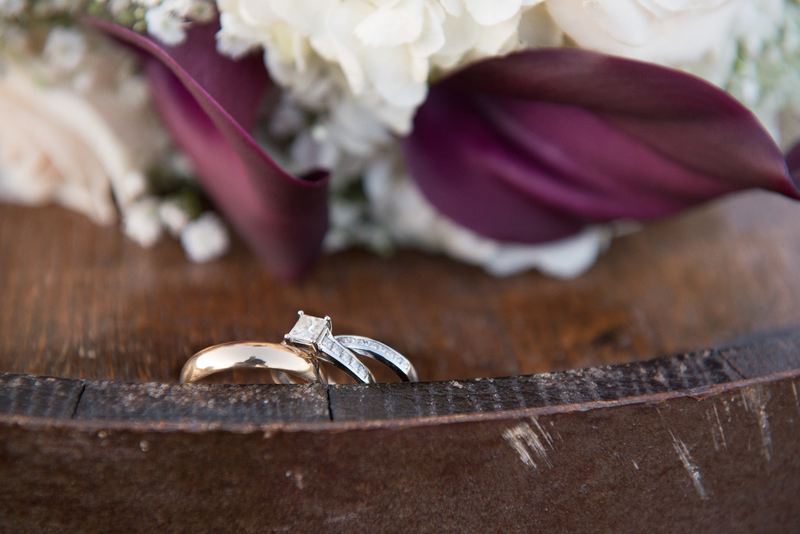 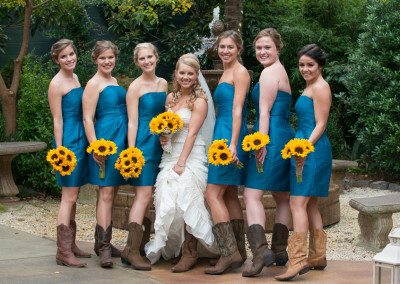 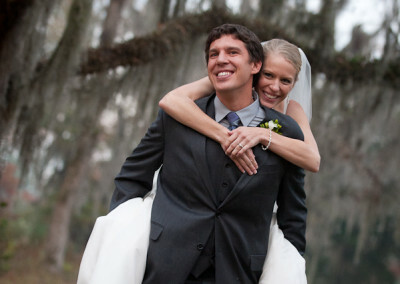 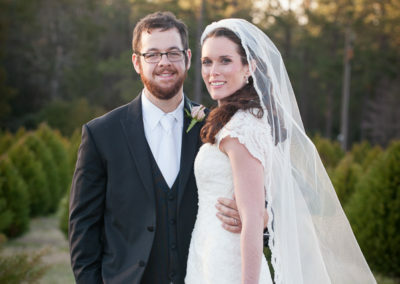 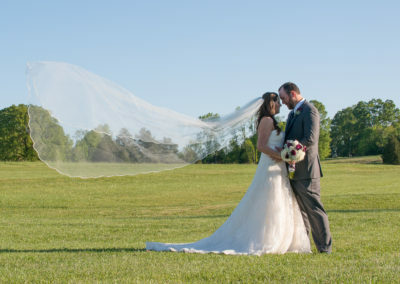 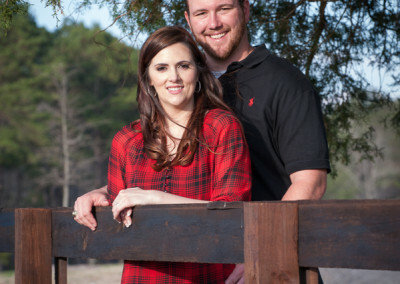 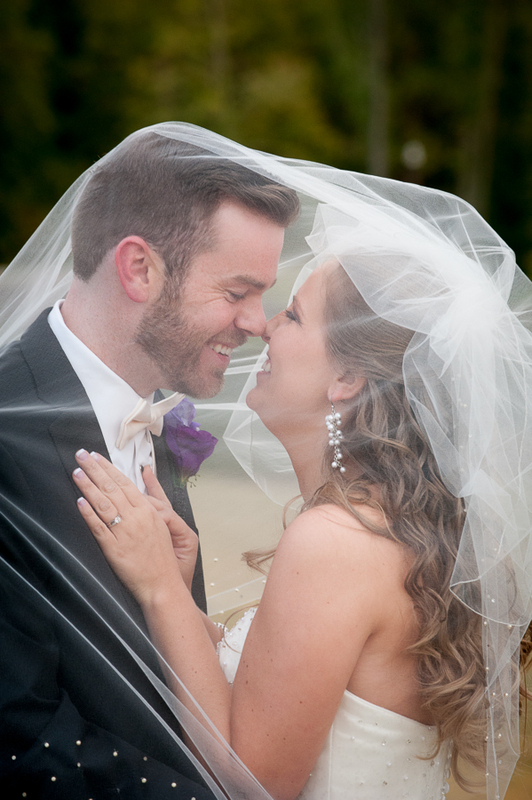 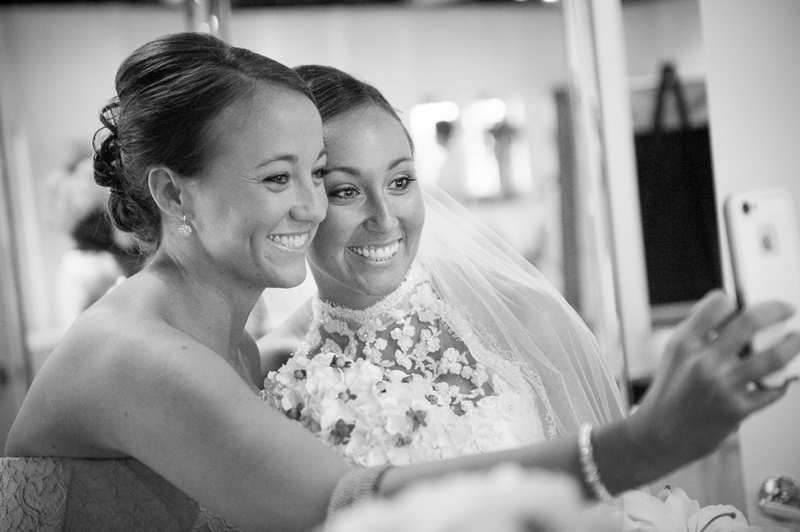 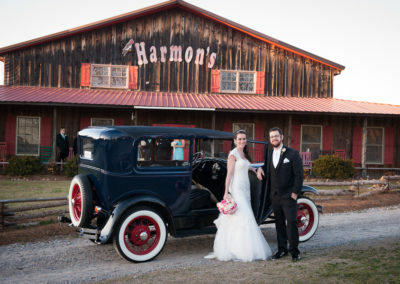 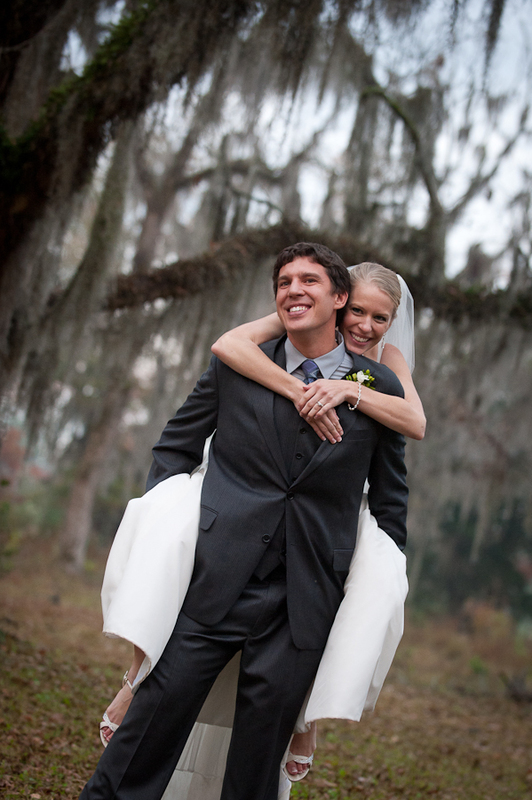 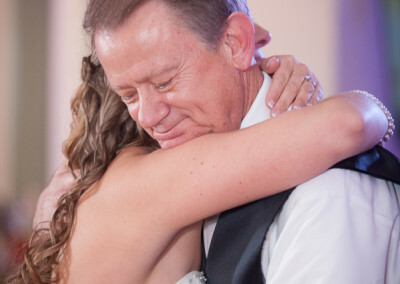 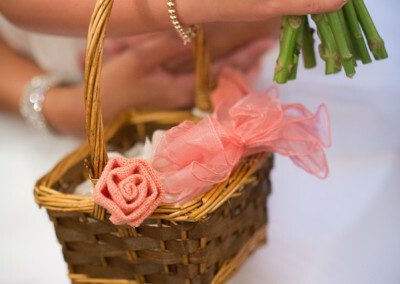 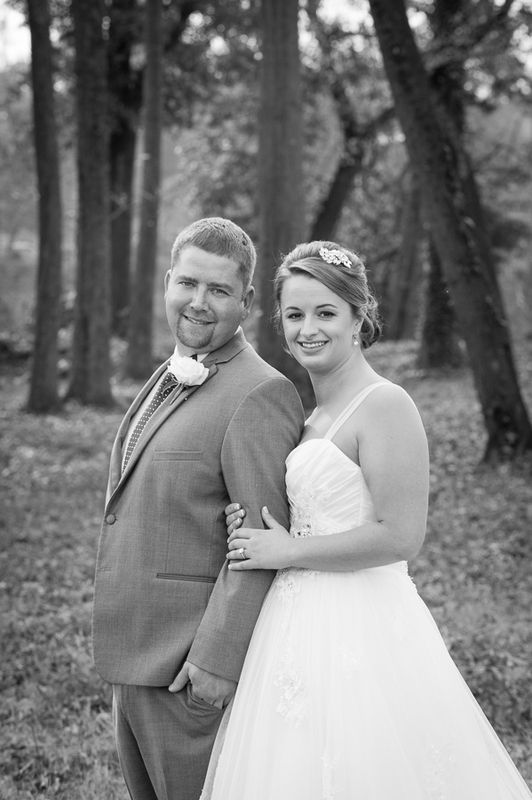 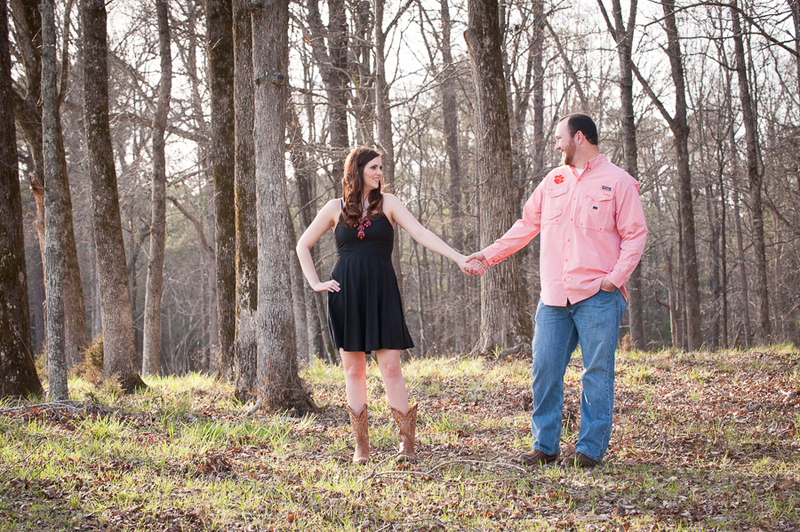 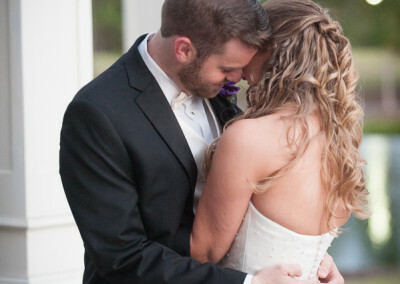 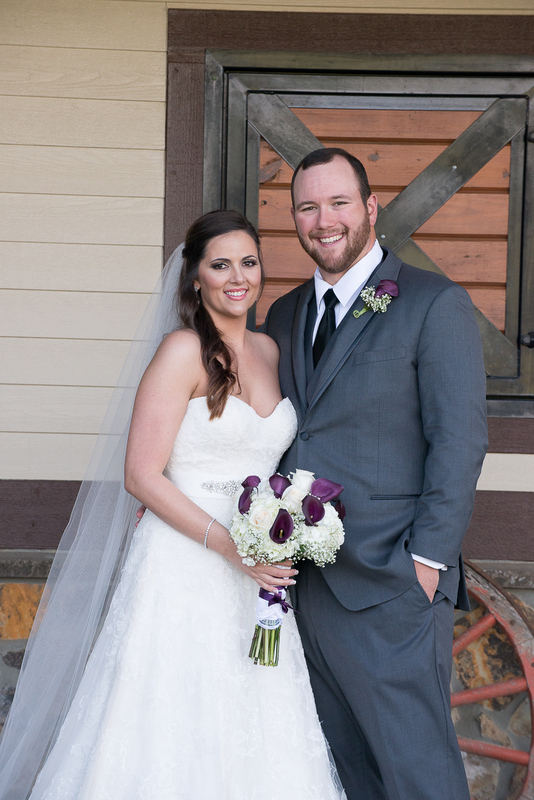 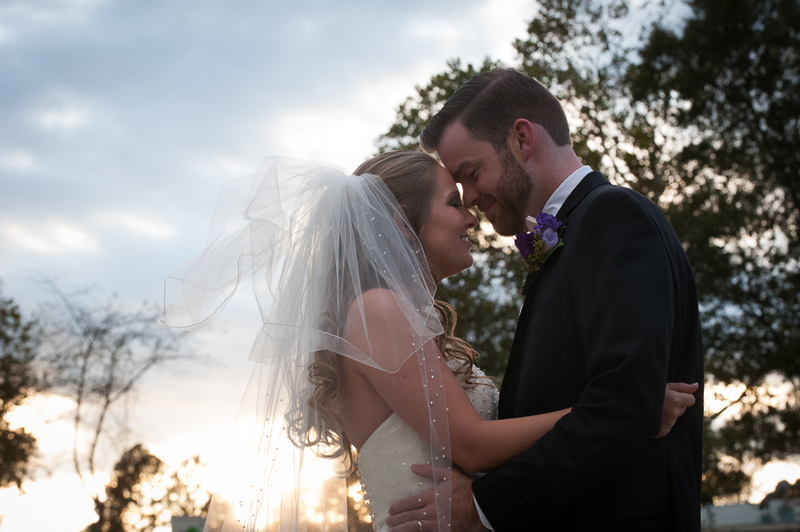 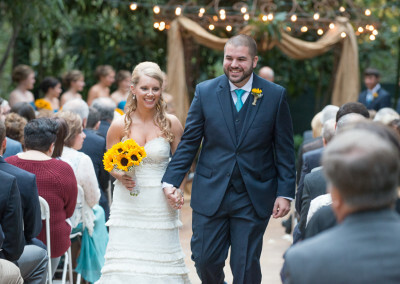 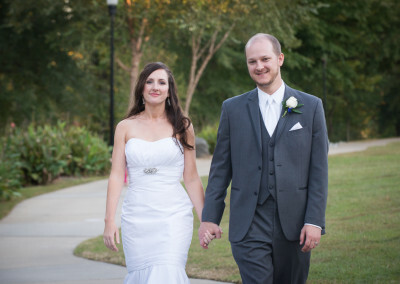 If you want a rural, Southern look and feel to your wedding, you'll find it at T&S Farms. 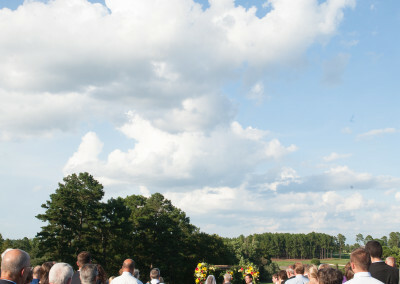 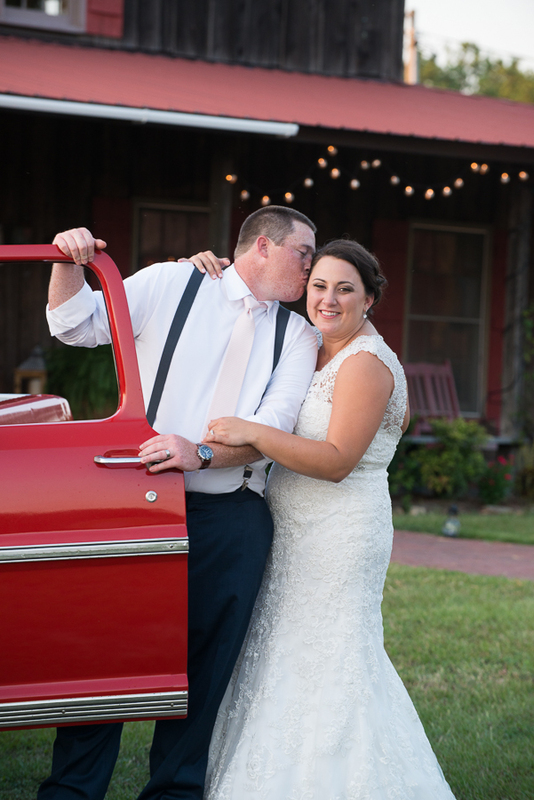 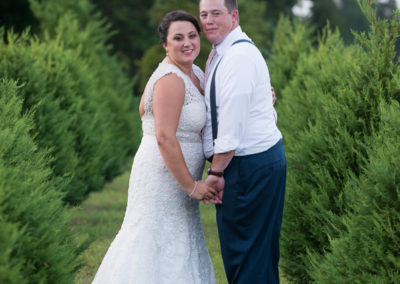 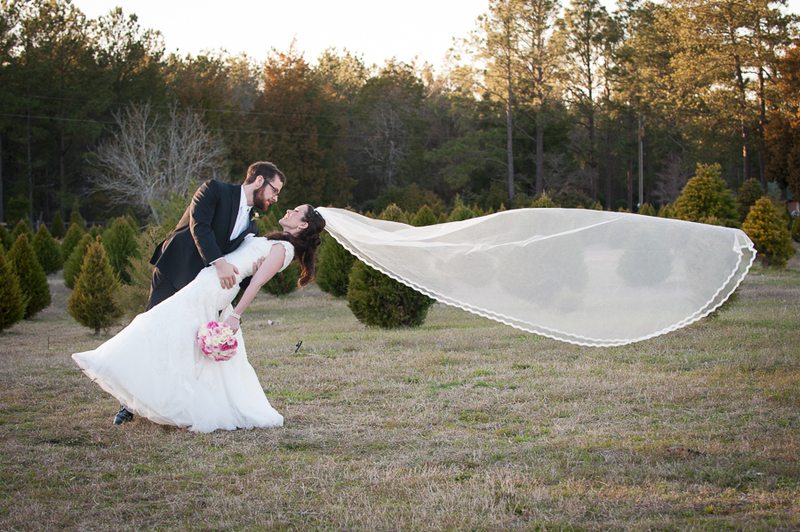 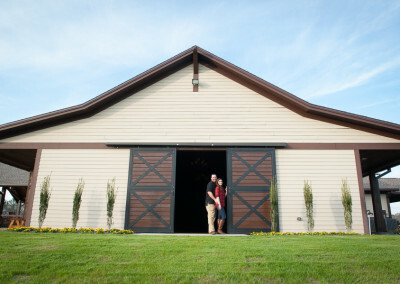 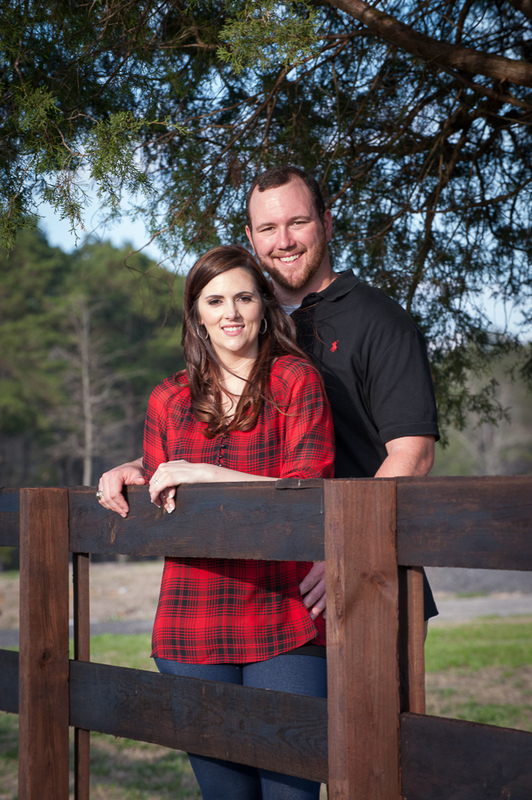 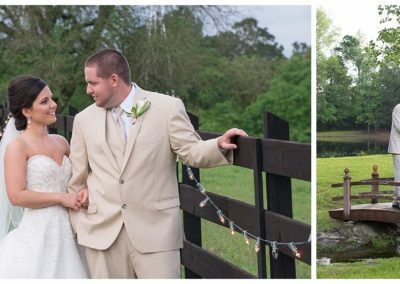 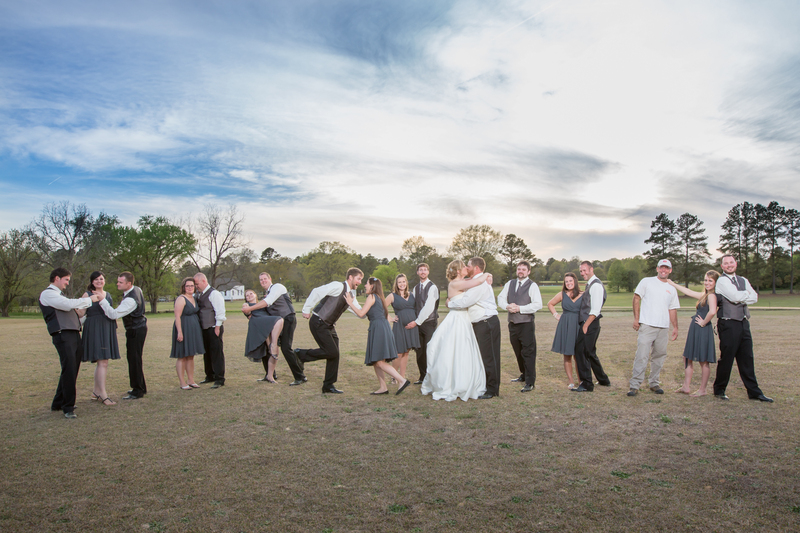 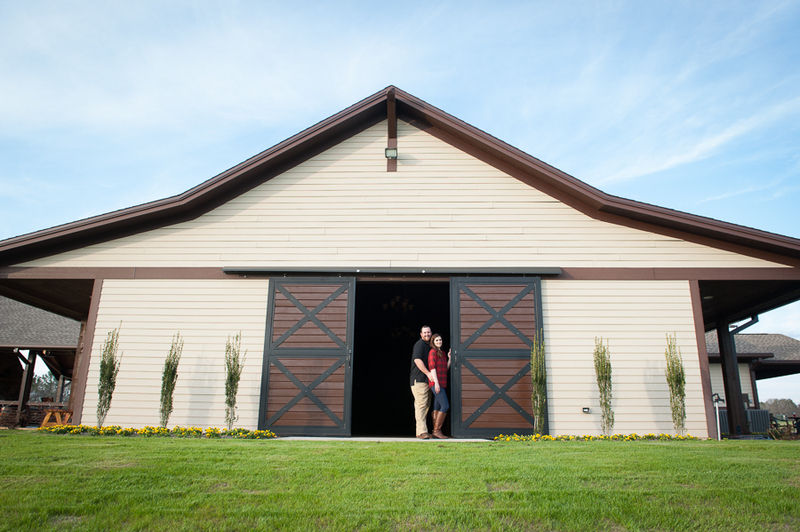 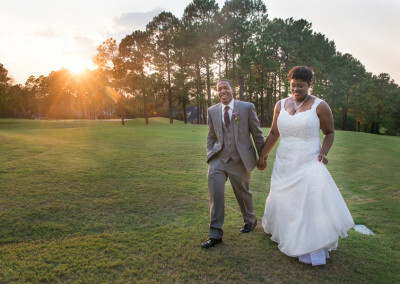 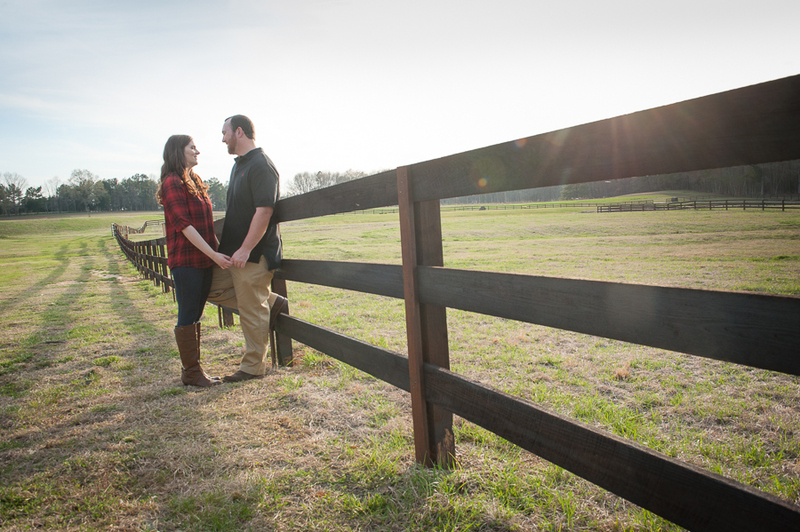 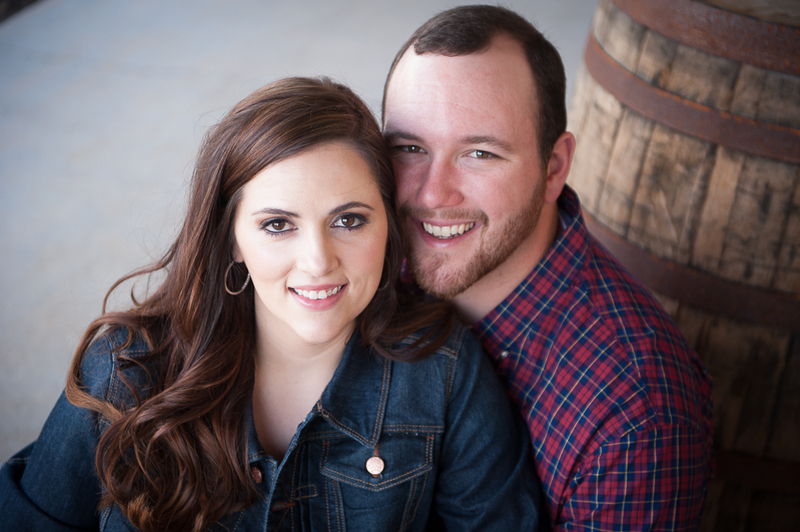 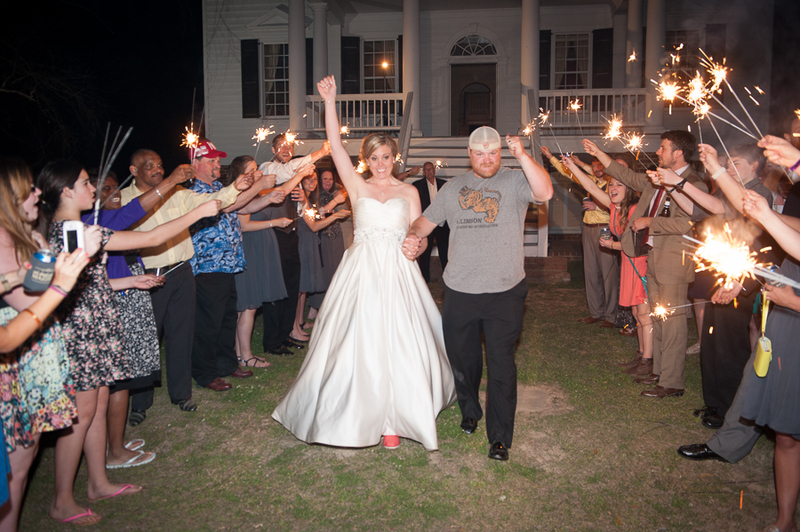 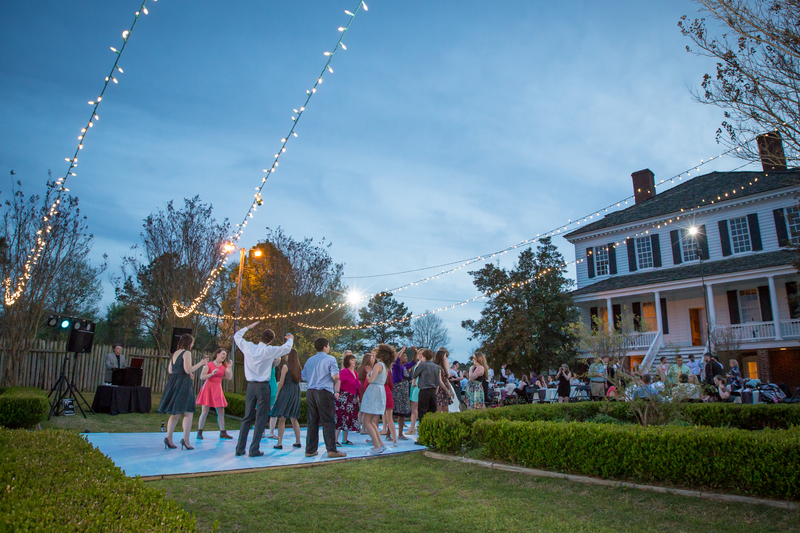 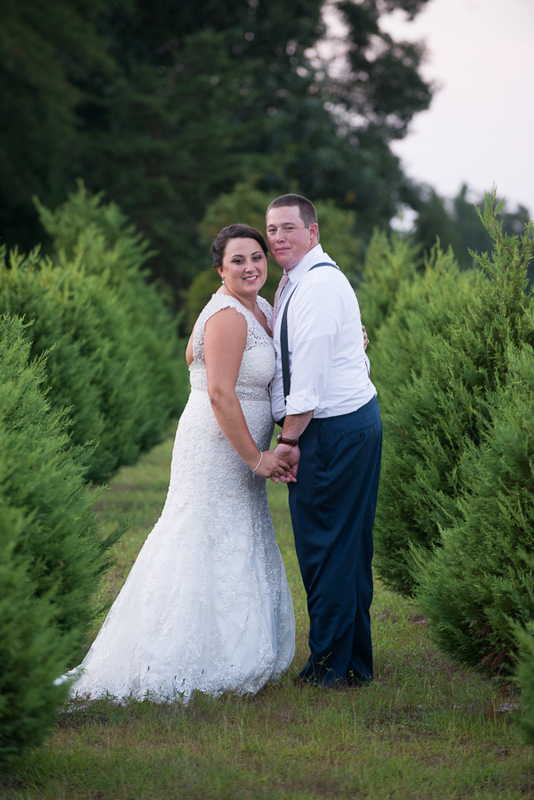 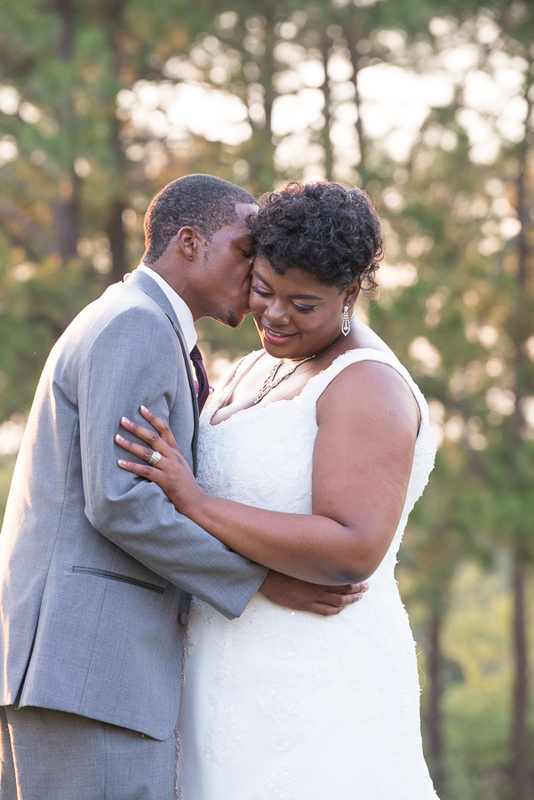 This venue is a farm located outside Batesburg-Leesville and has lots of rustic picturesque spots including a long black fence, a windmill and a little fishing pond next to the barn-themed reception hall. 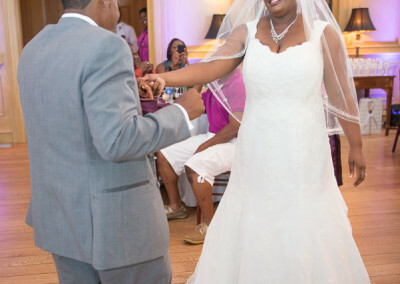 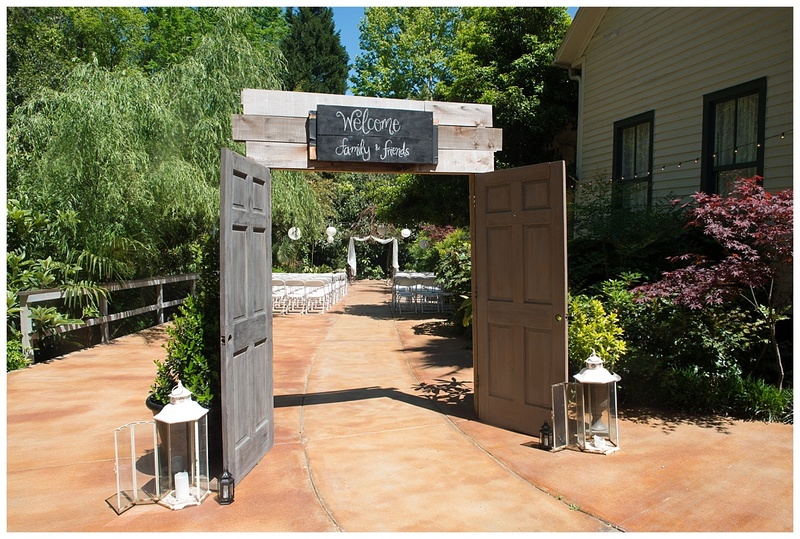 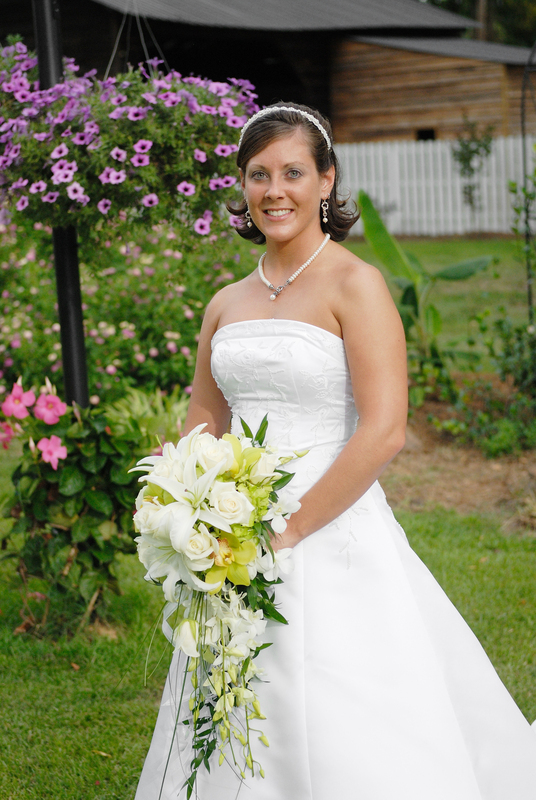 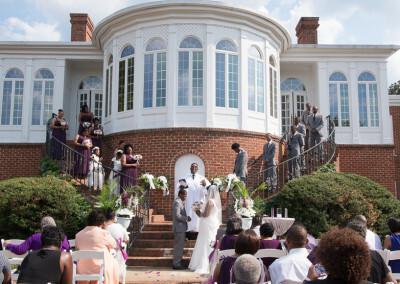 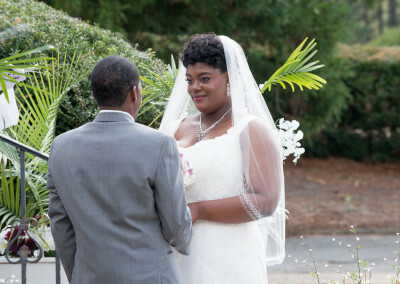 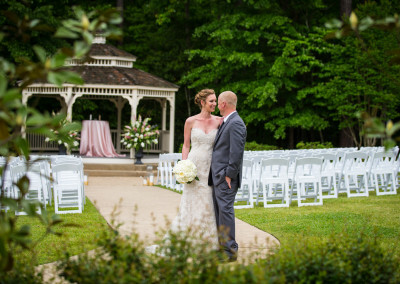 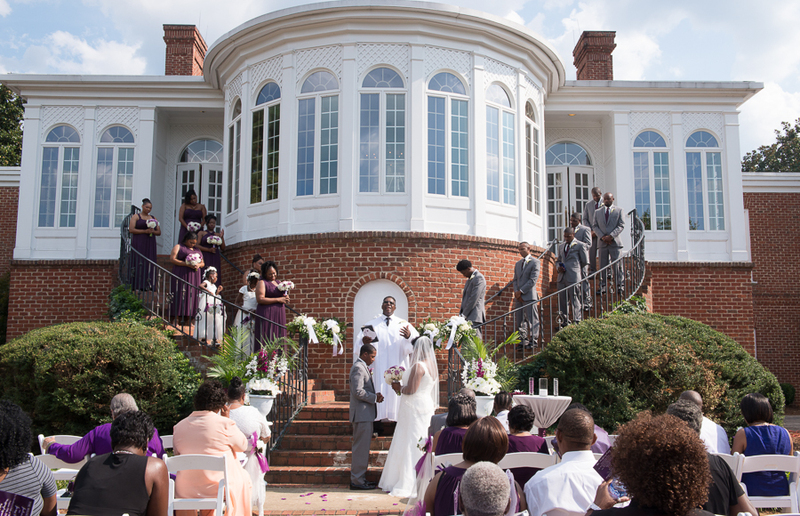 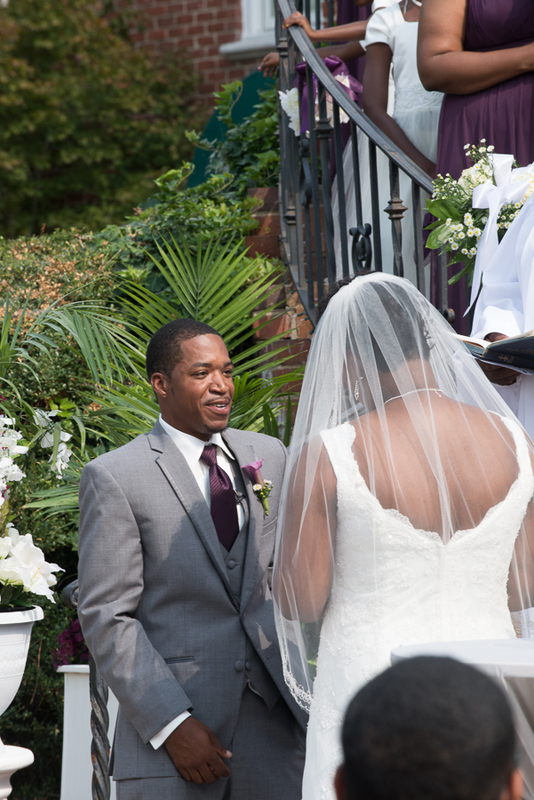 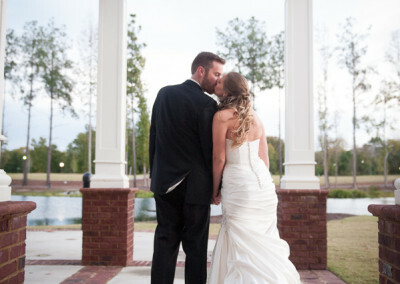 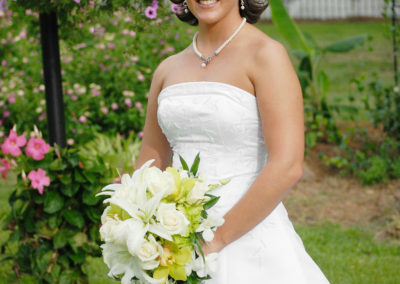 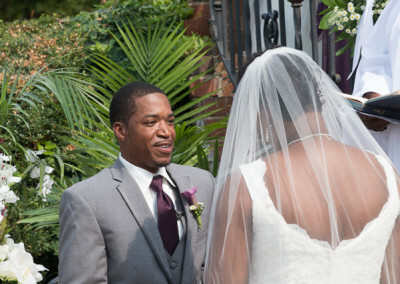 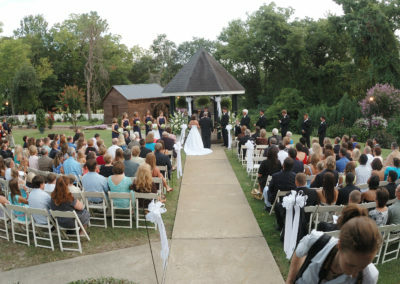 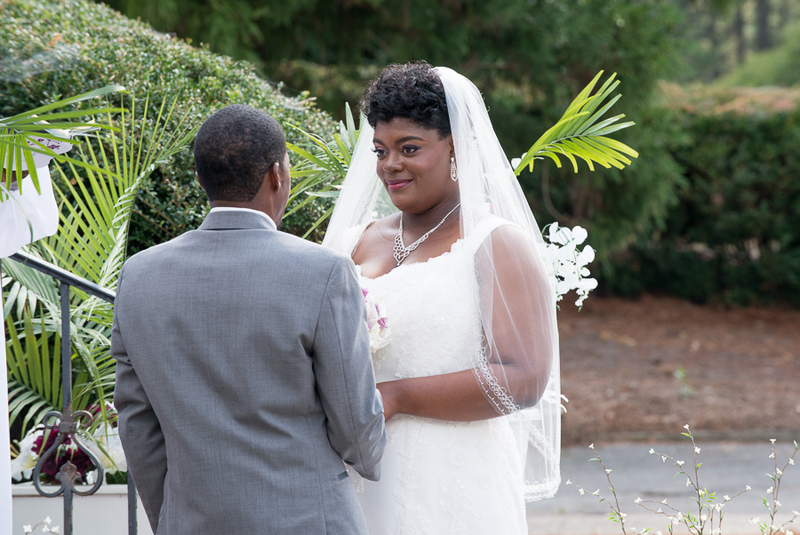 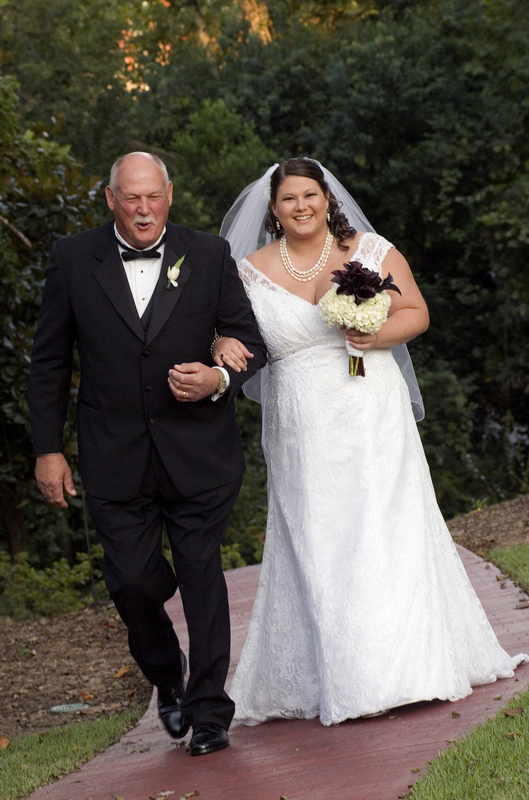 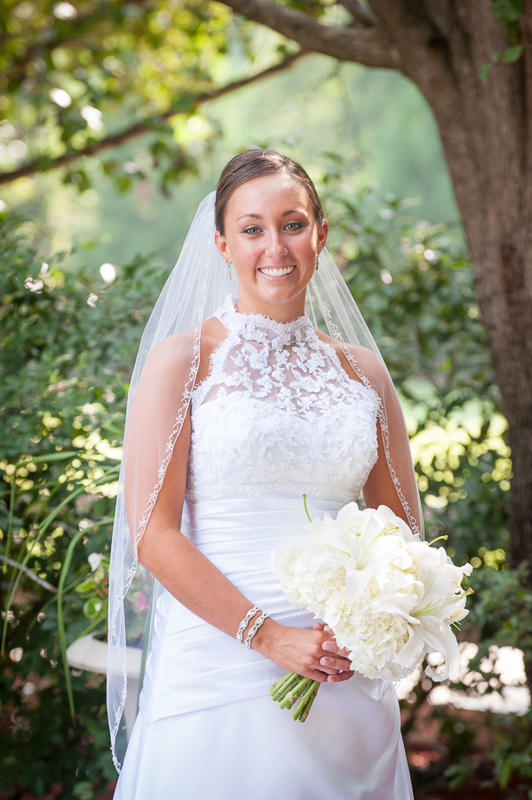 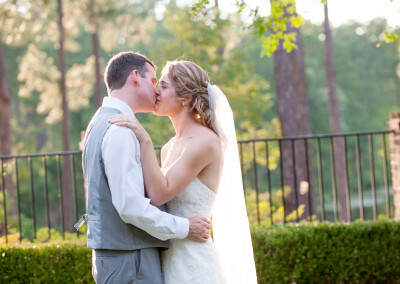 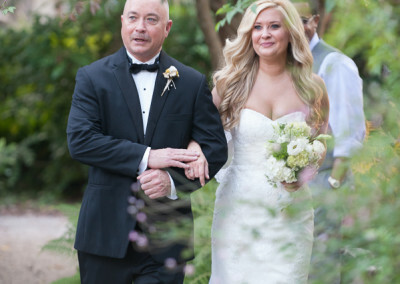 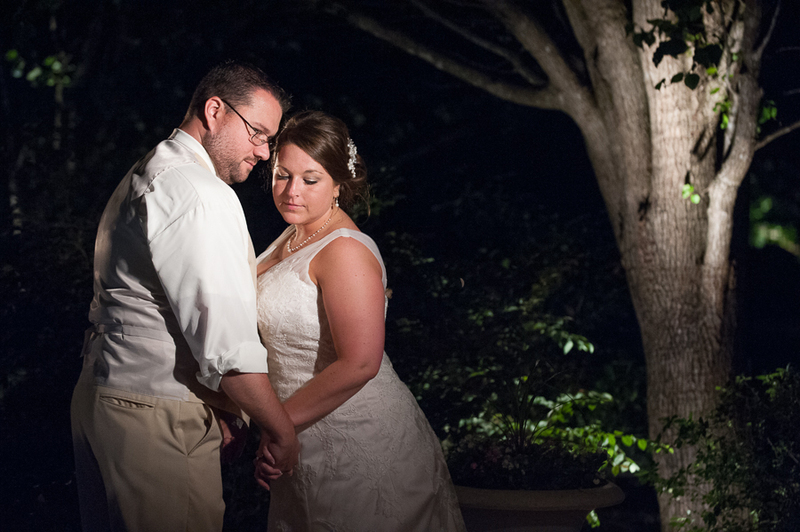 This venue has a beautiful garden, perfect for outdoor ceremonies, as well as a covered porch area. 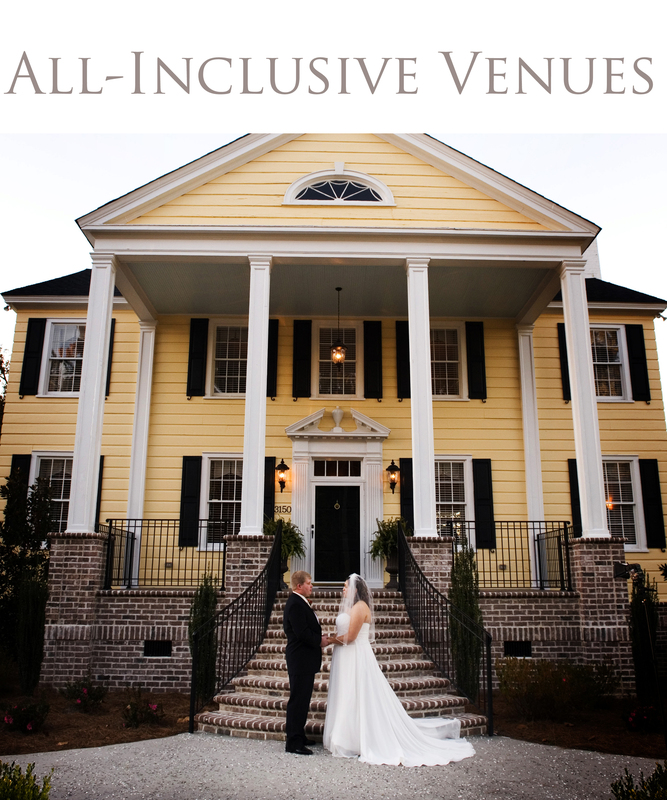 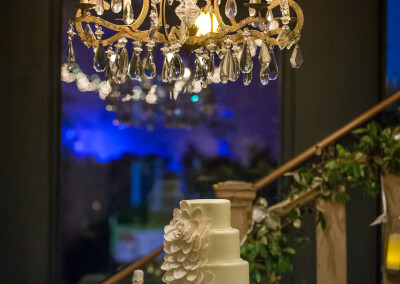 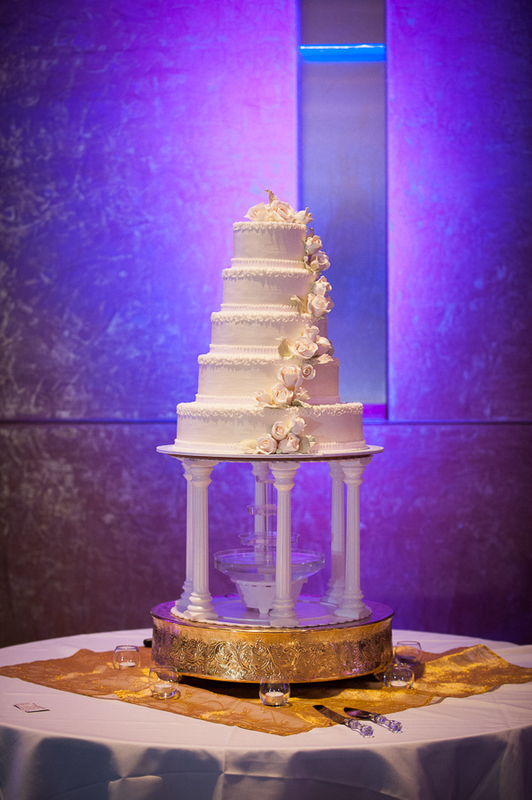 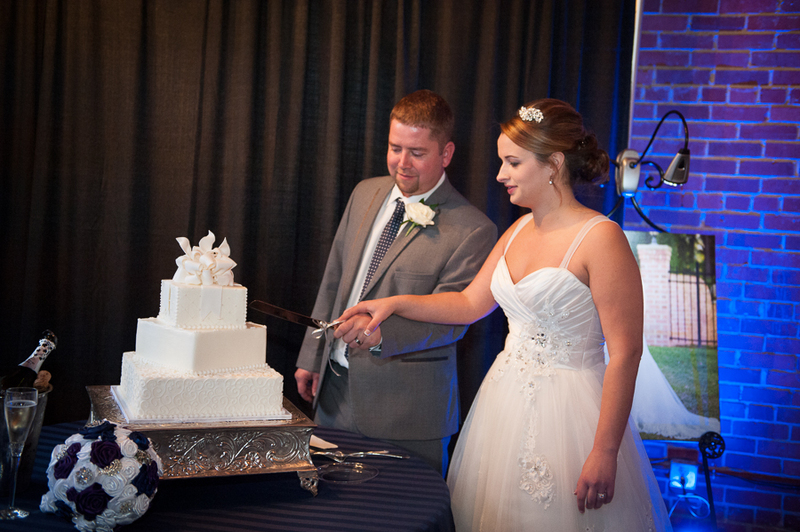 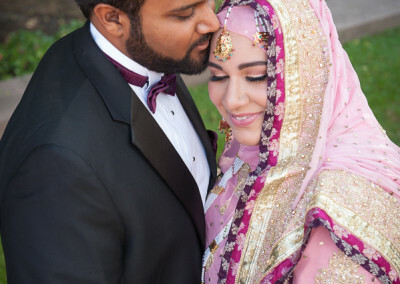 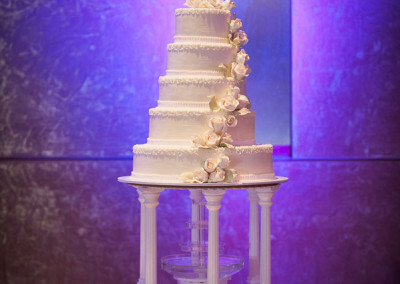 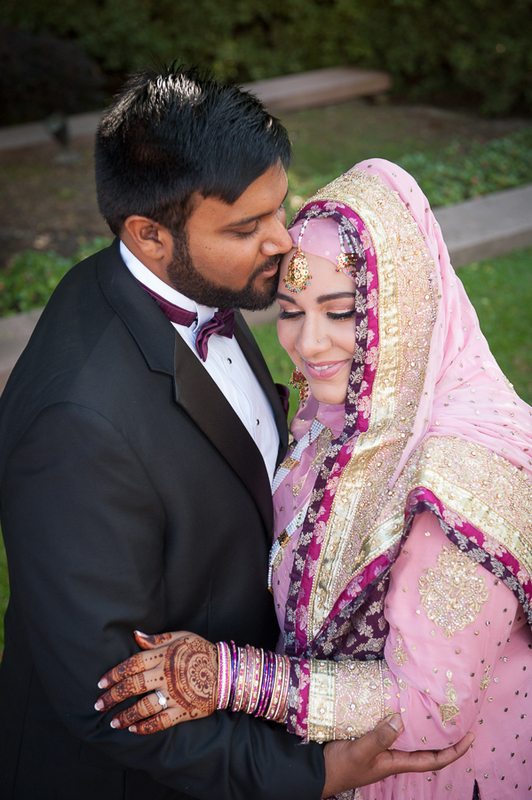 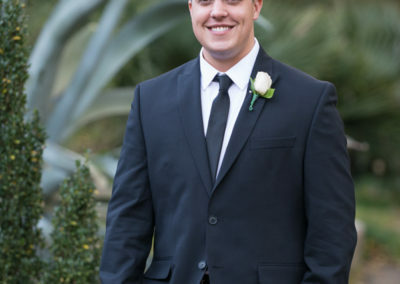 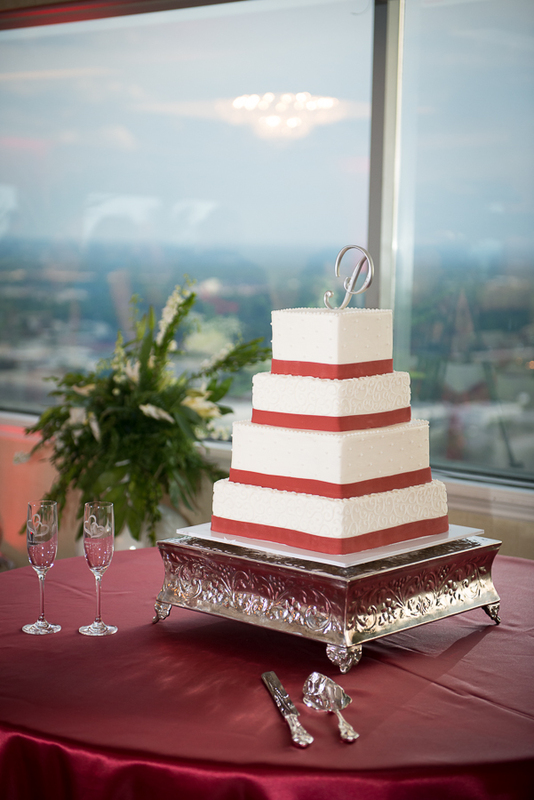 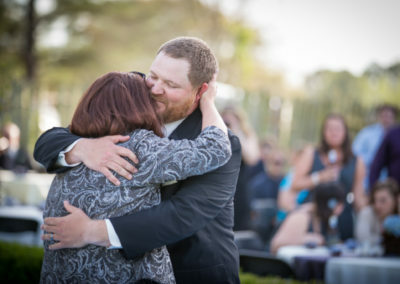 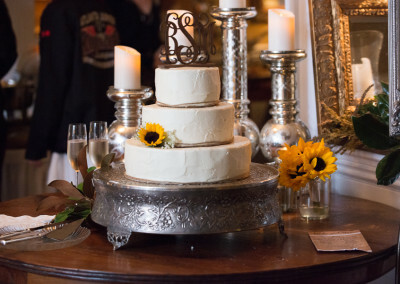 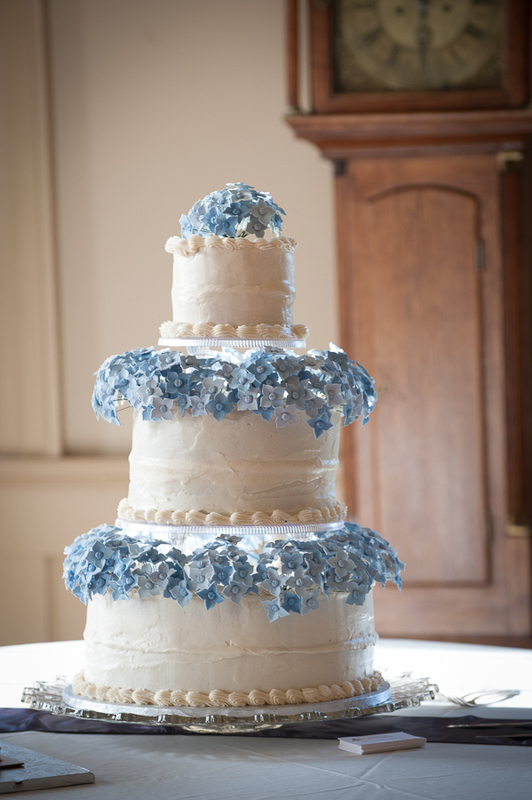 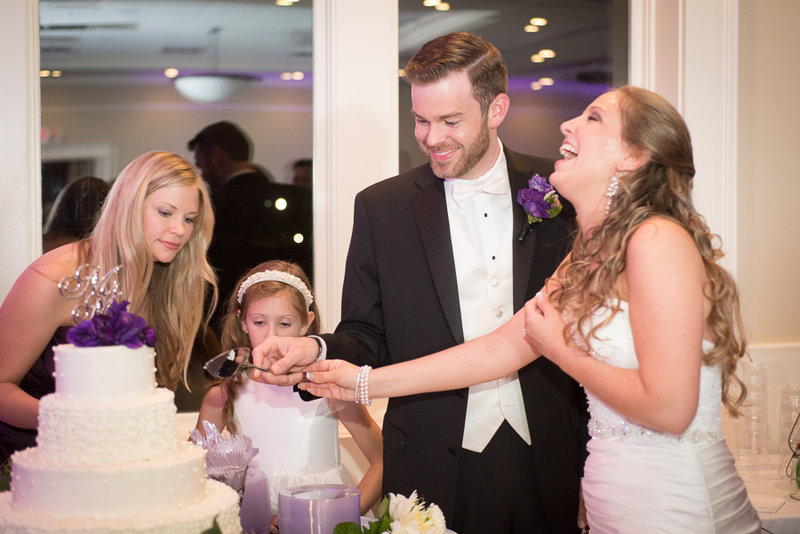 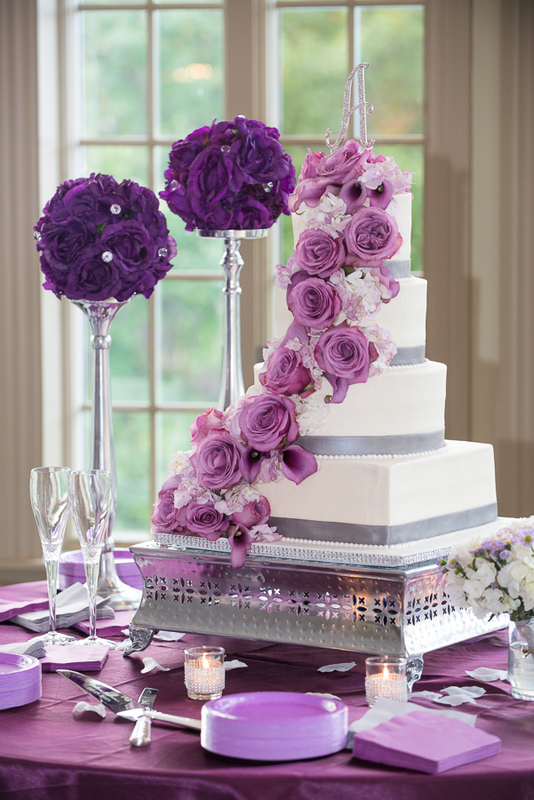 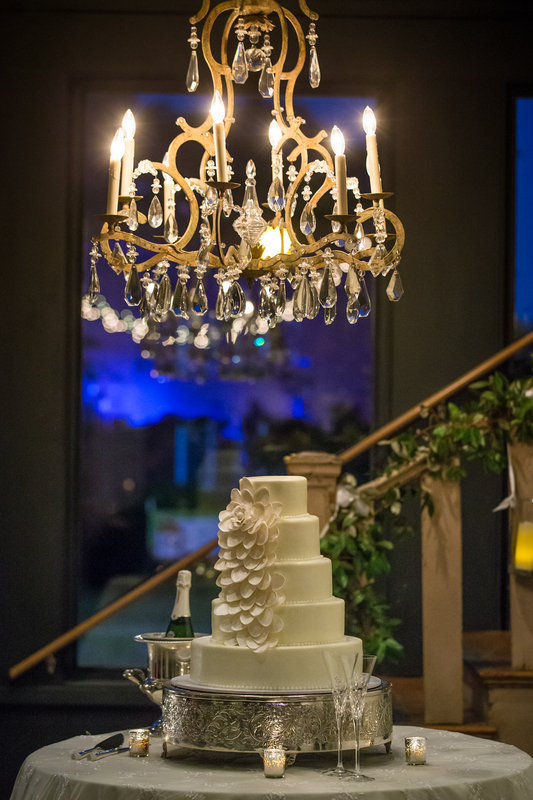 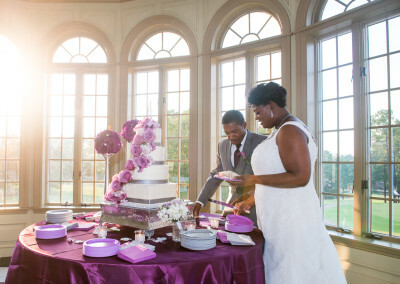 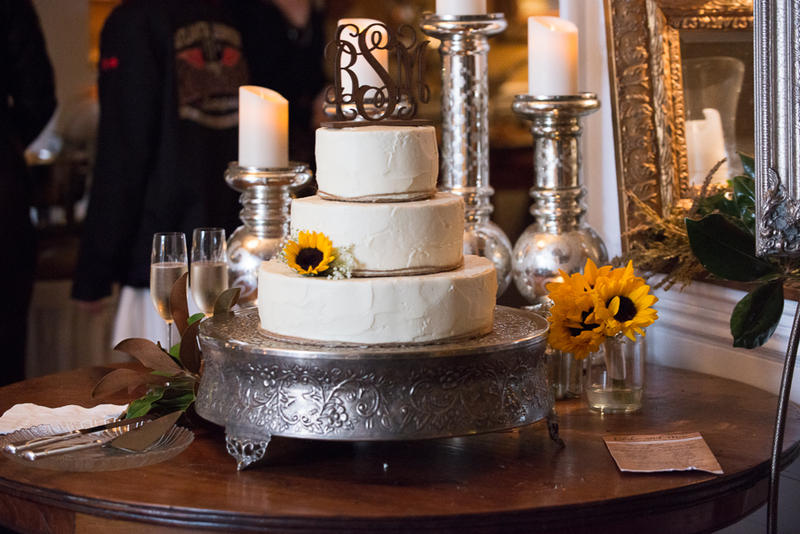 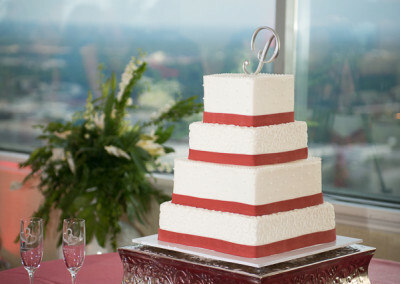 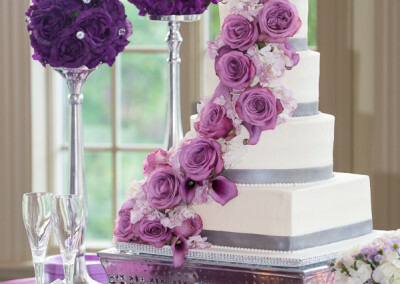 The venue can handle ceremony, reception, and even cake, flowers and food, making it a great place for an all-in-one-spot, no-worries wedding option!